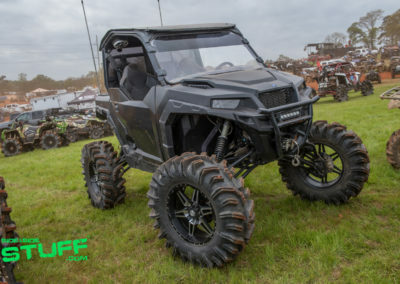 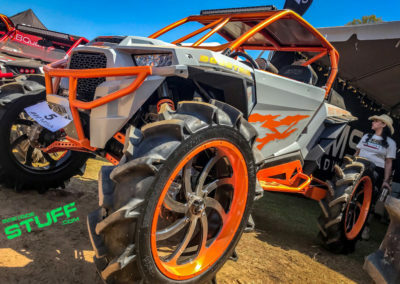 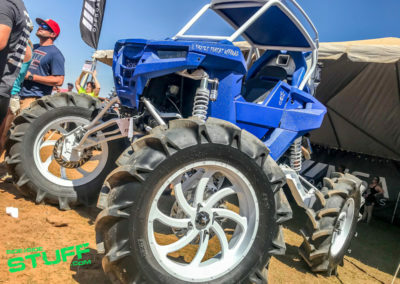 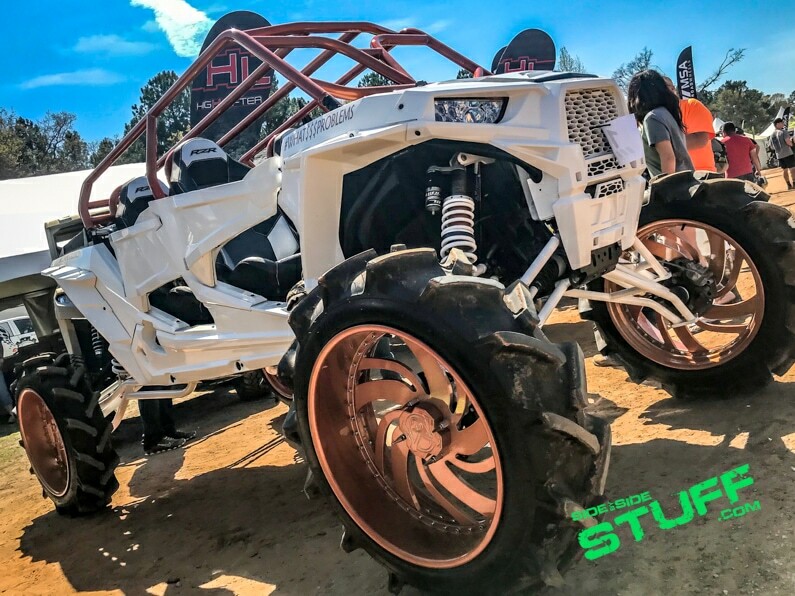 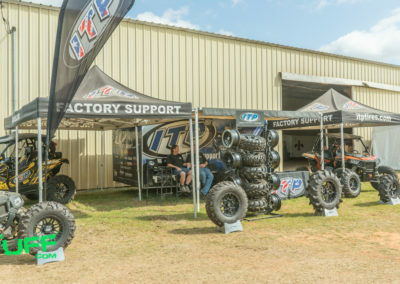 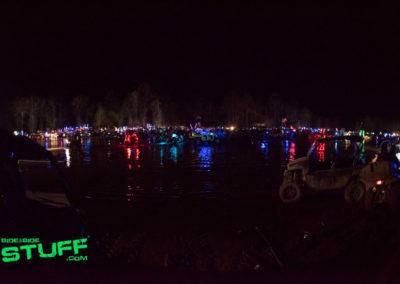 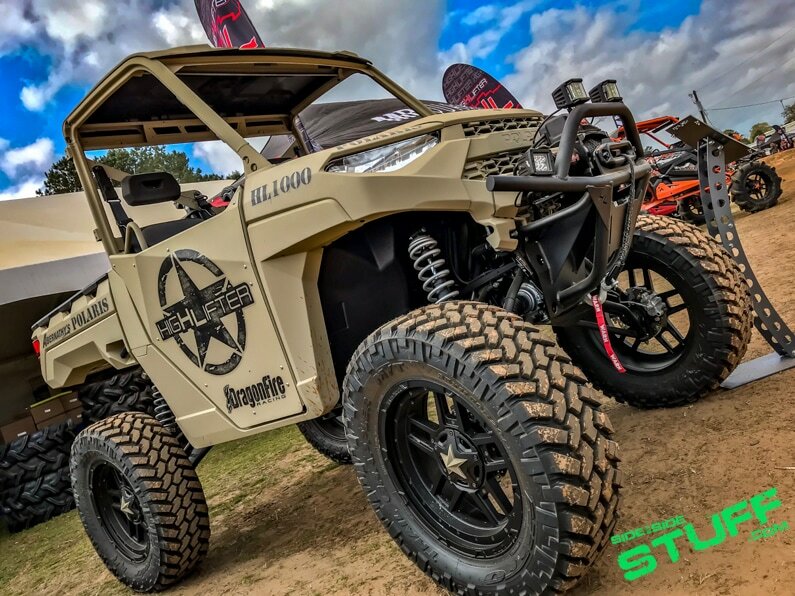 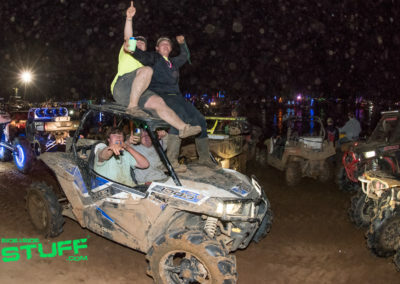 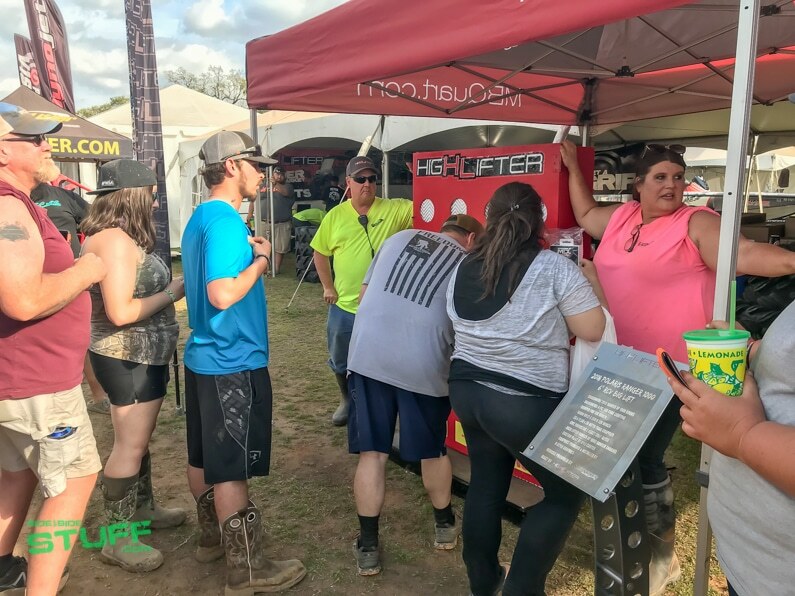 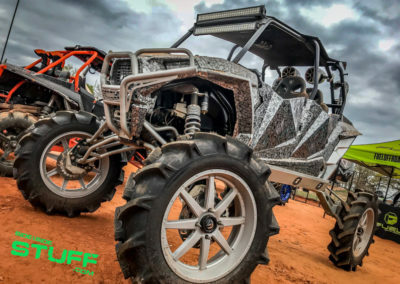 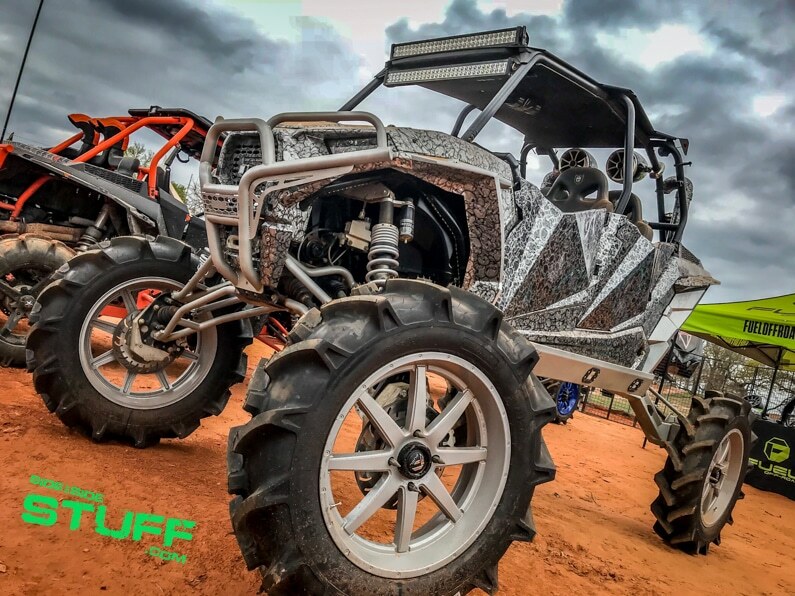 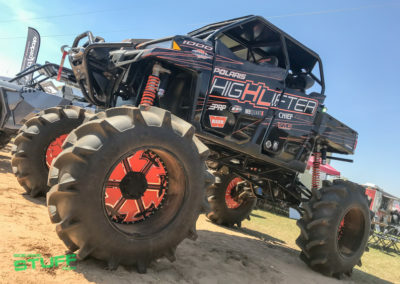 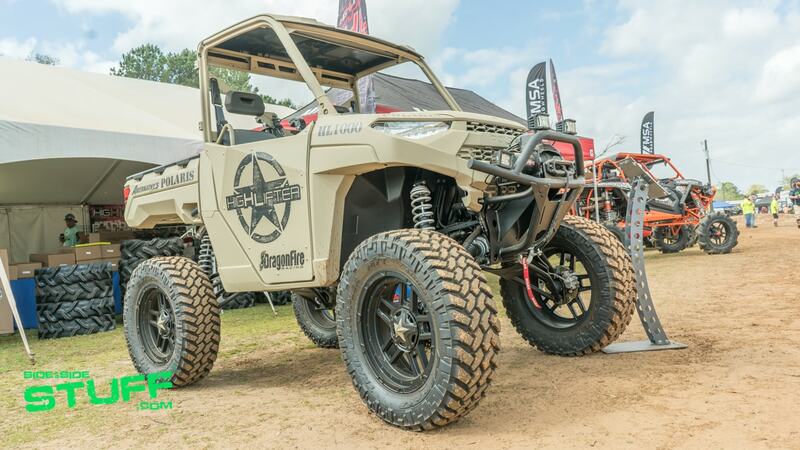 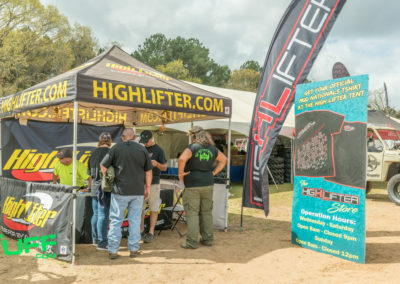 For over a decade, aftermarket ATV & UTV accessory company High Lifter Products has been throwing the biggest mud party of the year. 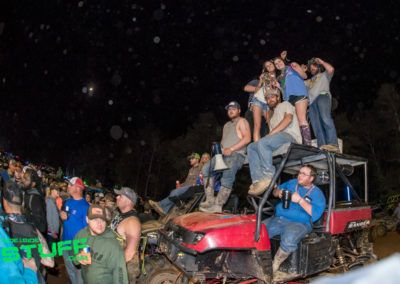 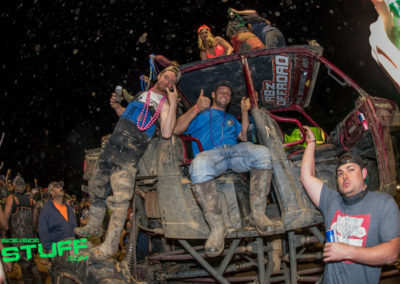 For many of us, the High Lifter Mud Nationals is the kickoff party for a summer full of riding and hanging out with friends. 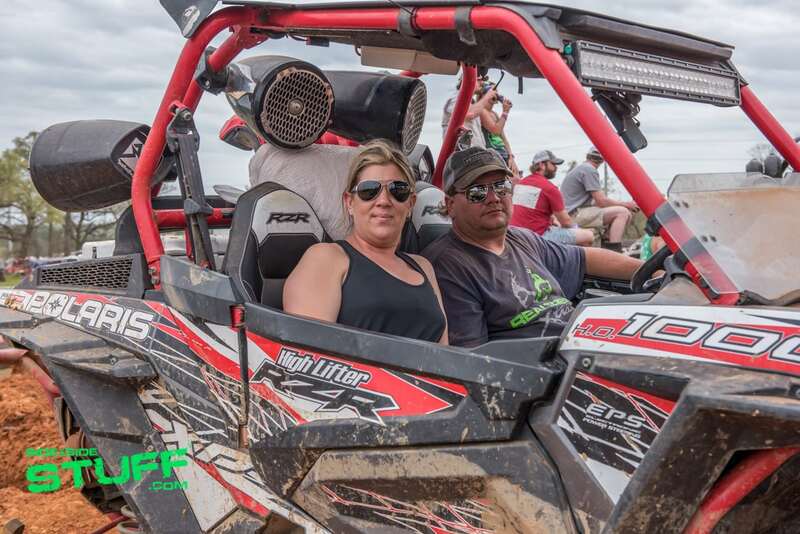 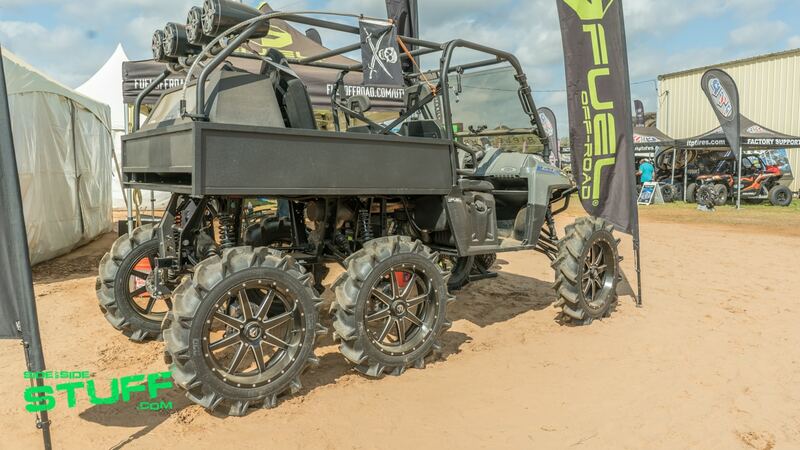 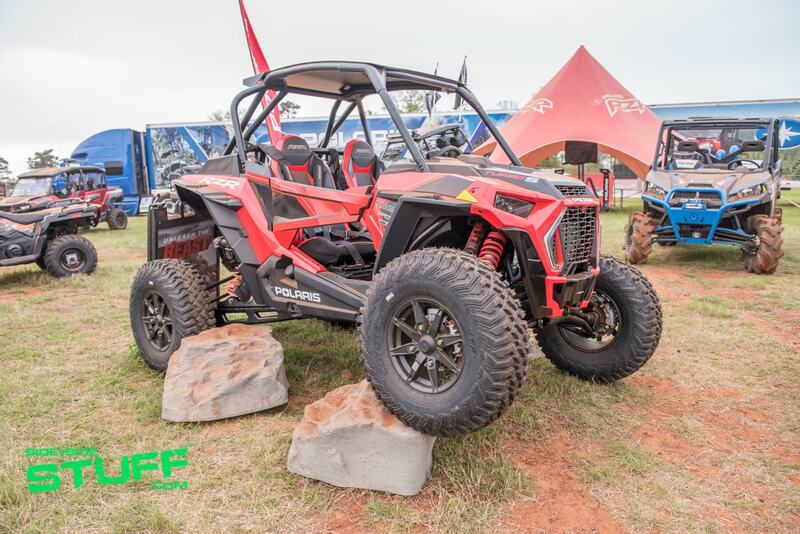 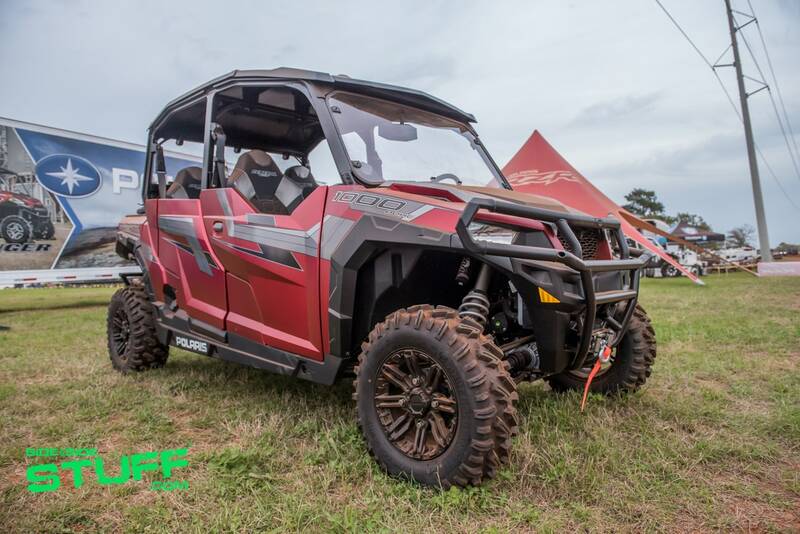 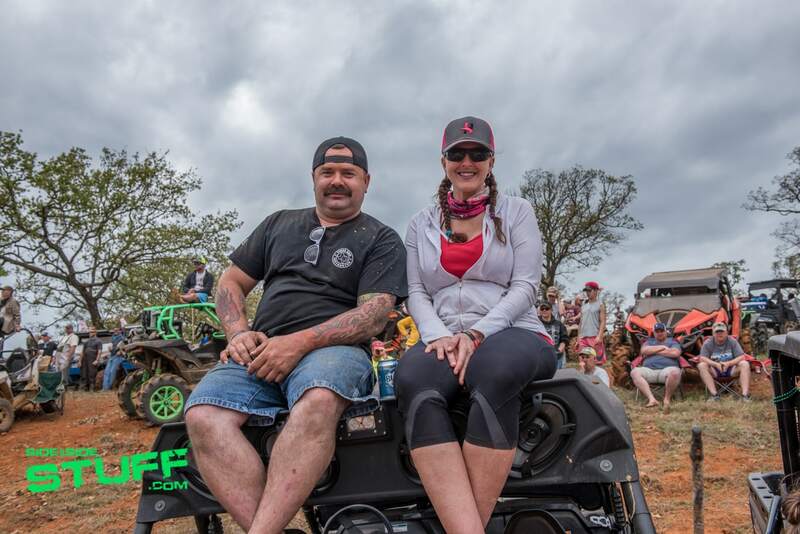 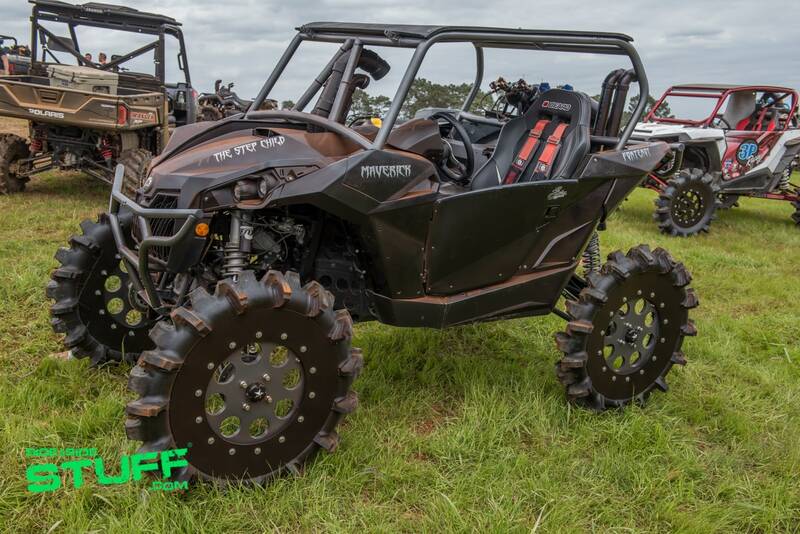 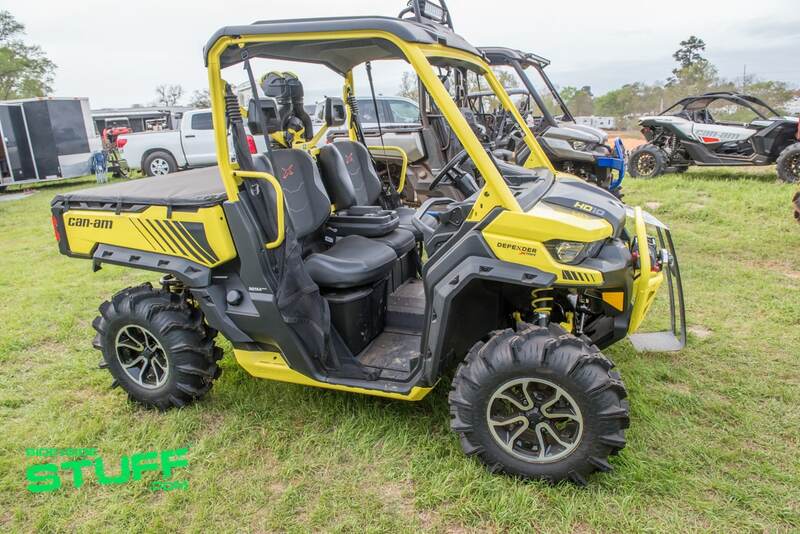 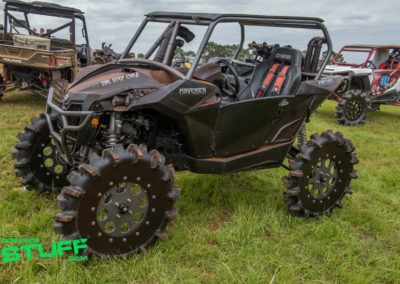 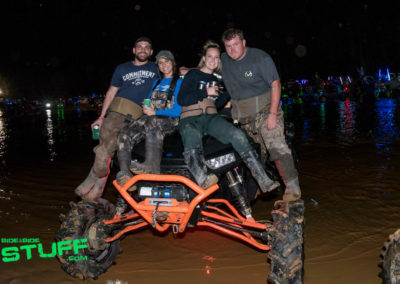 For 2018 the tradition continued, High Lifter’s five-day, full-fledged mud event brought in ATV & UTV enthusiast by the thousands for a weekend of camping, riding and fun festivities. 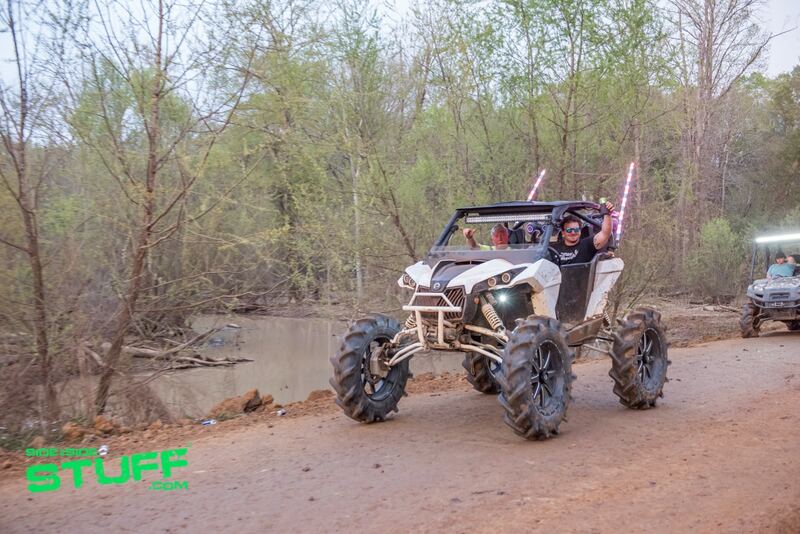 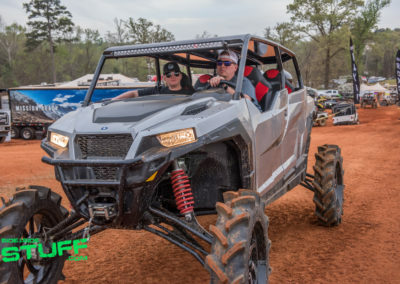 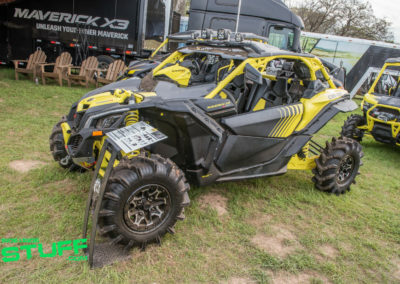 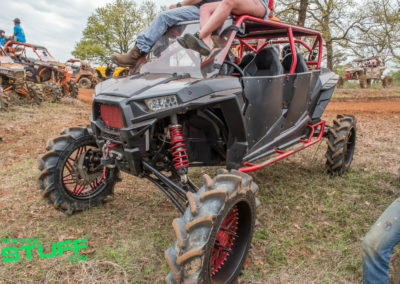 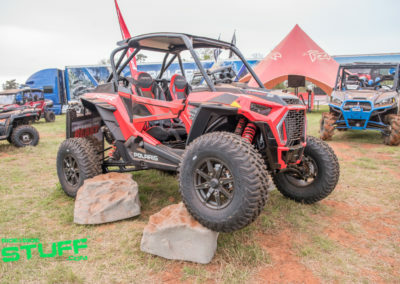 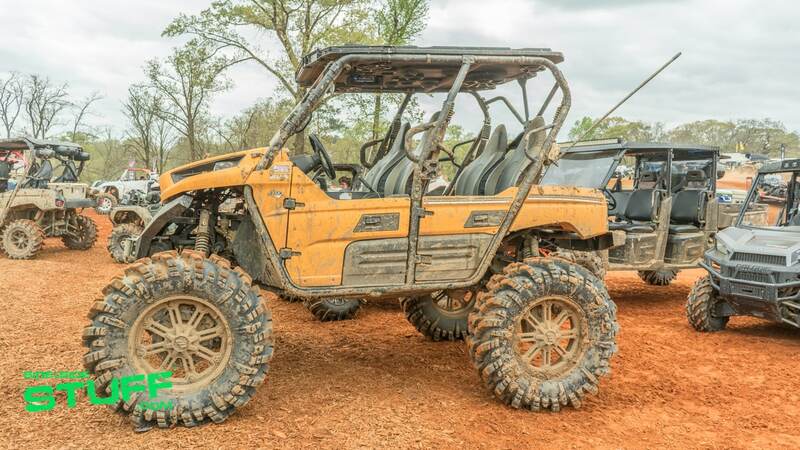 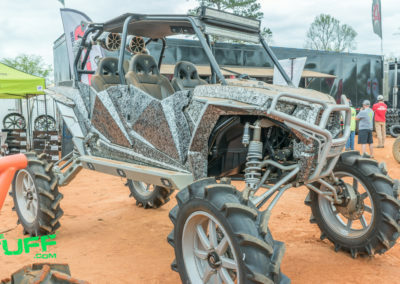 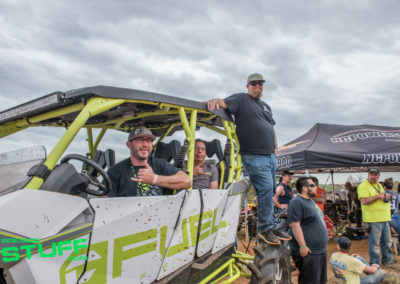 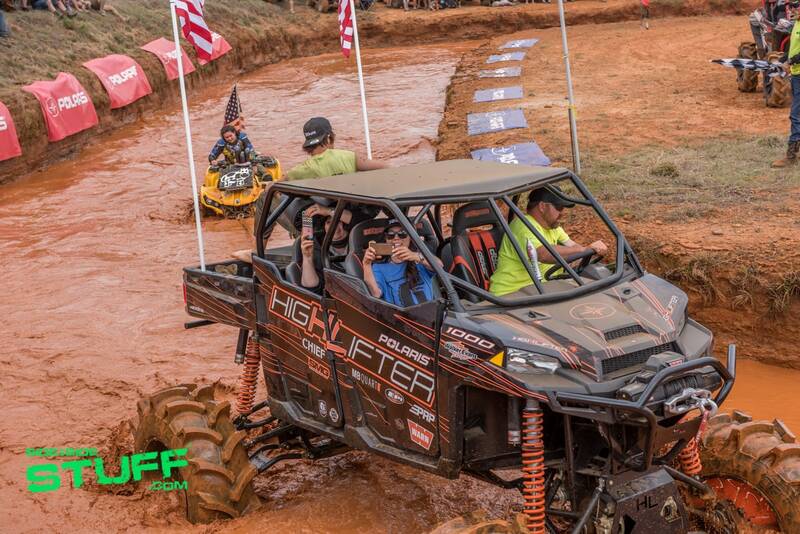 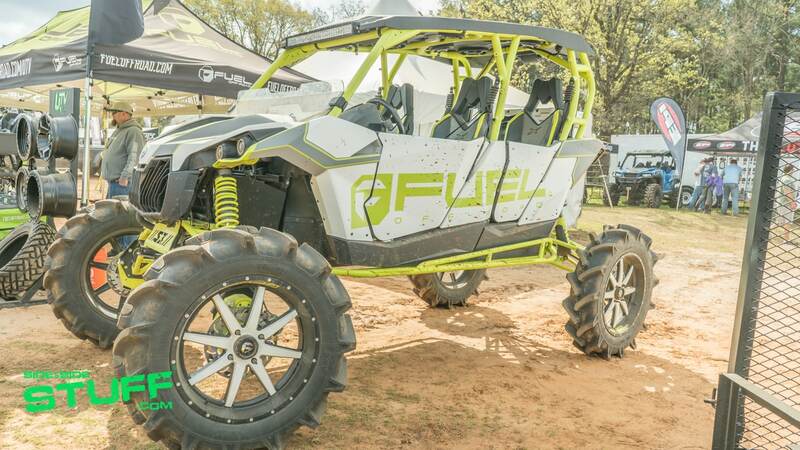 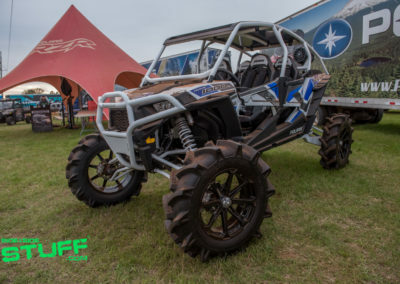 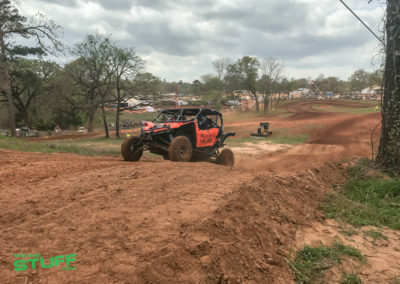 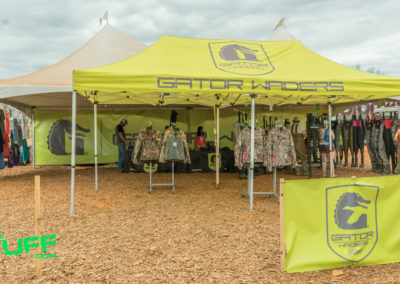 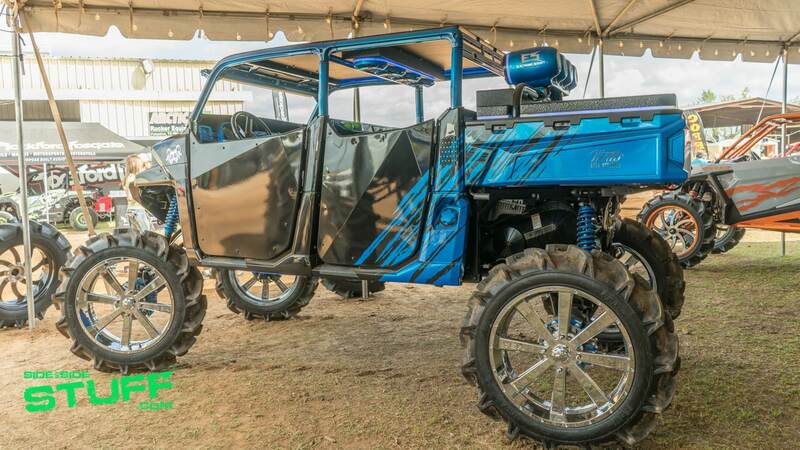 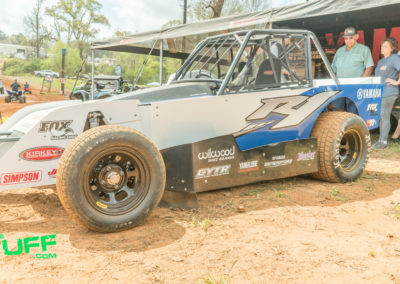 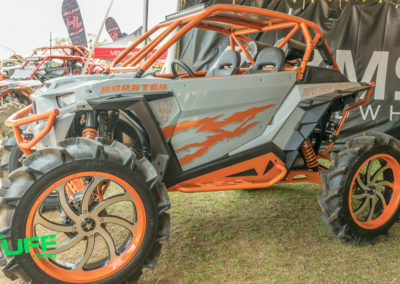 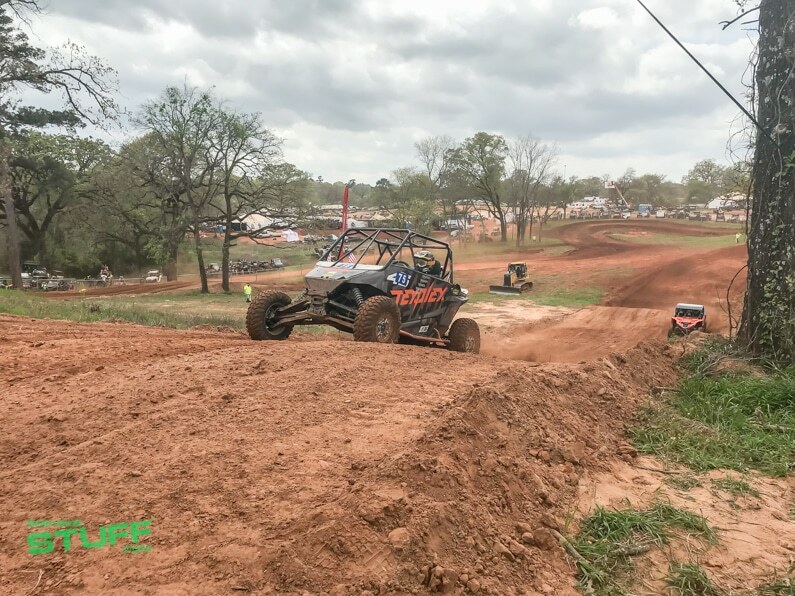 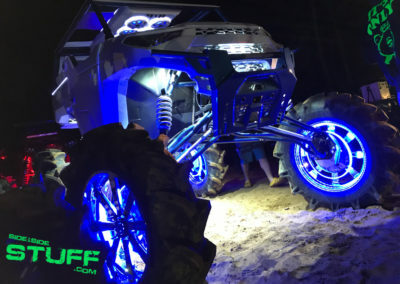 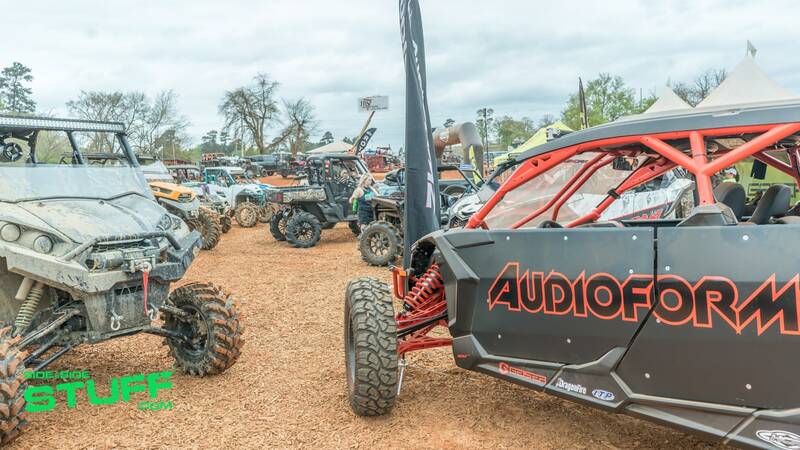 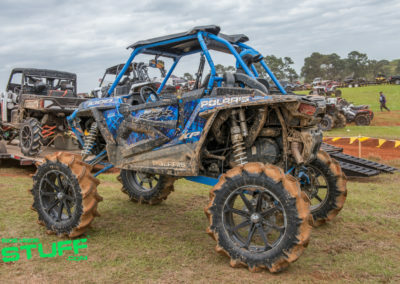 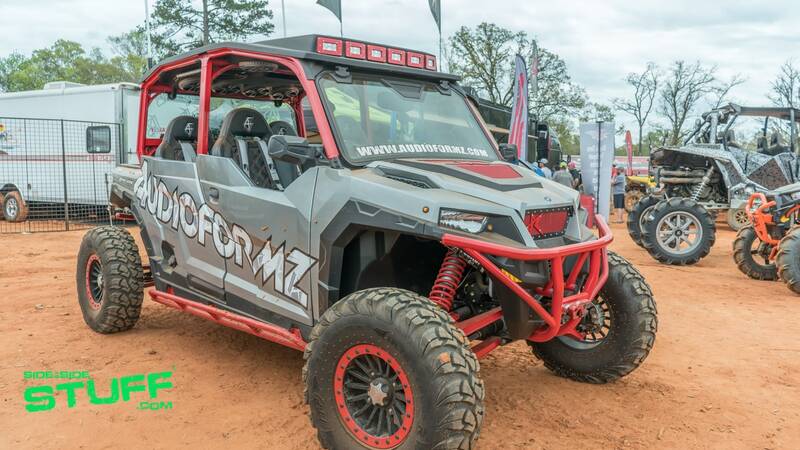 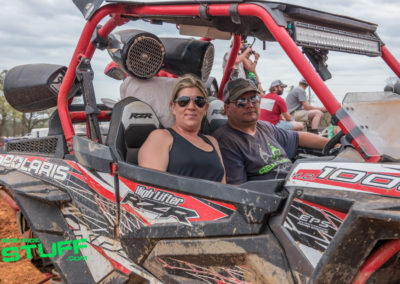 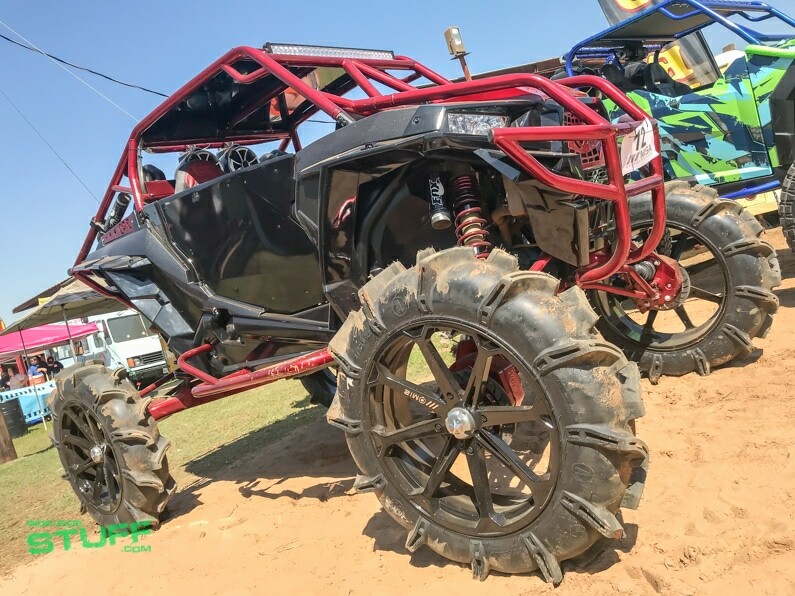 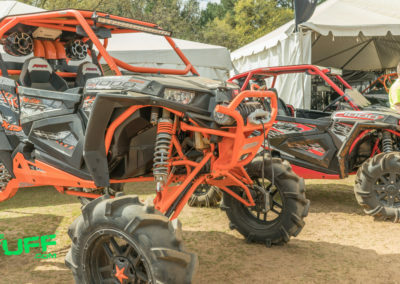 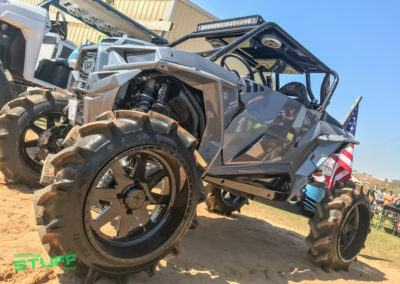 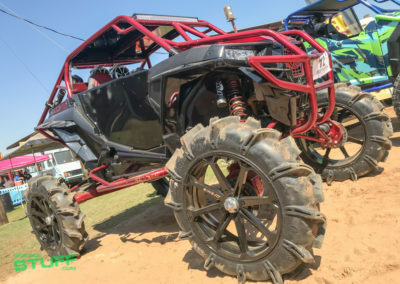 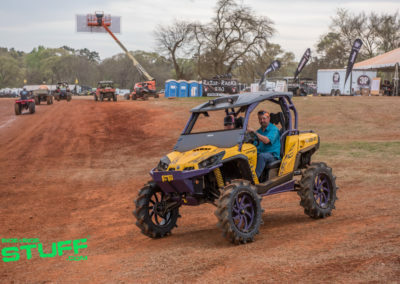 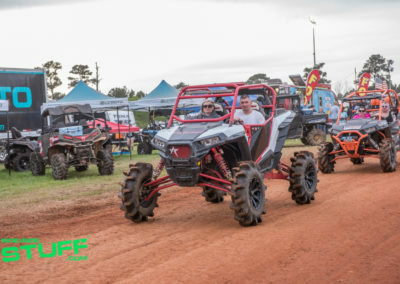 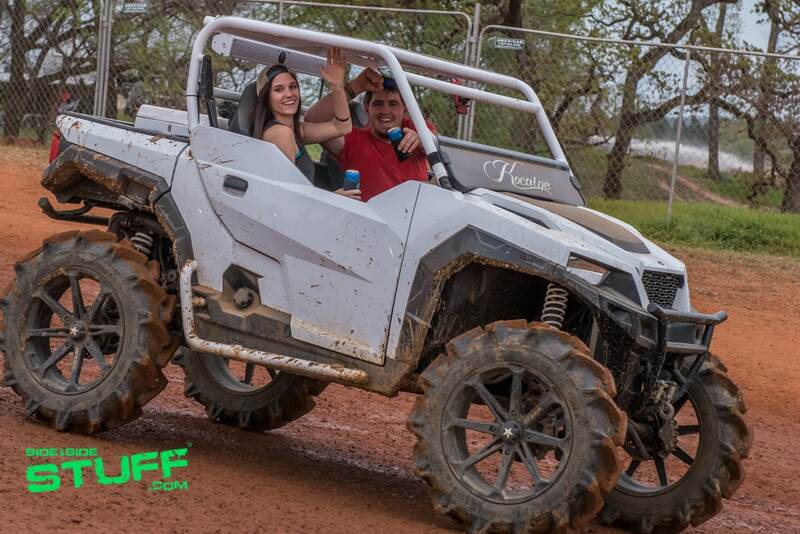 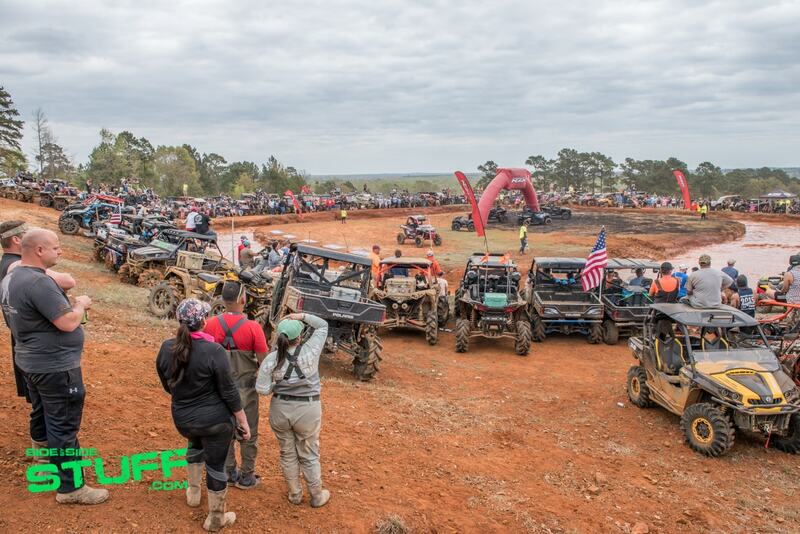 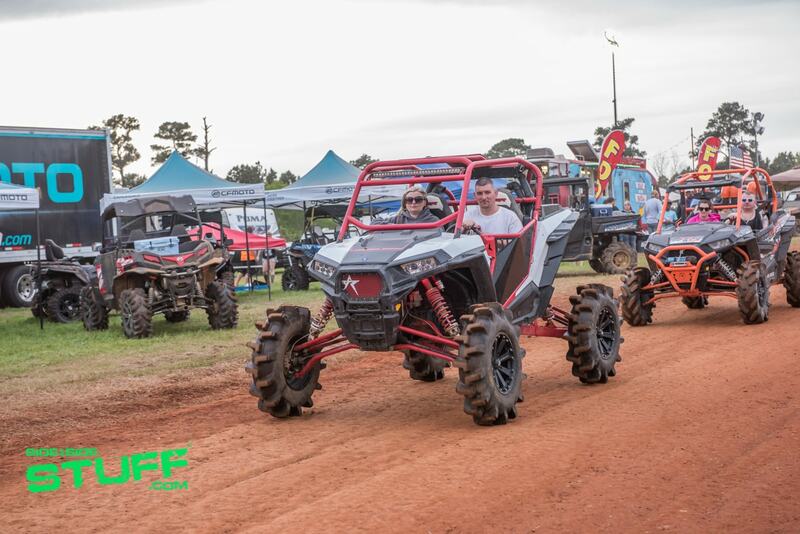 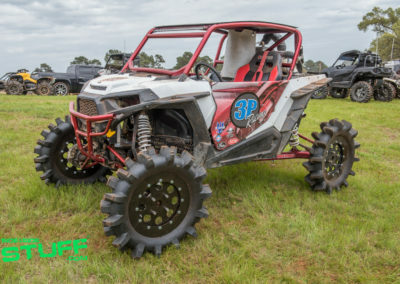 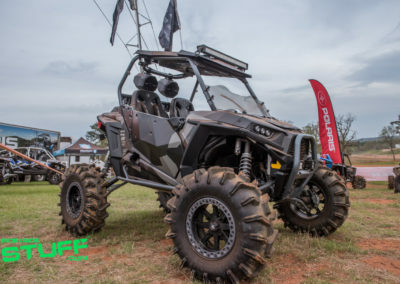 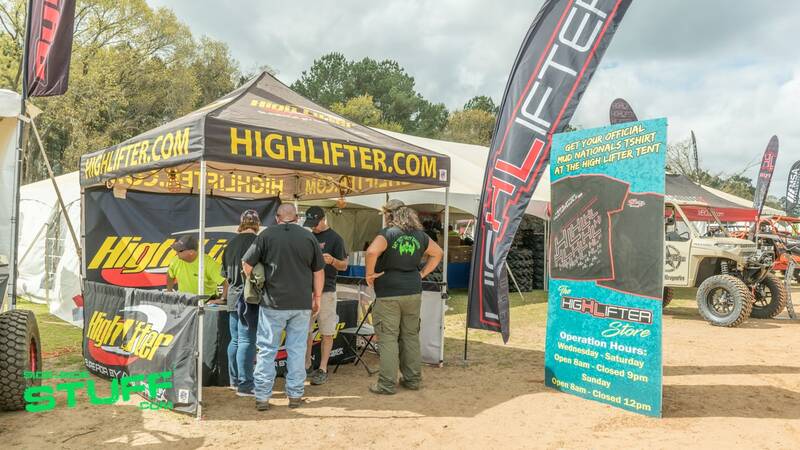 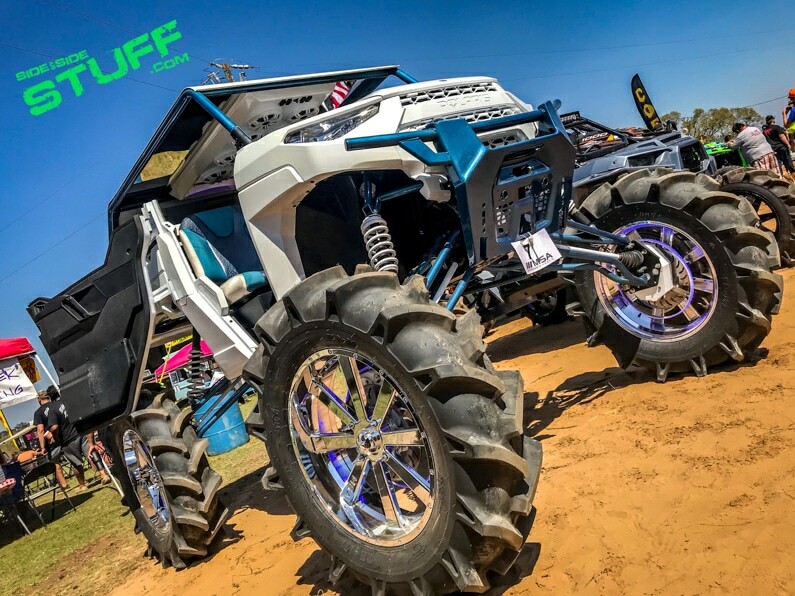 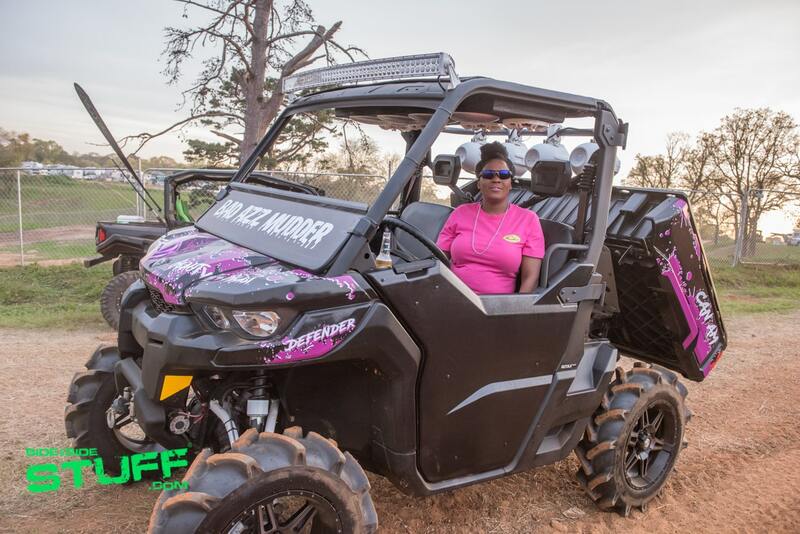 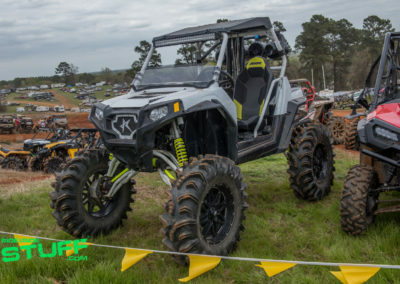 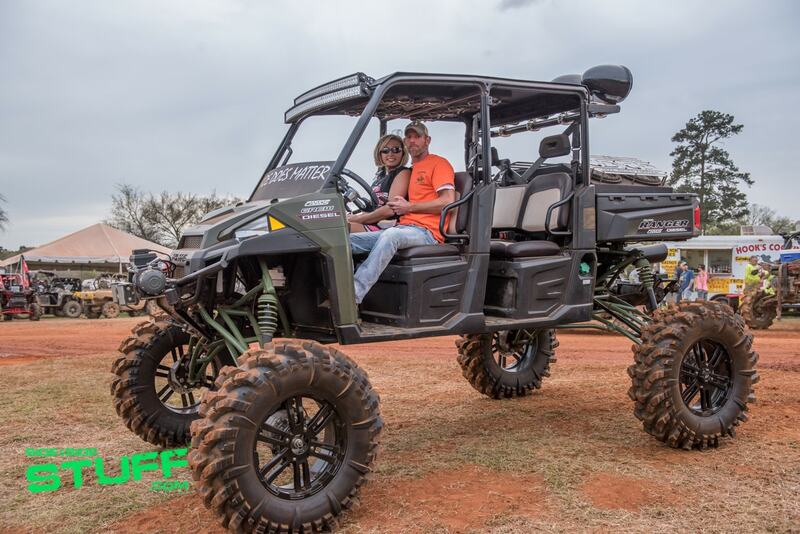 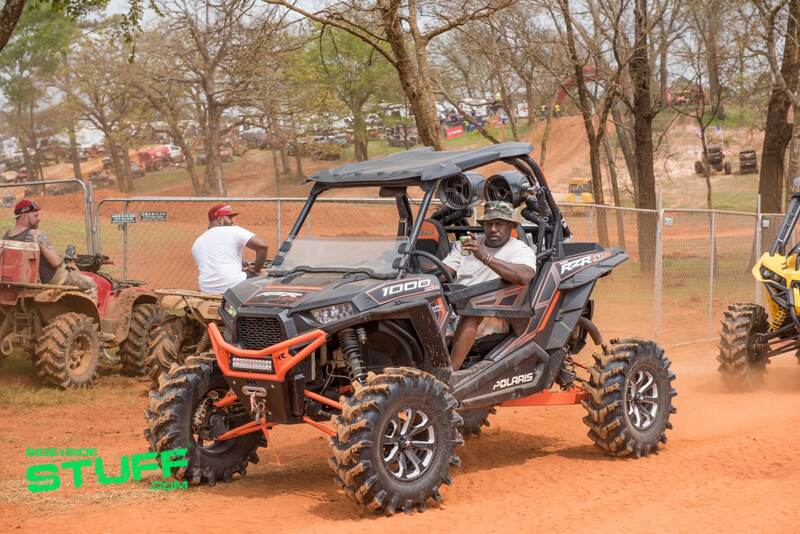 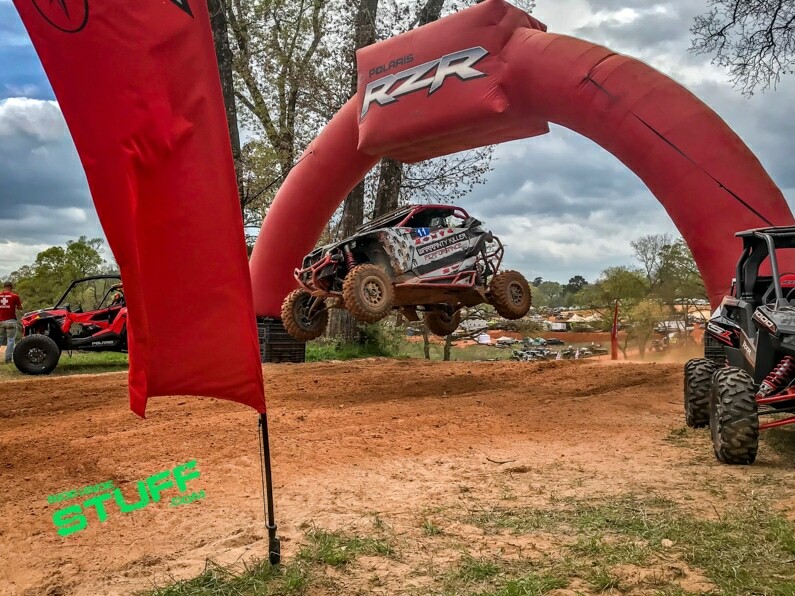 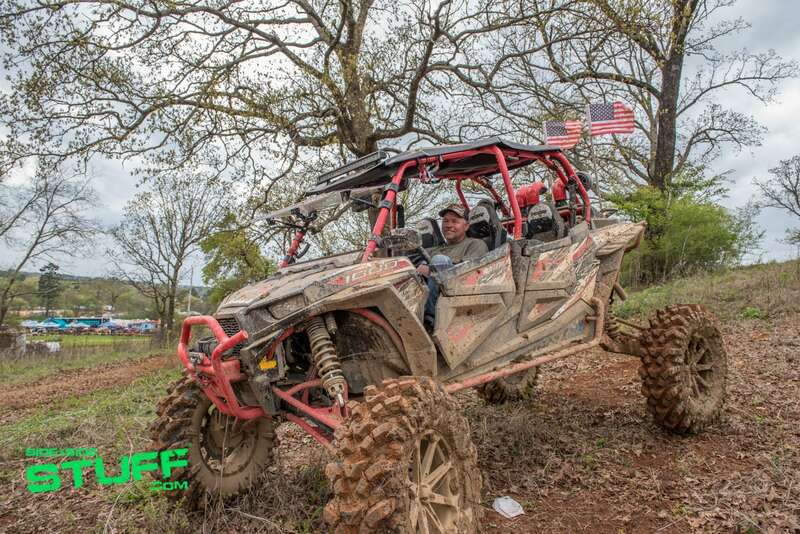 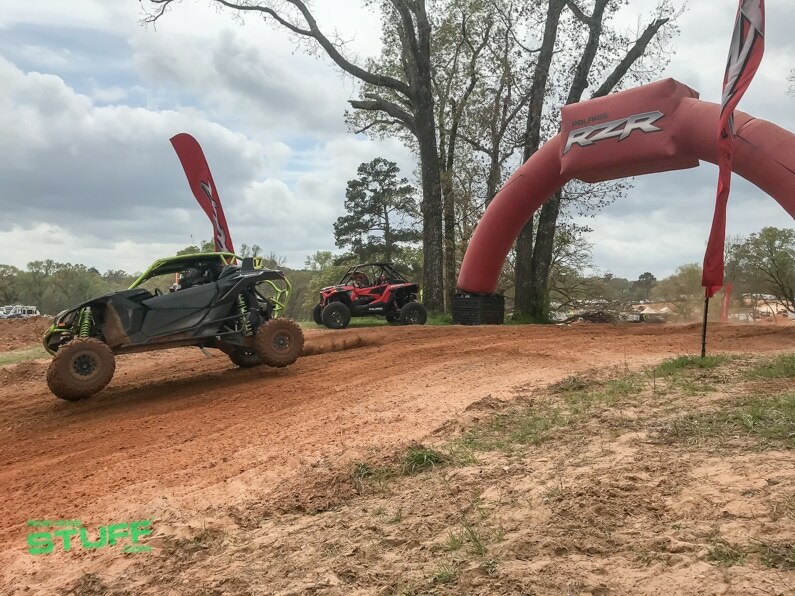 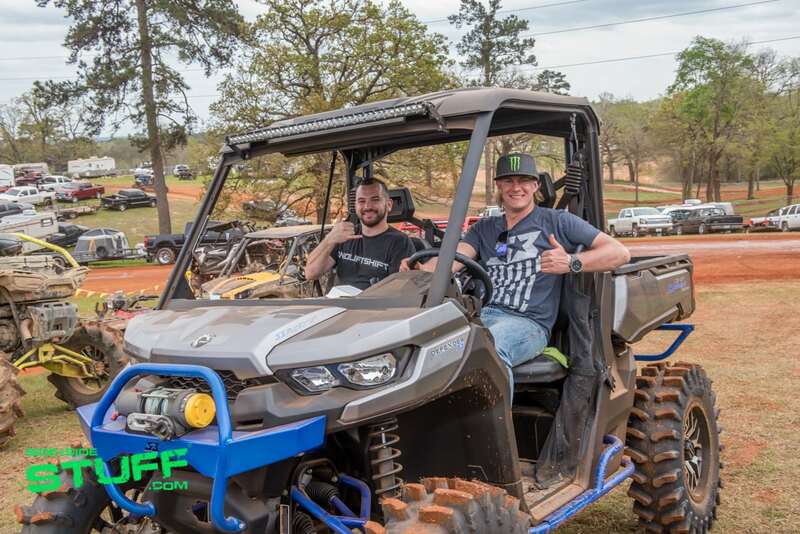 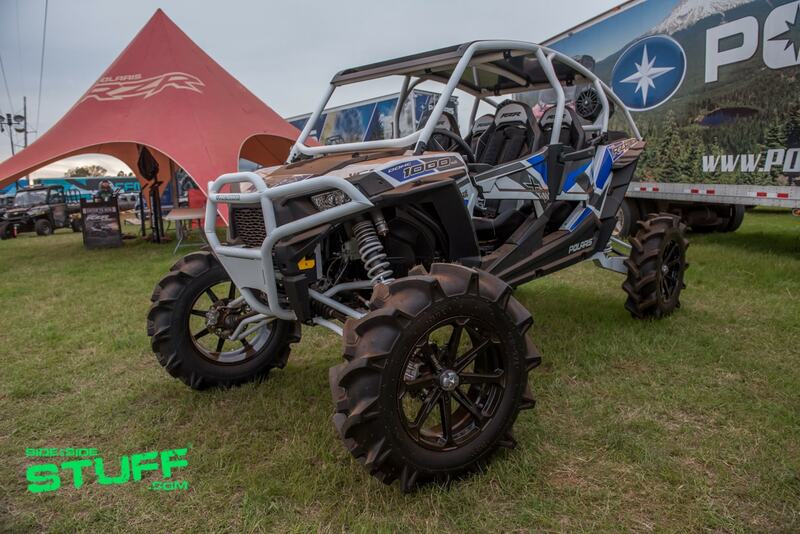 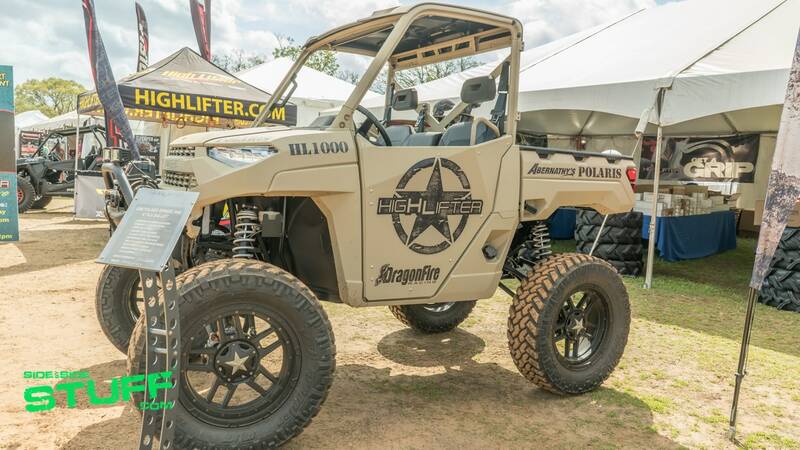 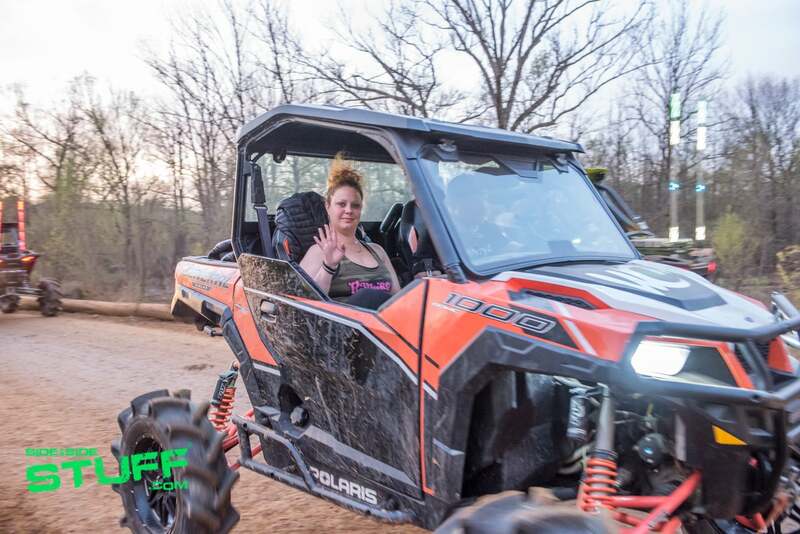 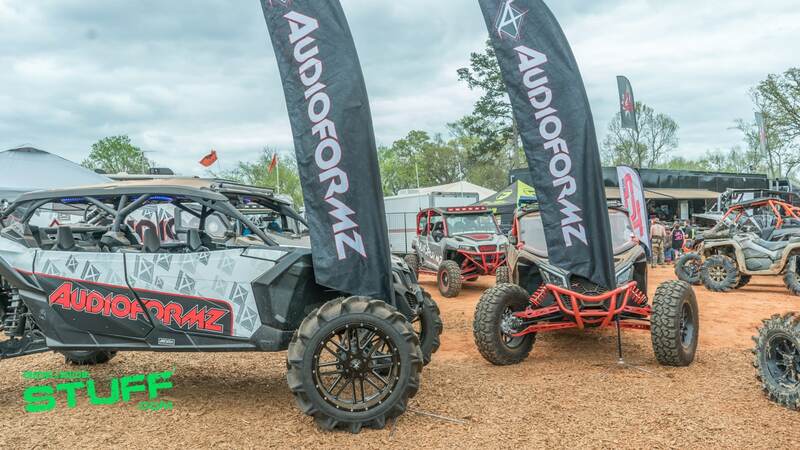 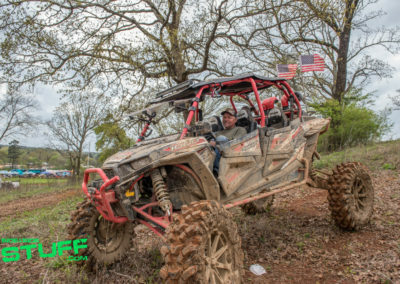 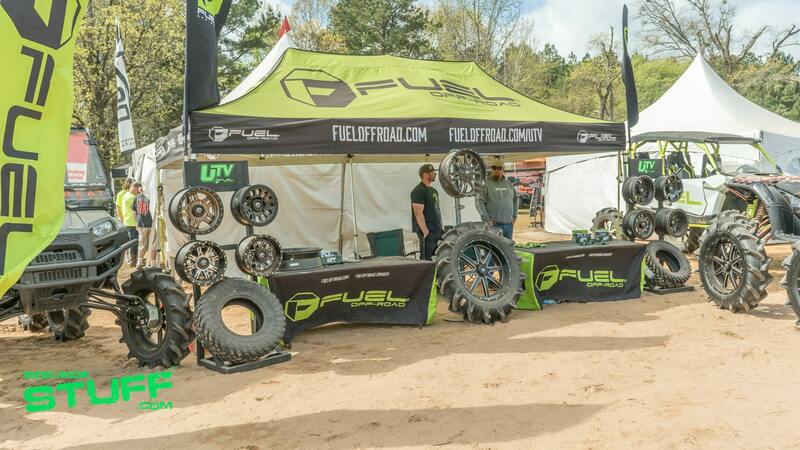 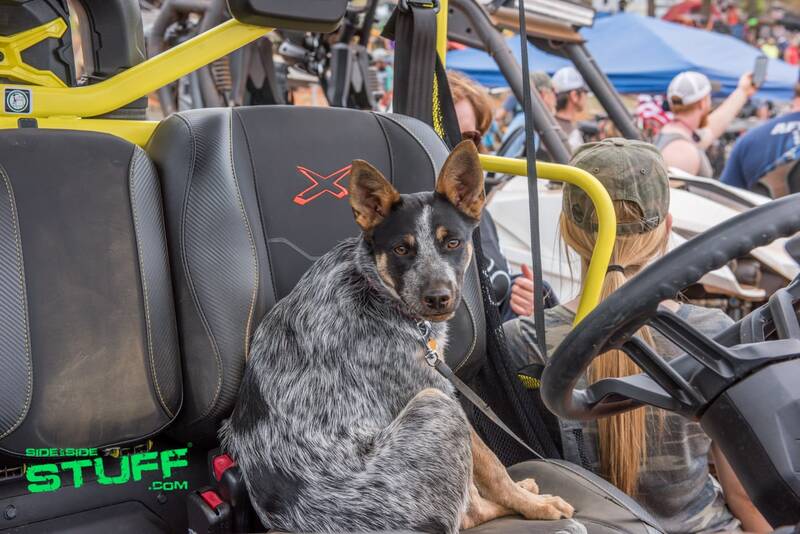 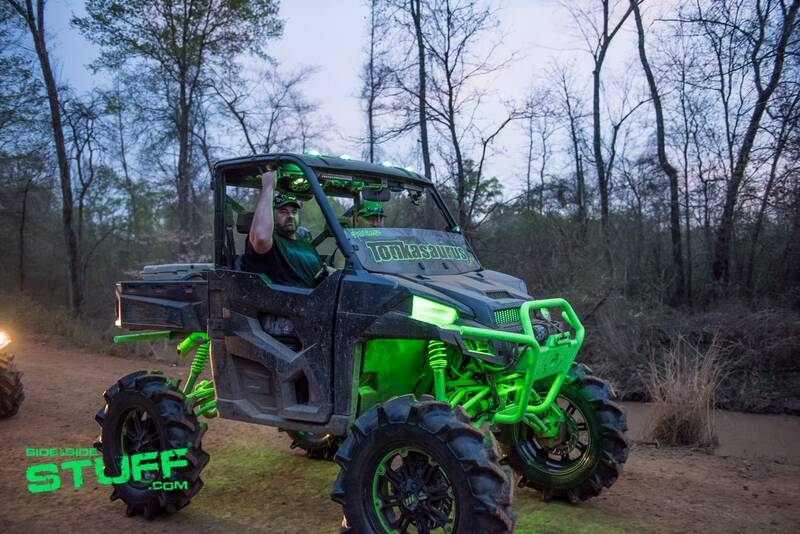 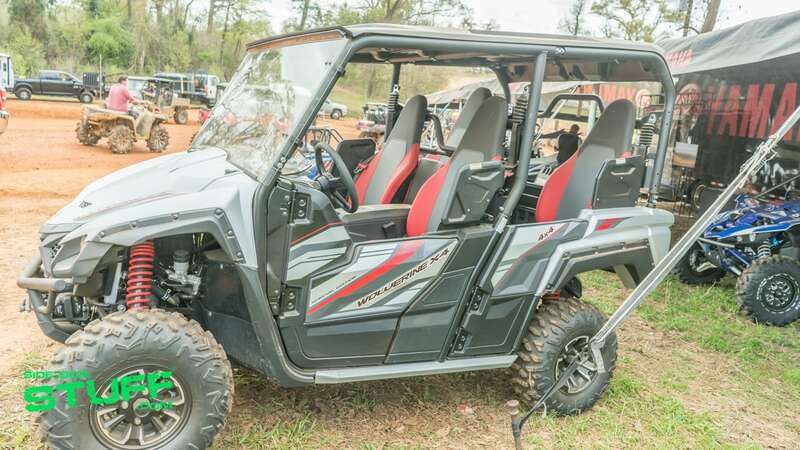 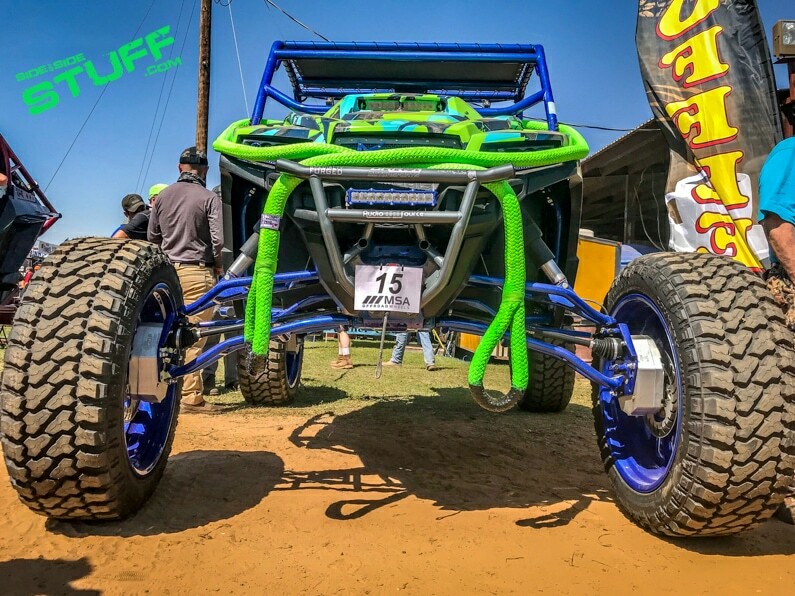 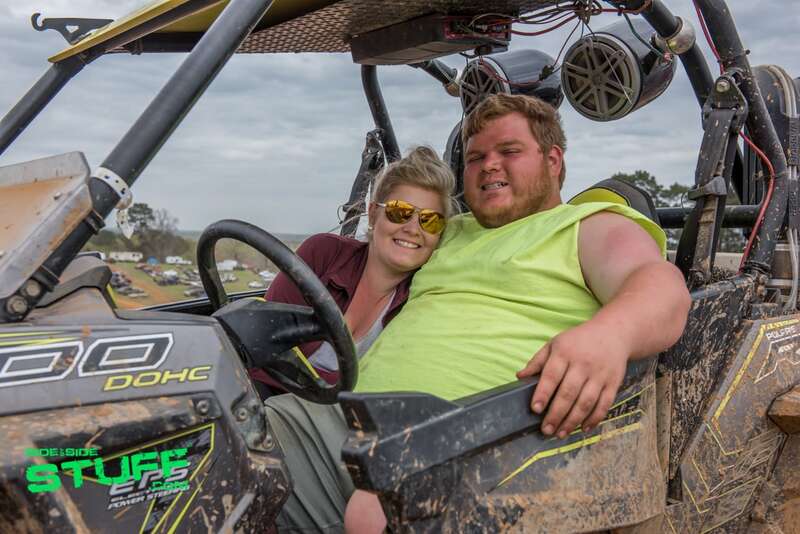 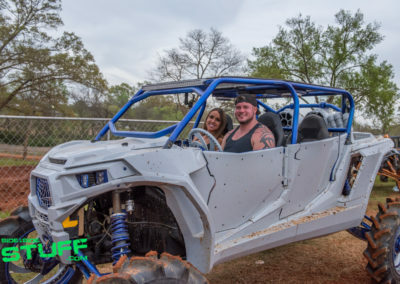 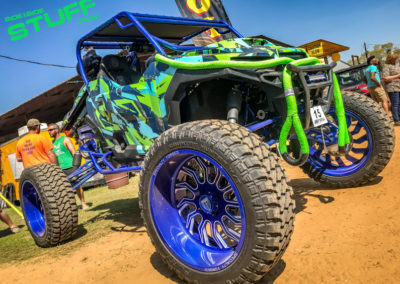 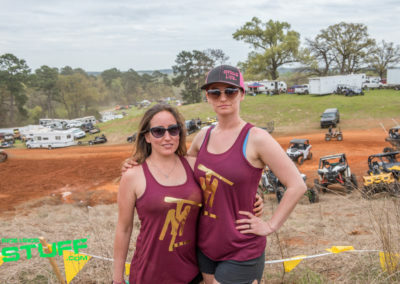 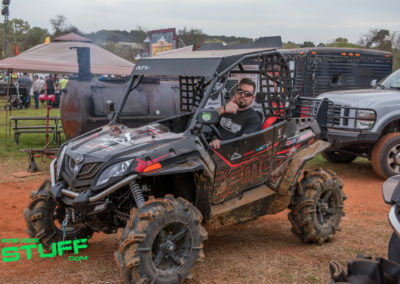 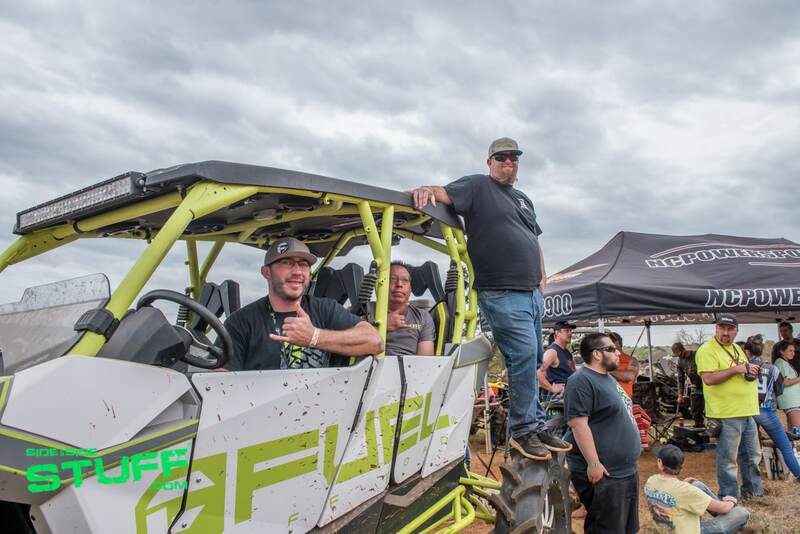 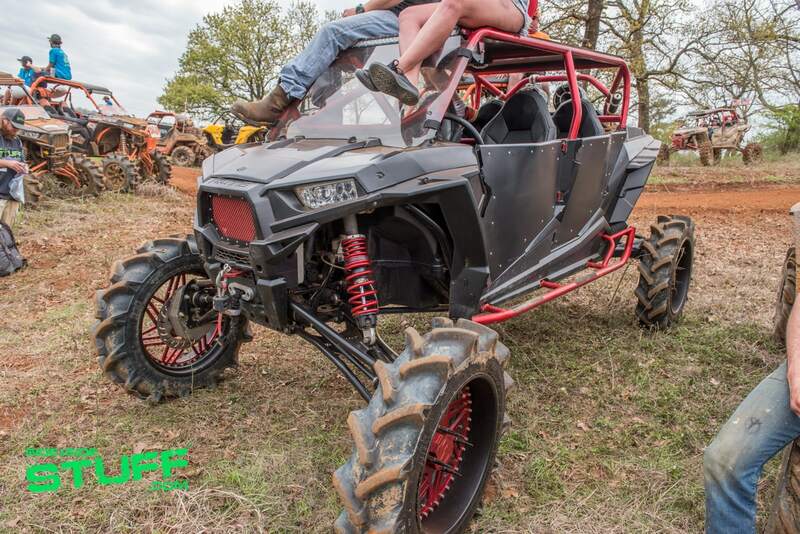 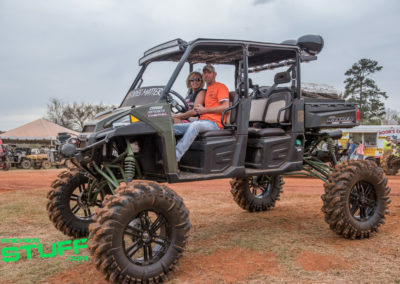 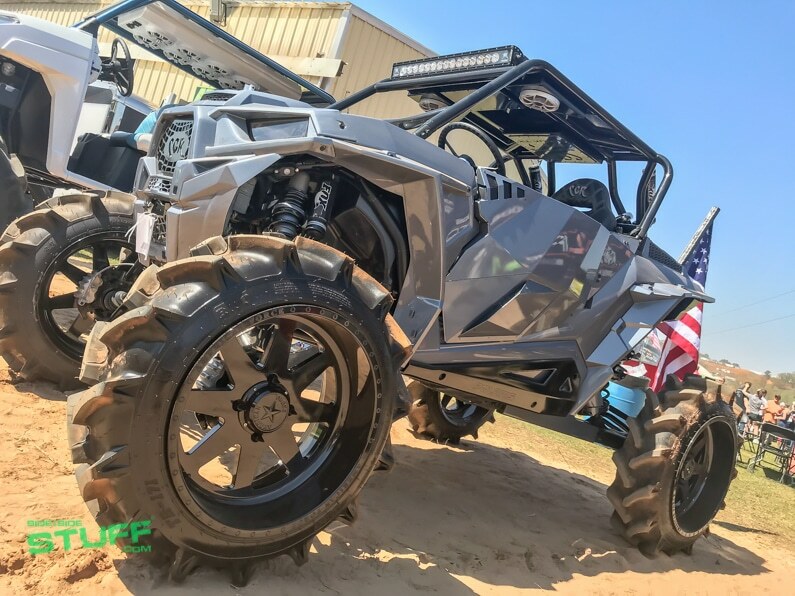 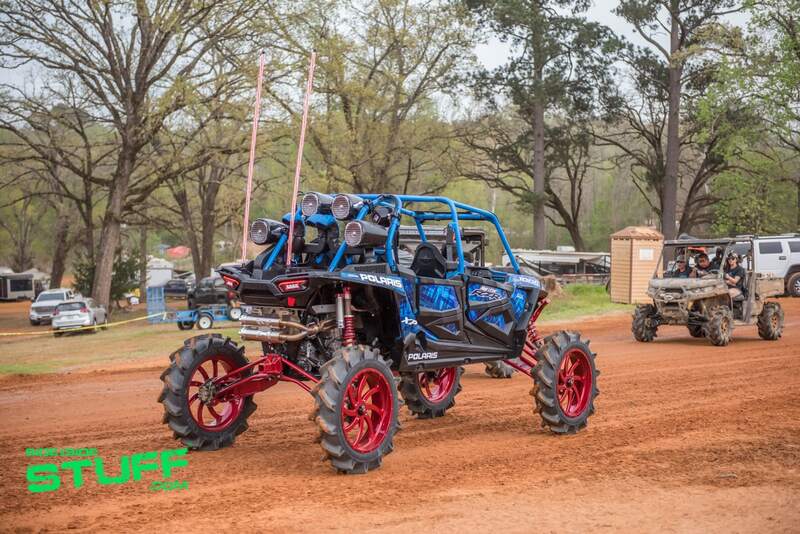 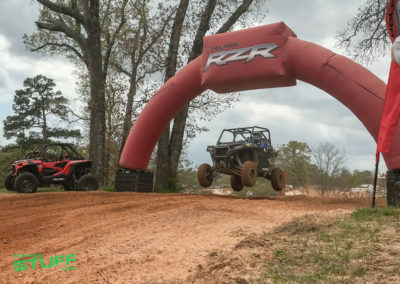 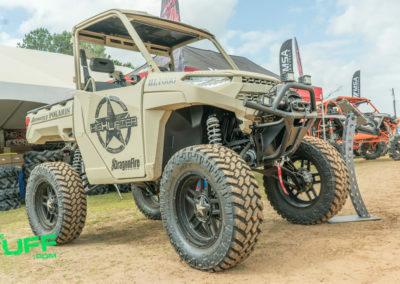 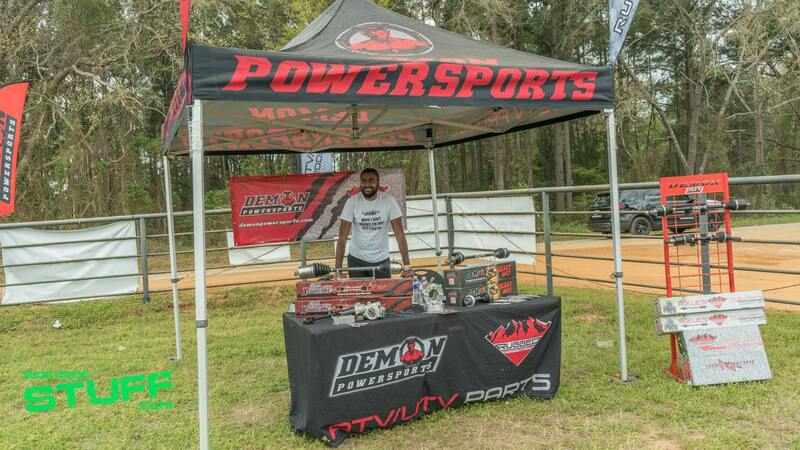 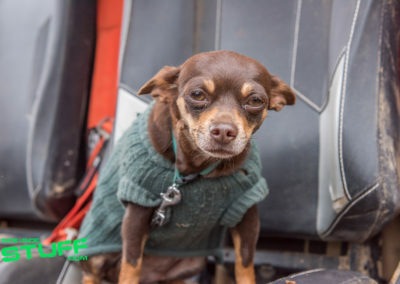 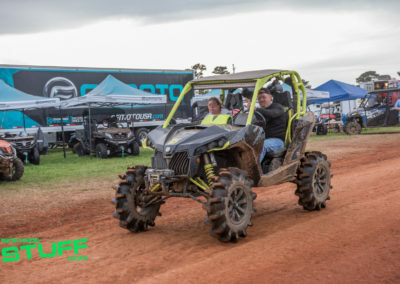 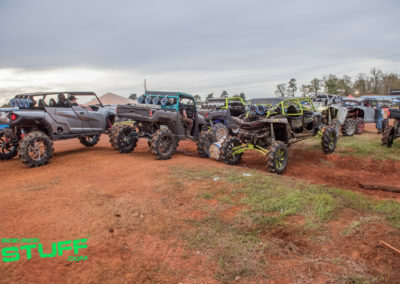 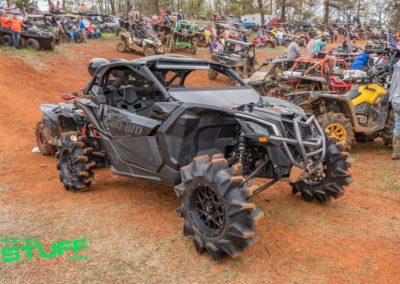 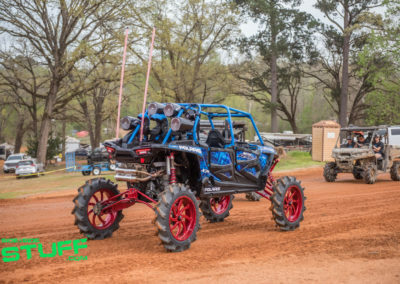 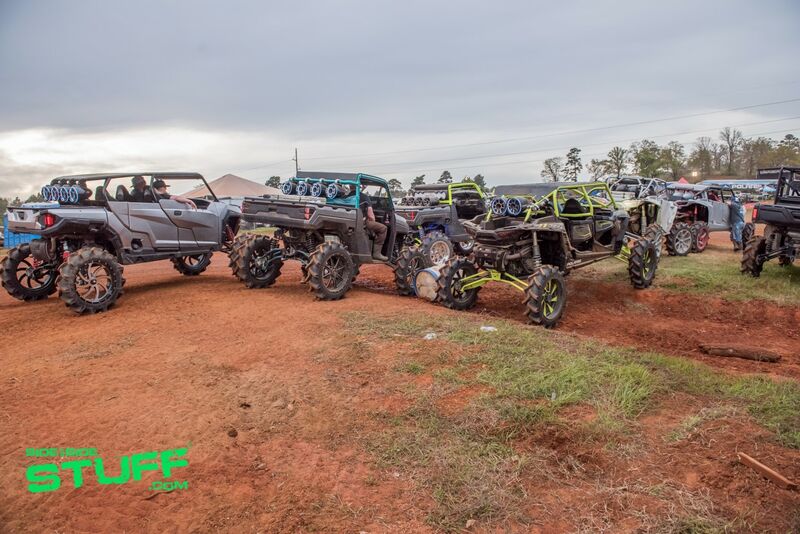 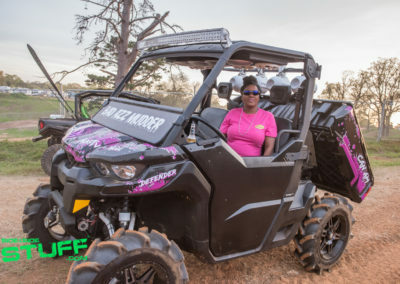 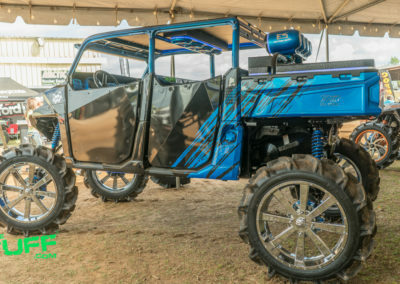 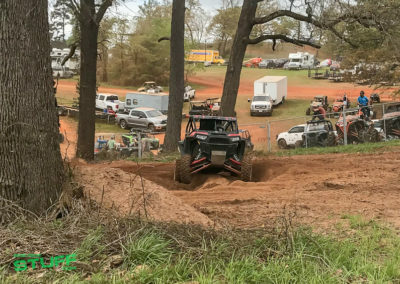 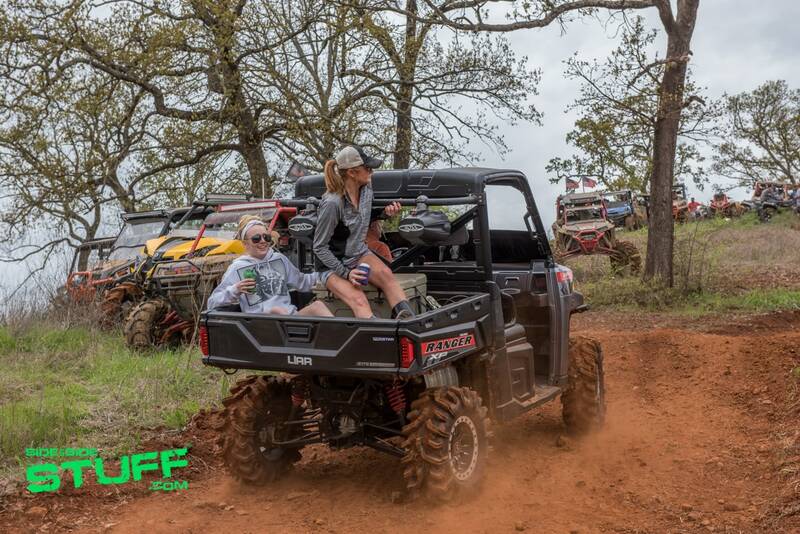 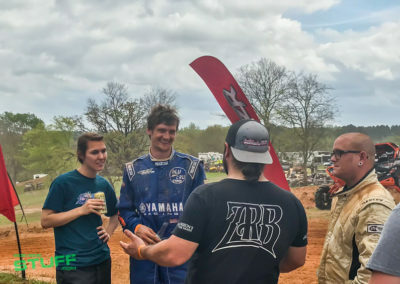 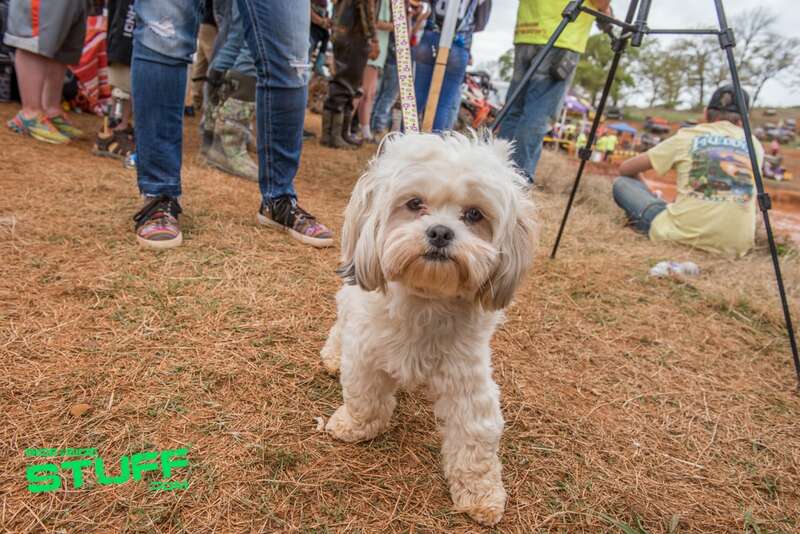 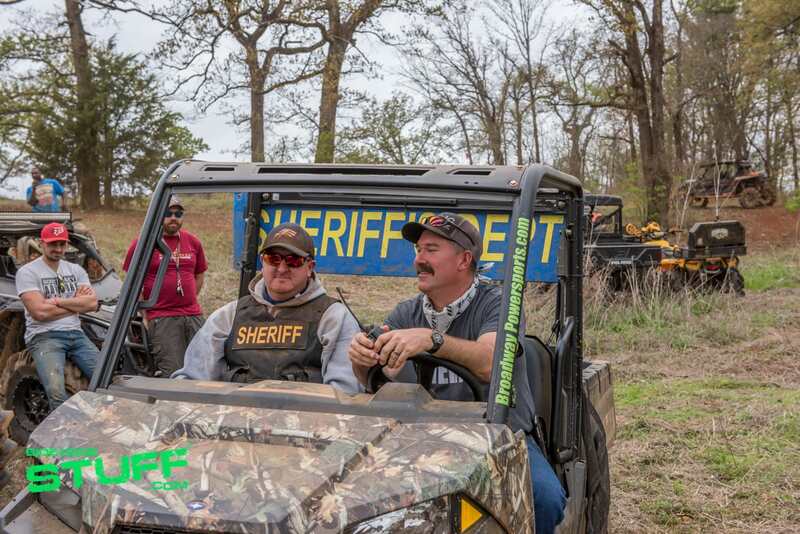 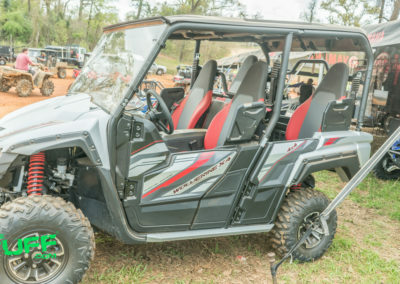 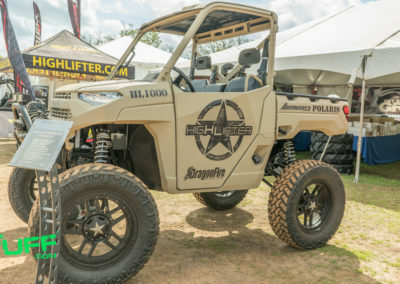 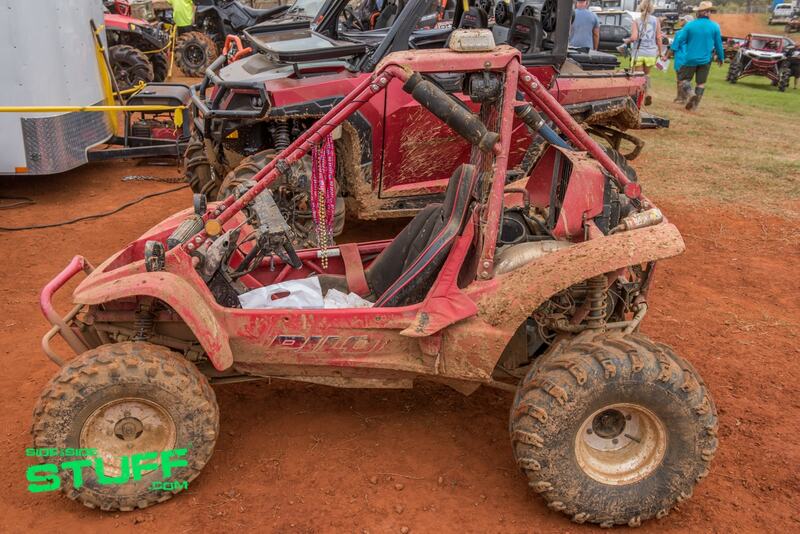 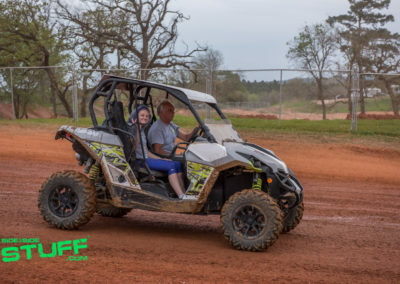 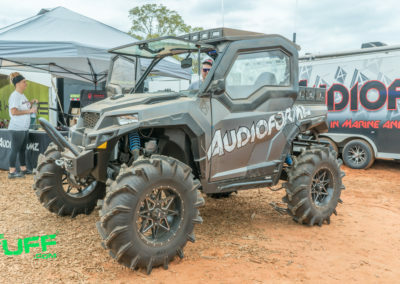 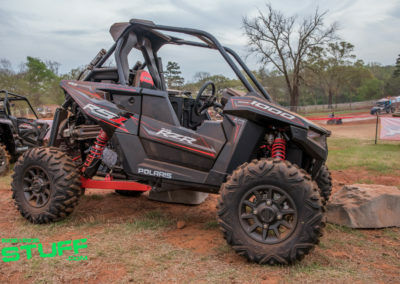 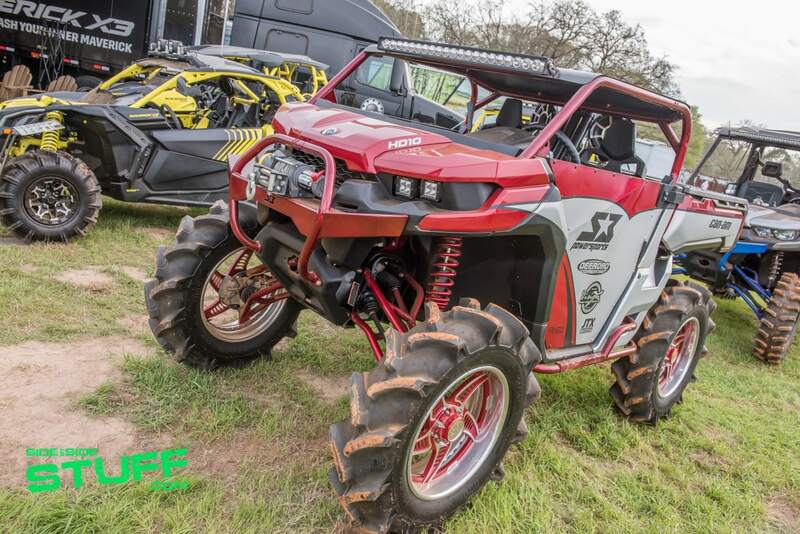 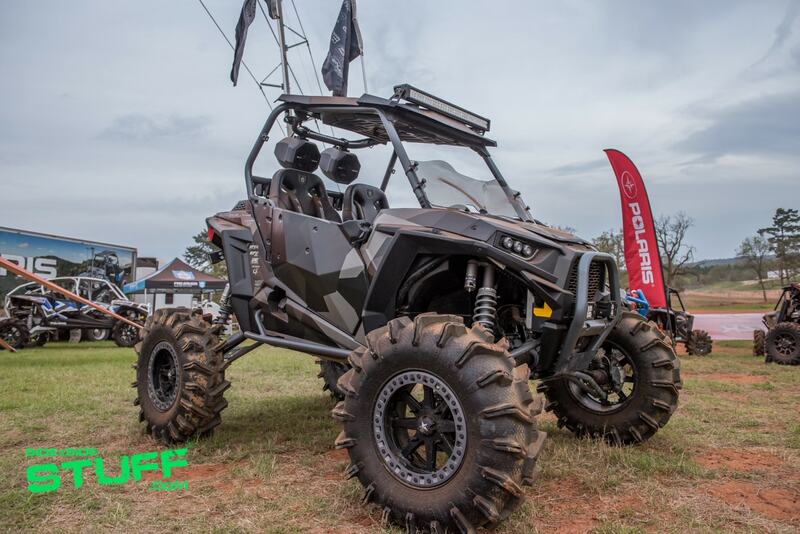 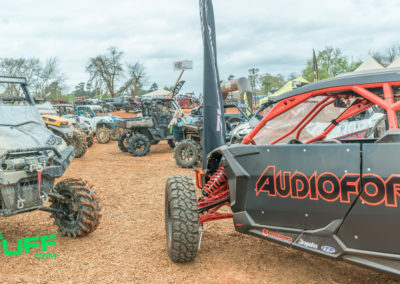 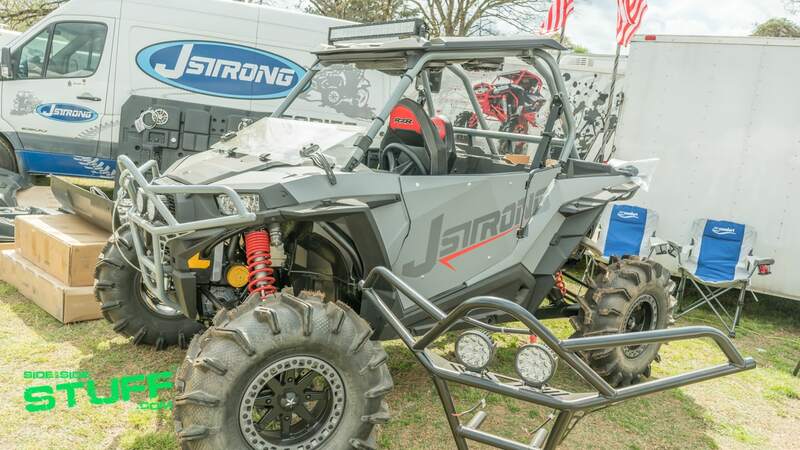 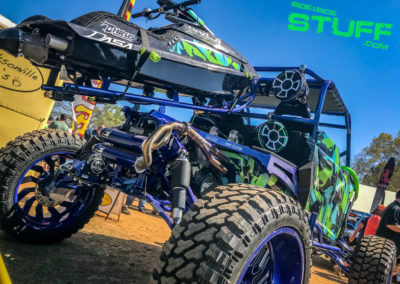 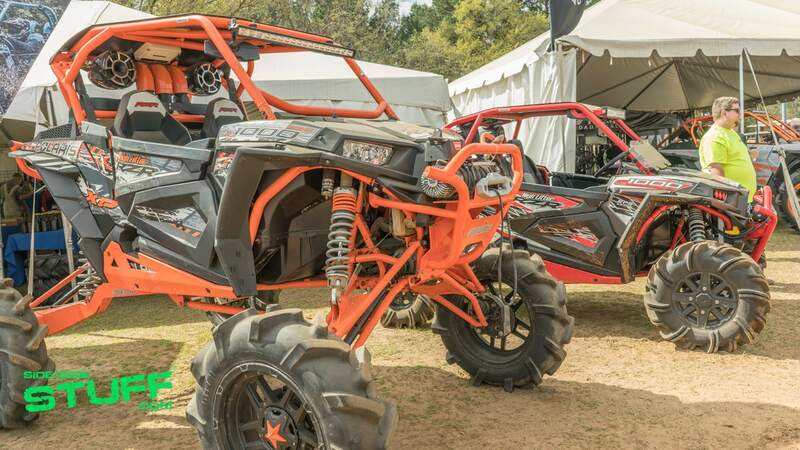 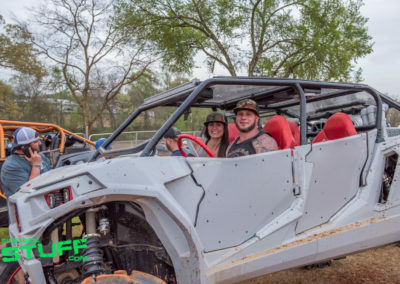 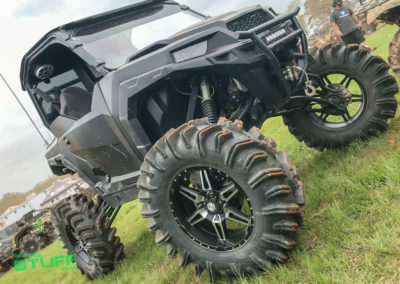 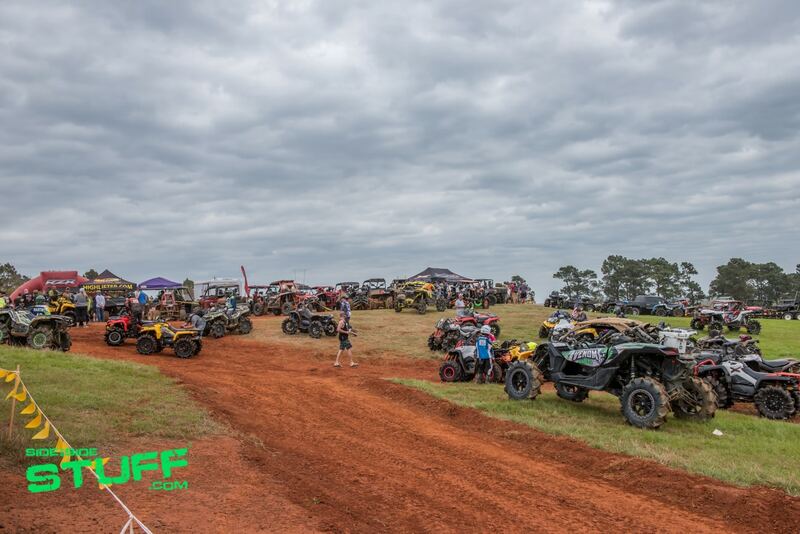 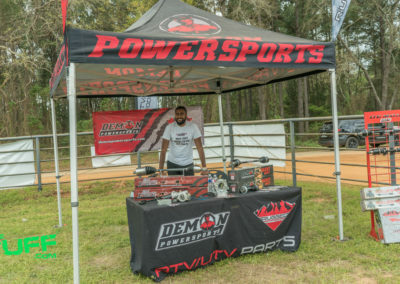 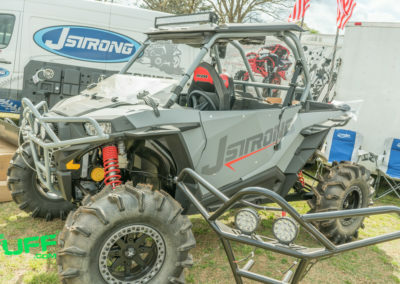 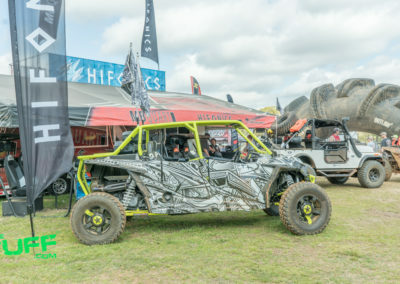 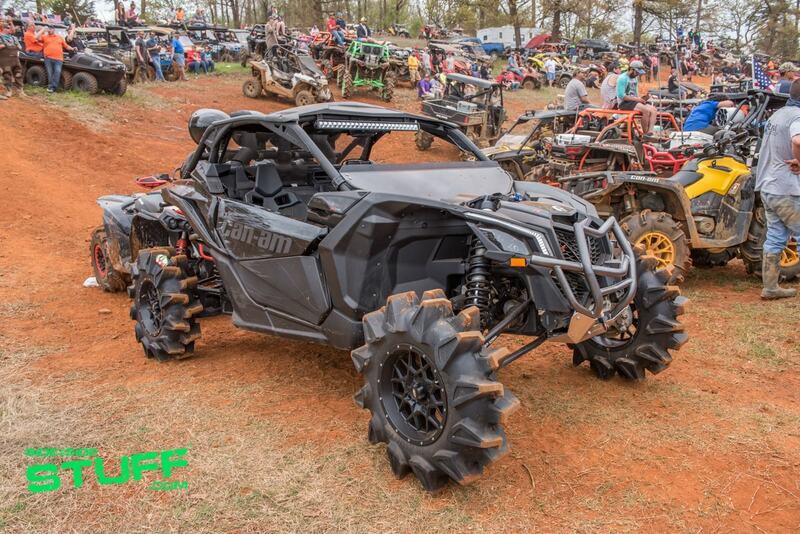 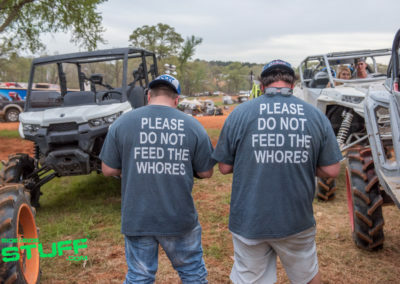 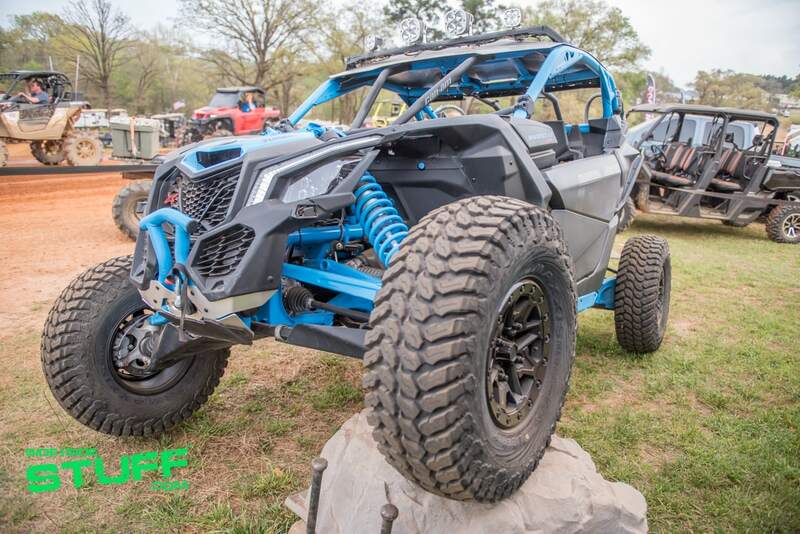 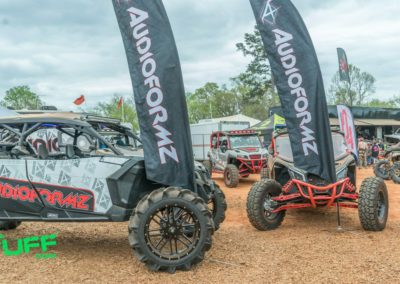 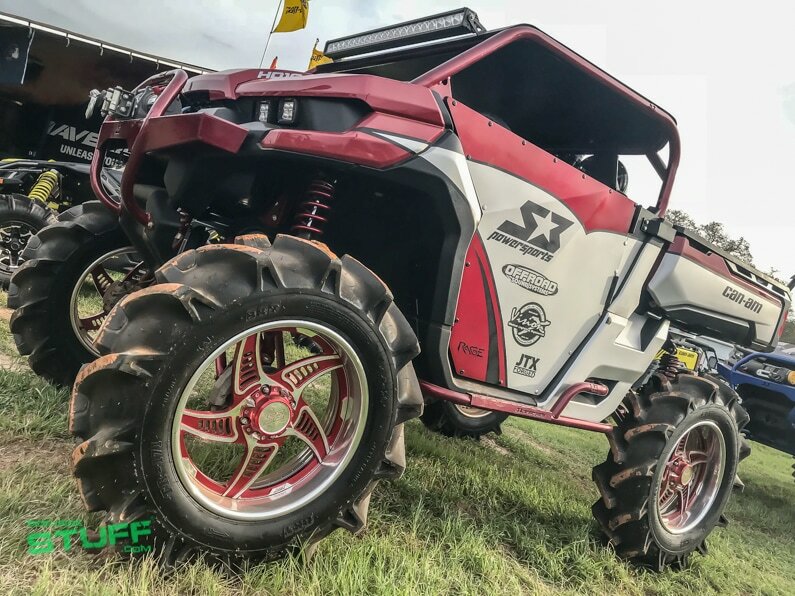 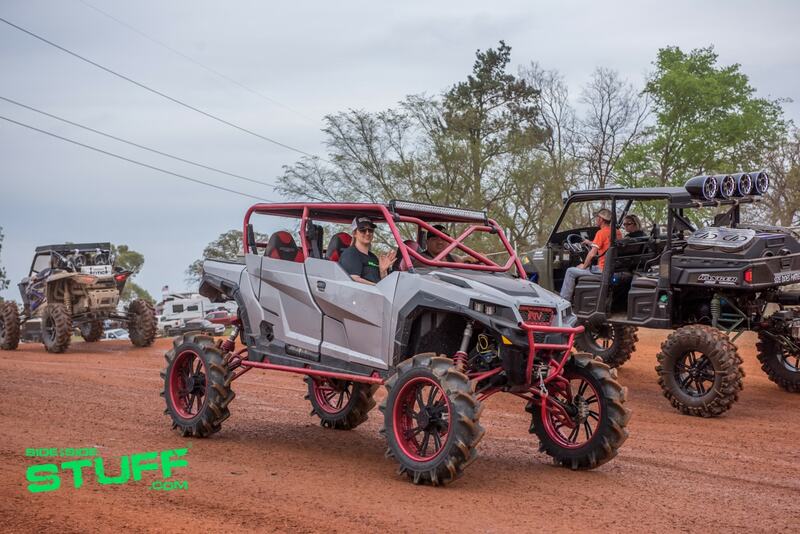 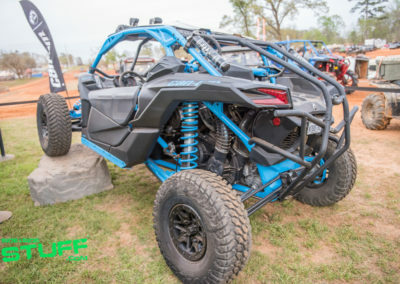 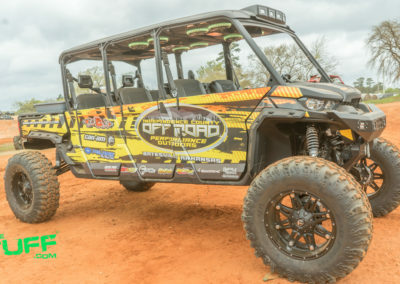 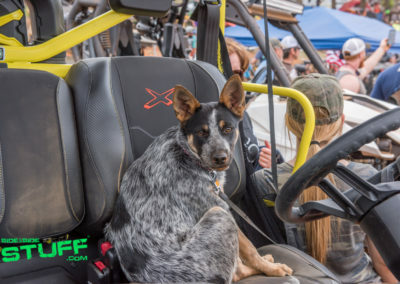 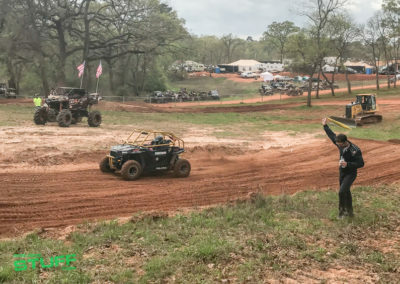 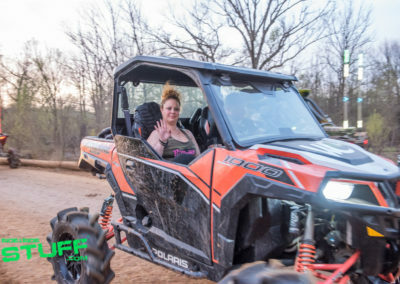 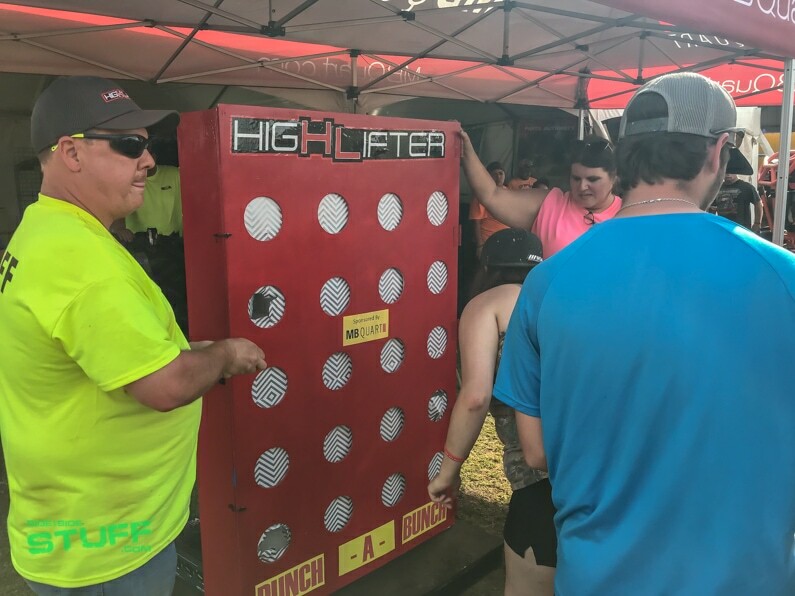 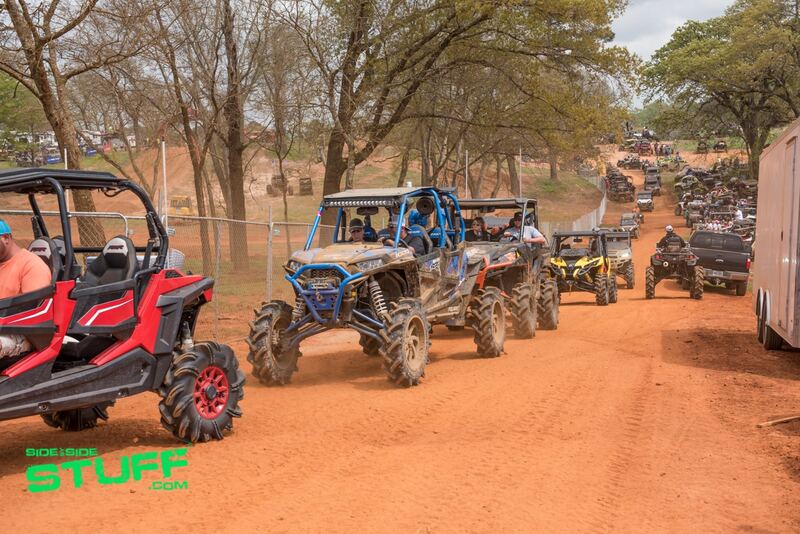 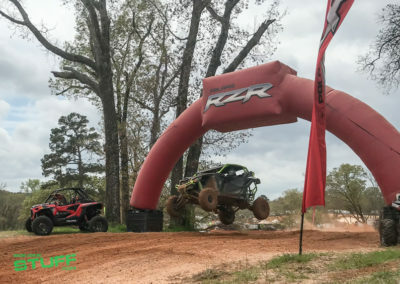 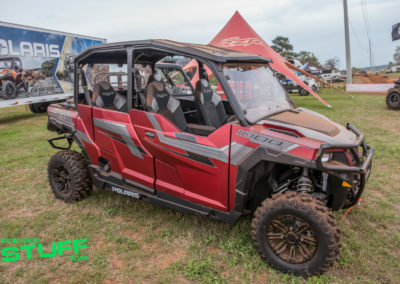 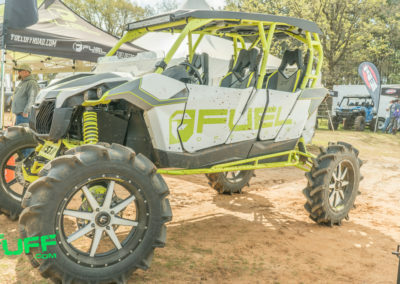 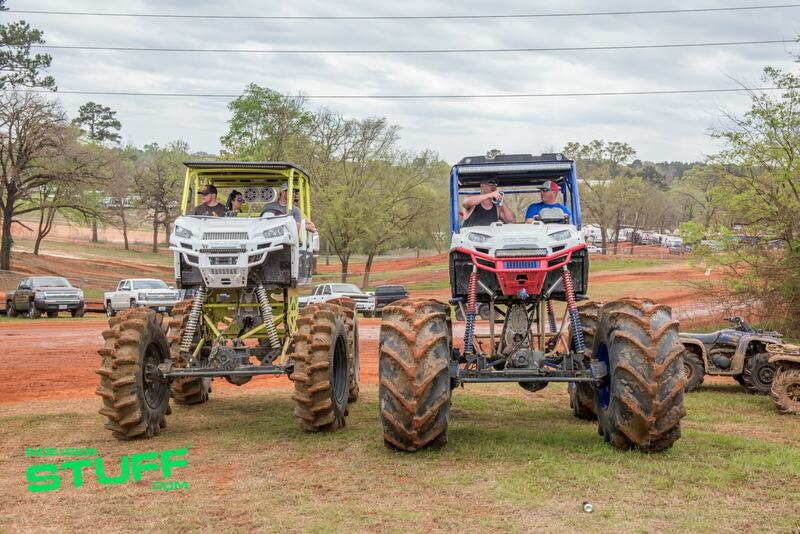 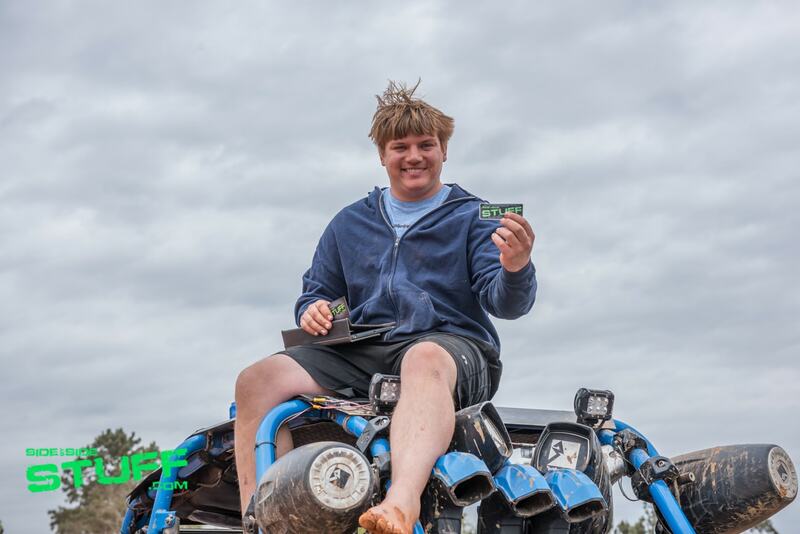 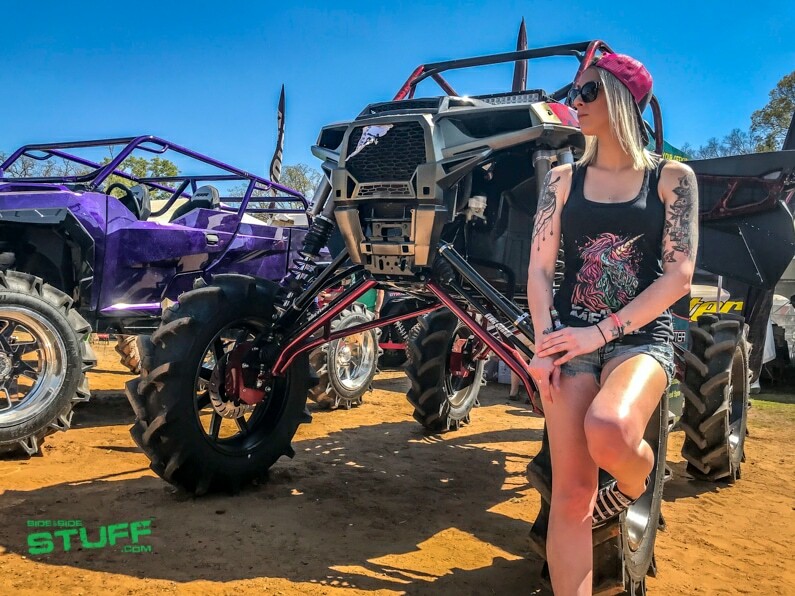 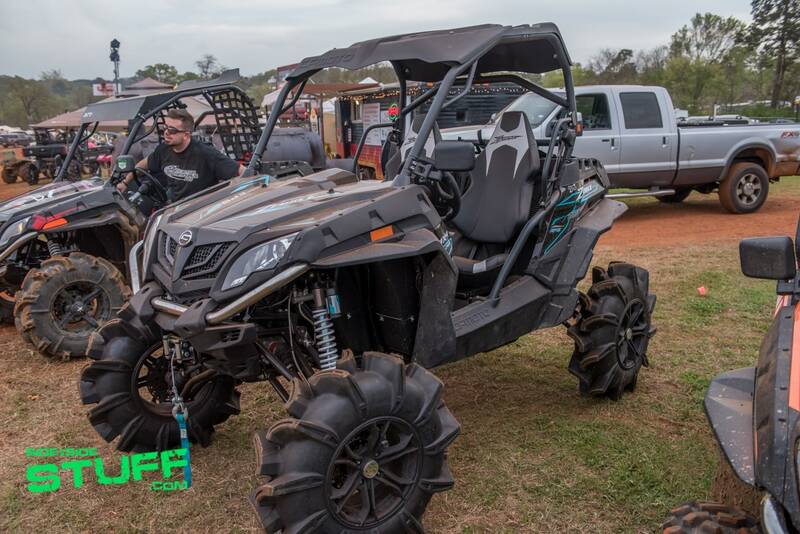 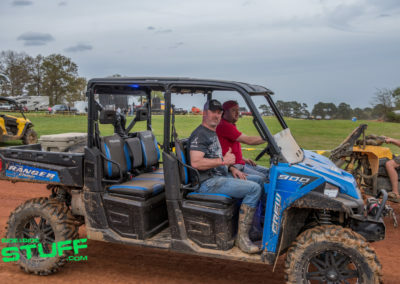 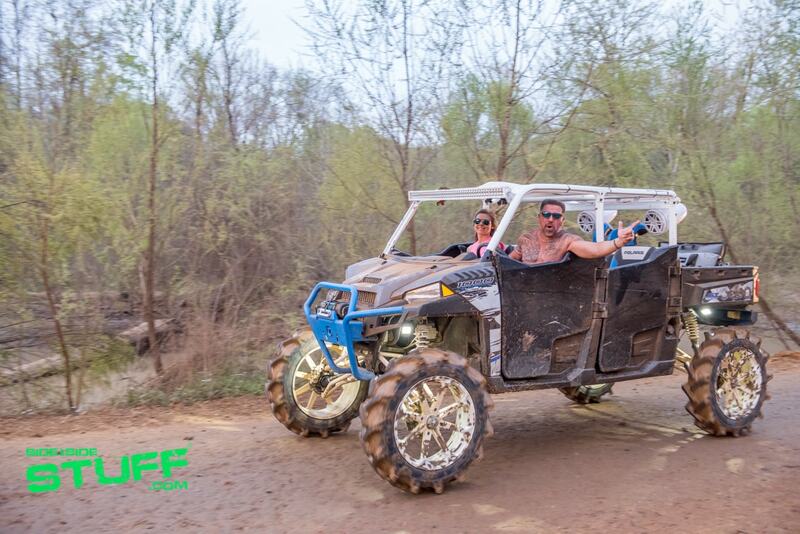 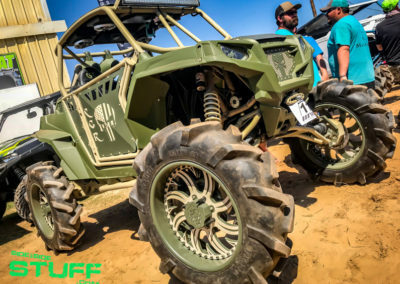 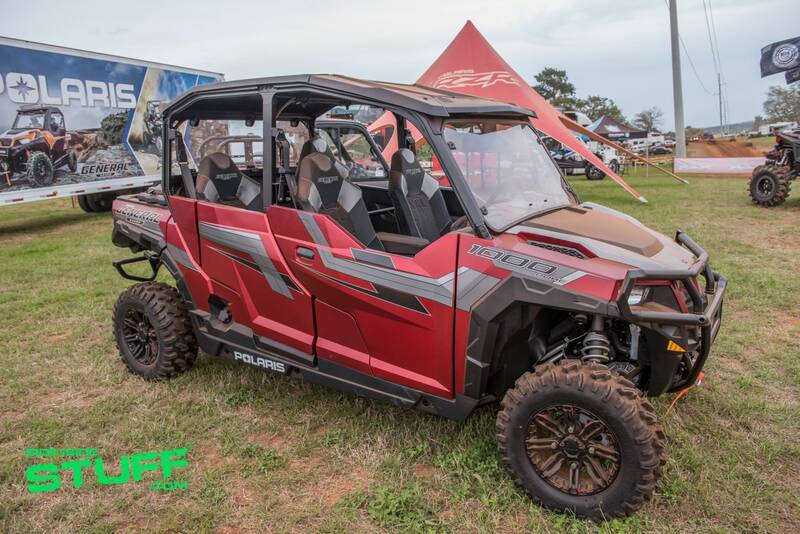 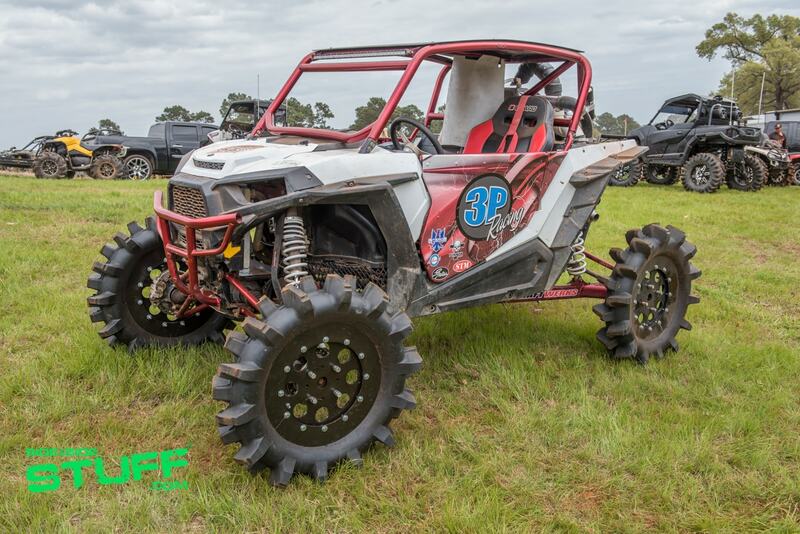 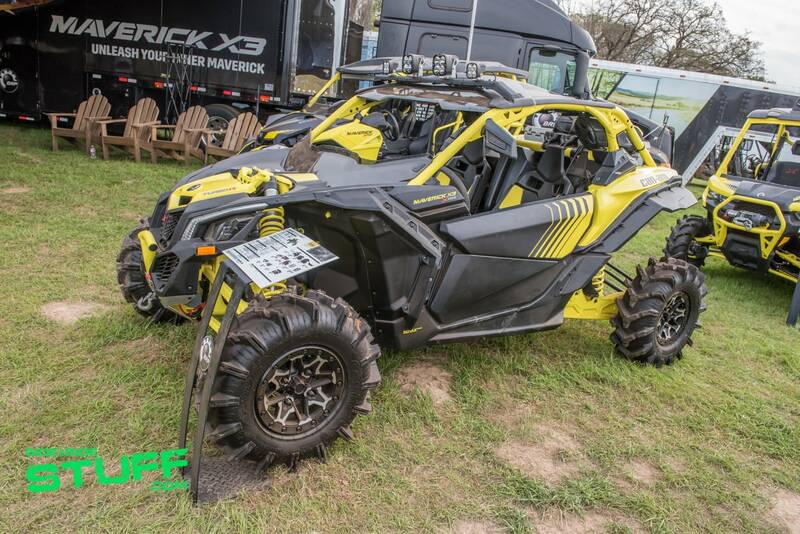 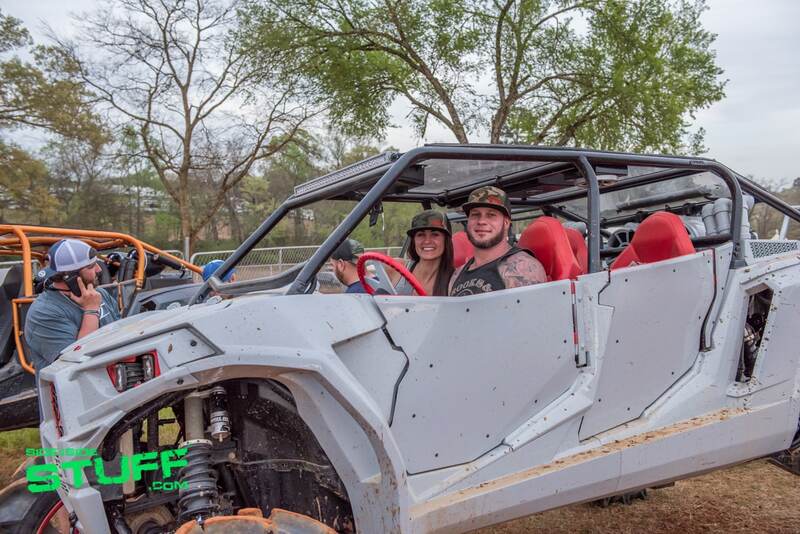 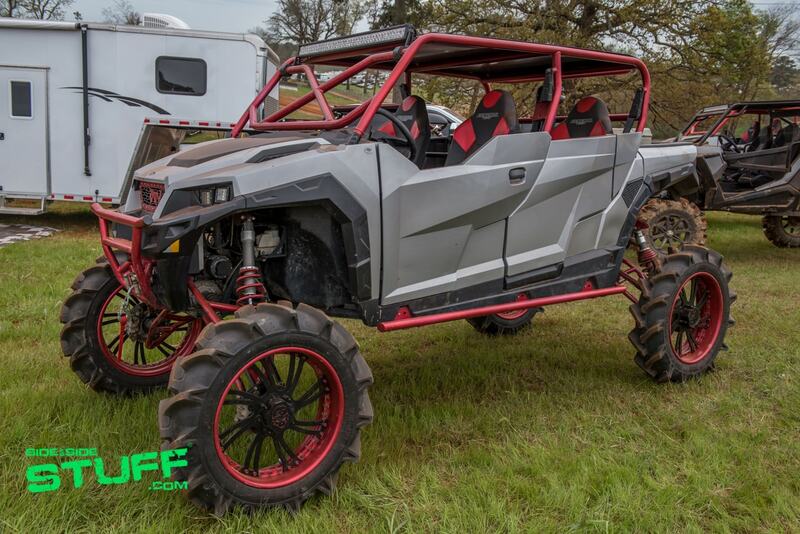 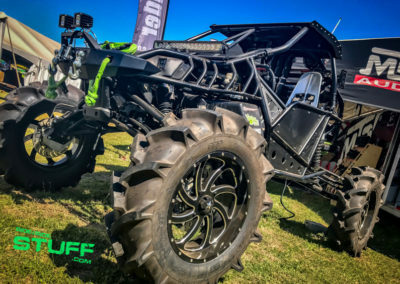 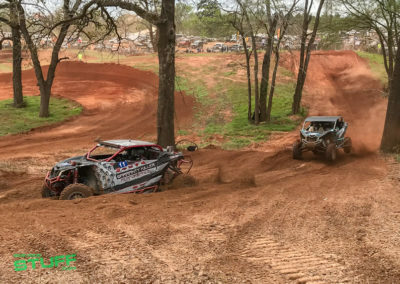 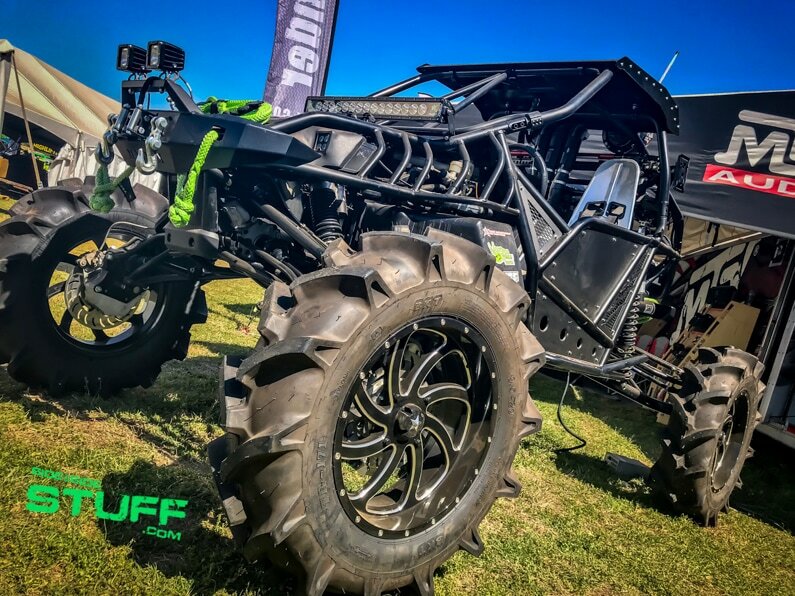 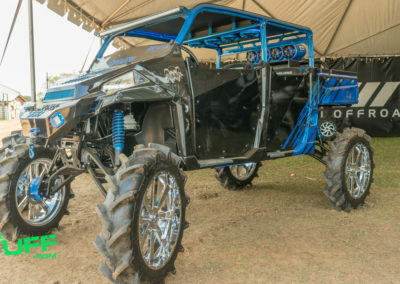 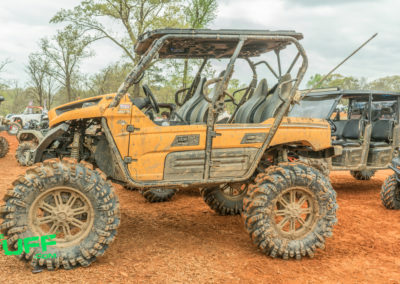 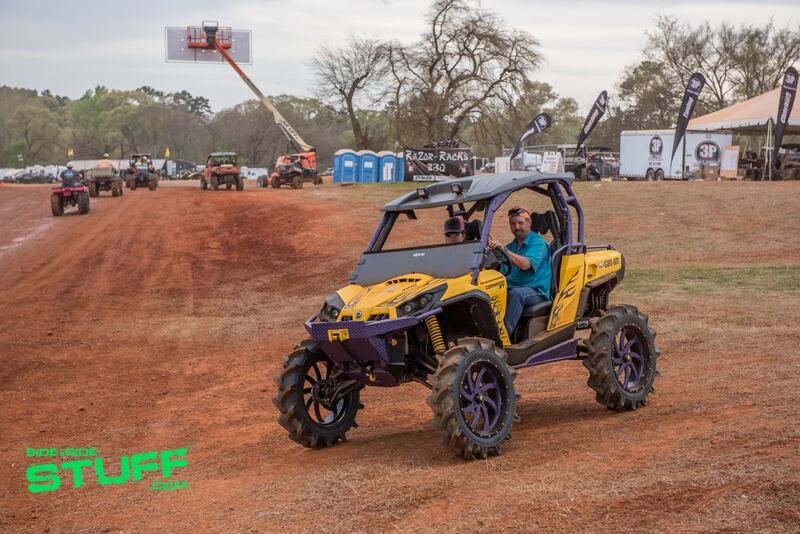 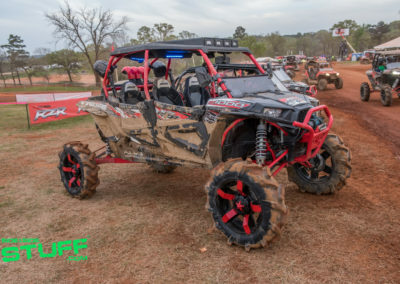 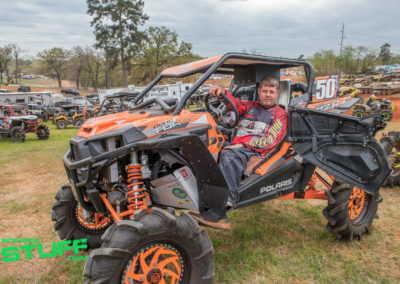 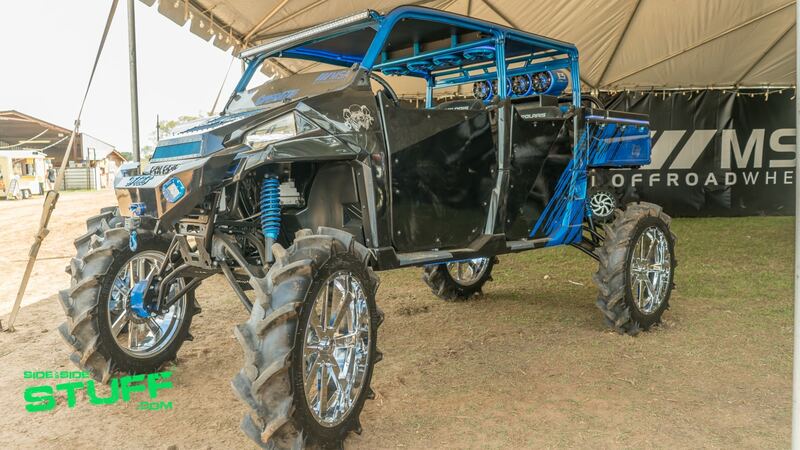 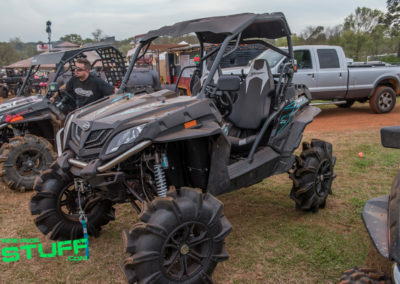 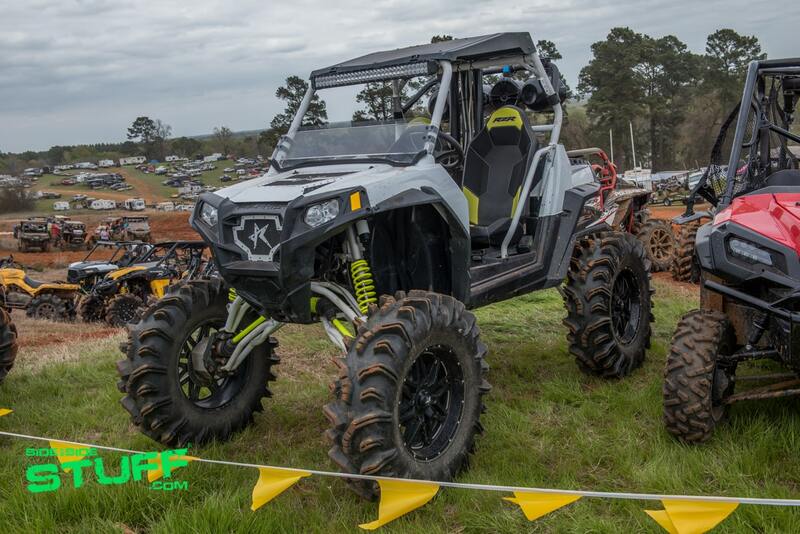 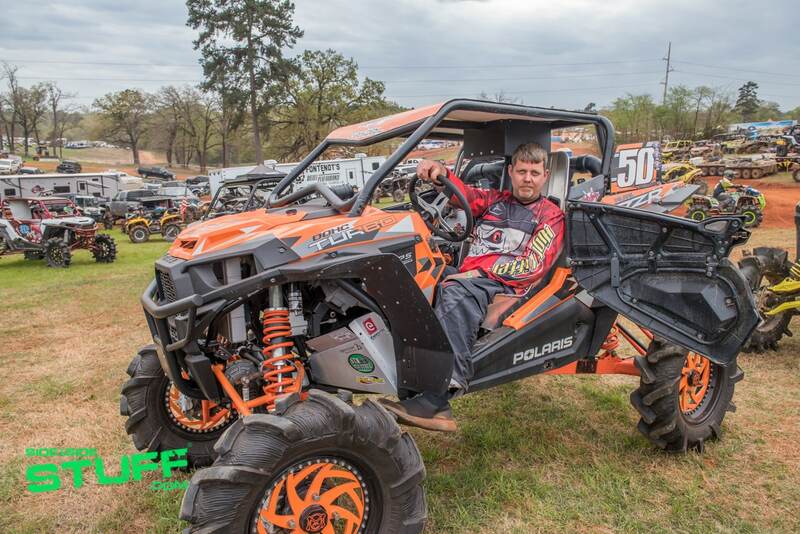 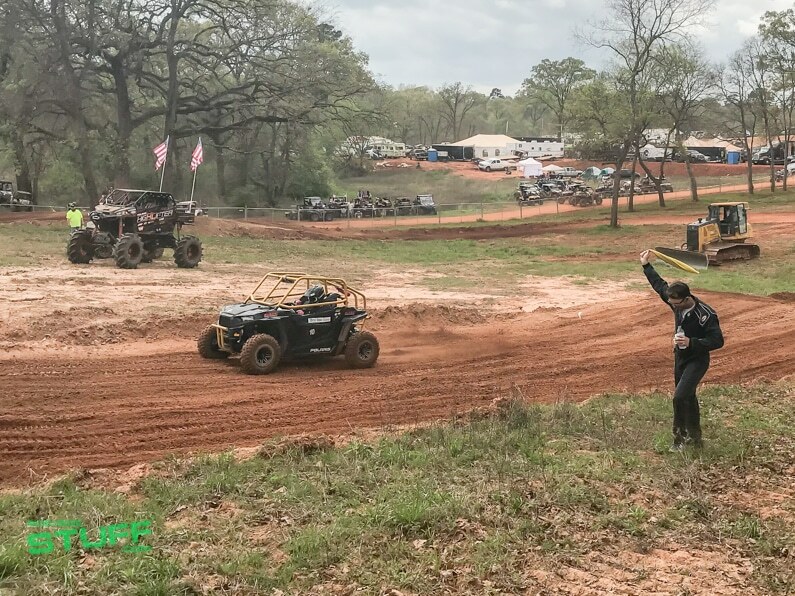 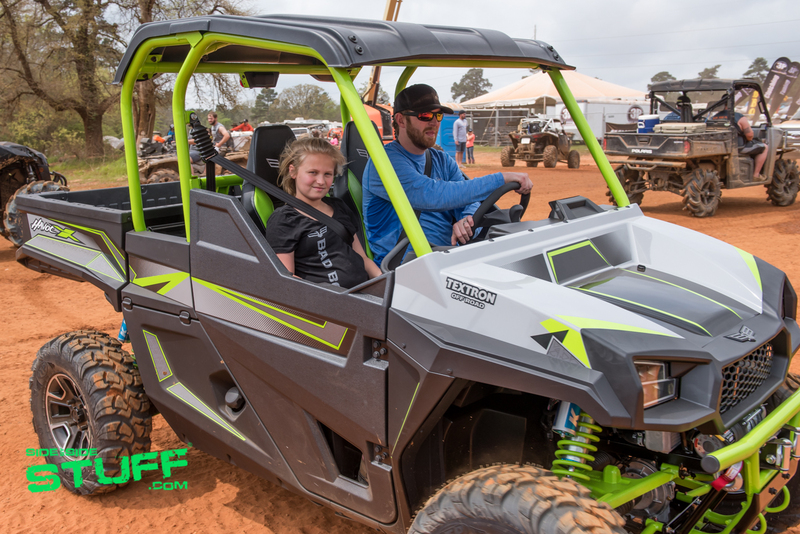 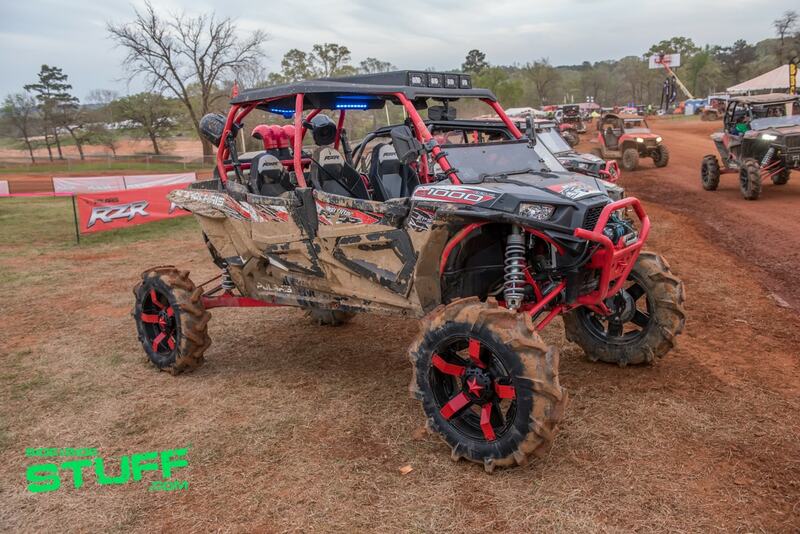 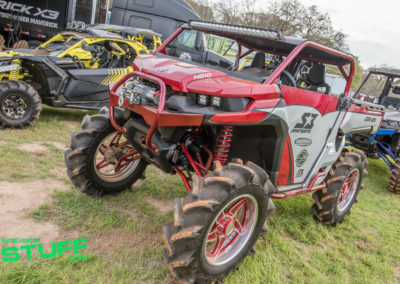 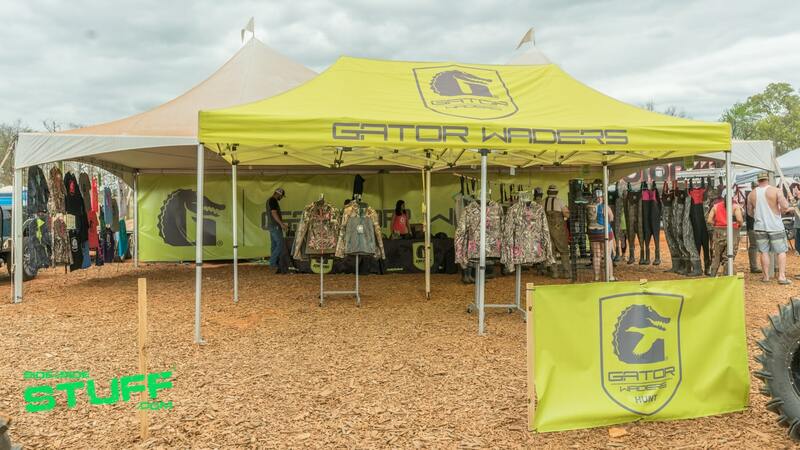 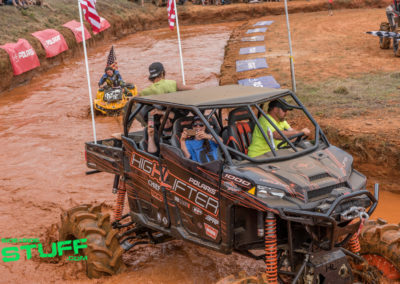 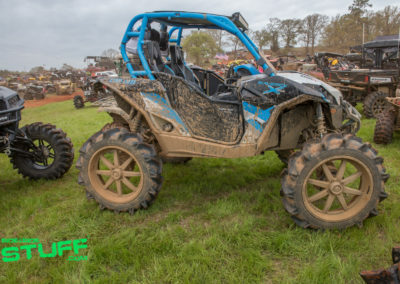 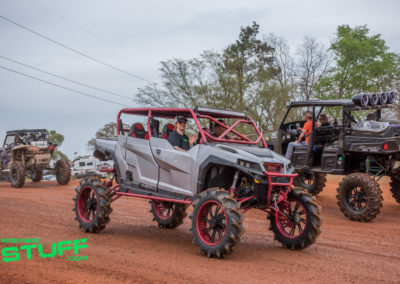 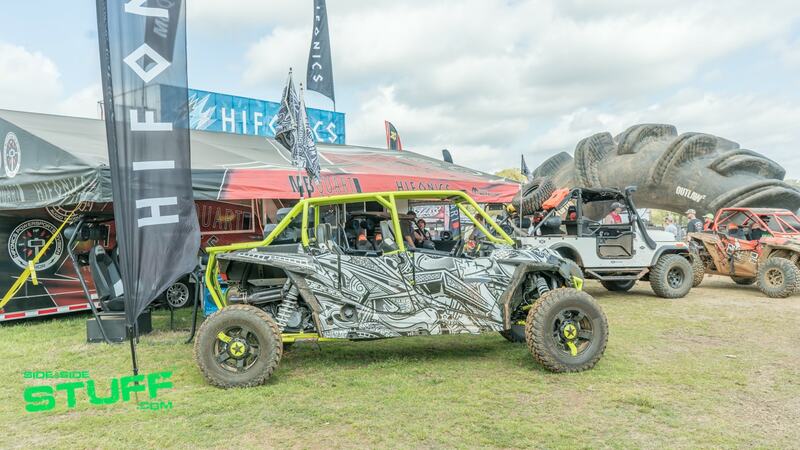 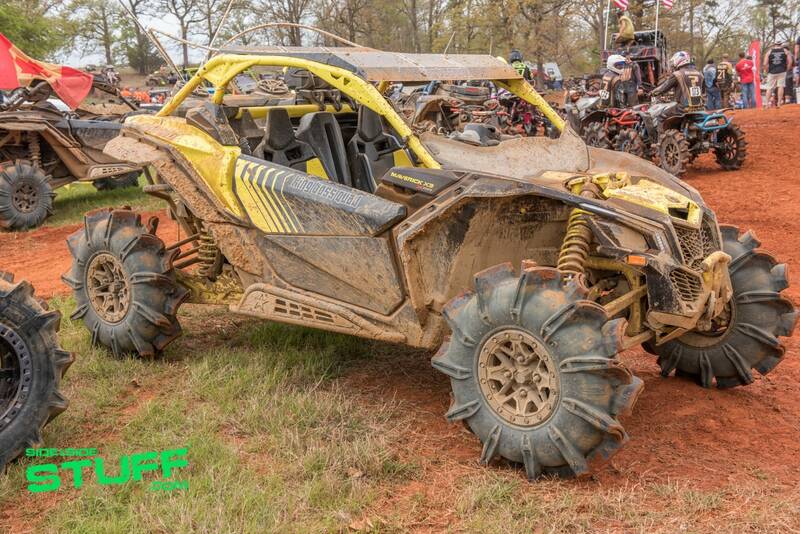 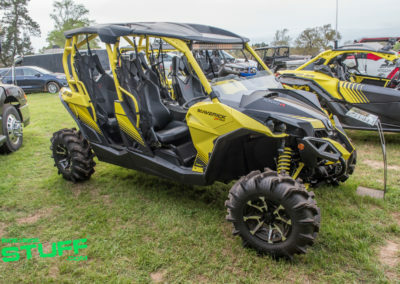 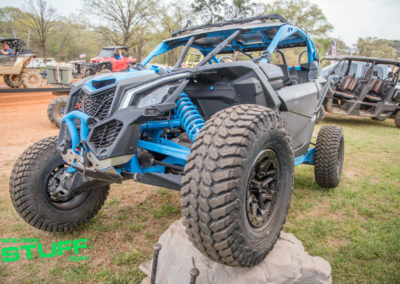 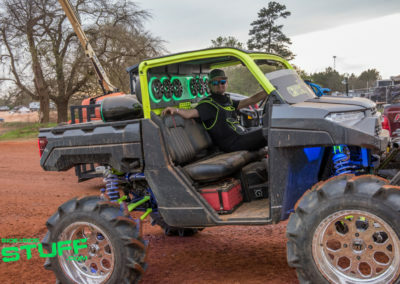 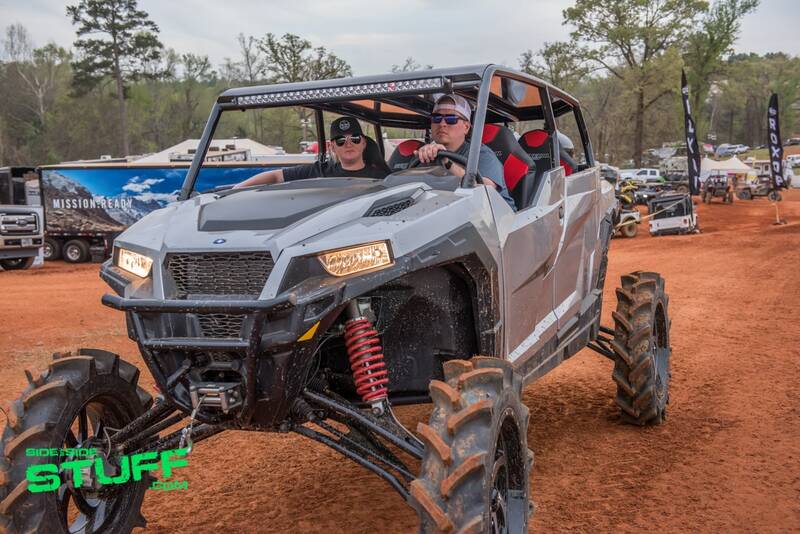 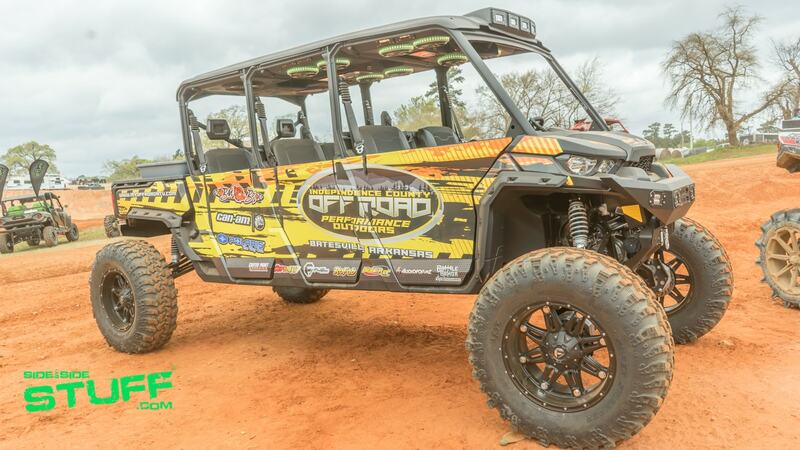 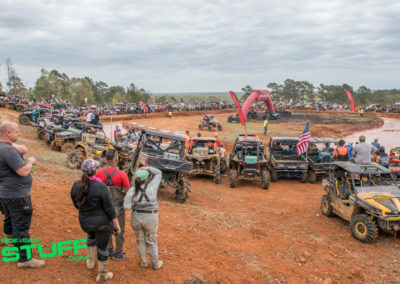 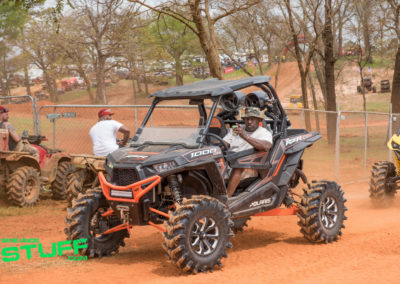 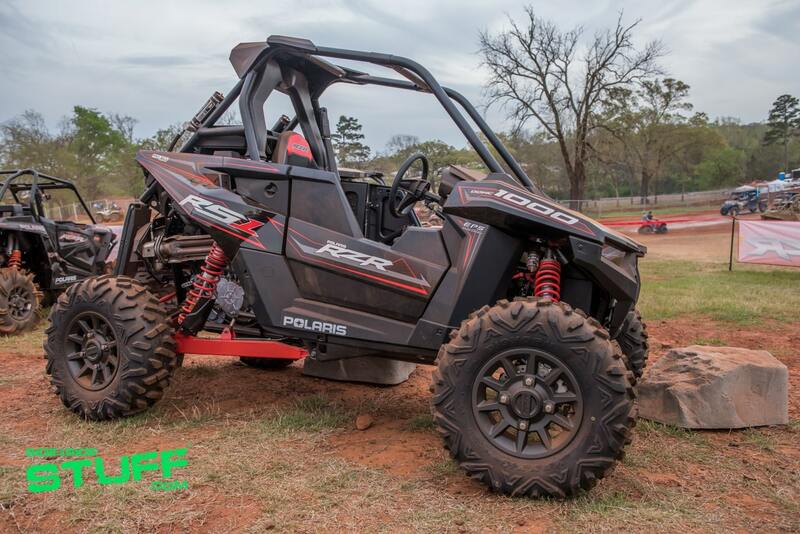 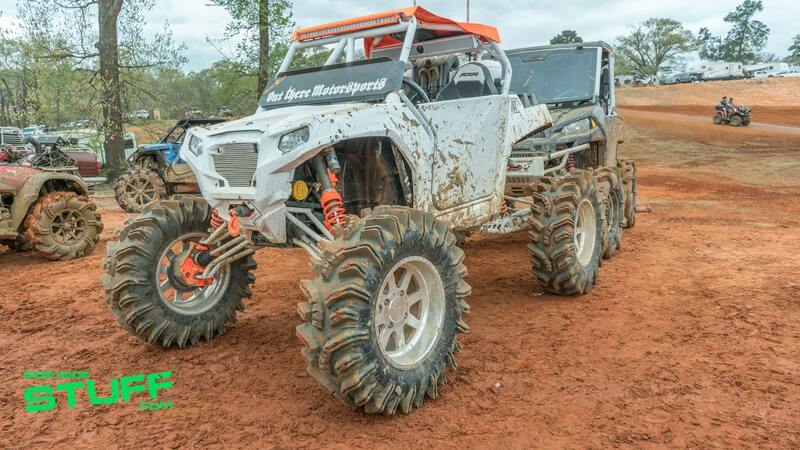 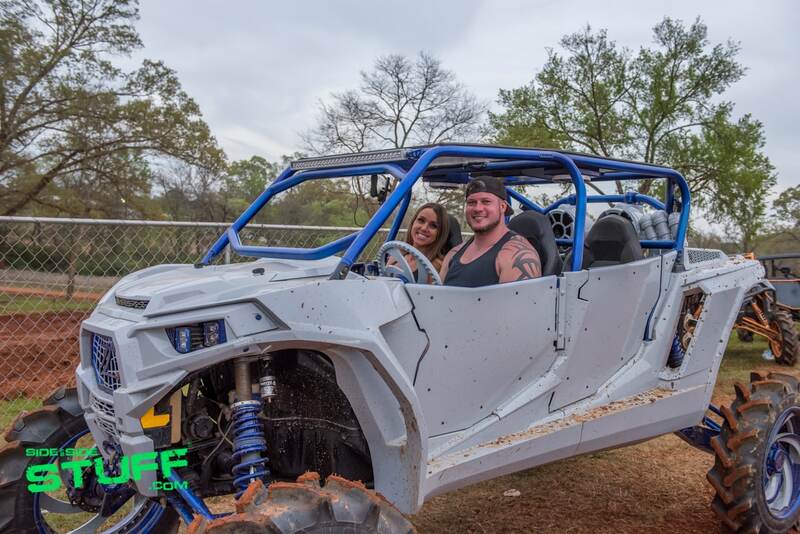 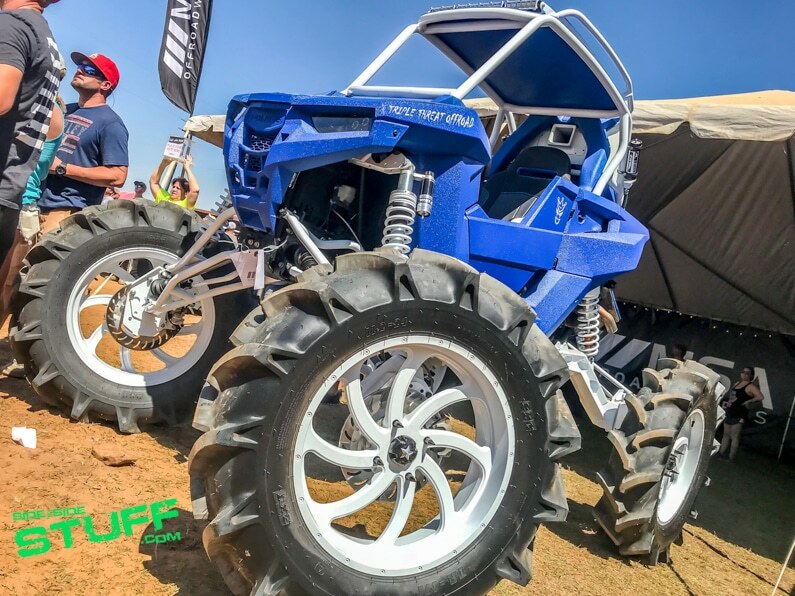 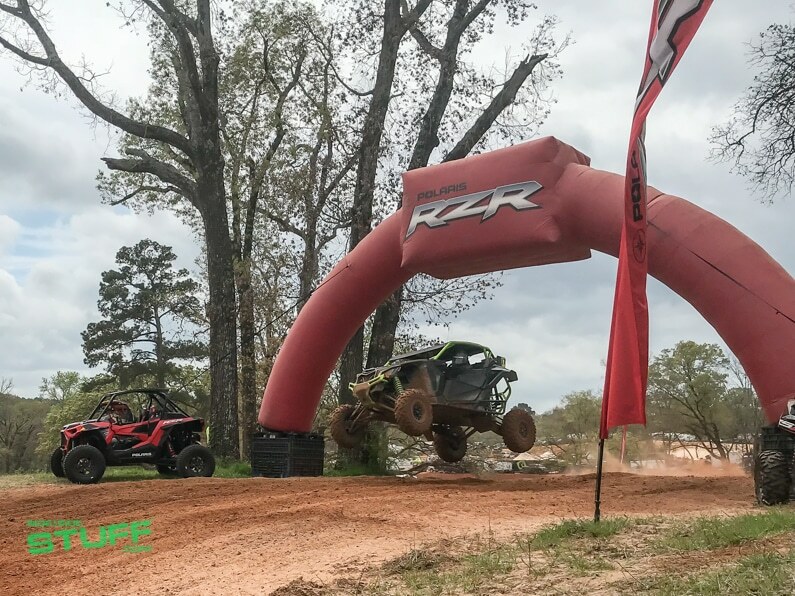 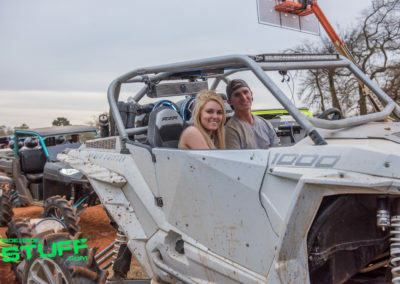 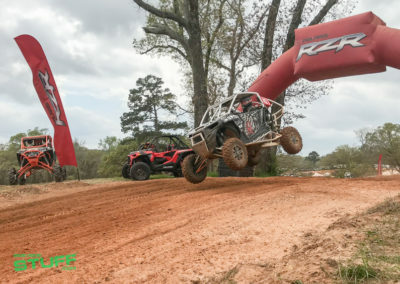 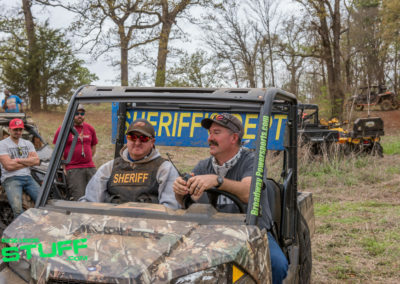 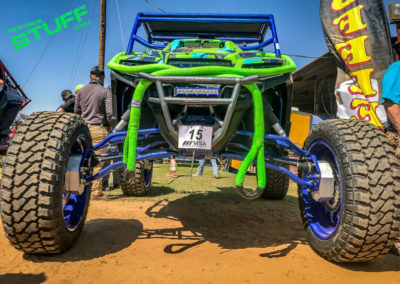 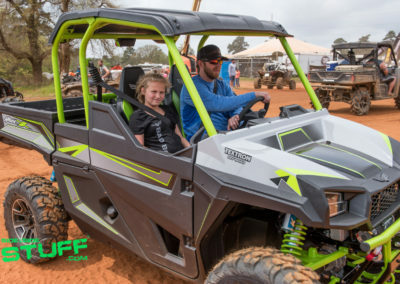 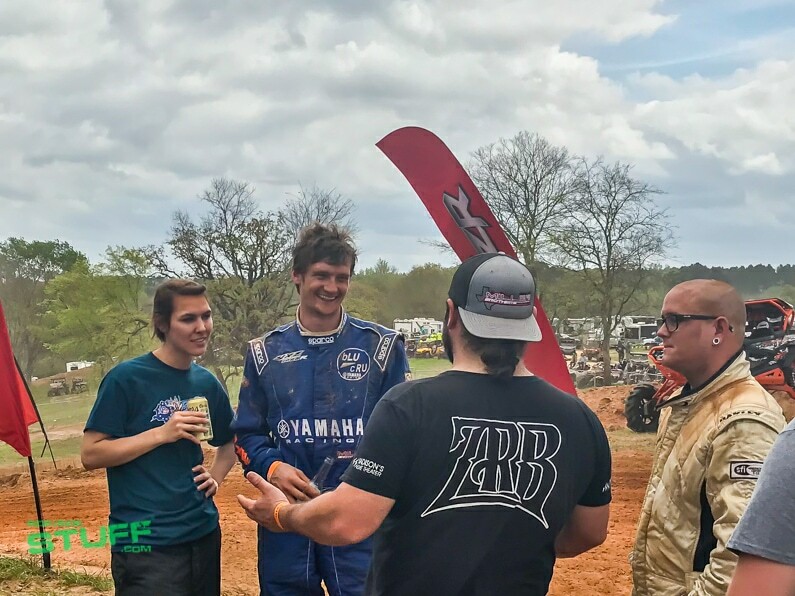 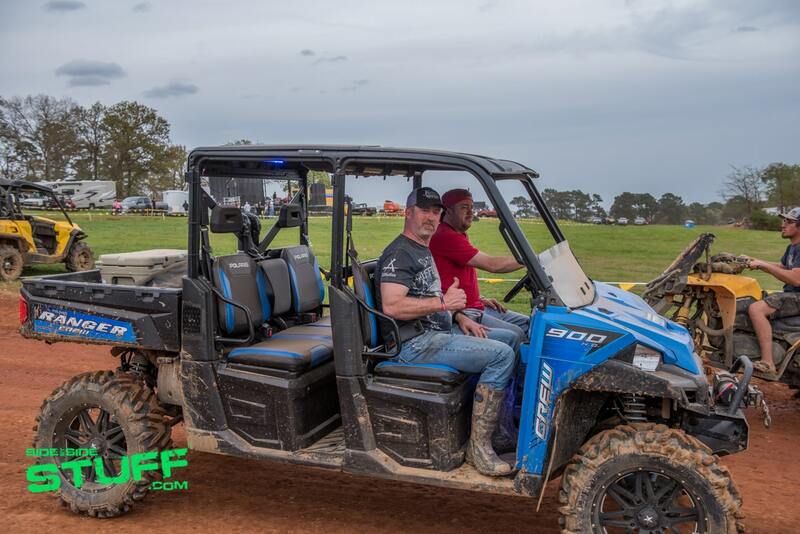 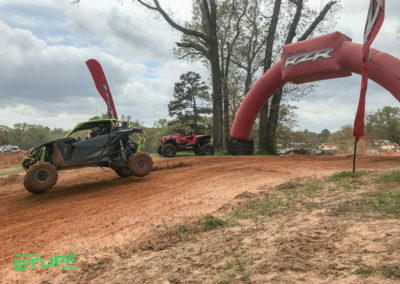 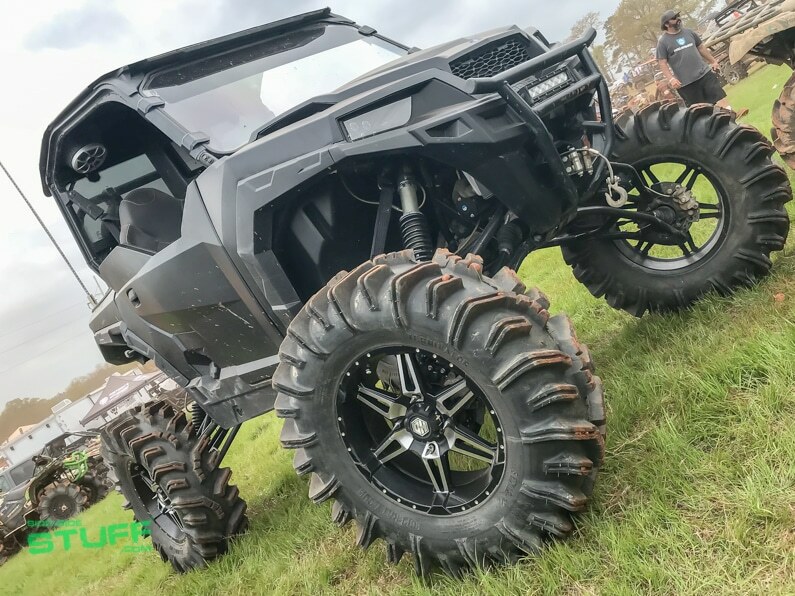 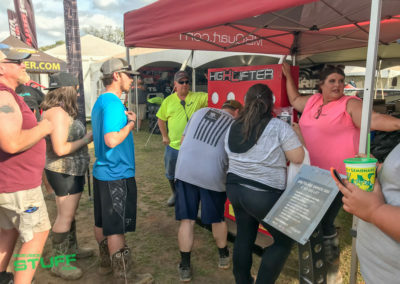 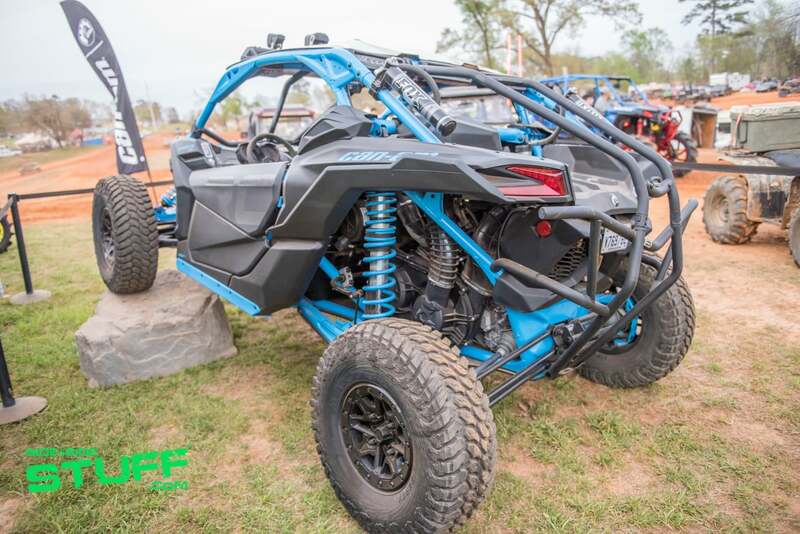 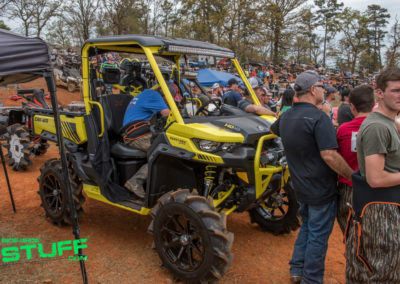 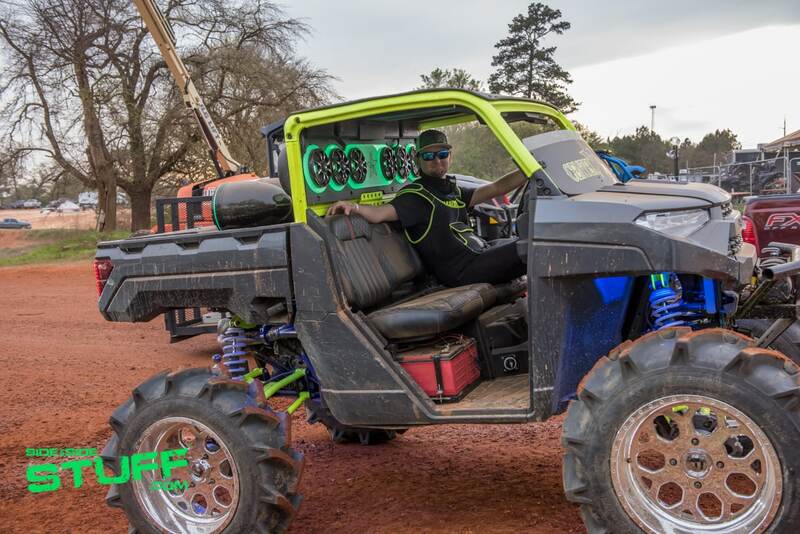 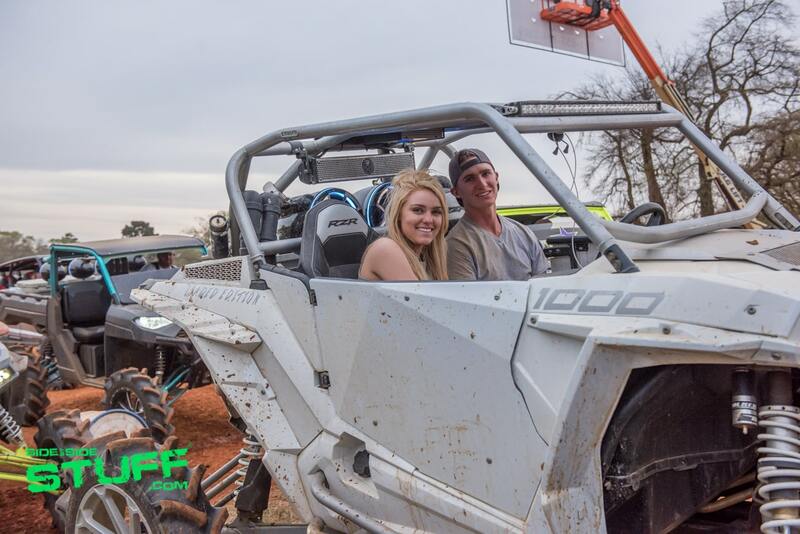 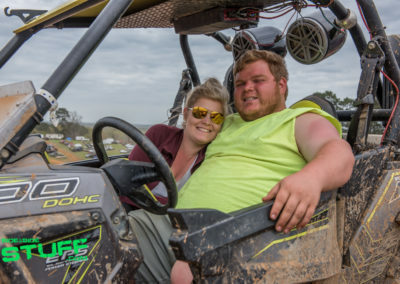 The 2018 High Lifter Mud Nationals, which took place March 21st – 25th at Mud Creek Off-Road Park in Jacksonville, Texas, was jammed packed with a variety fun activities and entertainment. From many vendors booths to checkout to a daily schedule full of events, like racing, poker runs, competitions, contests and games for prizes, there was no shortage of fun stuff to keep you and your crew busy each day. 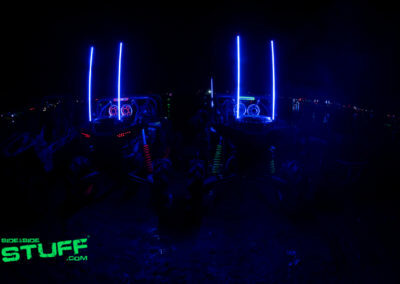 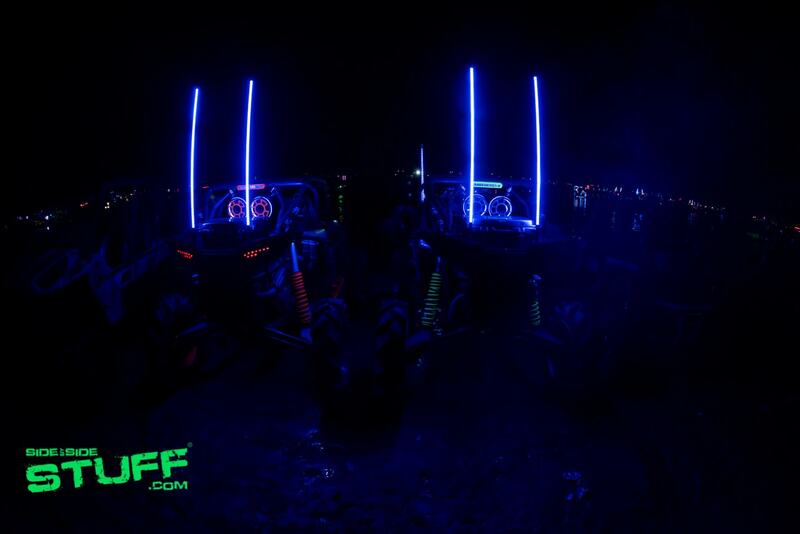 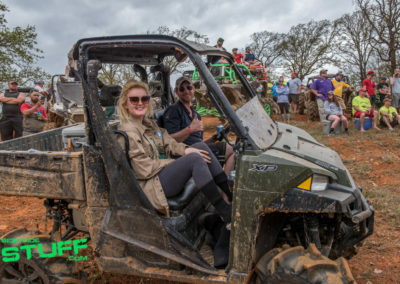 One of our favorite events is the MSA Bad 2 ‘Da Bone competition; it’s pretty much the best in show for UTVs at Mud Nats. 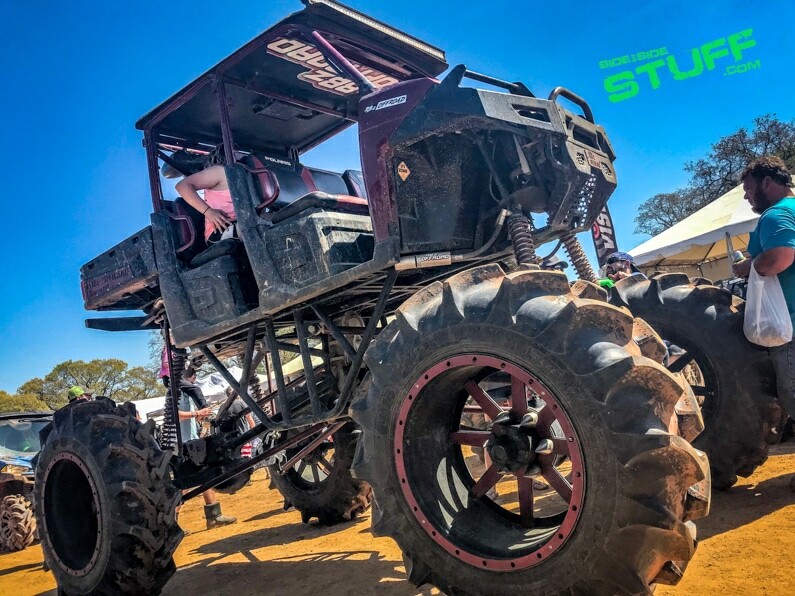 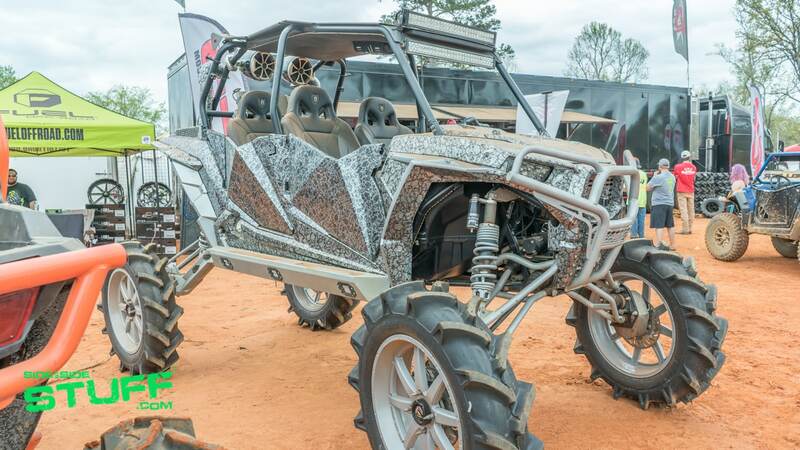 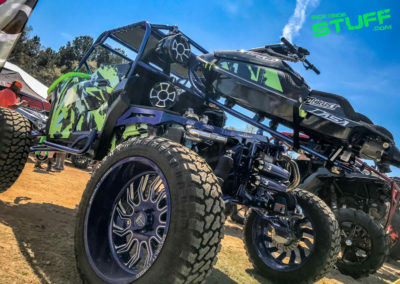 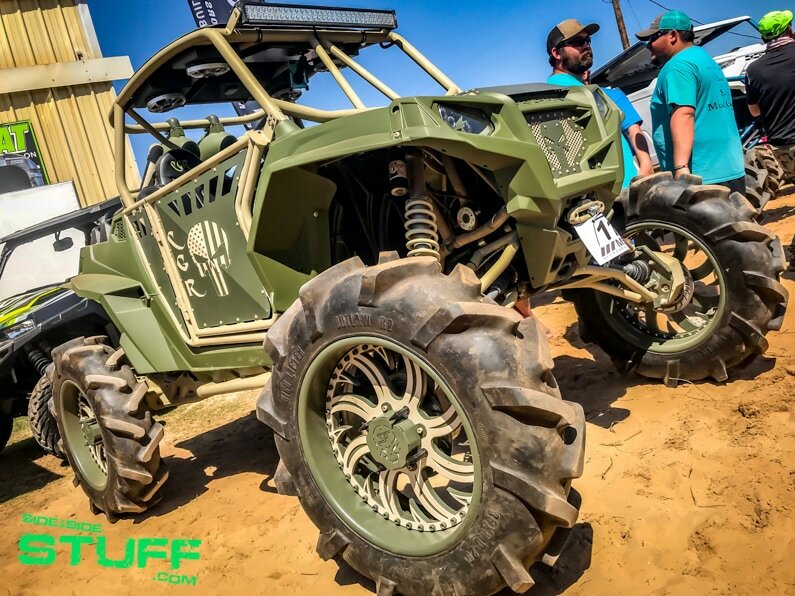 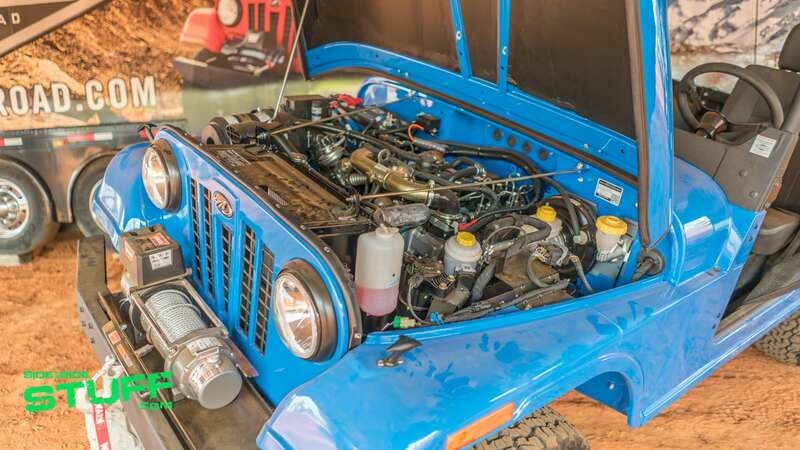 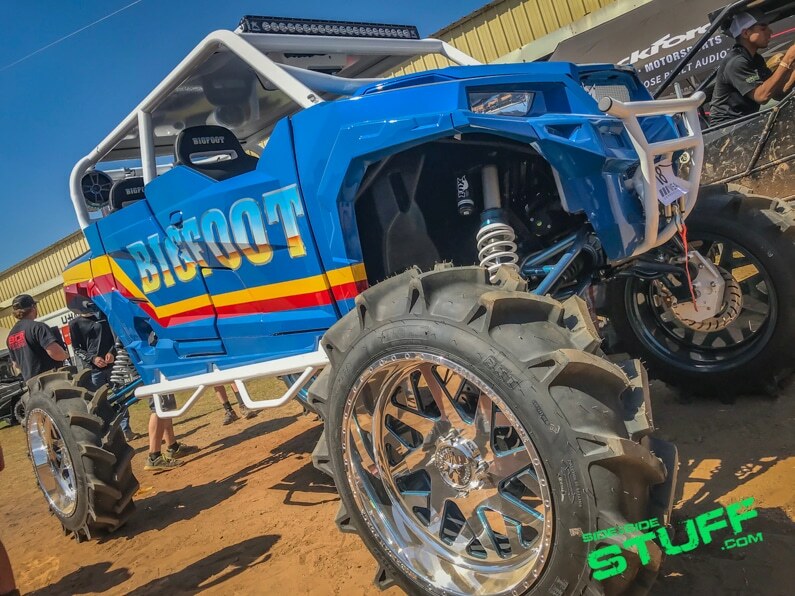 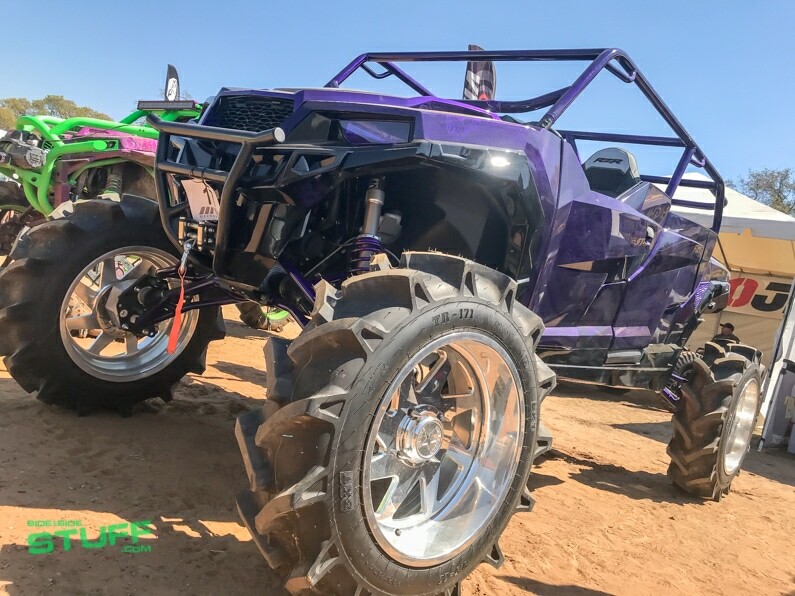 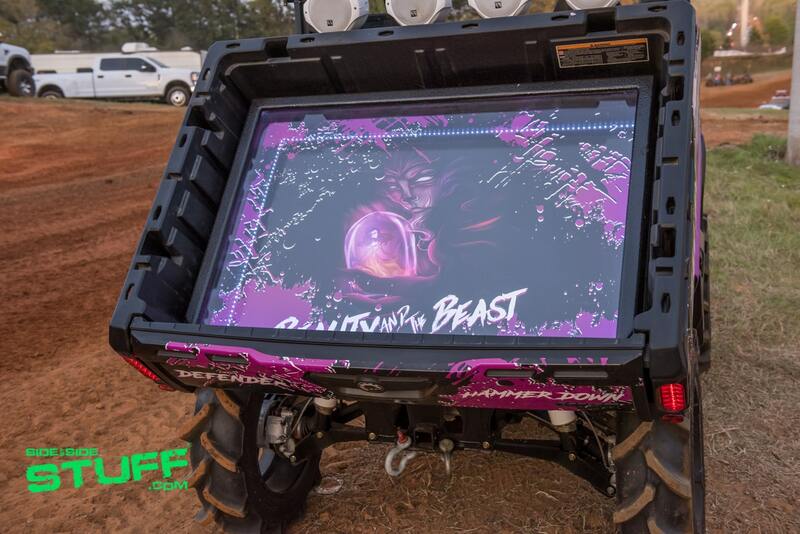 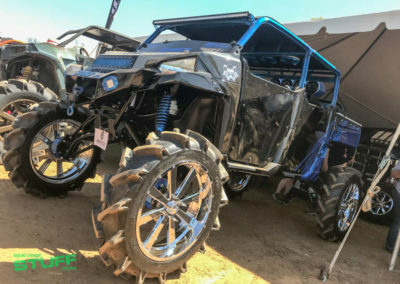 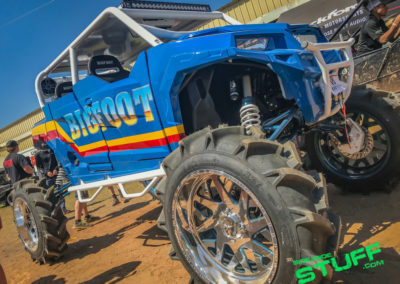 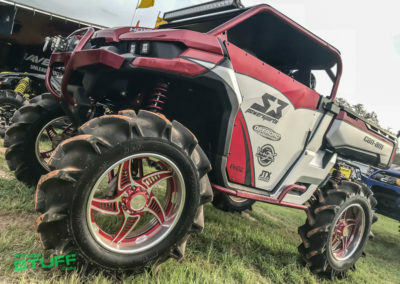 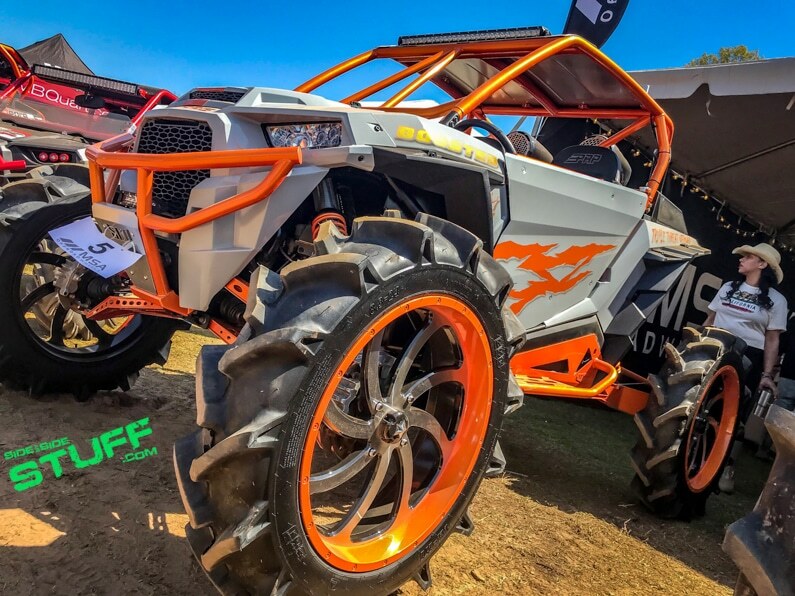 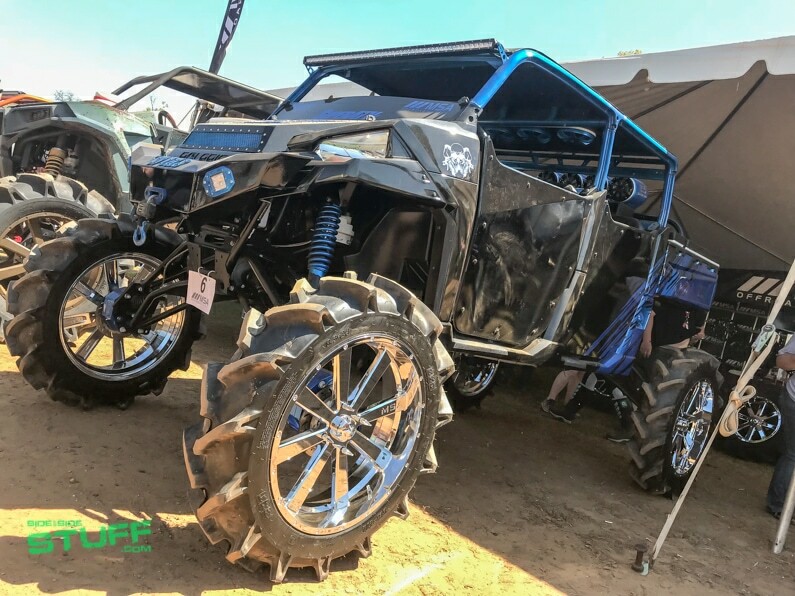 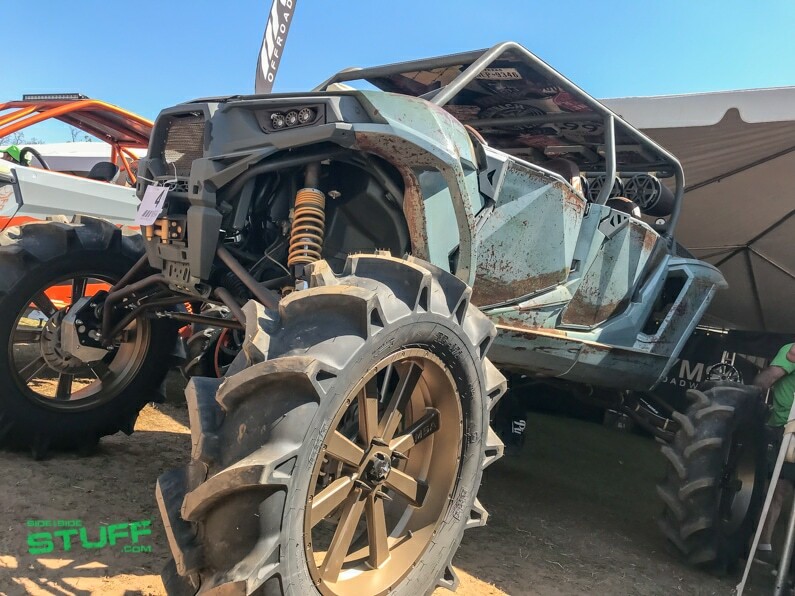 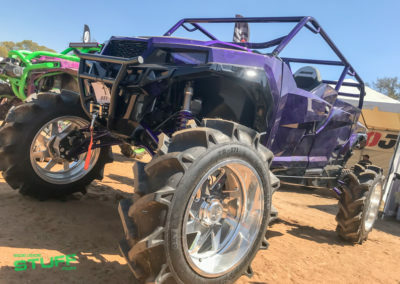 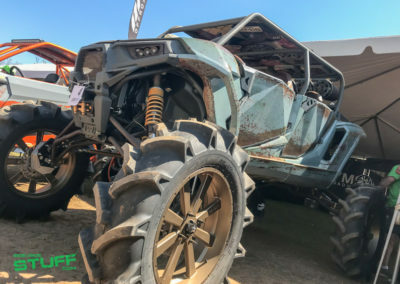 Several of the biggest, baddest, most impressive custom builds at the event entered in the contest, attendees could vote for their favorite and the machine with the most votes takes the prize. 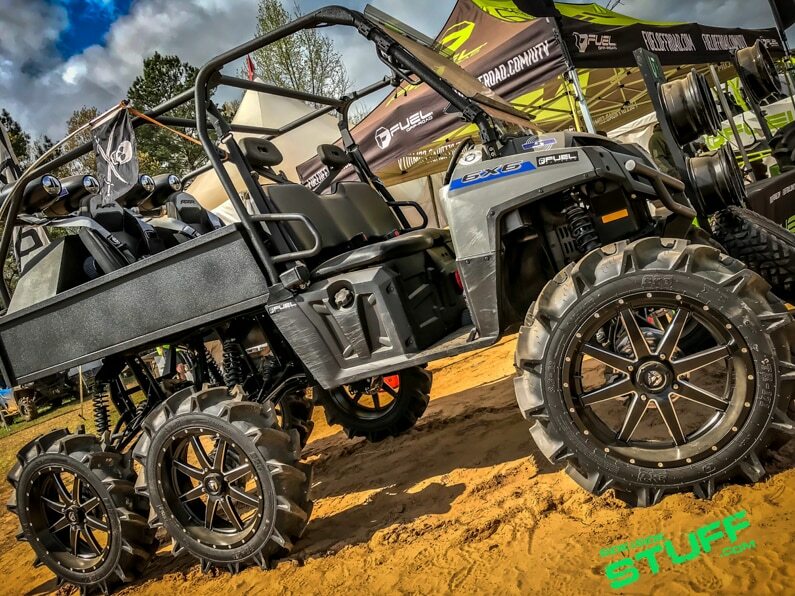 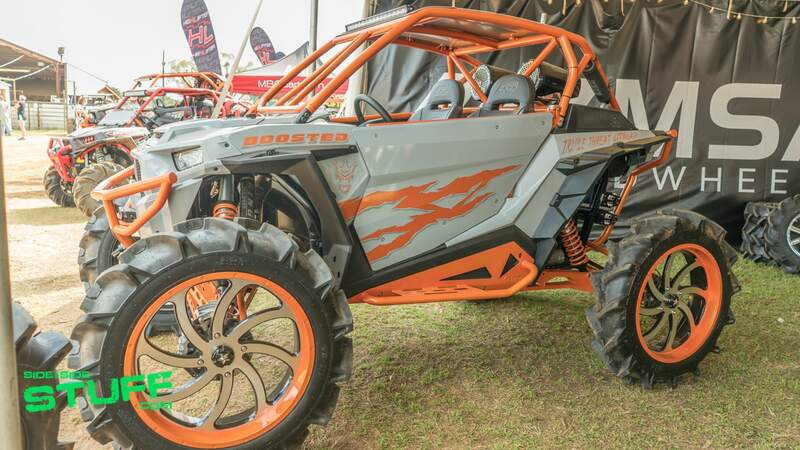 Another highlight is the Polaris Mudda-Cross competition. 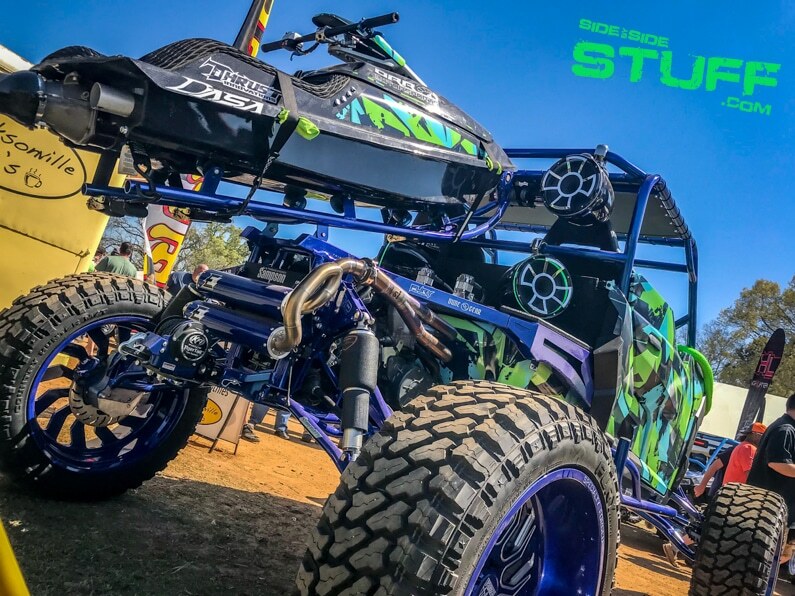 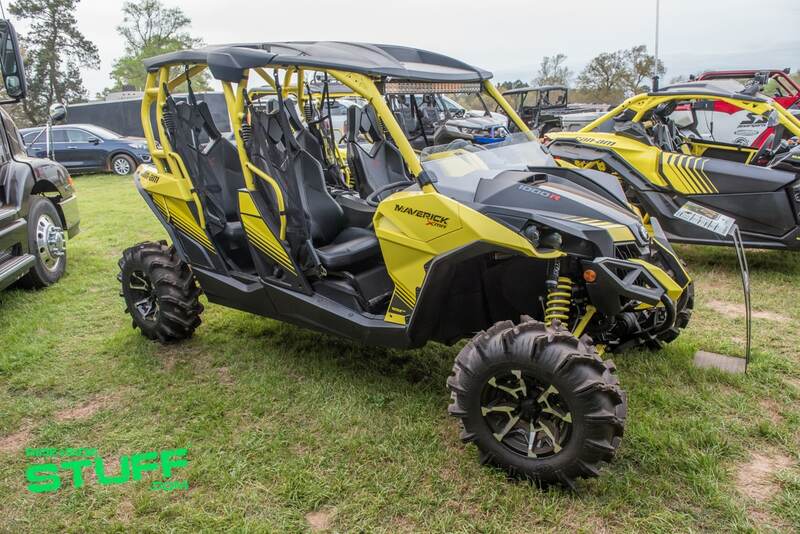 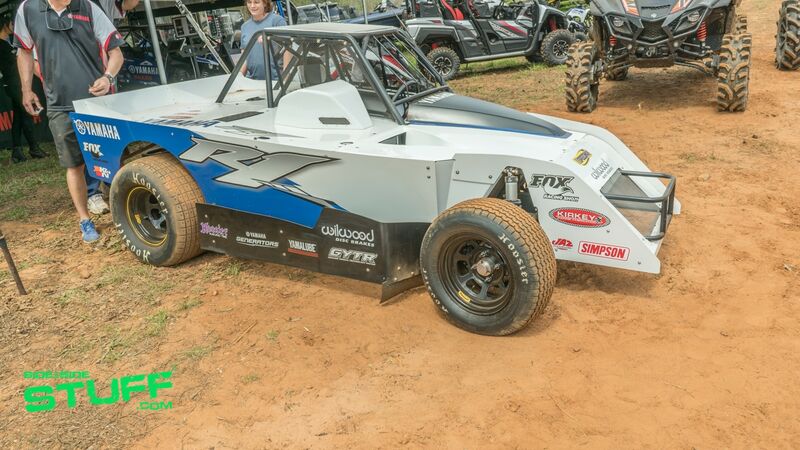 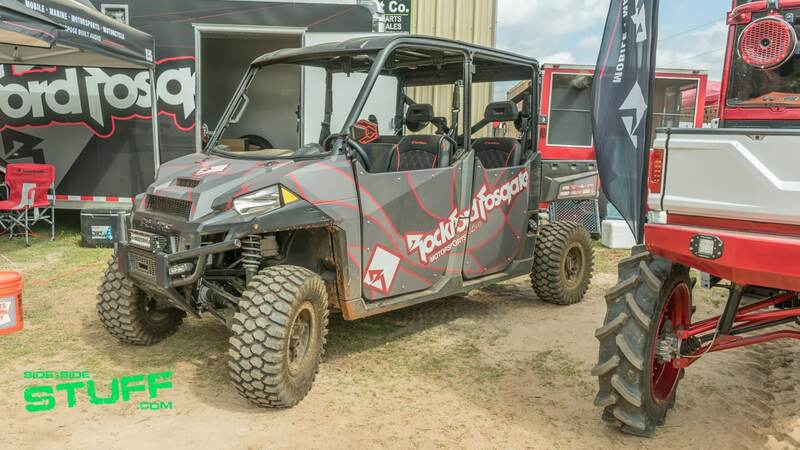 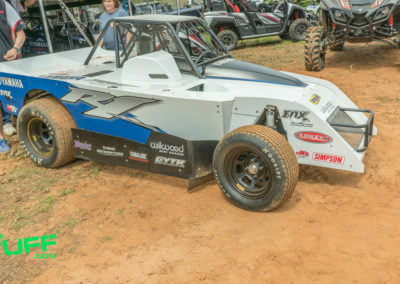 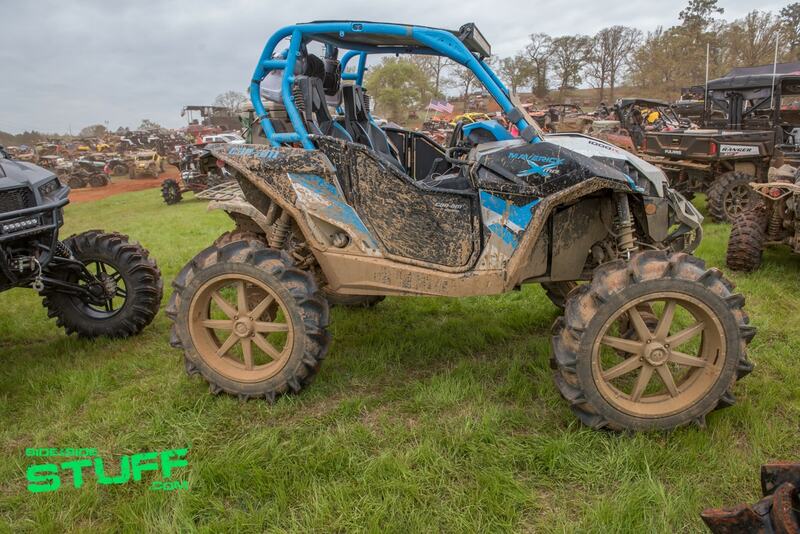 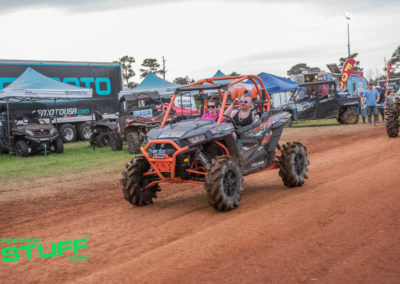 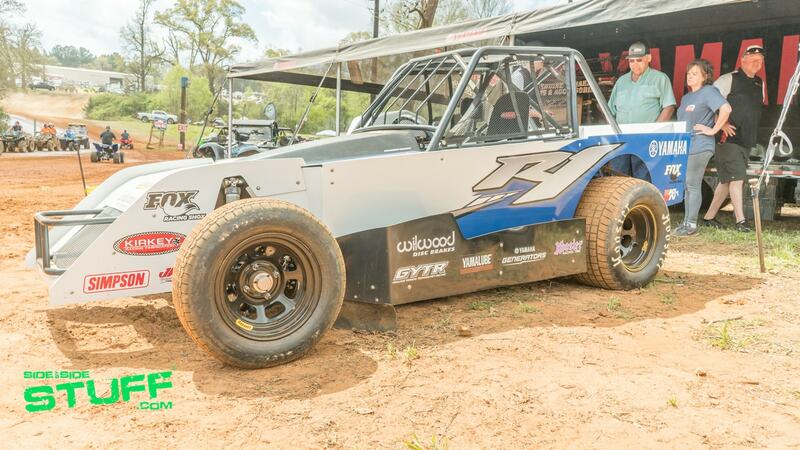 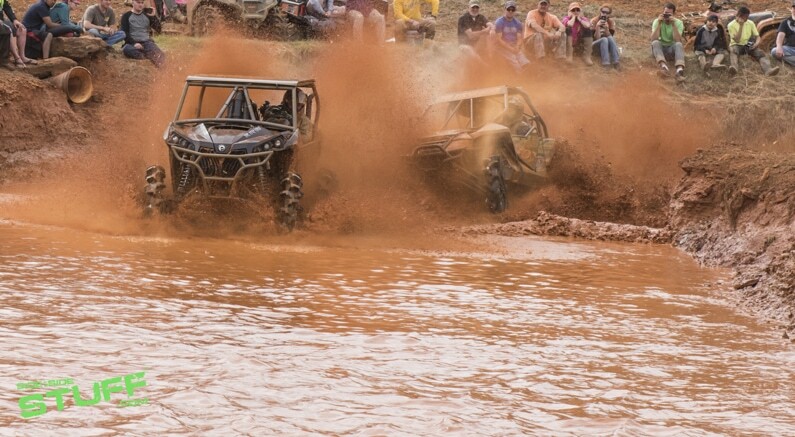 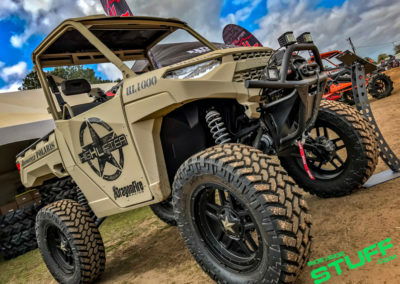 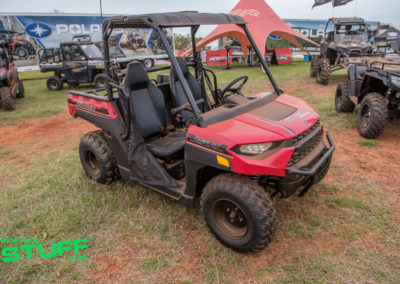 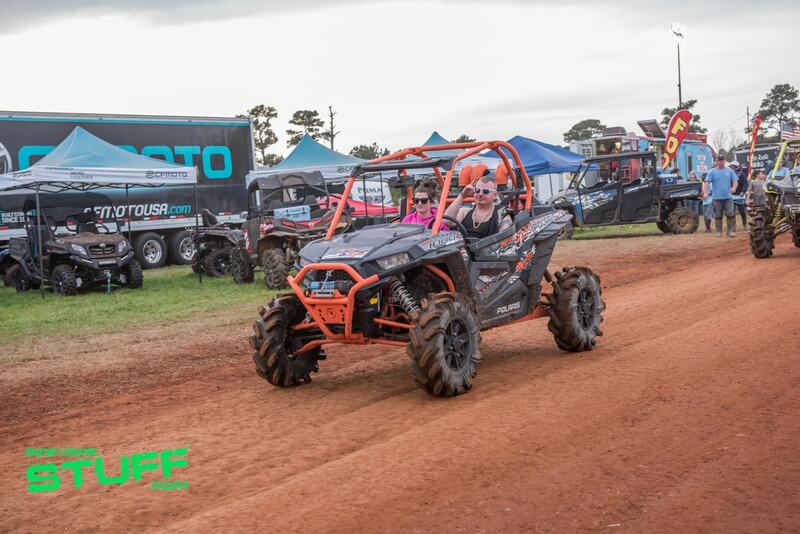 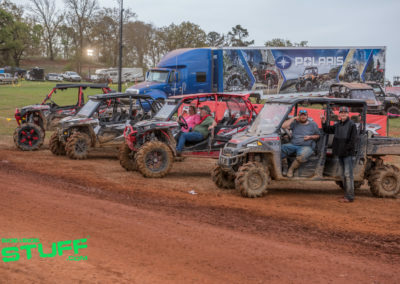 The NASCAR of mud racing, this event features a variety of machines, including UTVs, ATVs and even Argo XTVs, competing in several classes, battling it out in head-to-head mud races for cash prizes. 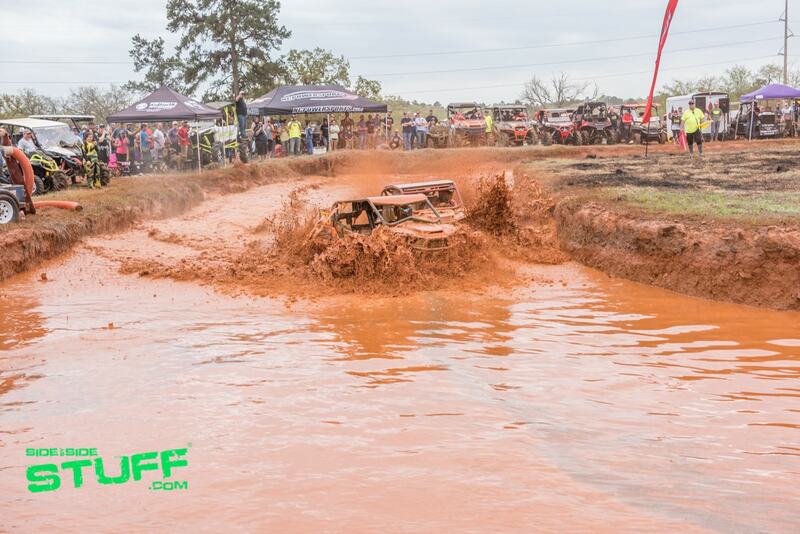 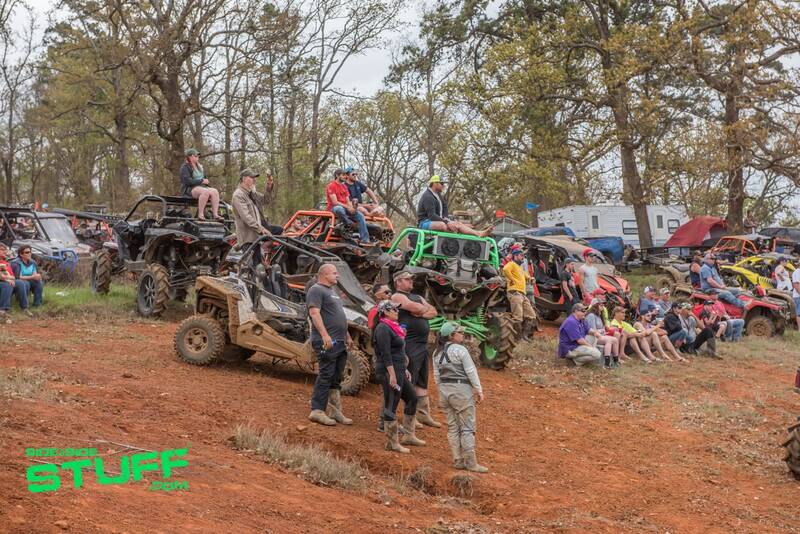 The UTV Short Course races were definitely a crowd favorite. 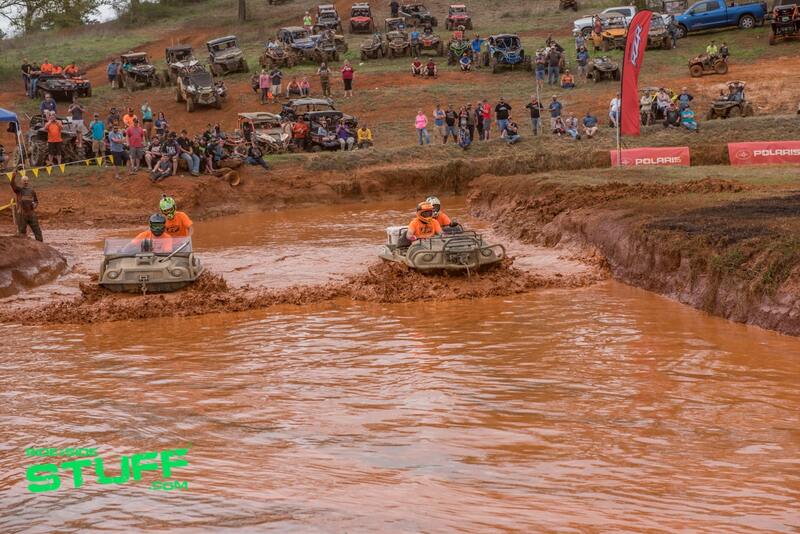 From a Pee Wee 170 class to Expert, this fast paced, action packed race course was truly entertaining. 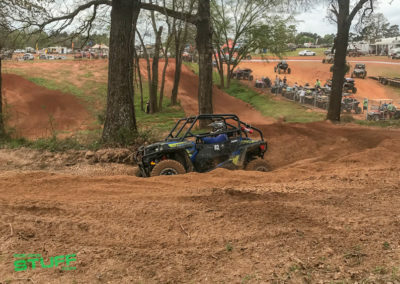 There were even Pro classes, pro UTV racers, like Yamaha’s Cody Miller, came out for the challenge and put on an awesome show for spectators. 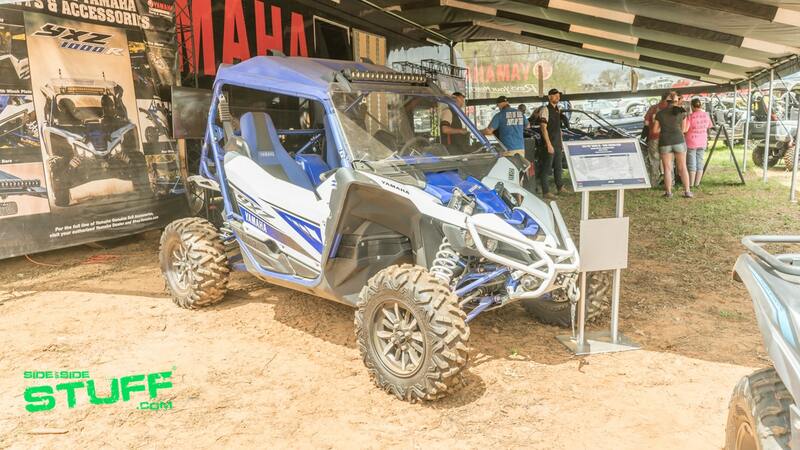 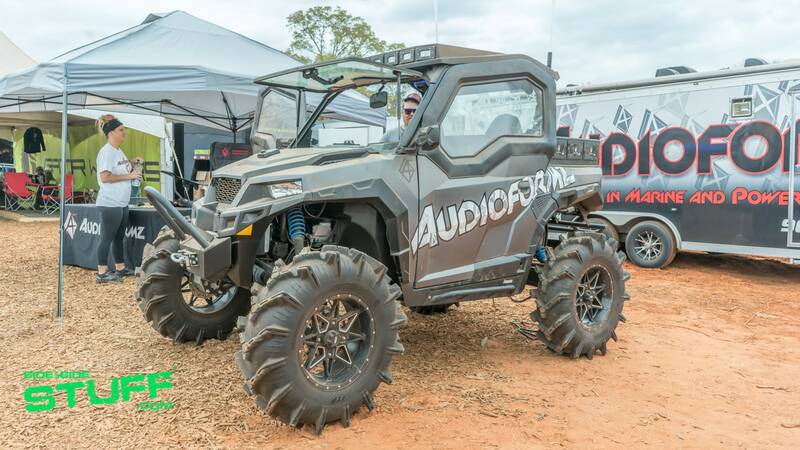 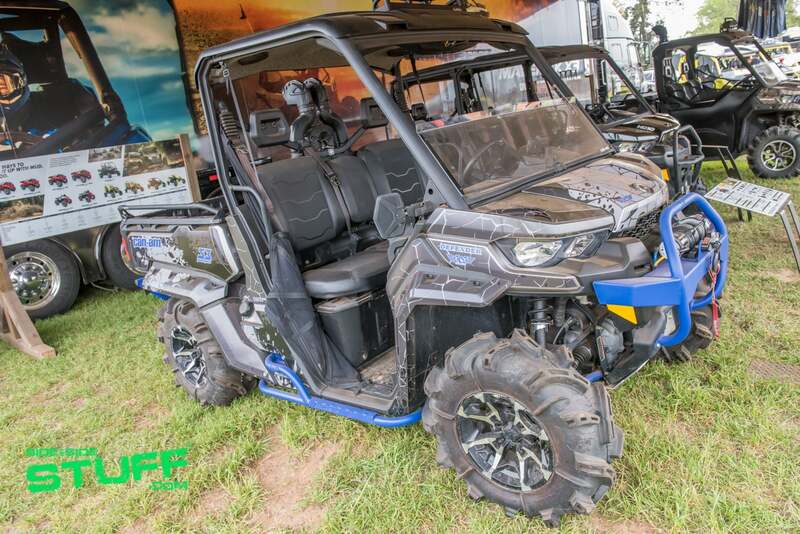 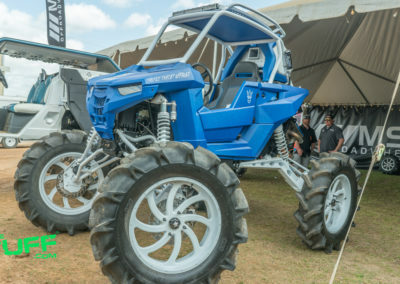 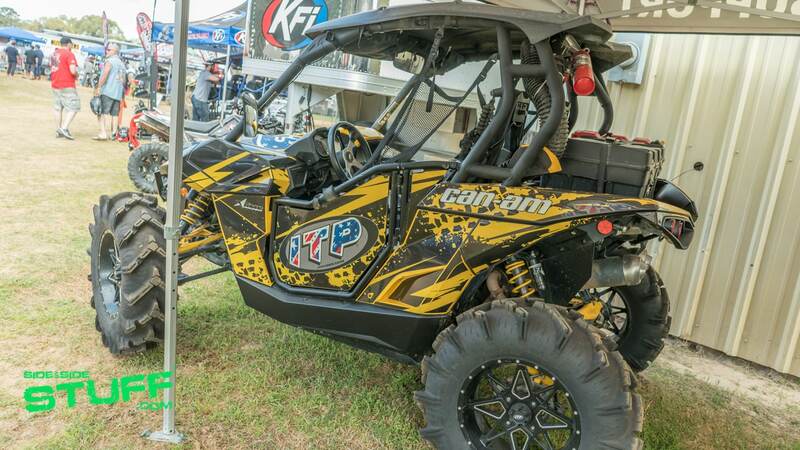 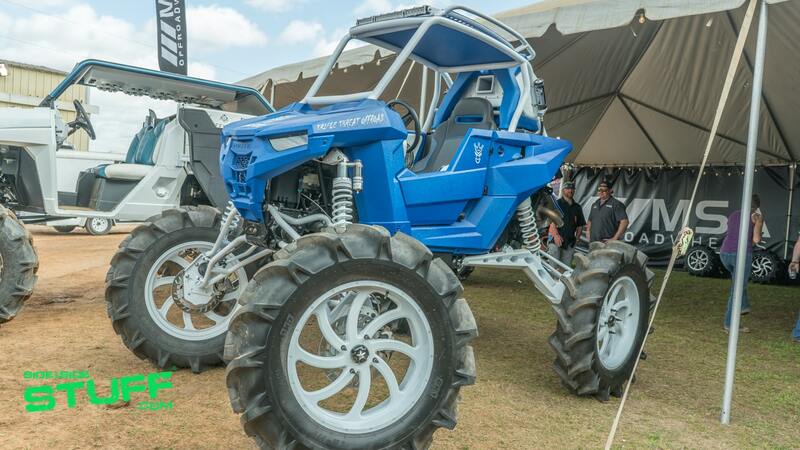 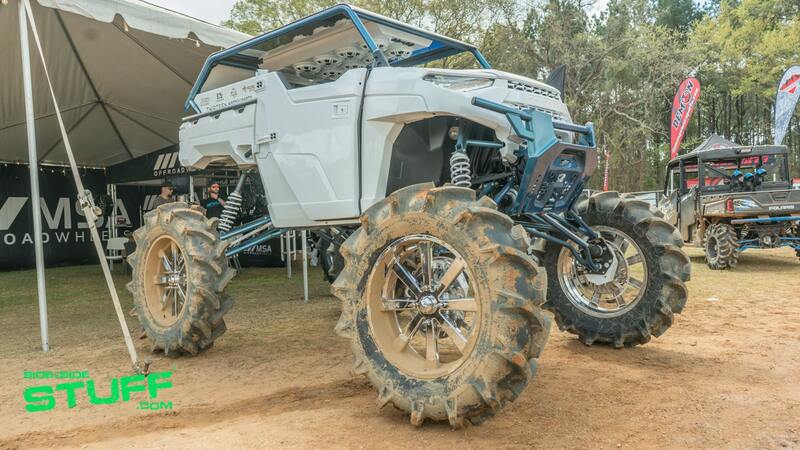 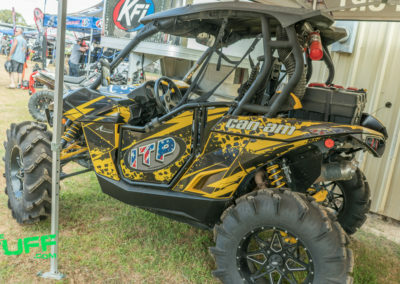 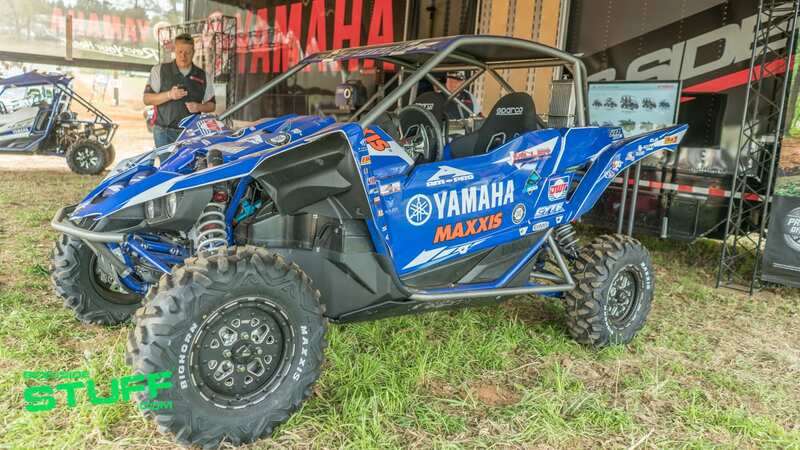 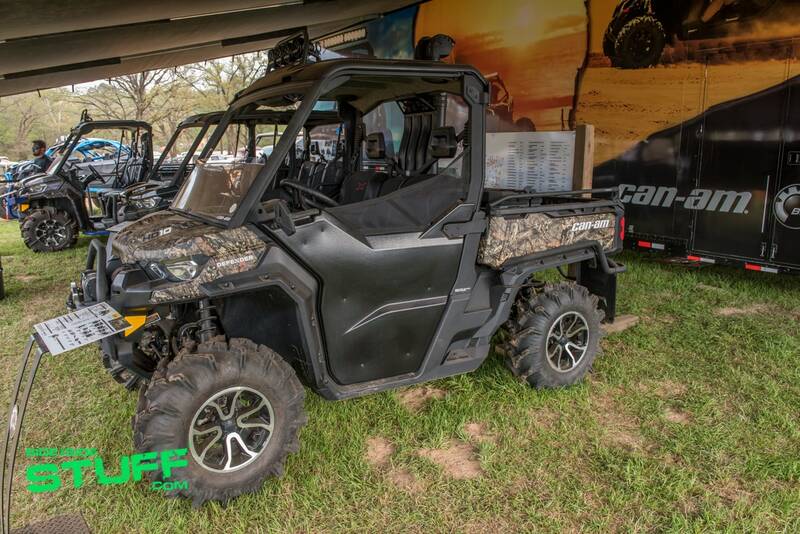 Several OEMs were present at the event, including Polaris, Can-Am, CFMoto, ROXOR and Yamaha. 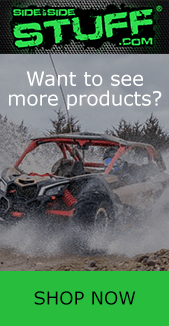 The OEMs set up shop with their latest machines for attendees to check out and ask questions. 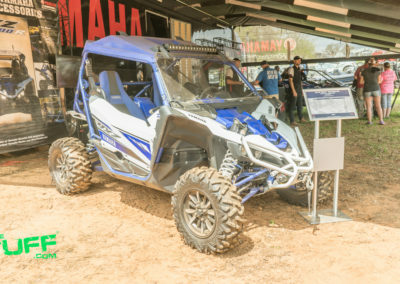 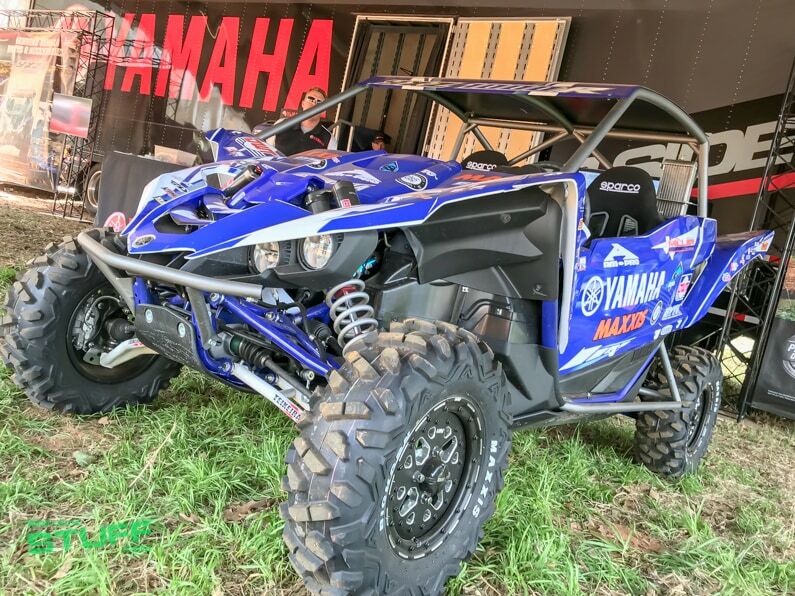 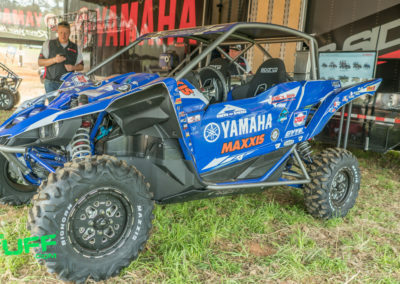 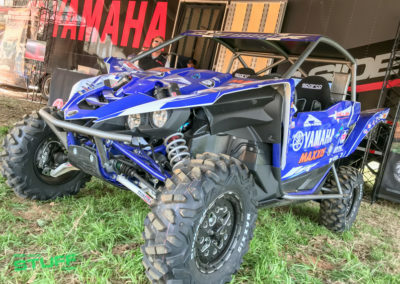 Pro UTV racer Dustin Jones was present shaking hands and visiting with fans at the Can-Am booth and Yamaha had pro UTV racer Cody Miller at their booth, Cody’s Yamaha YXZ 1000R race car was on display as well; until it was time to race the UTV Short Course that is. 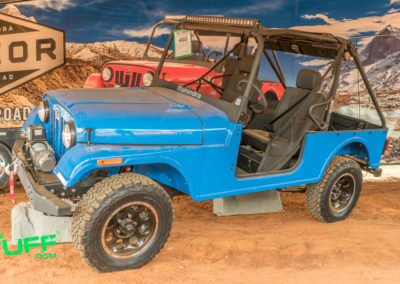 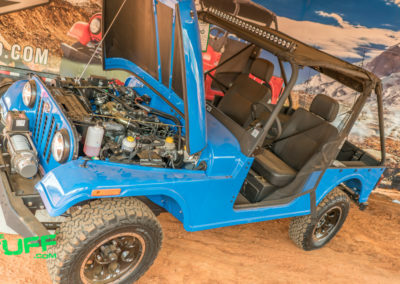 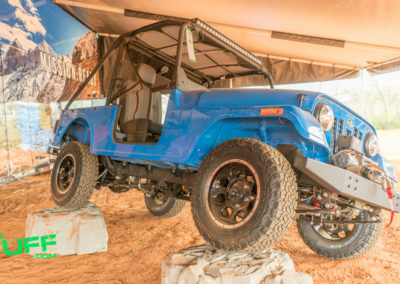 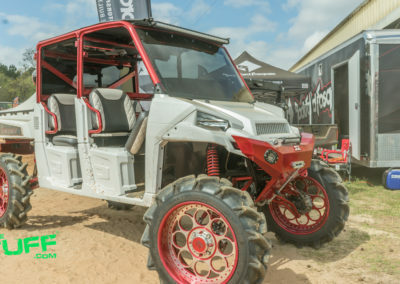 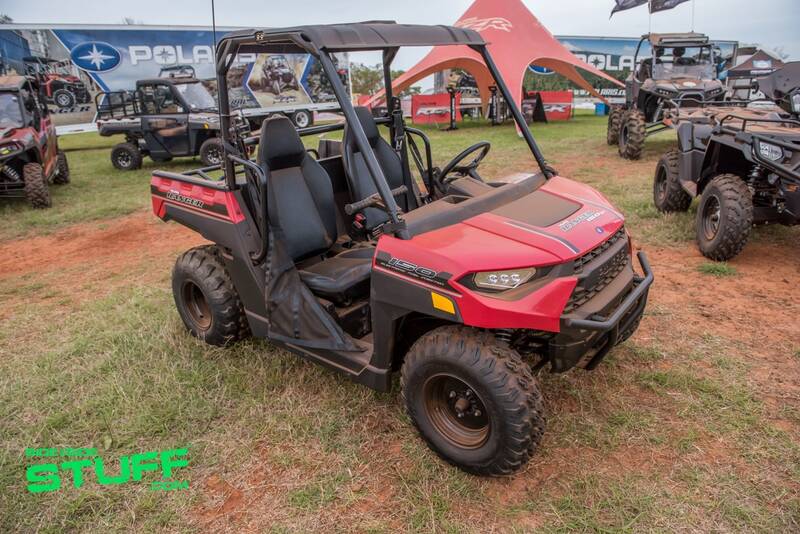 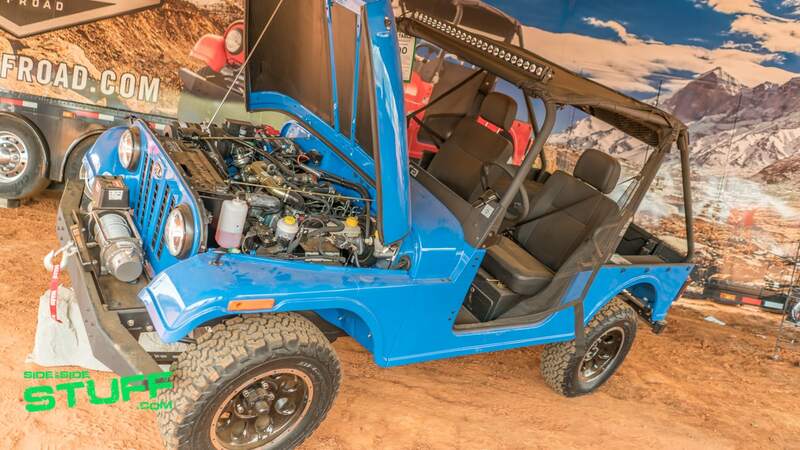 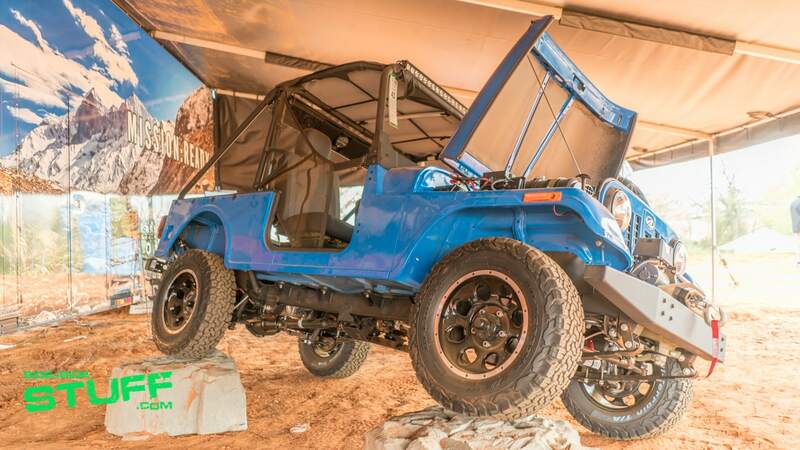 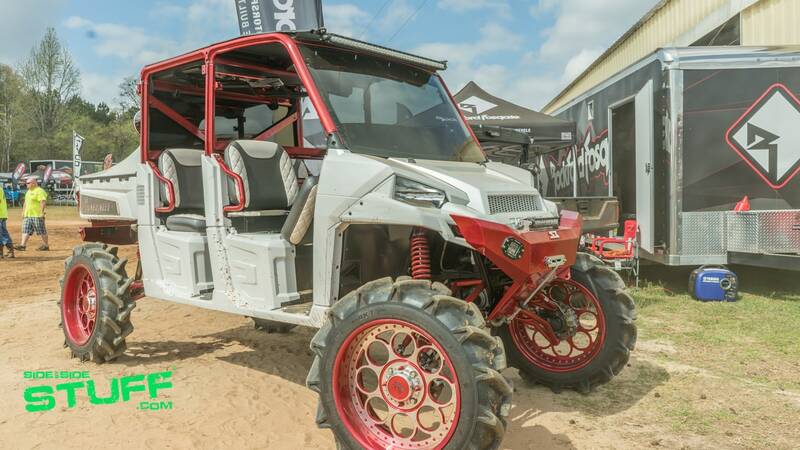 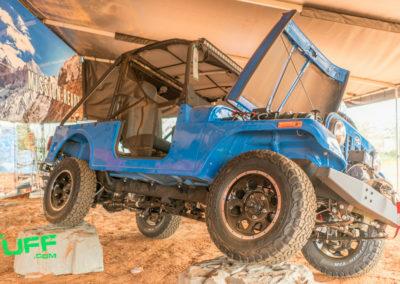 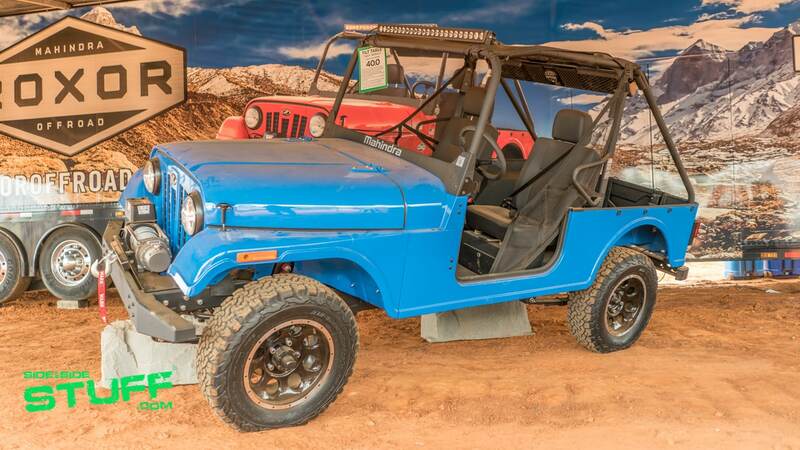 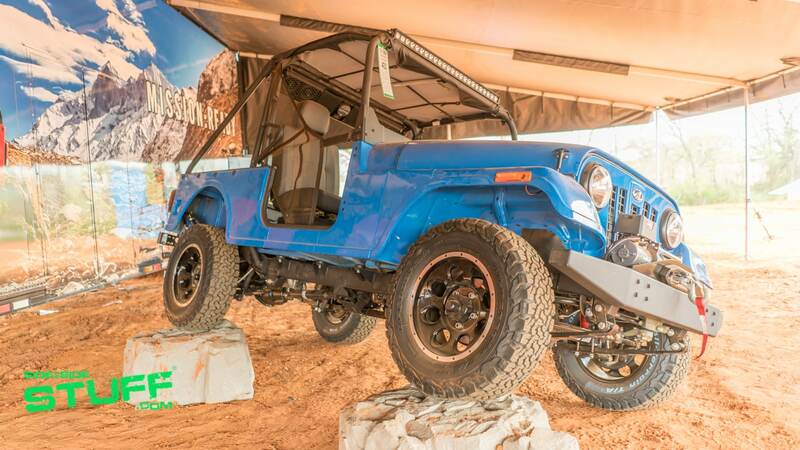 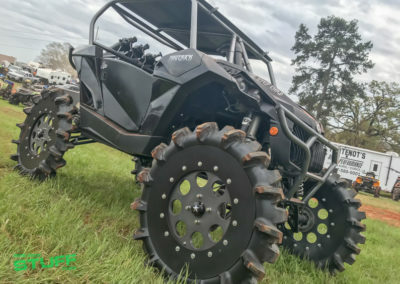 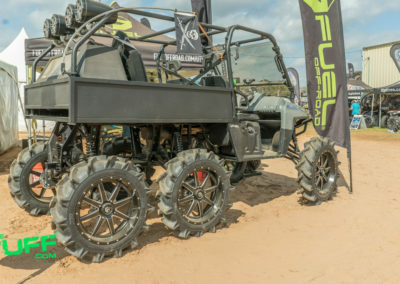 It was a first for many of us to check out the new ROXOR vehicle, the Jeep style Mahindra Offroad UTV was recently released this year and has quickly grabbed the attention of off-road enthusiasts. 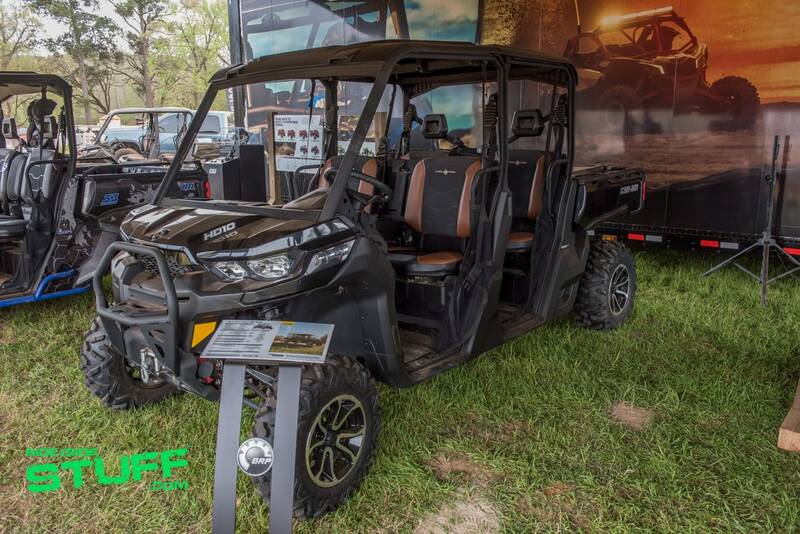 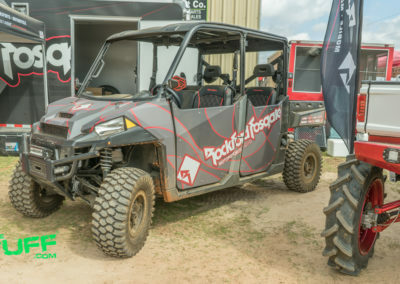 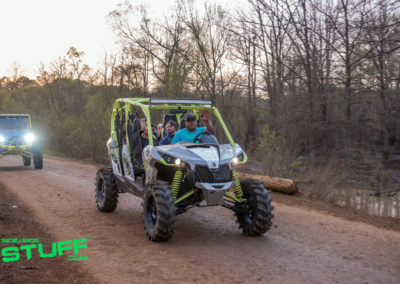 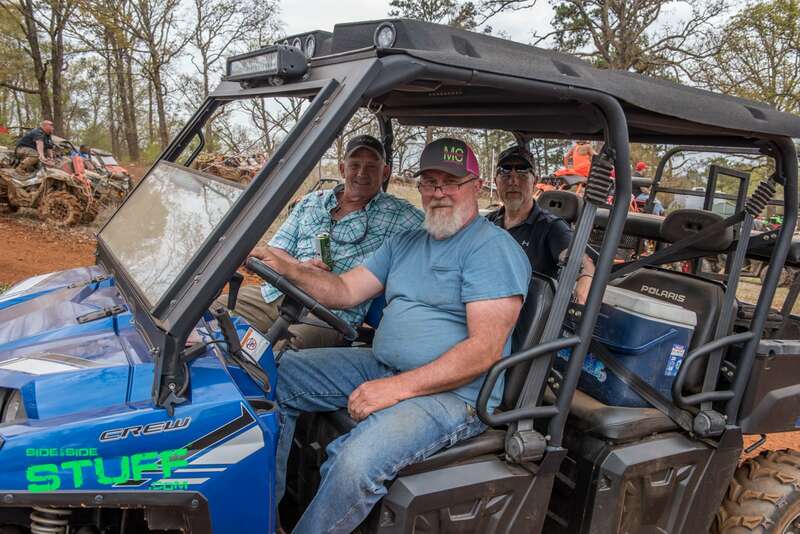 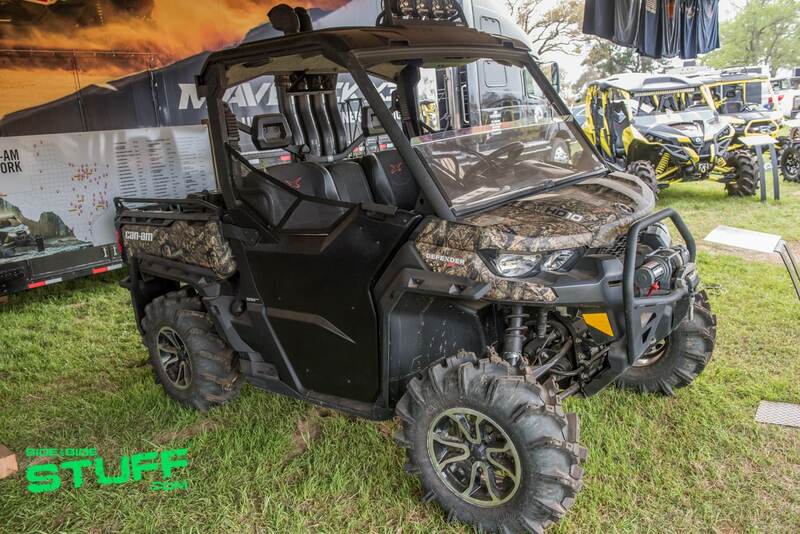 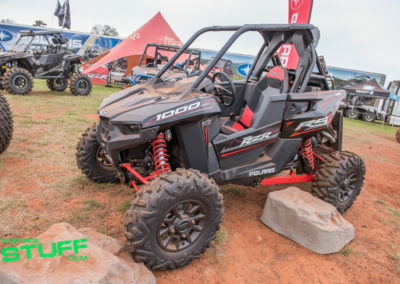 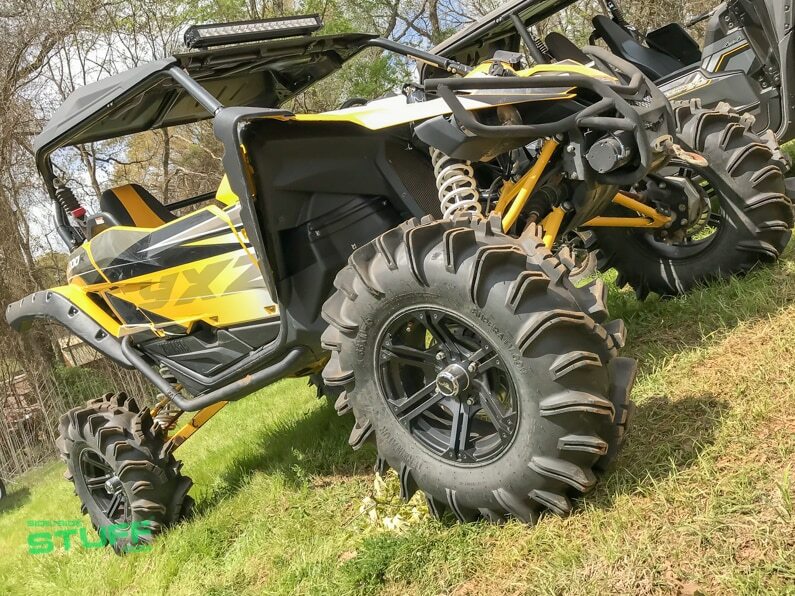 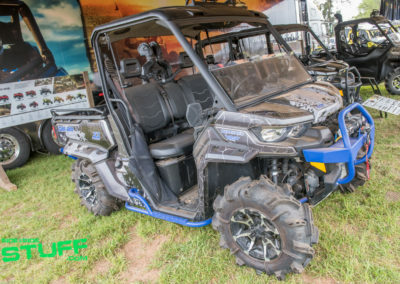 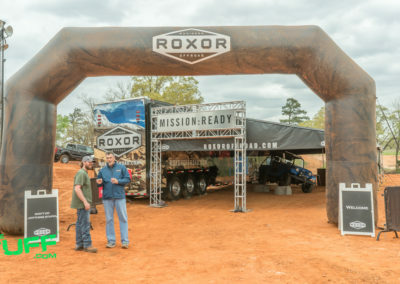 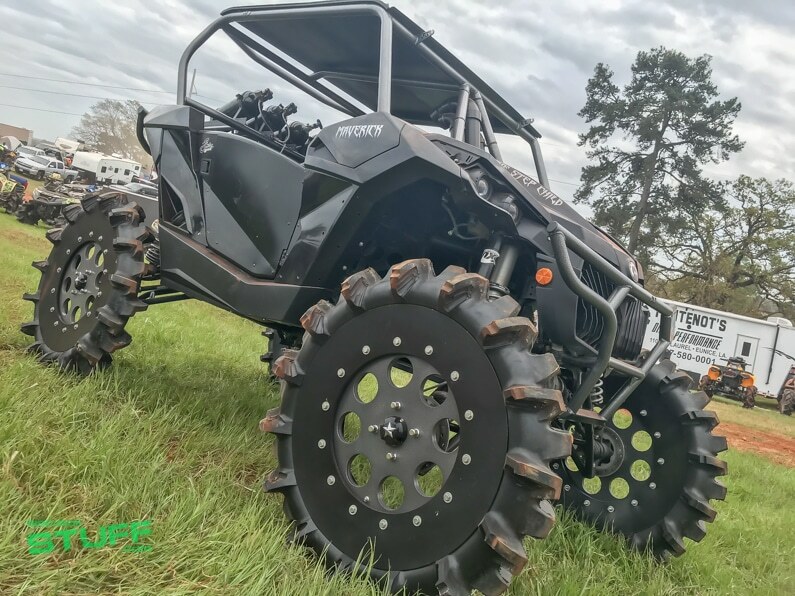 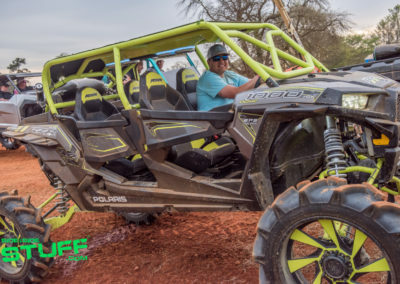 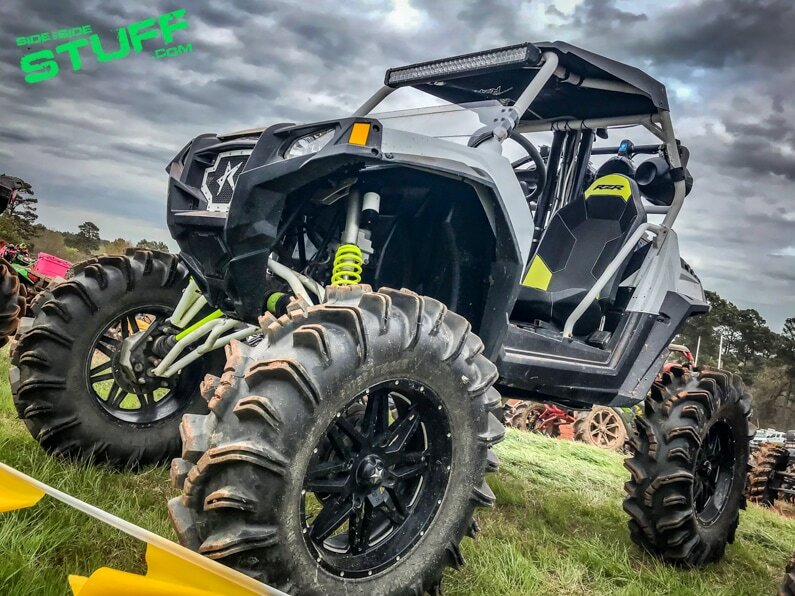 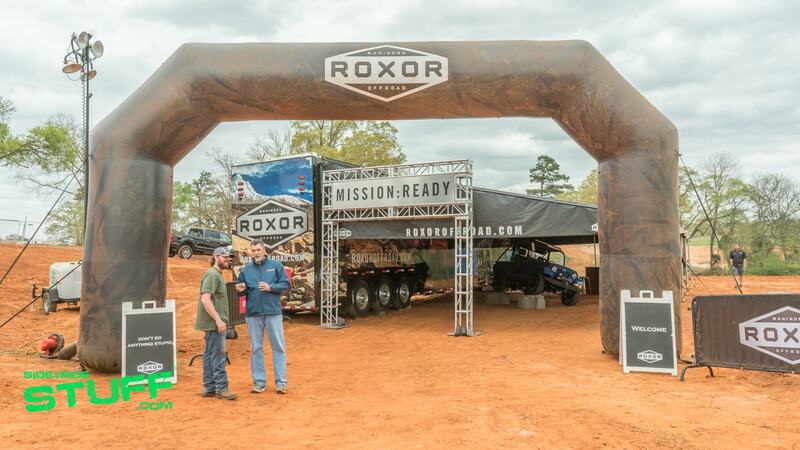 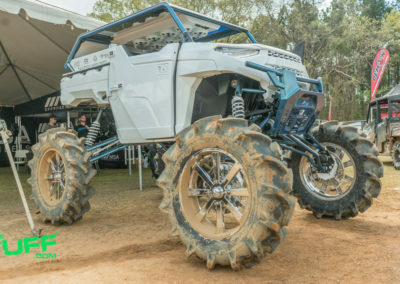 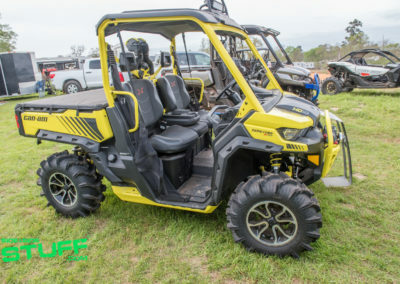 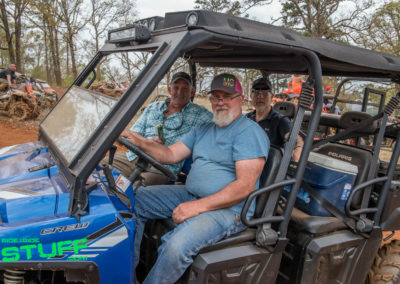 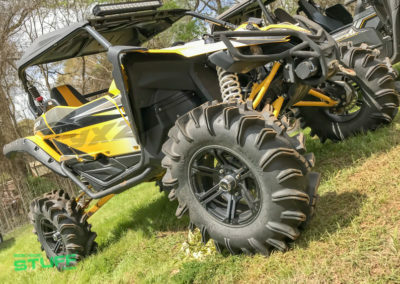 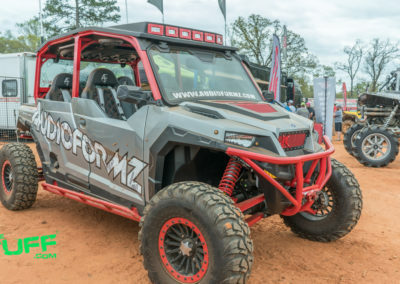 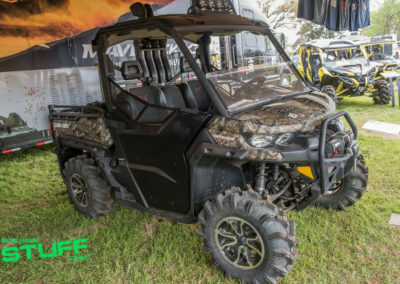 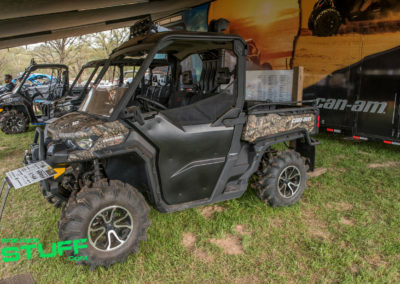 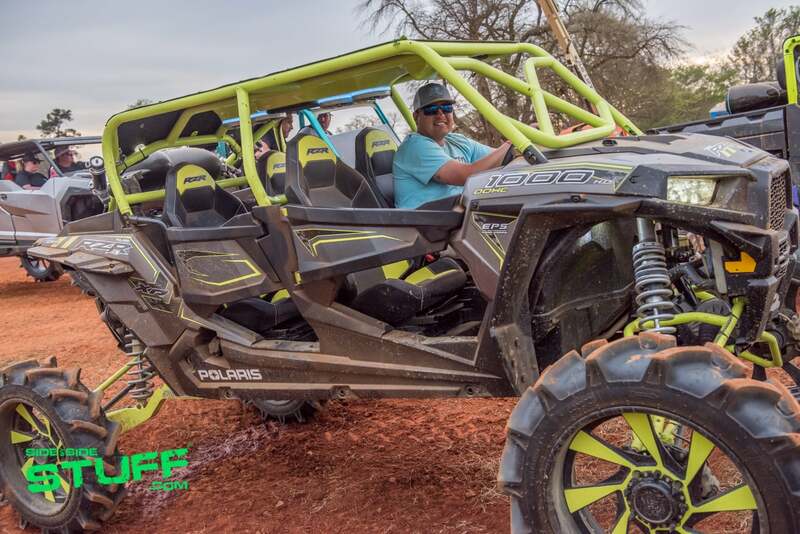 Many attendees were excited to get a closer look at the new machine, the ROXOR crew even took one of their display units out to ride and get muddy; heck, why not? 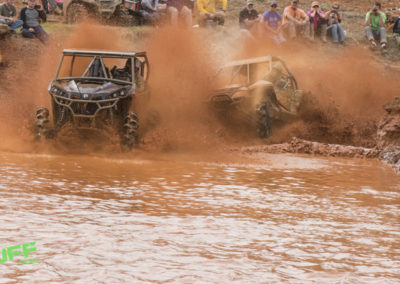 It is Mud Nationals. 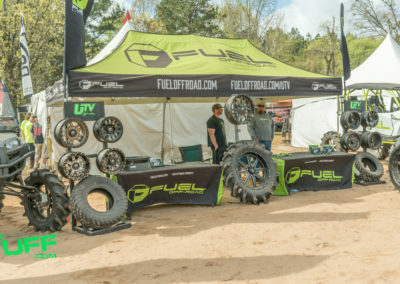 Many aftermarket vendors were present at the event with booths displaying their latest products, visiting with customers and handing out free shwag to attendees. 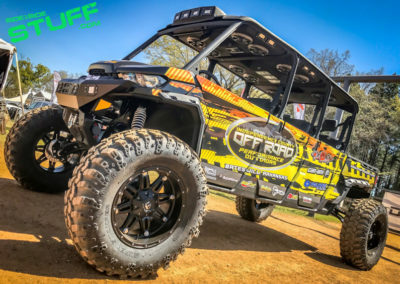 MSA Wheels, MTX Audio, Fuel Off-Road, J. 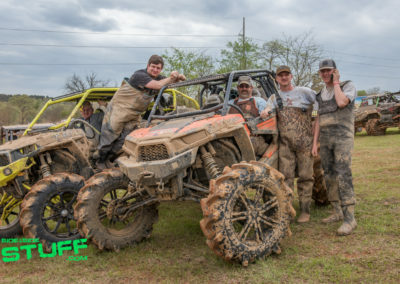 Strong Industries, Hifonics, MB Quart, KFI Products, Rockford Fosgate, Dayco, ITP Wheels and Tires, Gator Waders, Audio Formz, Pro Armor and Demon Powersports; just to name a few. 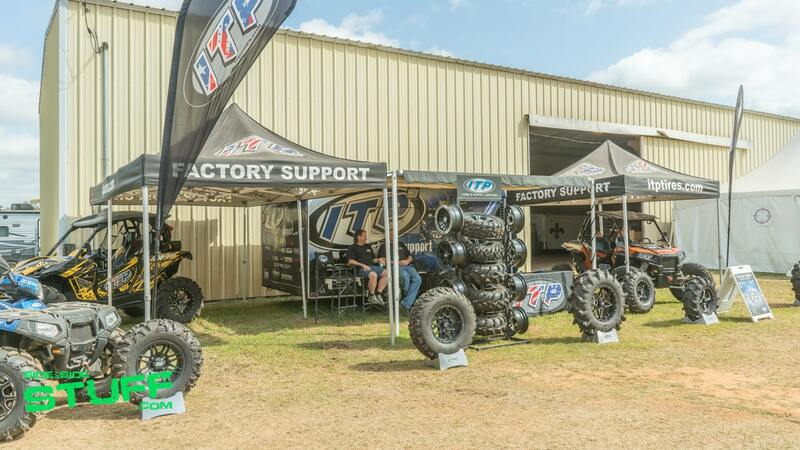 It was definitely great to catch up with everyone and talk about new aftermarket parts and accessories. 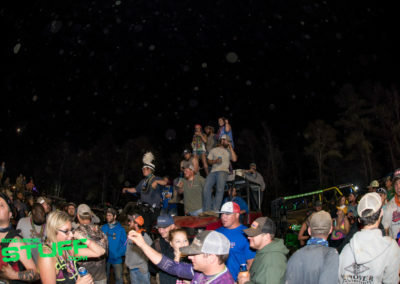 On Friday and Saturday night, the live music was kickin’ for fans to enjoy. 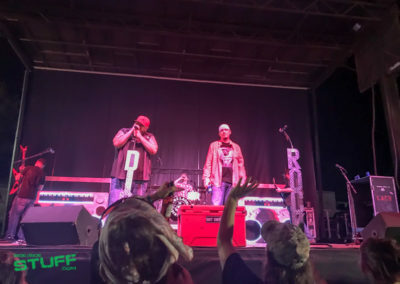 Friday’s performances were Curtis Grimes, the Jake Williams Band and the John Hord Band. 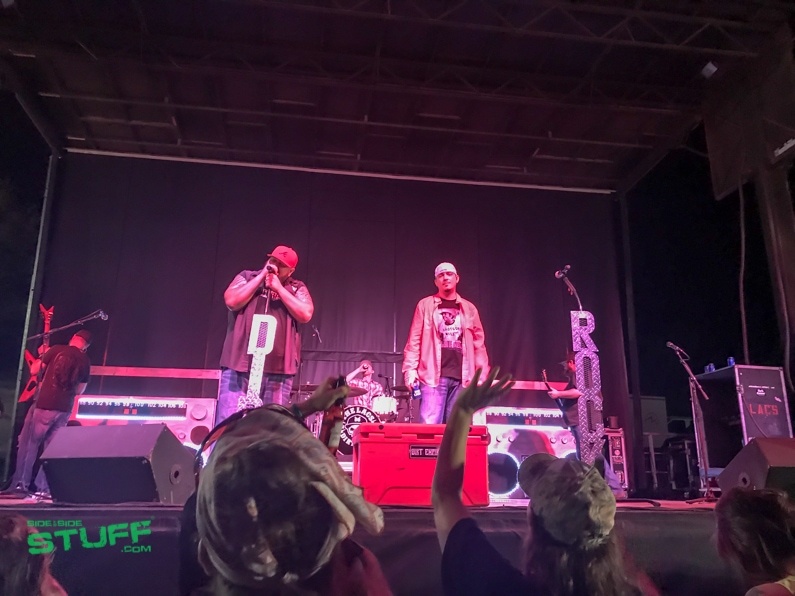 For the finale of the event on Saturday, there were live performances from the Moonshine Bandits and The Lacs. 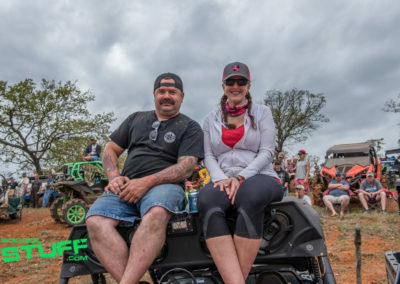 Obviously crowd favorites for the southern region riders, but for those who weren’t sure about the latest dirt rock style of music, the music and performances were actually very impressive. 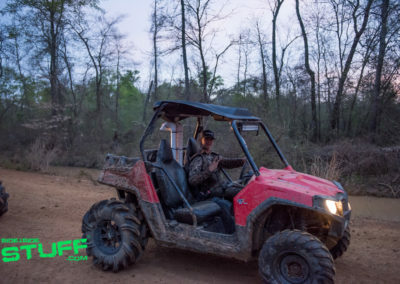 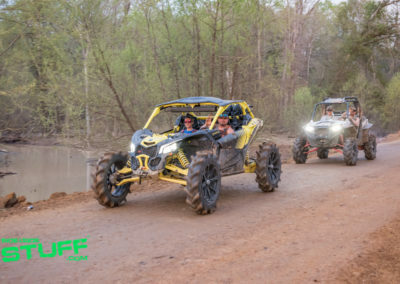 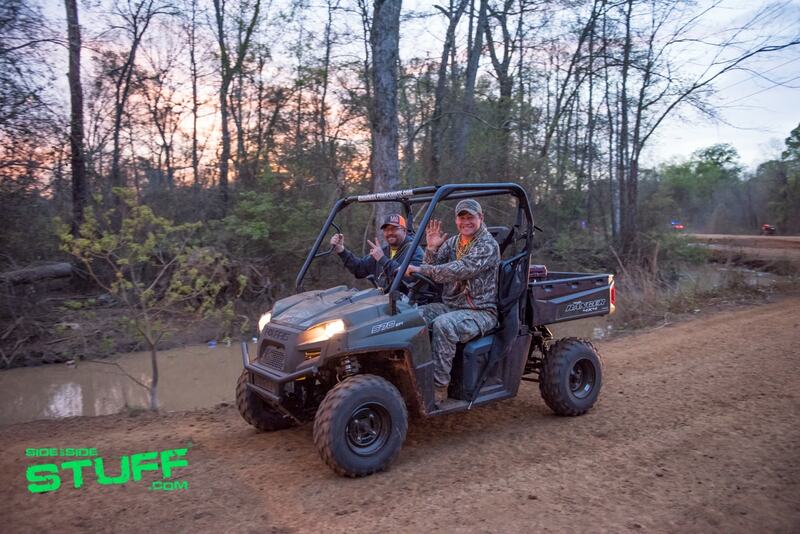 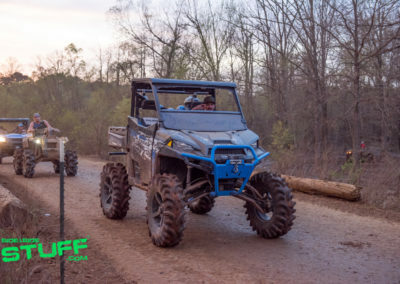 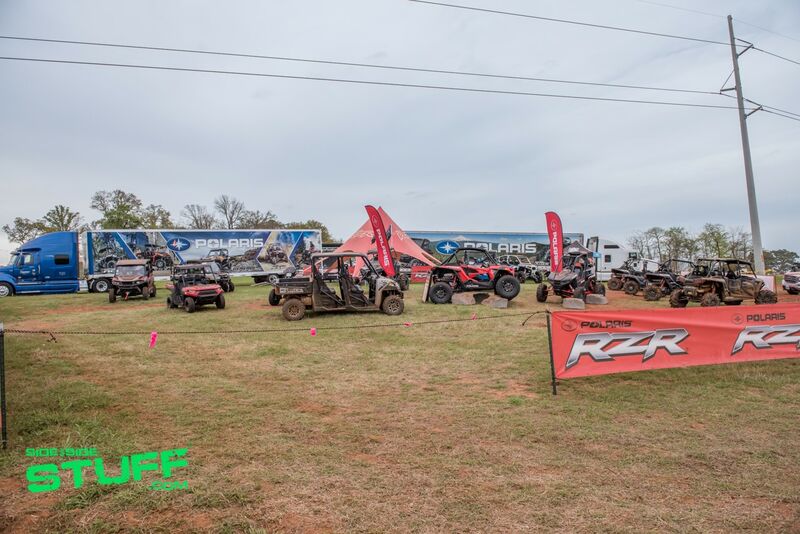 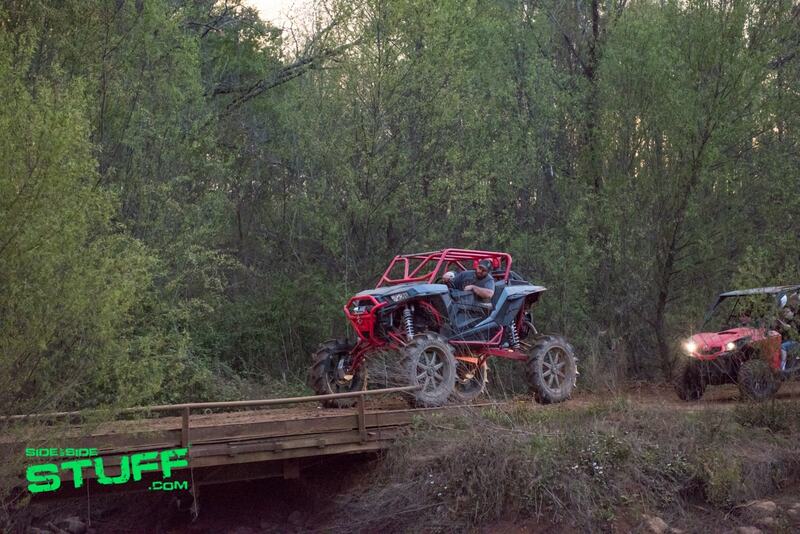 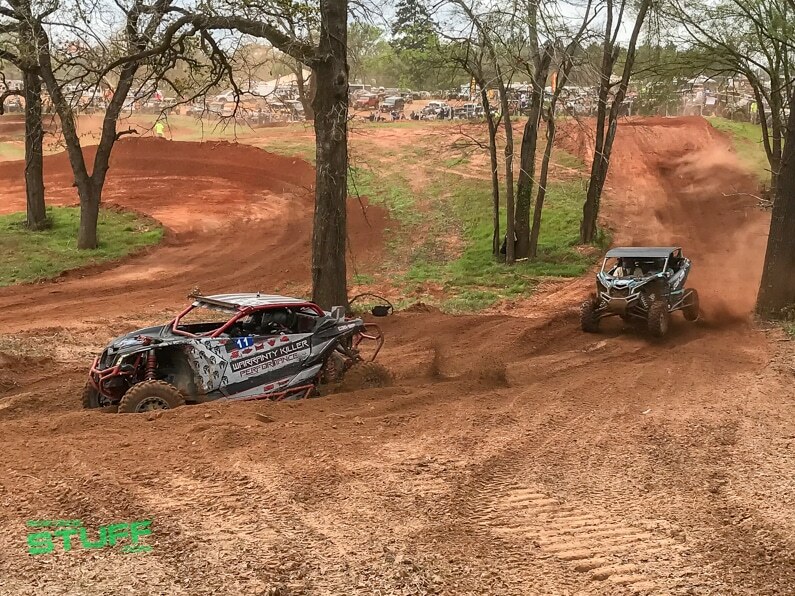 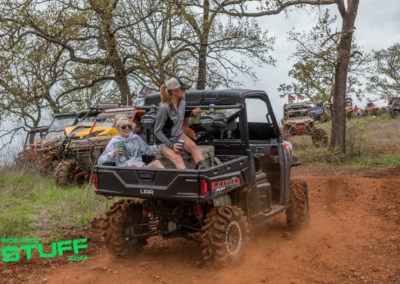 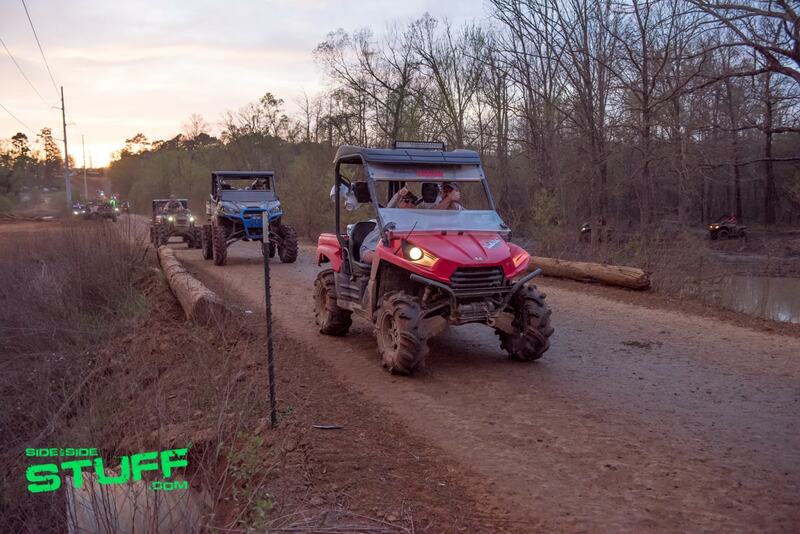 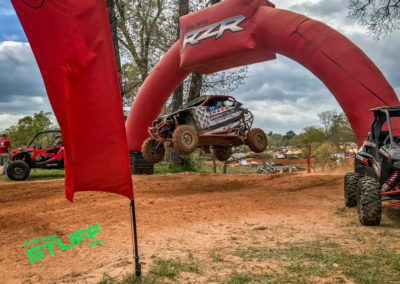 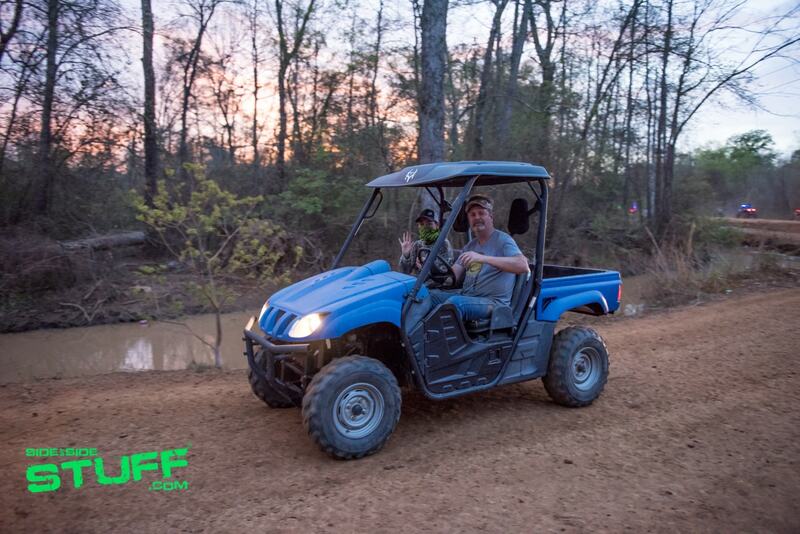 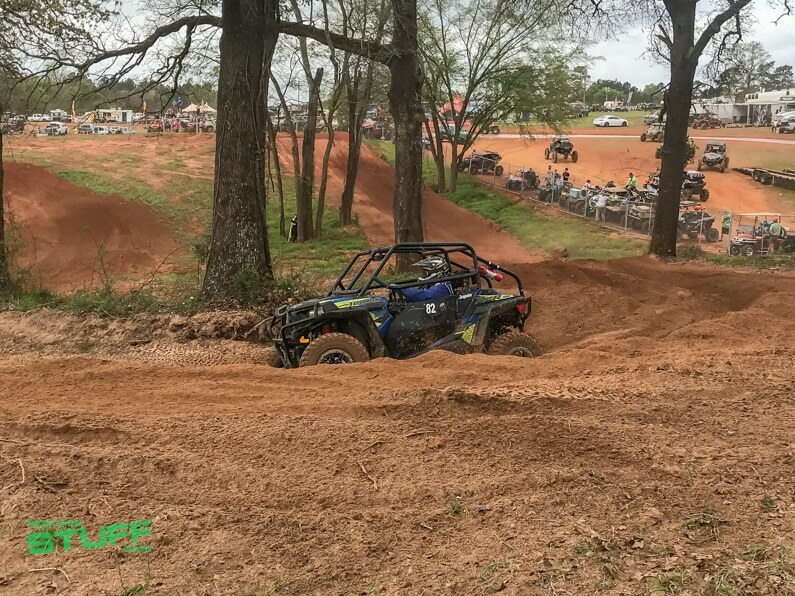 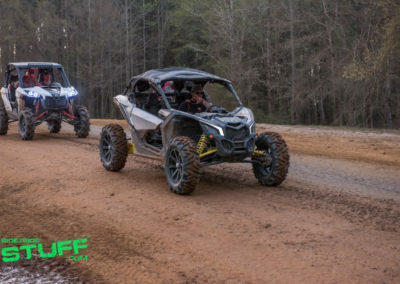 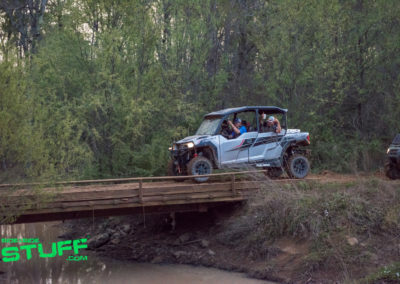 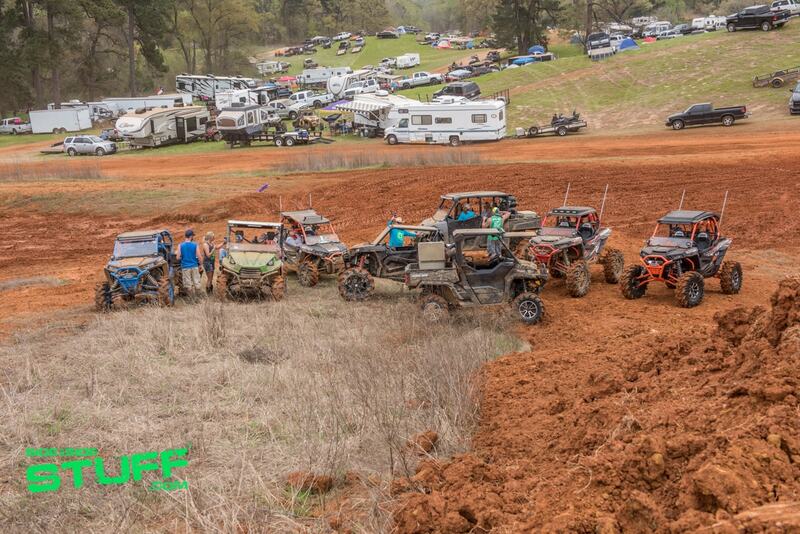 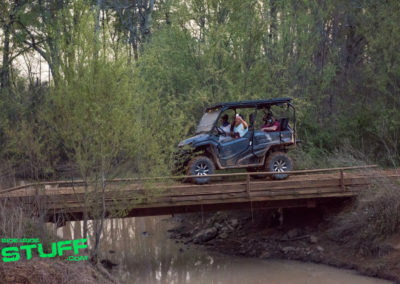 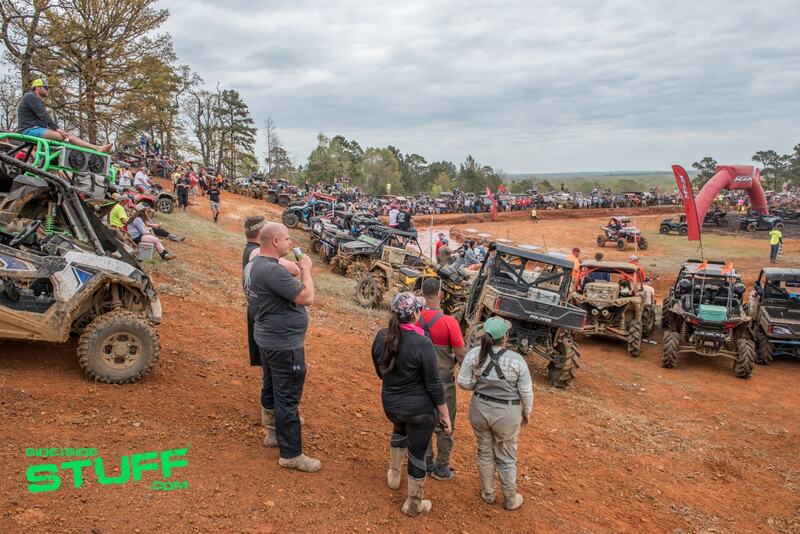 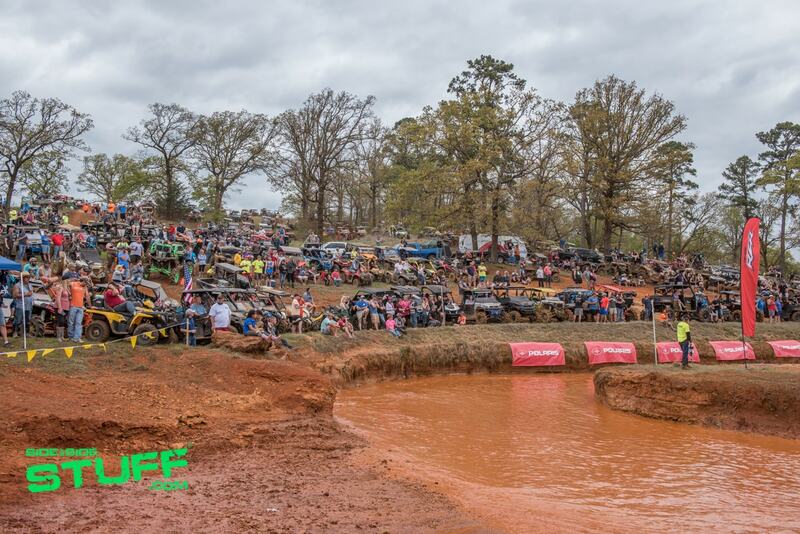 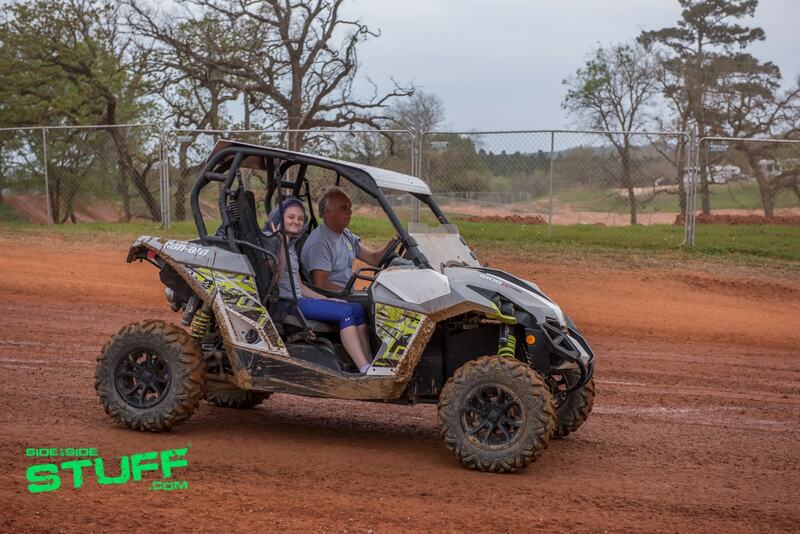 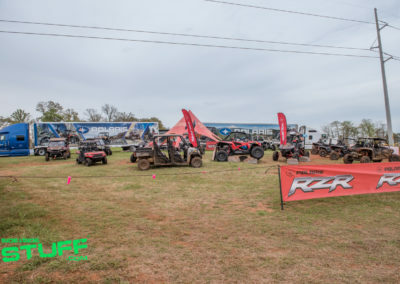 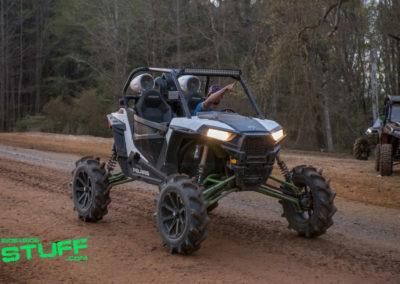 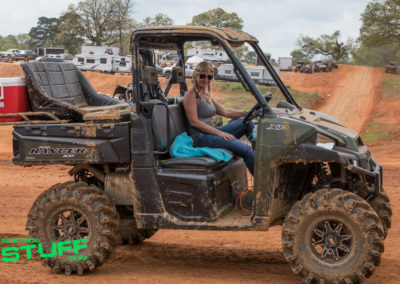 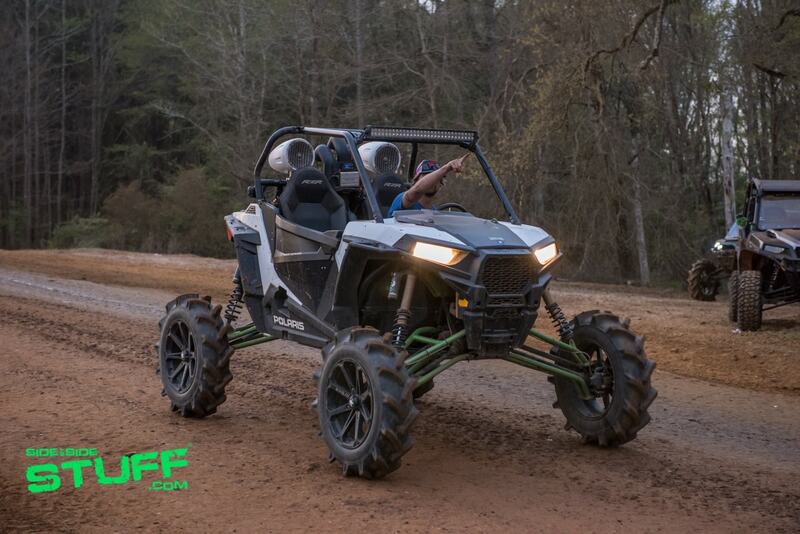 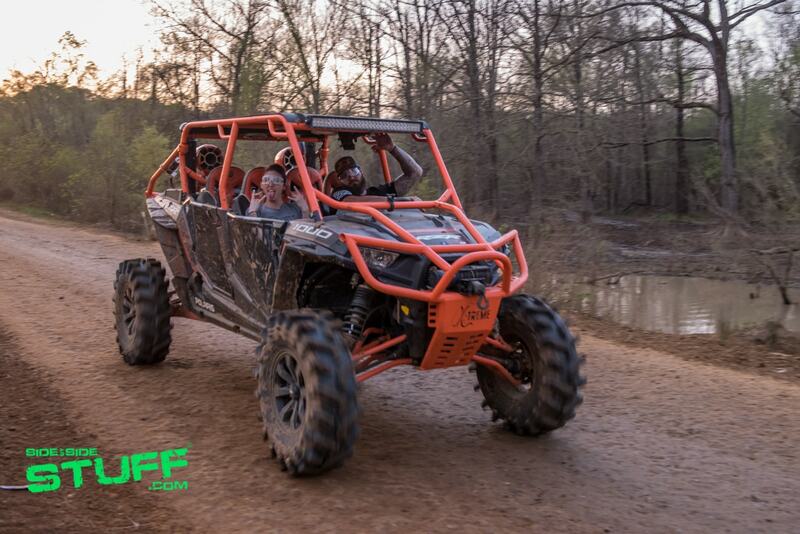 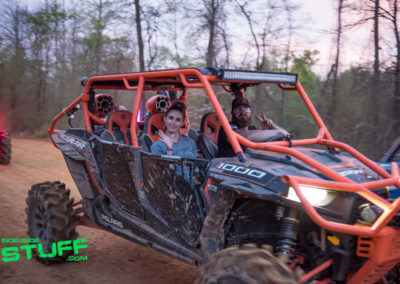 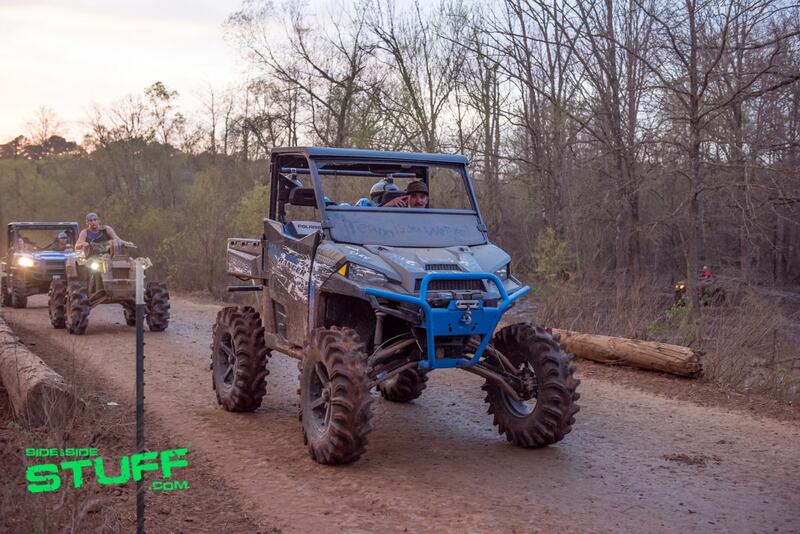 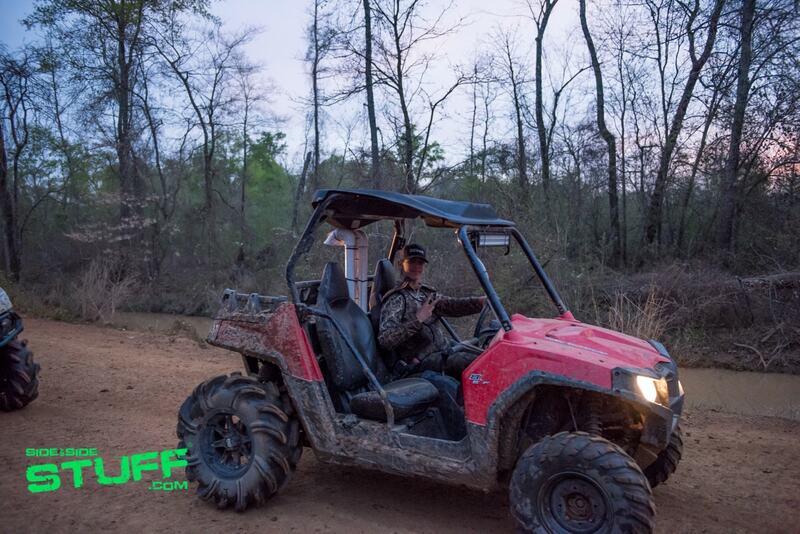 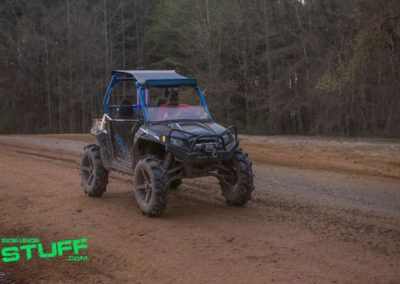 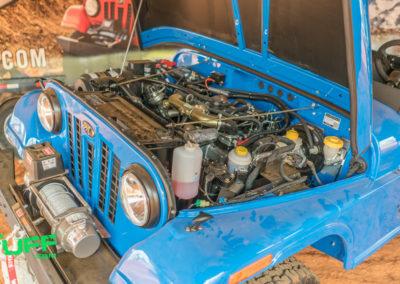 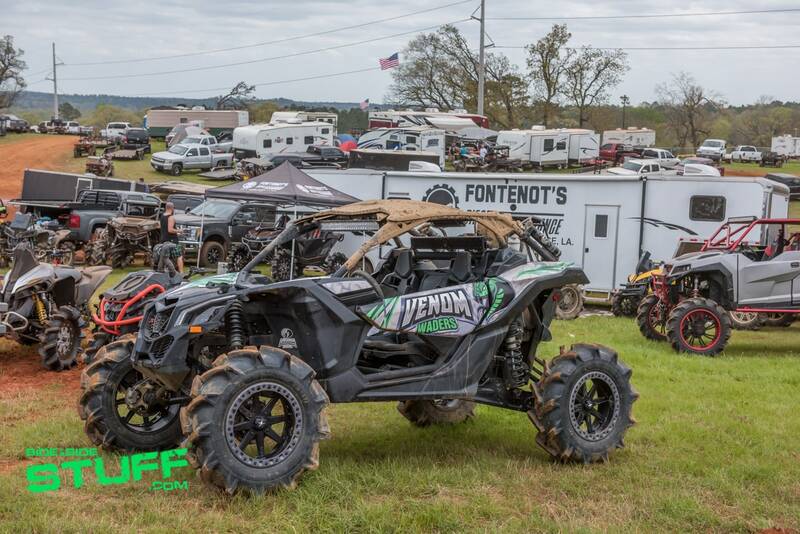 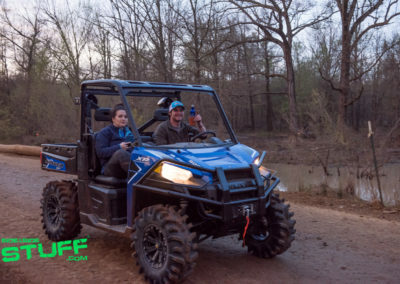 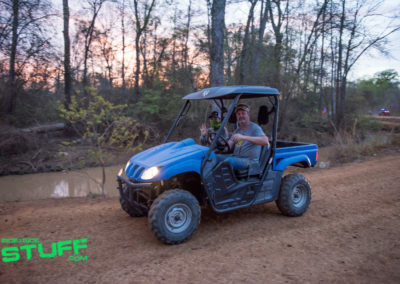 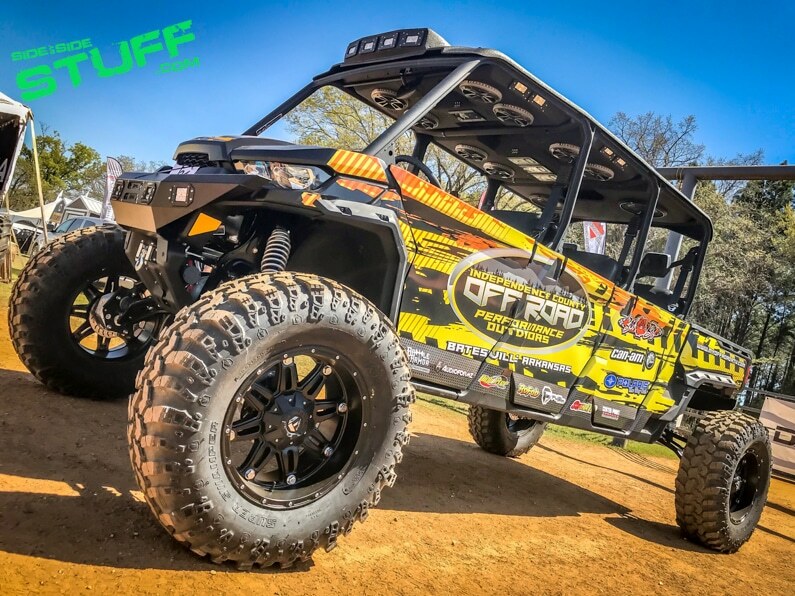 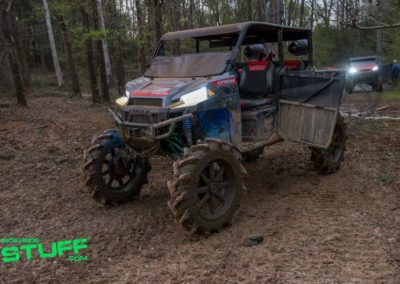 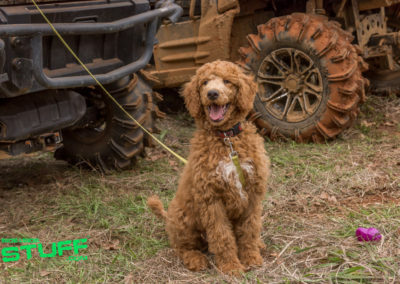 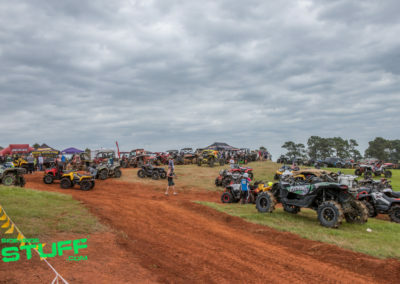 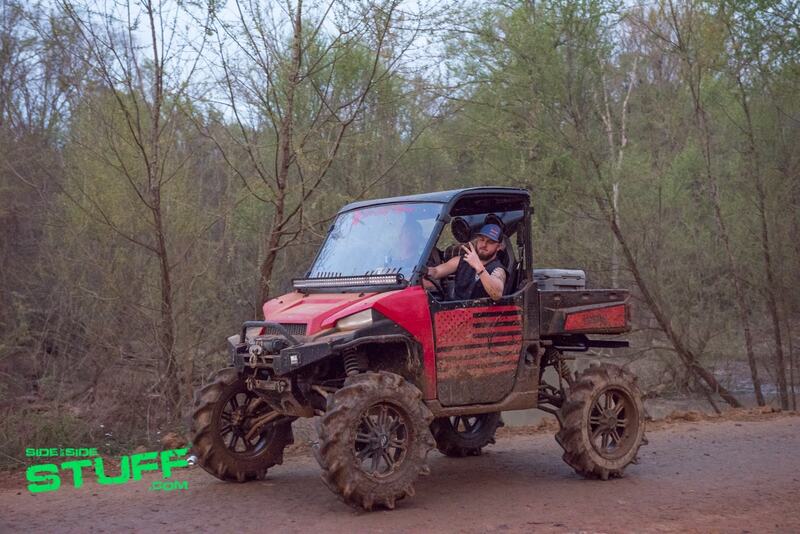 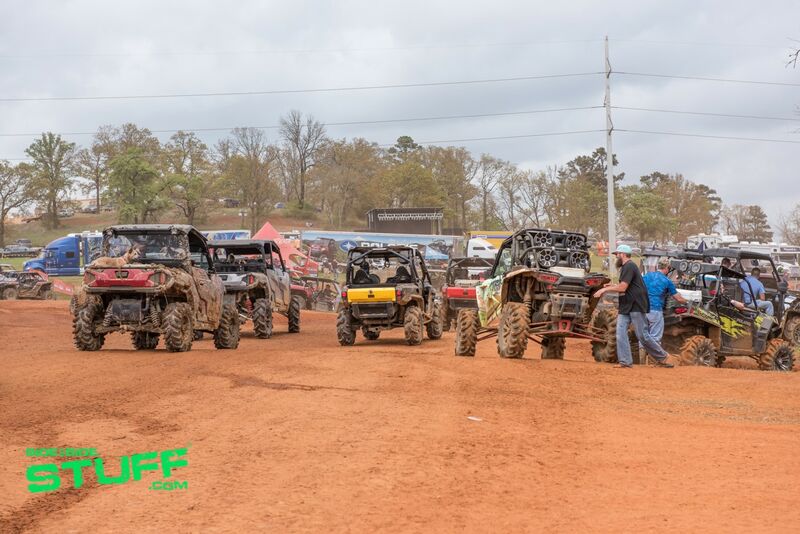 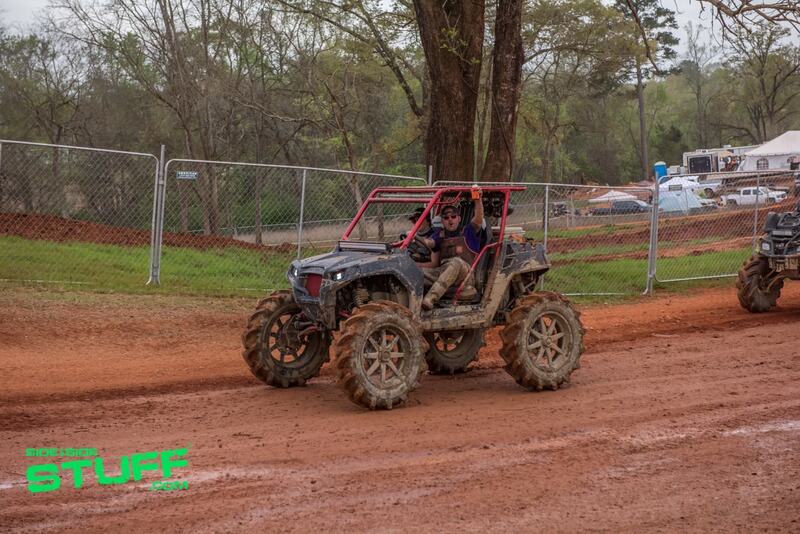 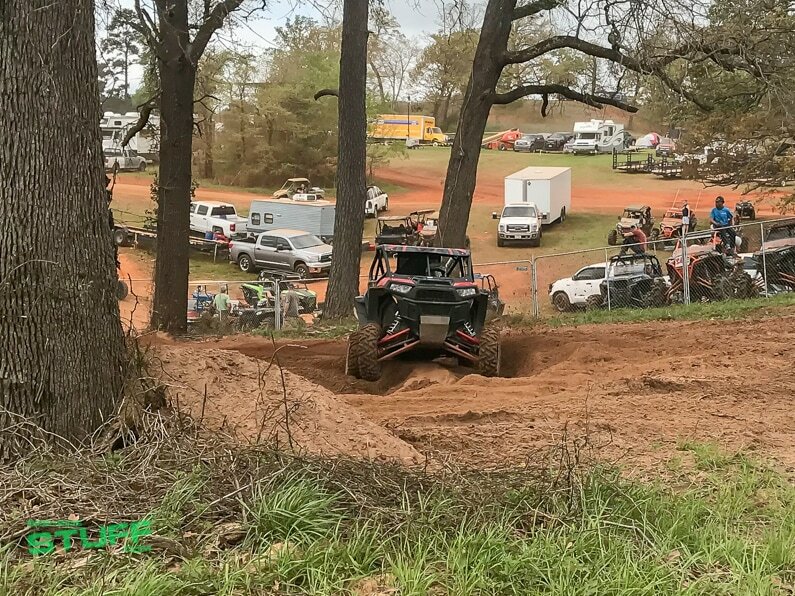 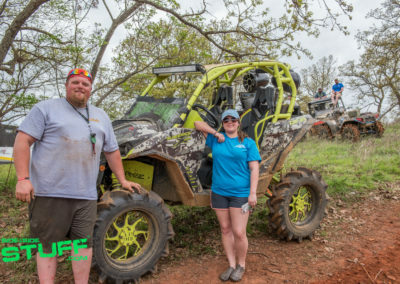 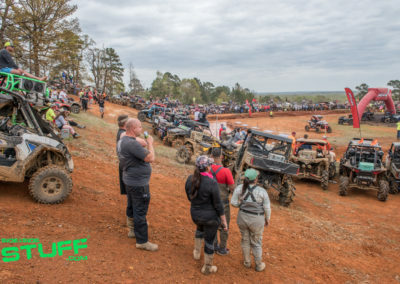 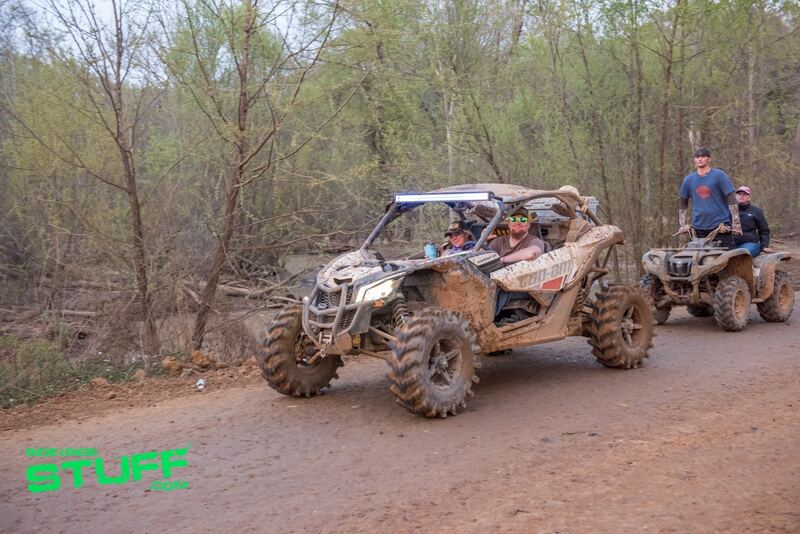 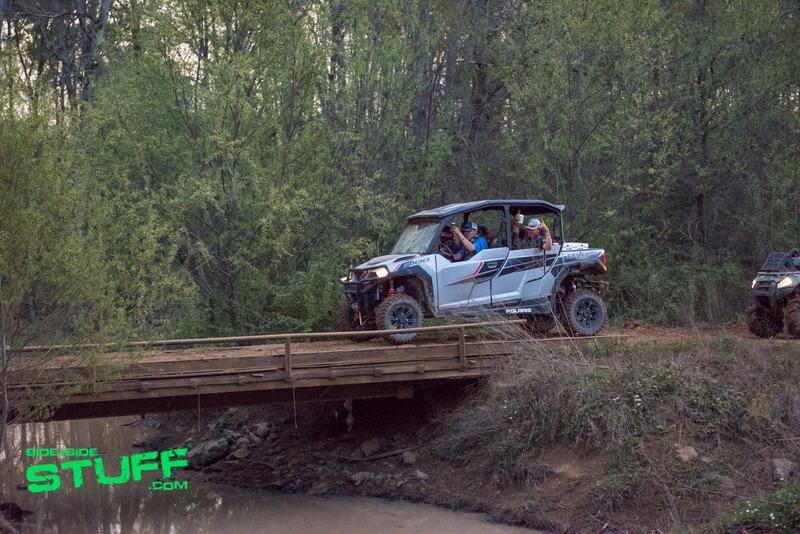 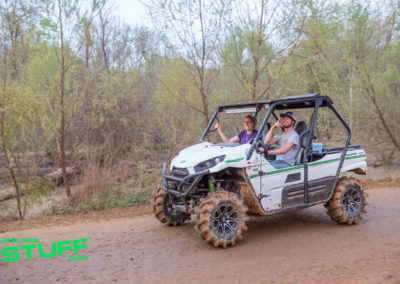 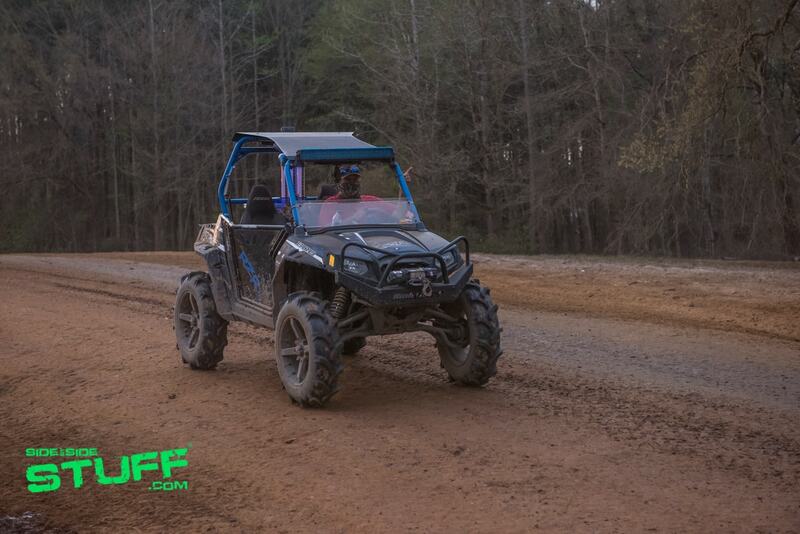 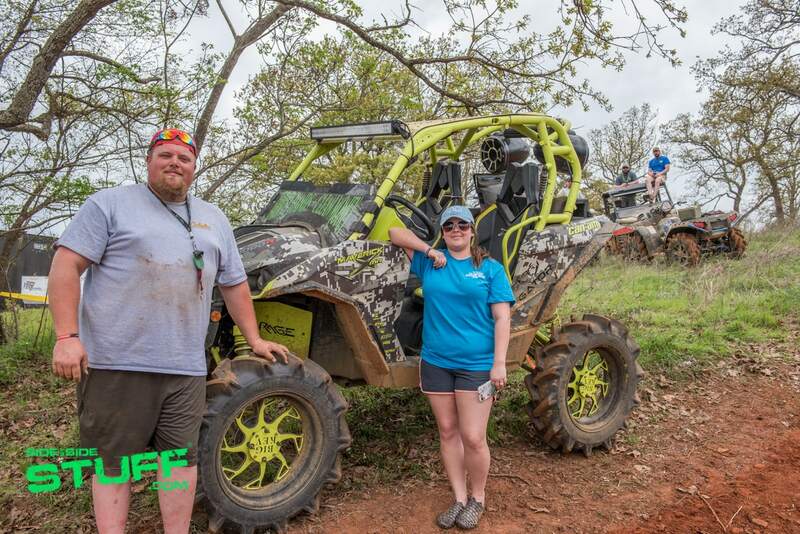 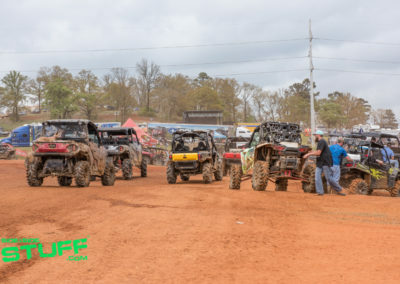 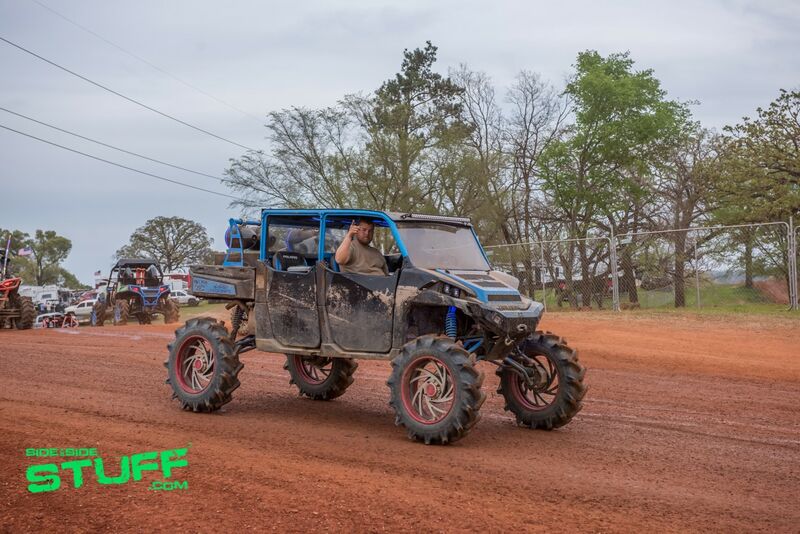 With 4,100 acres of rolling hills, woods, creek bottoms, mud pits and trails, Mud Creek Off-Road Park is an ideal riding area for the mud enthusiast and a great place to hold Mud Nationals. 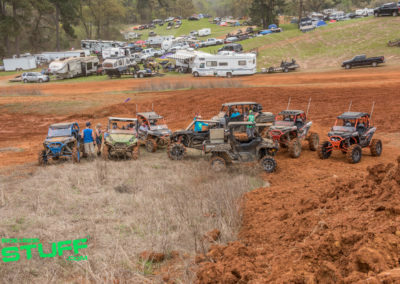 There are 115 RV sites at the park that are available with electricity and water hook-ups, to get one of these spots at Mud Nats you might want to reserve yours way in advance. 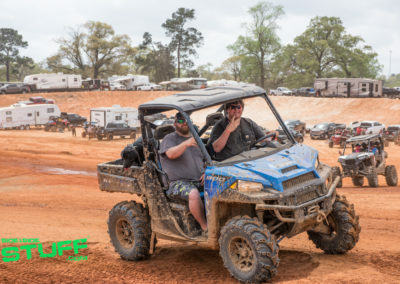 Although don’t worry about finding a place to camp, the park has an abundance of primitive camping open to RVs, tents and toy haulers. 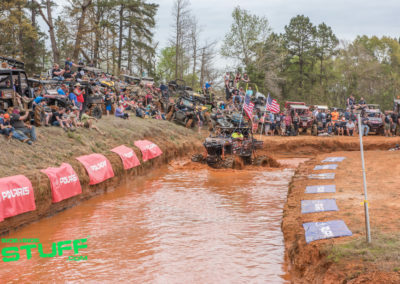 The 2018 High Lifter Mud Nationals was a huge success. 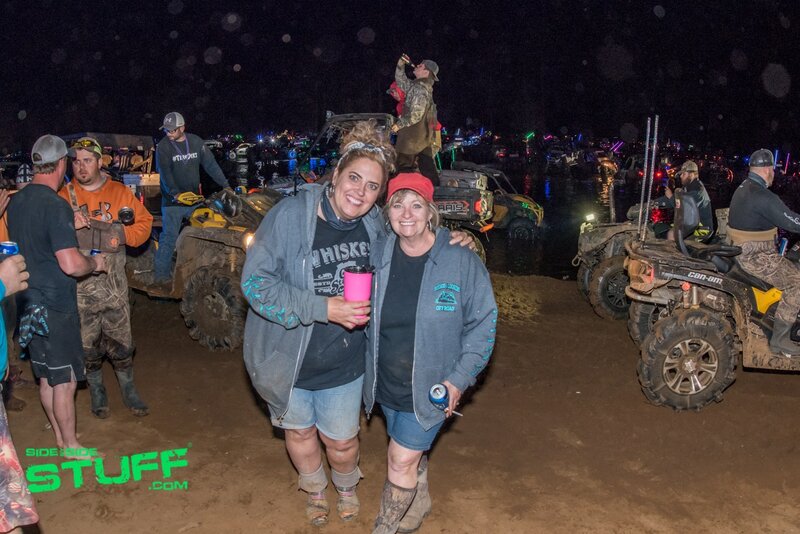 It was so much fun to catch up with our mud friends as well as make many new ones this year. 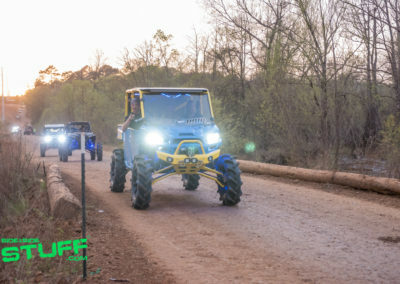 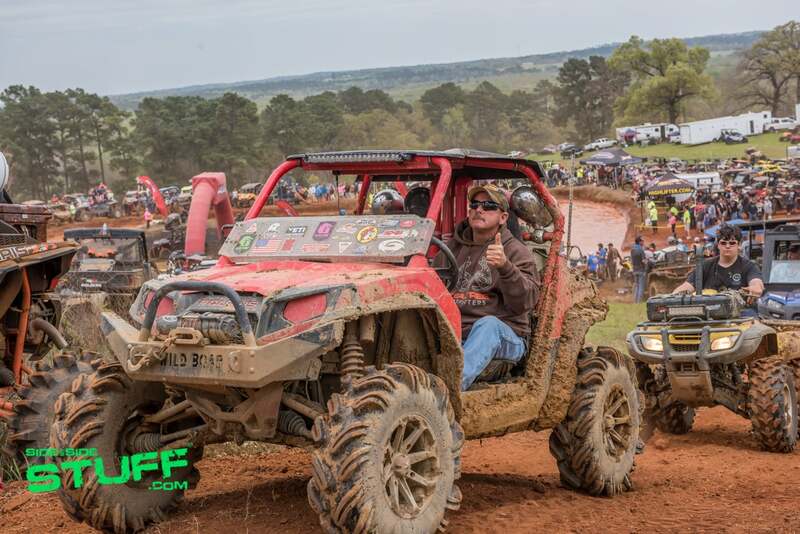 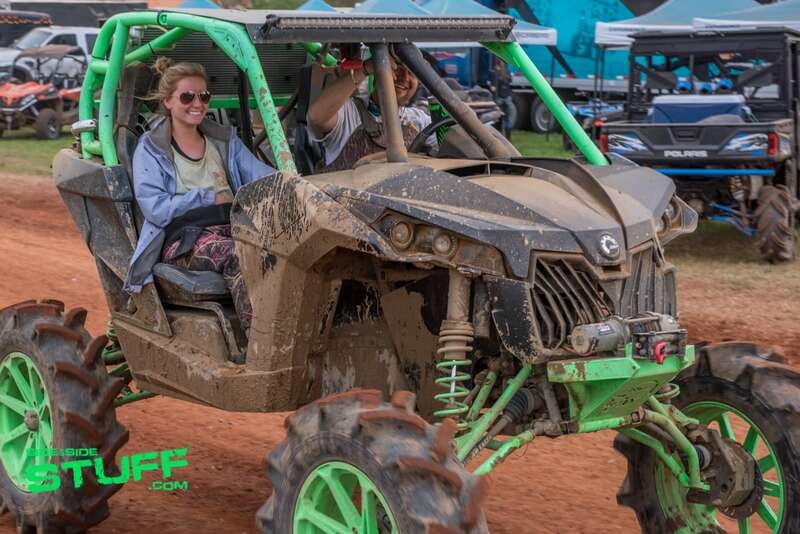 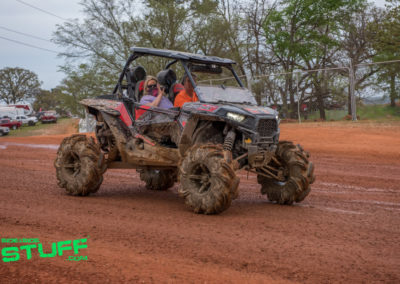 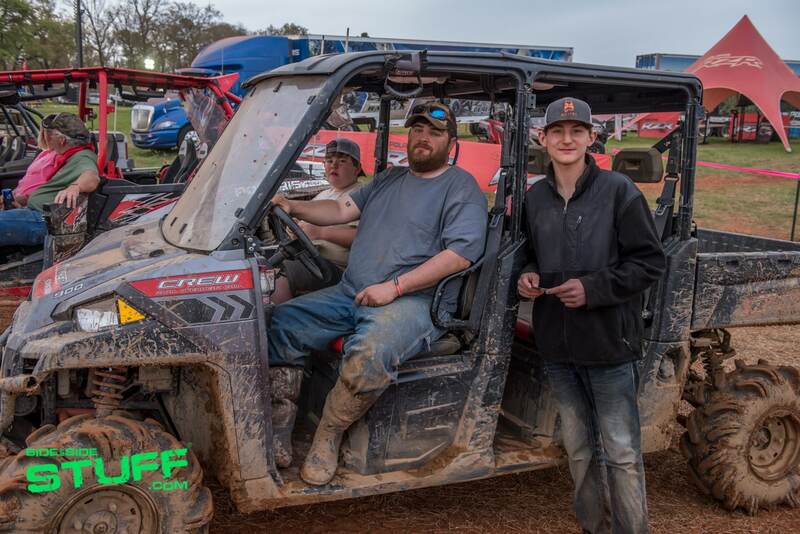 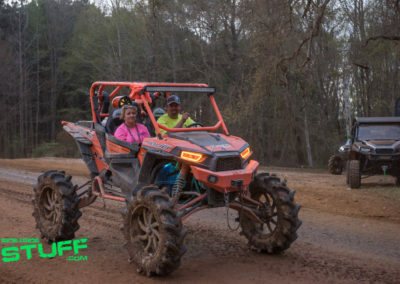 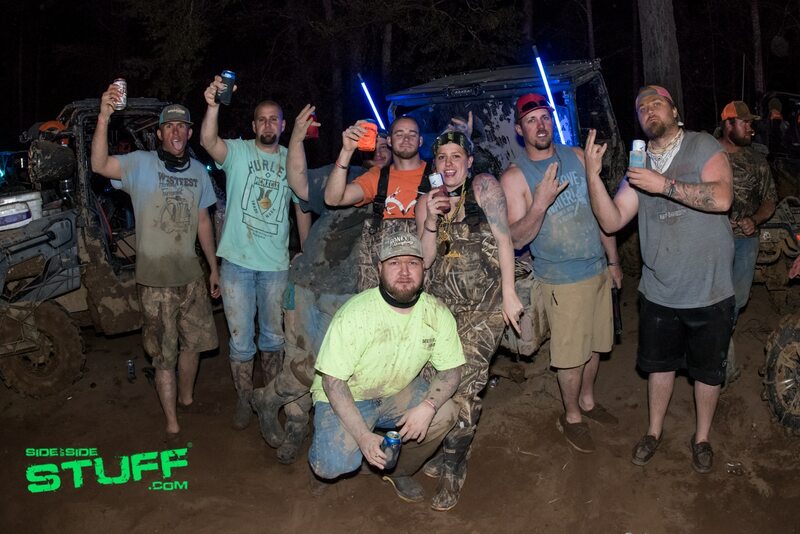 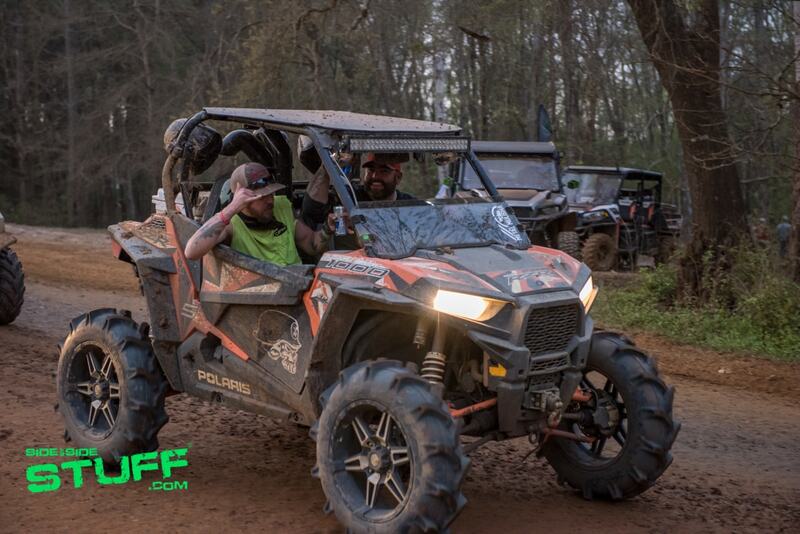 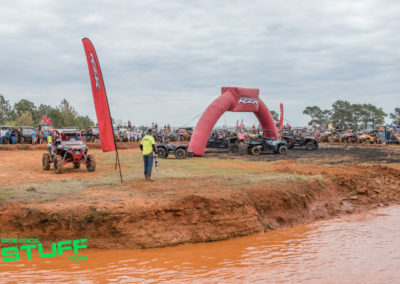 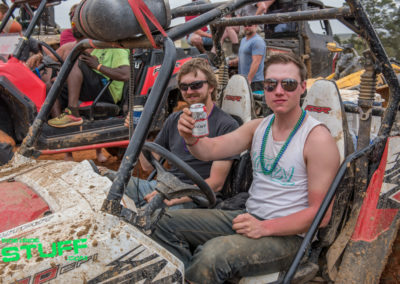 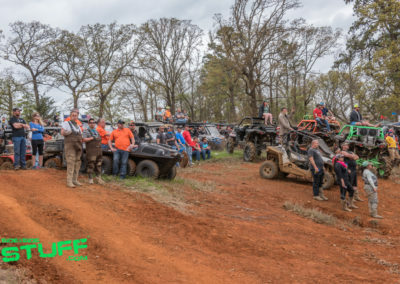 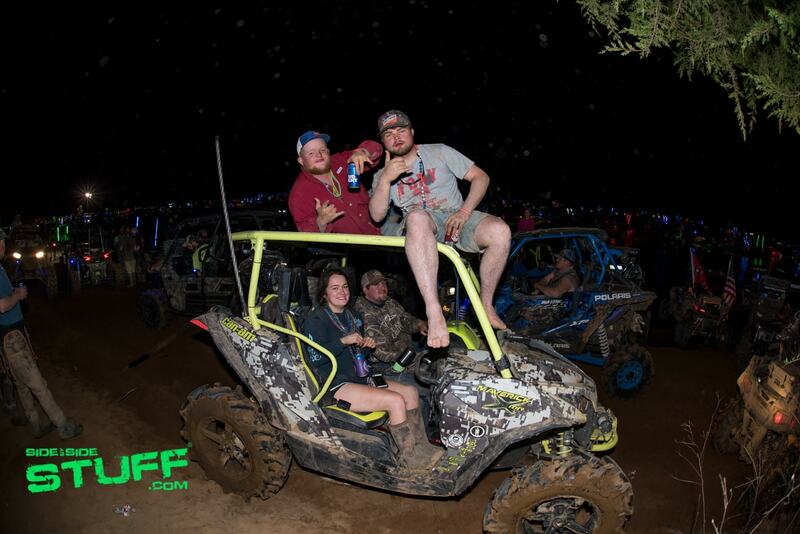 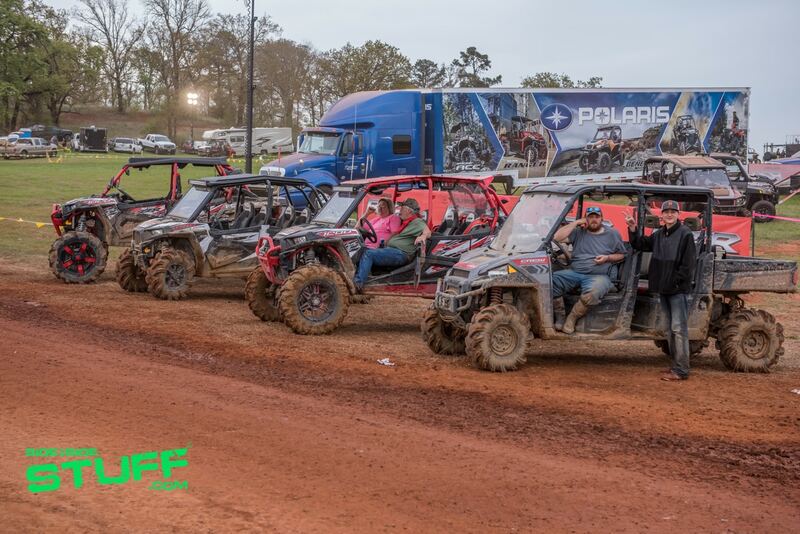 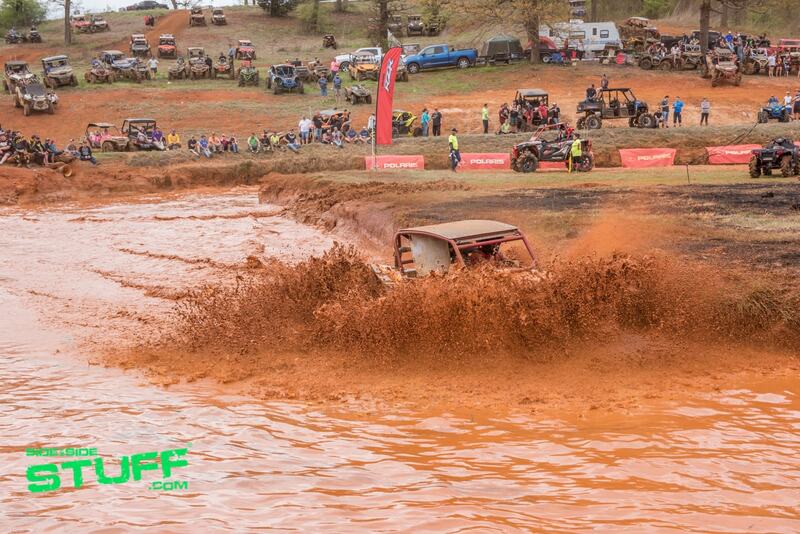 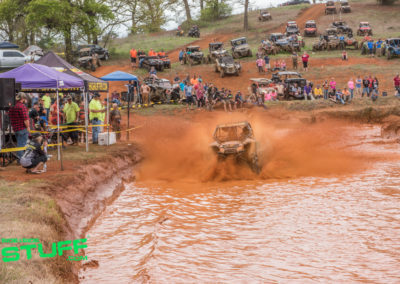 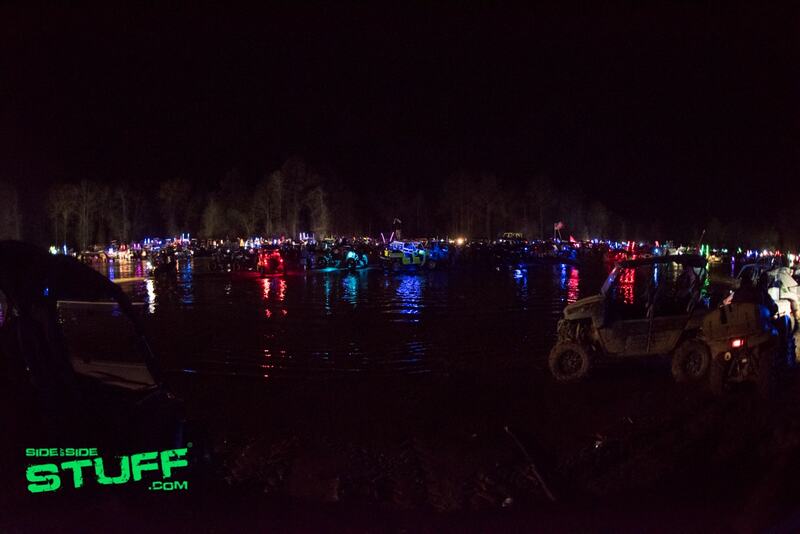 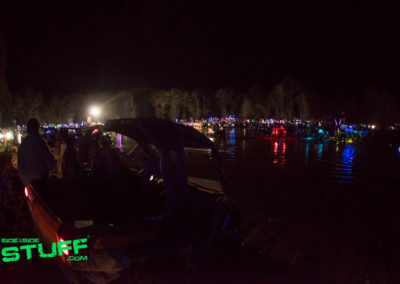 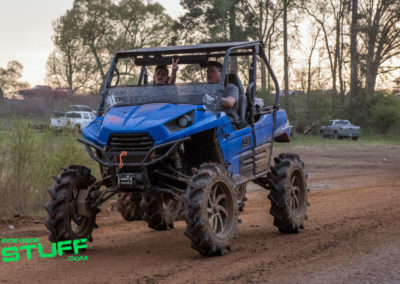 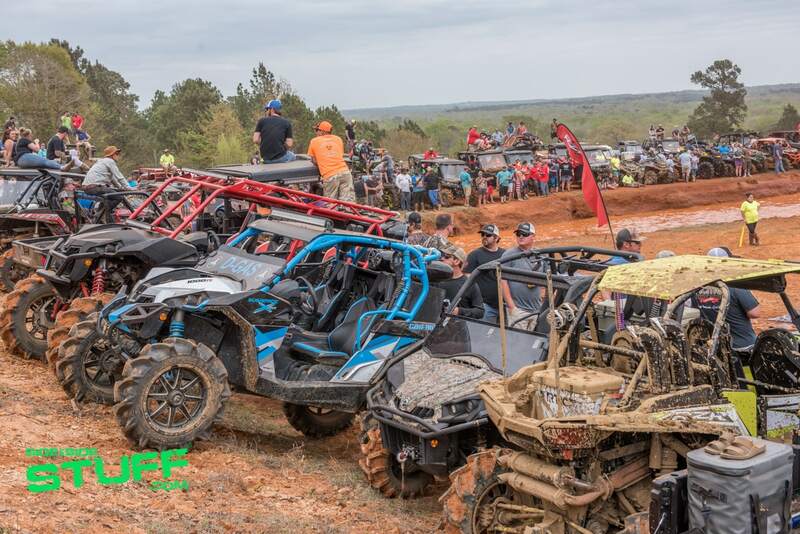 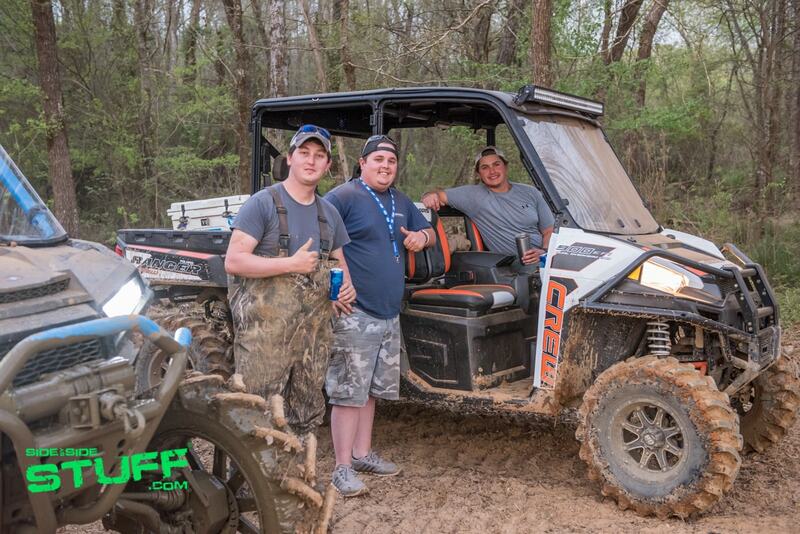 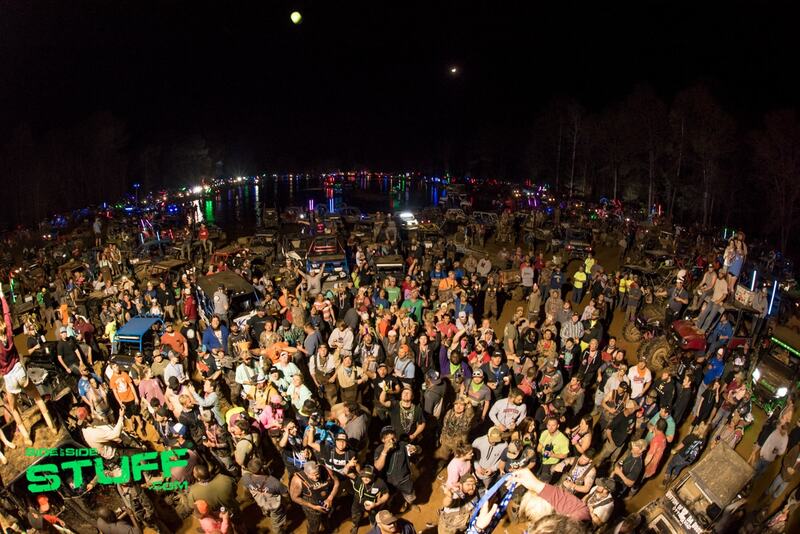 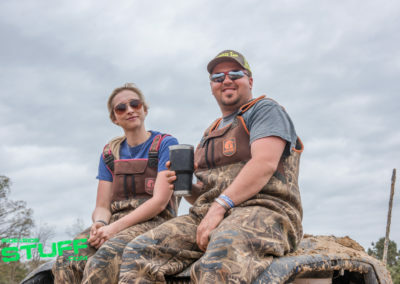 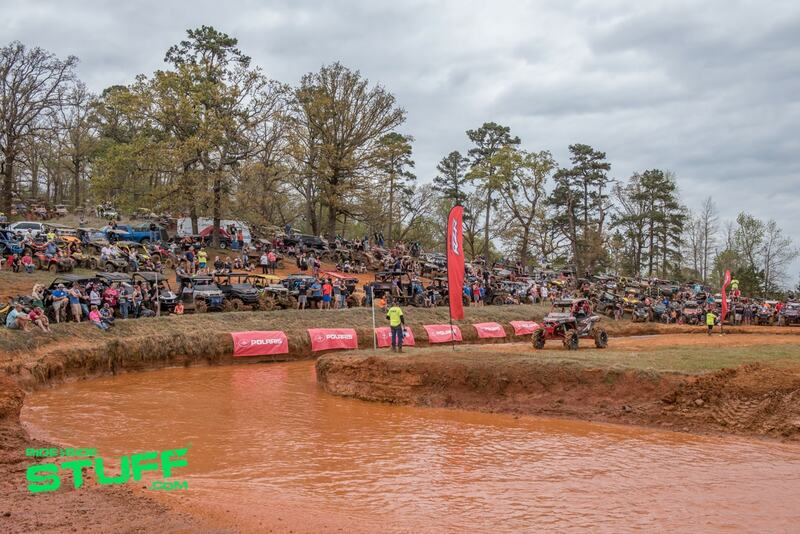 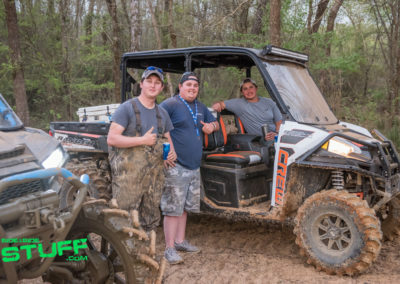 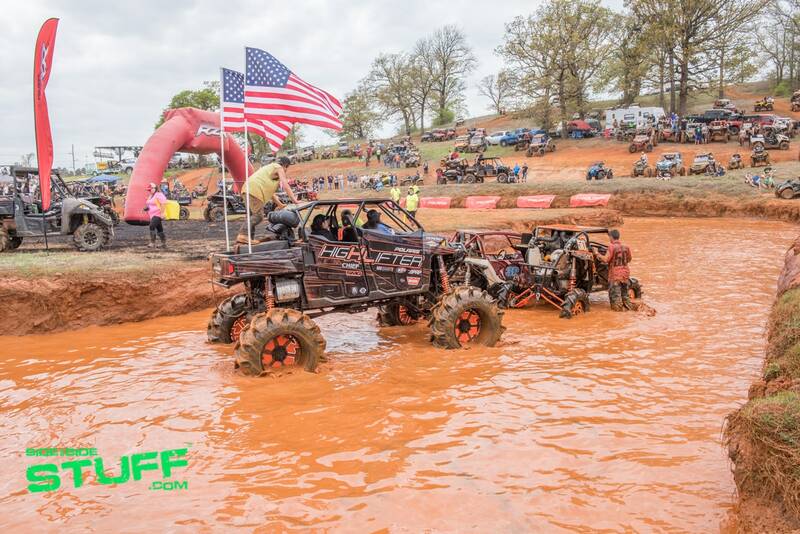 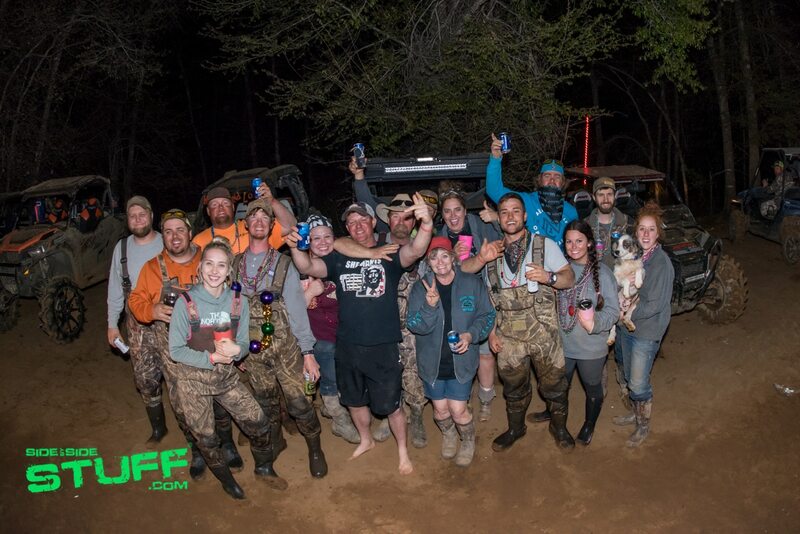 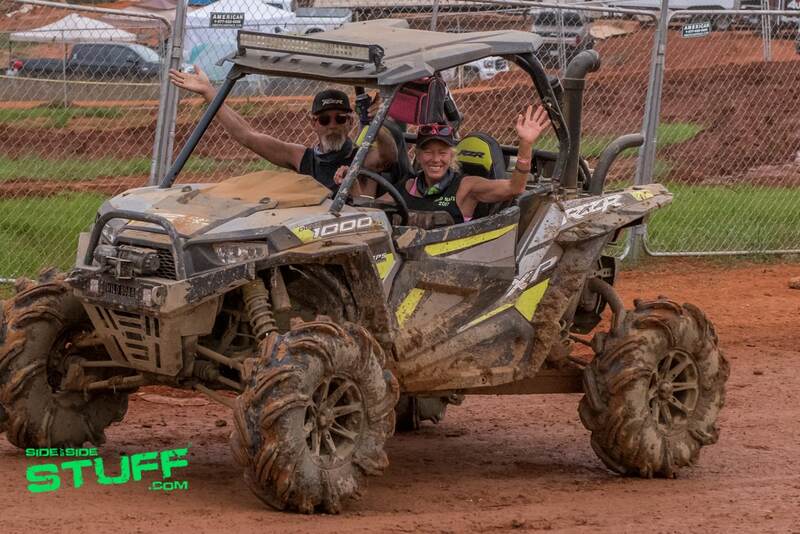 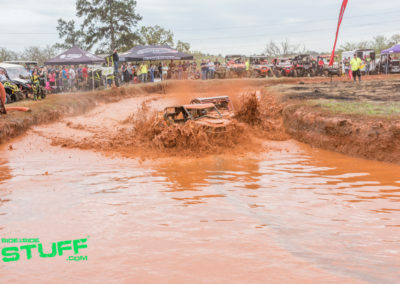 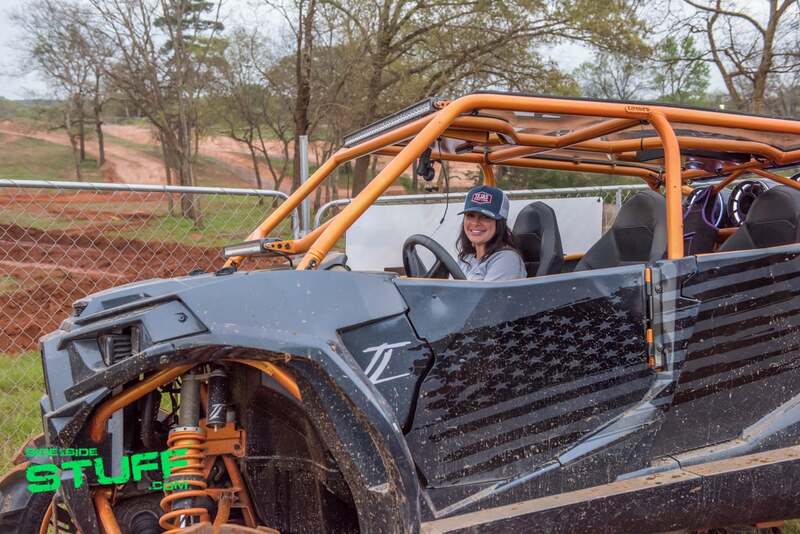 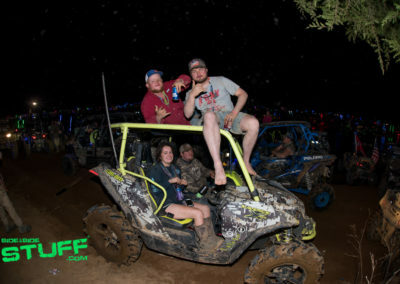 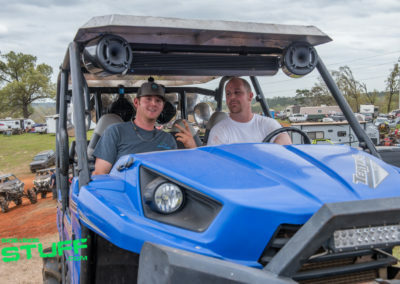 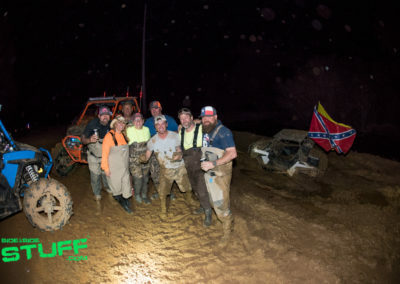 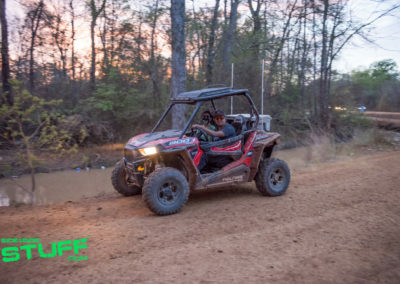 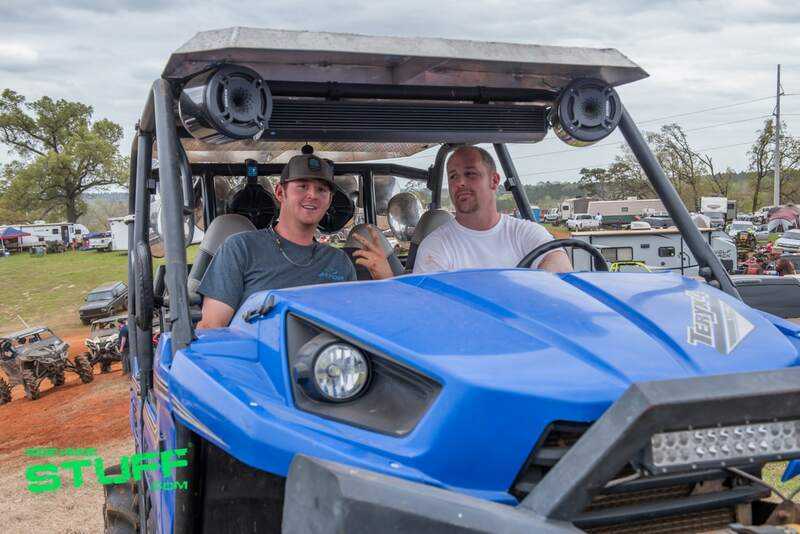 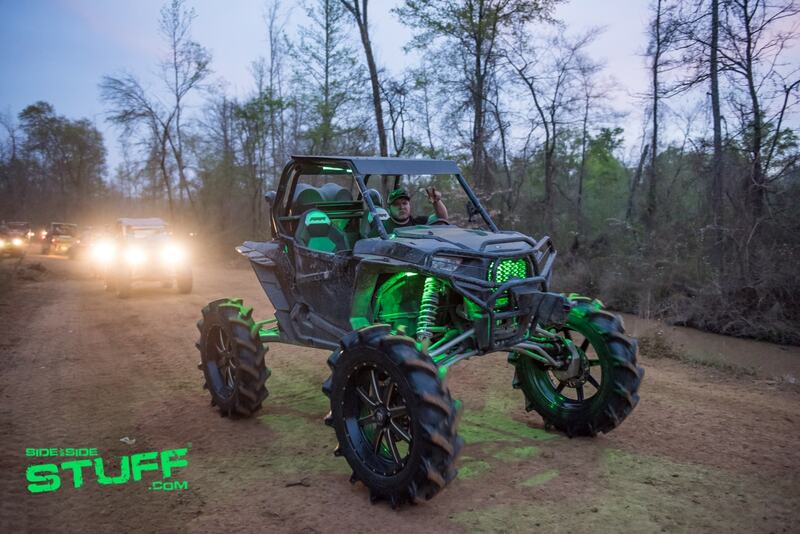 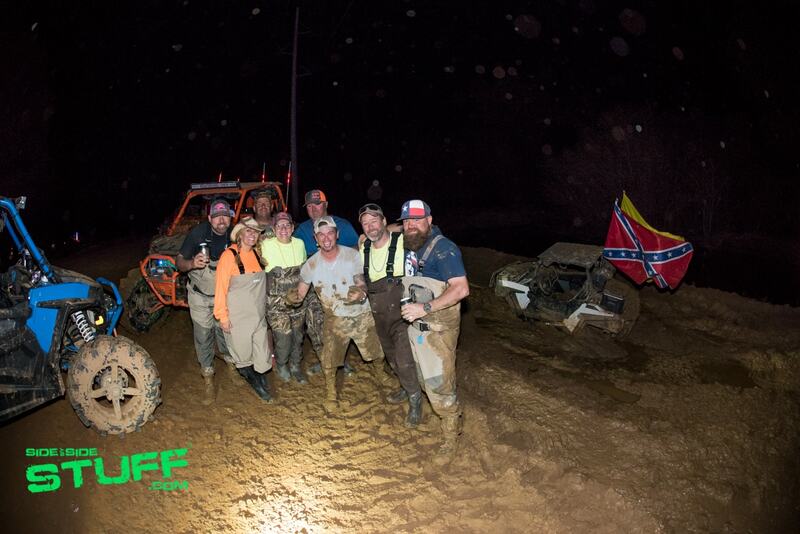 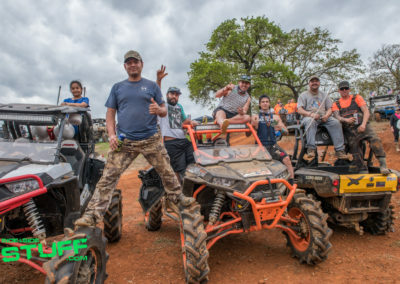 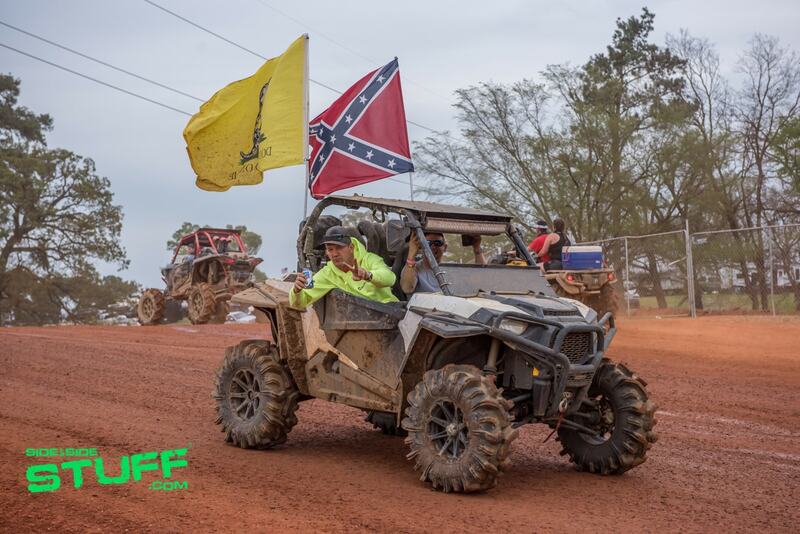 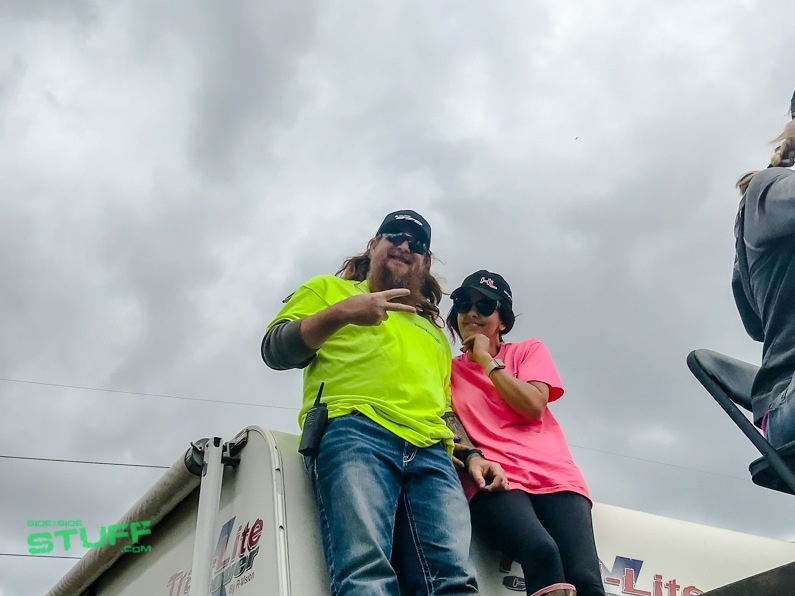 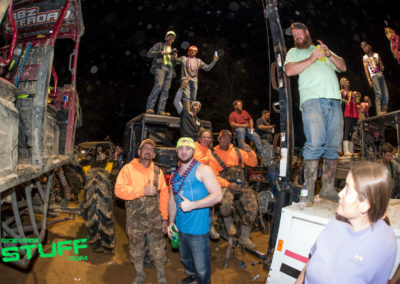 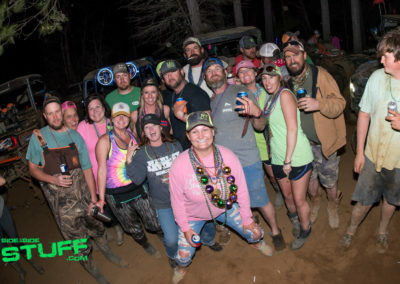 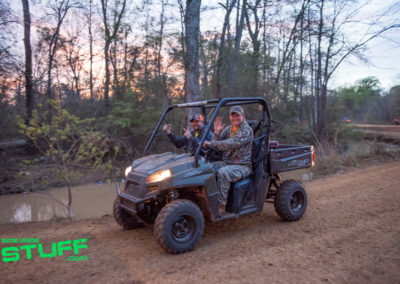 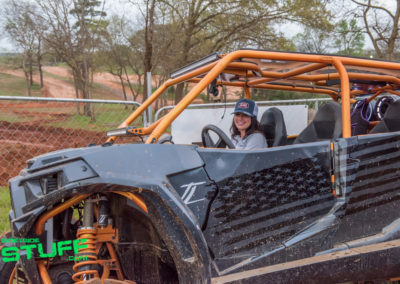 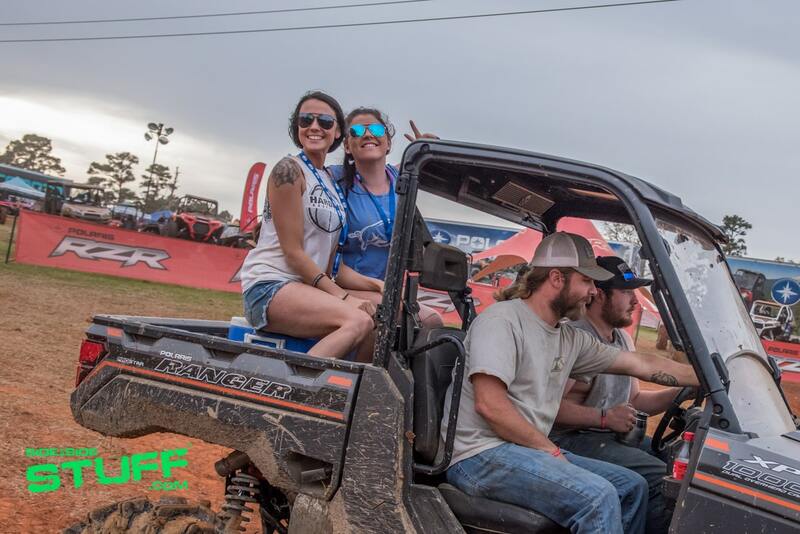 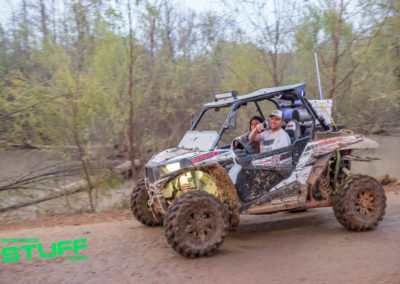 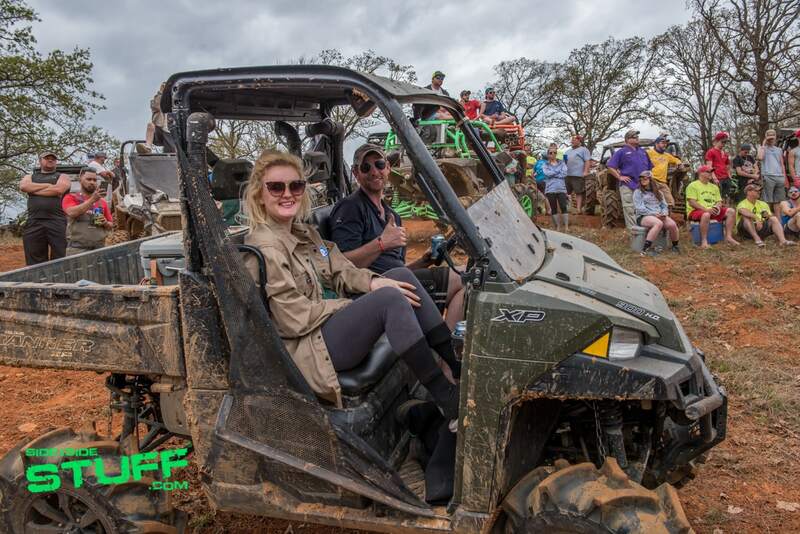 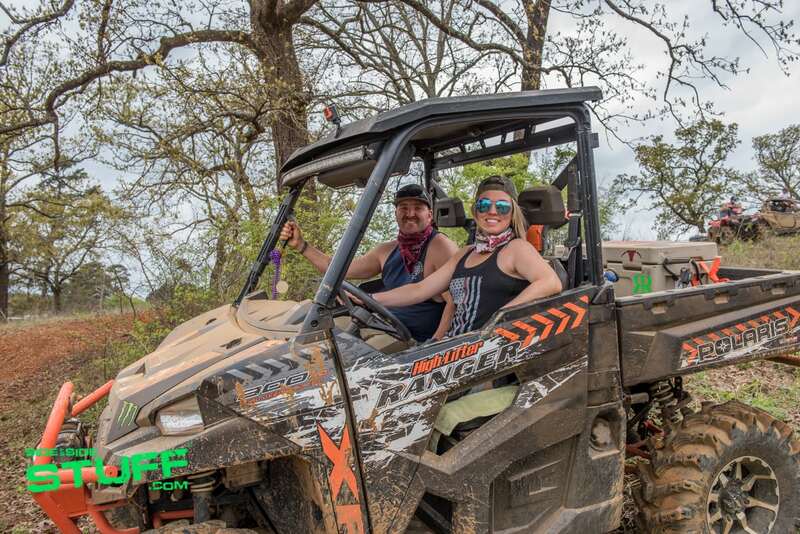 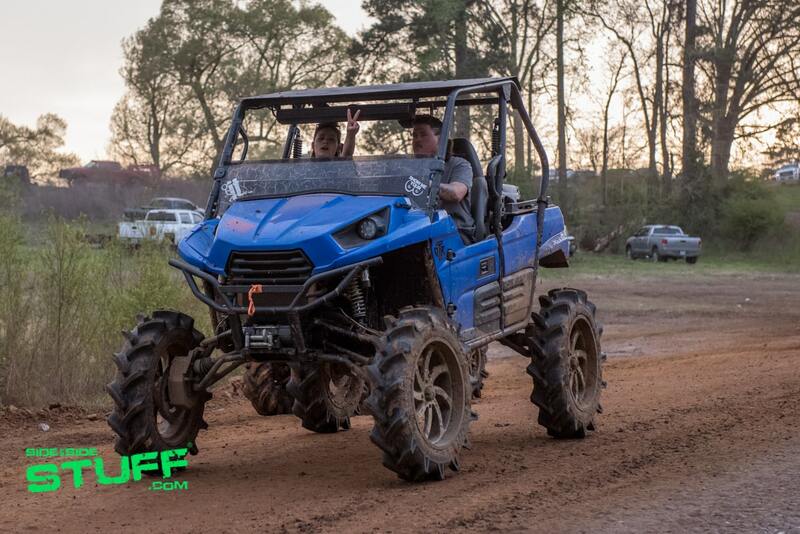 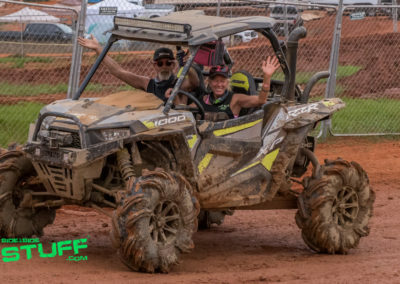 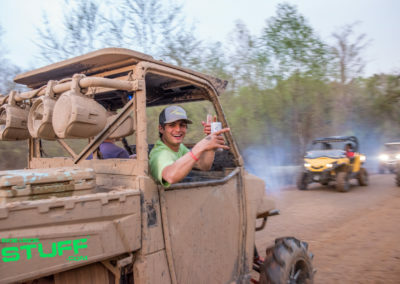 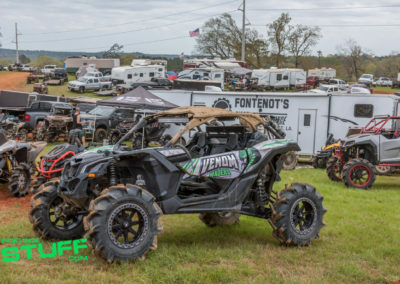 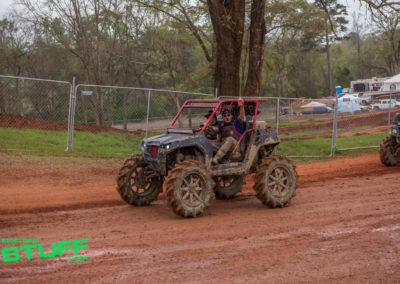 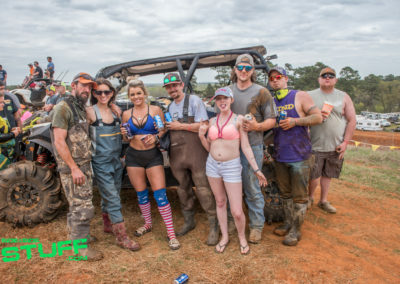 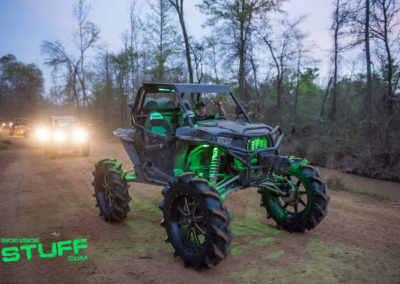 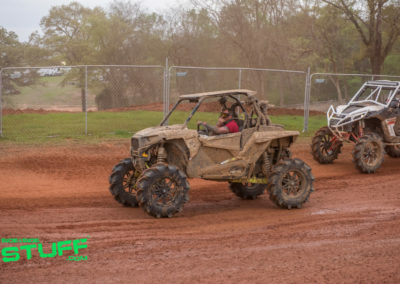 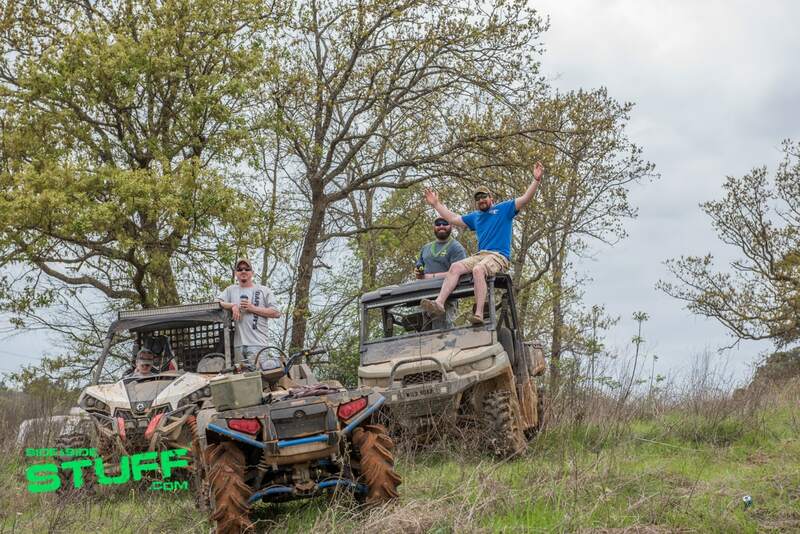 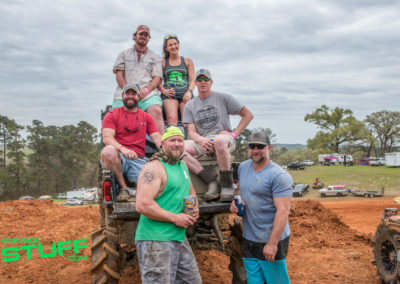 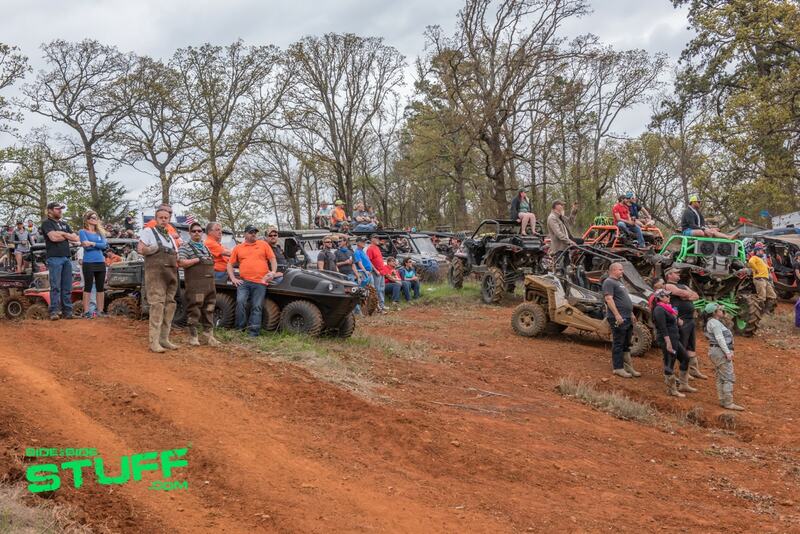 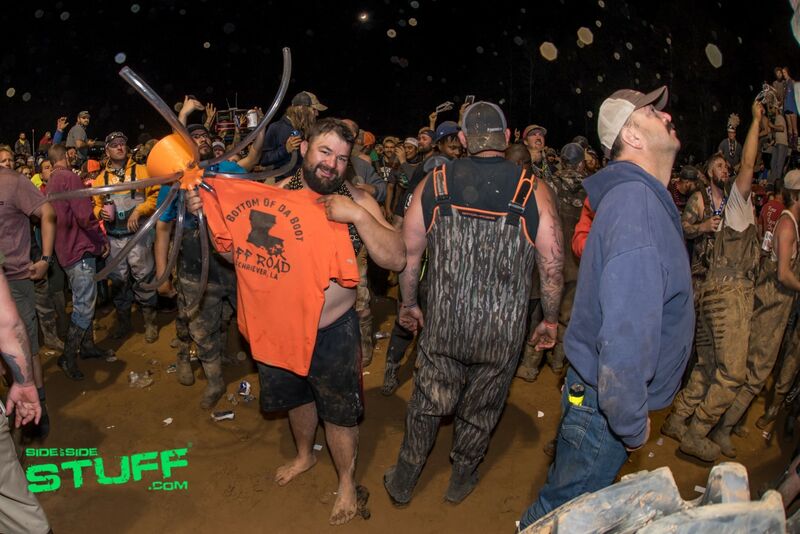 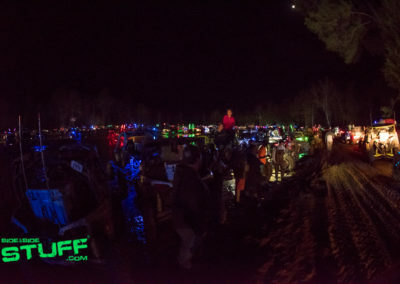 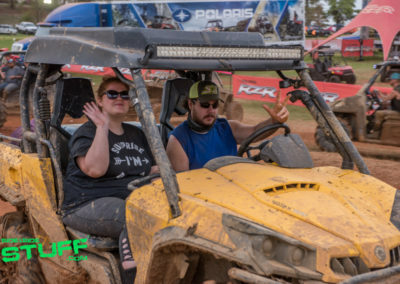 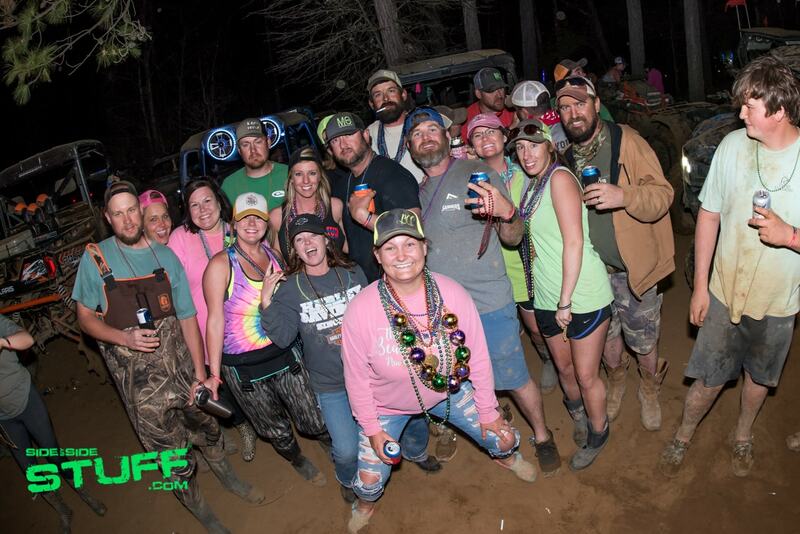 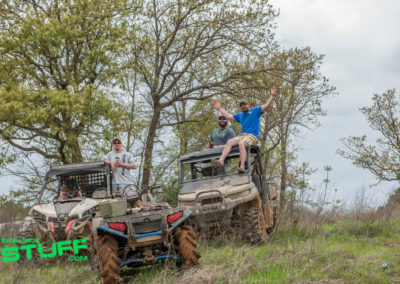 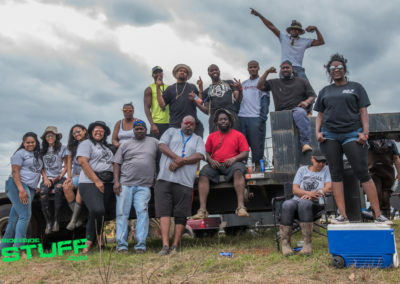 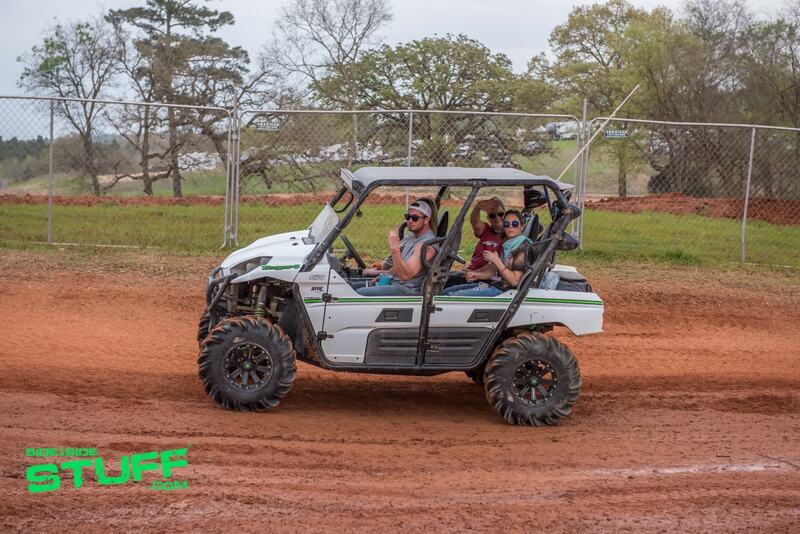 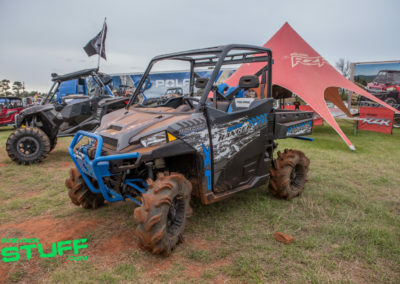 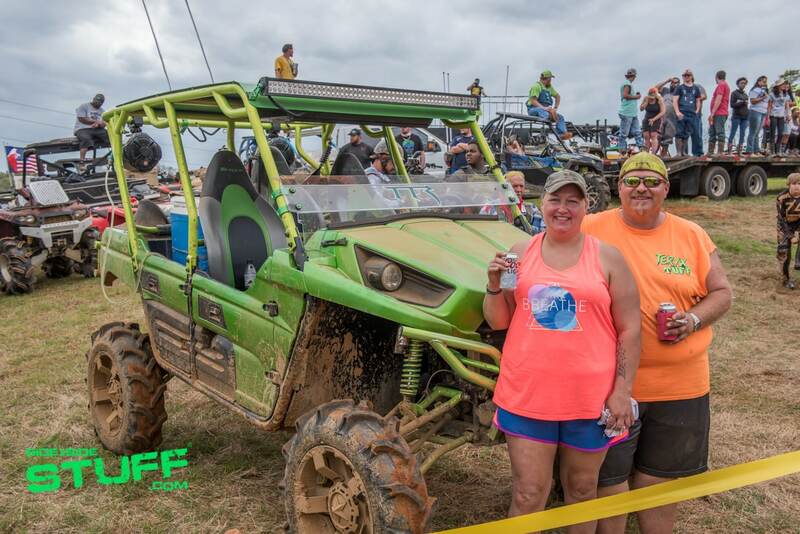 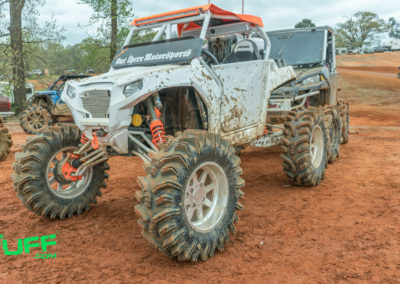 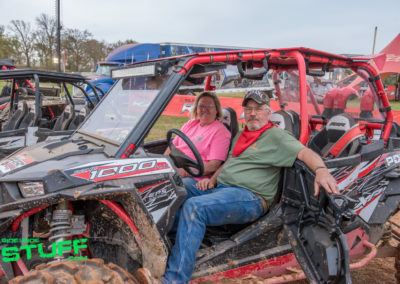 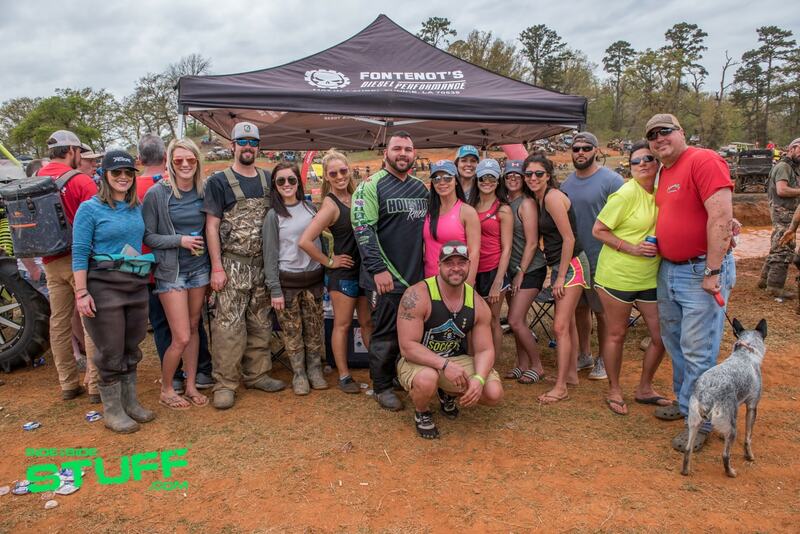 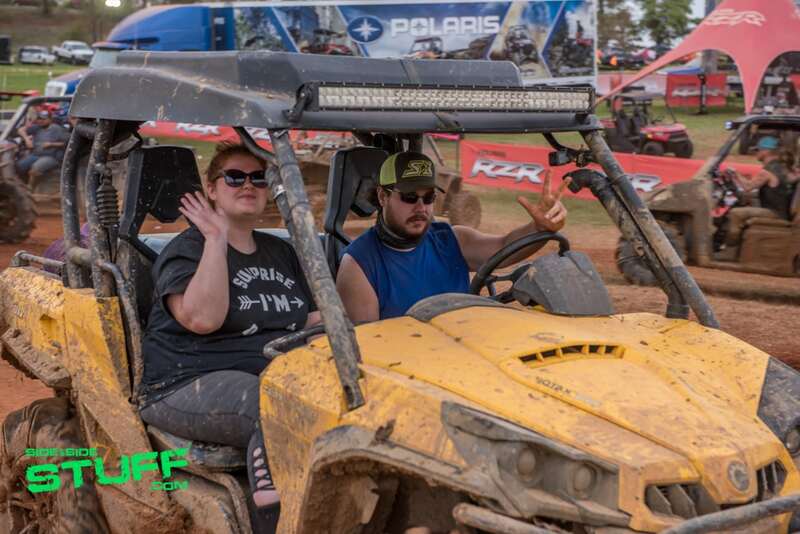 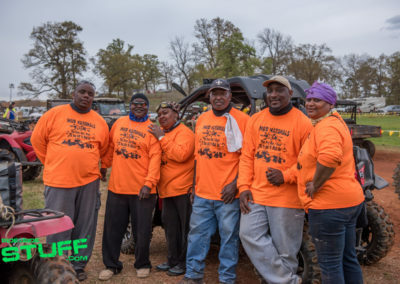 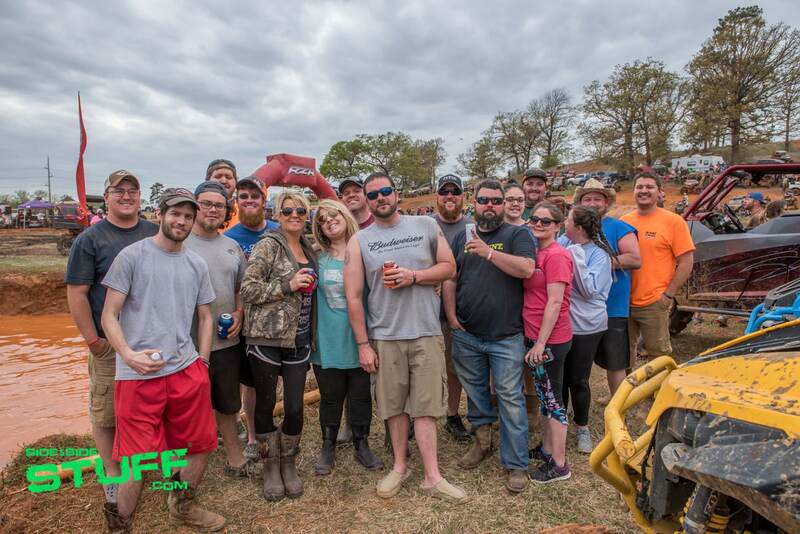 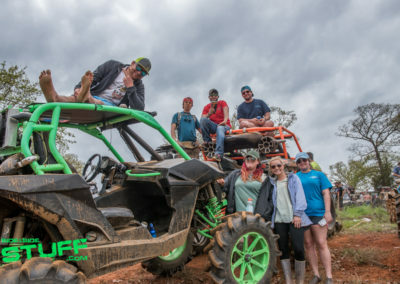 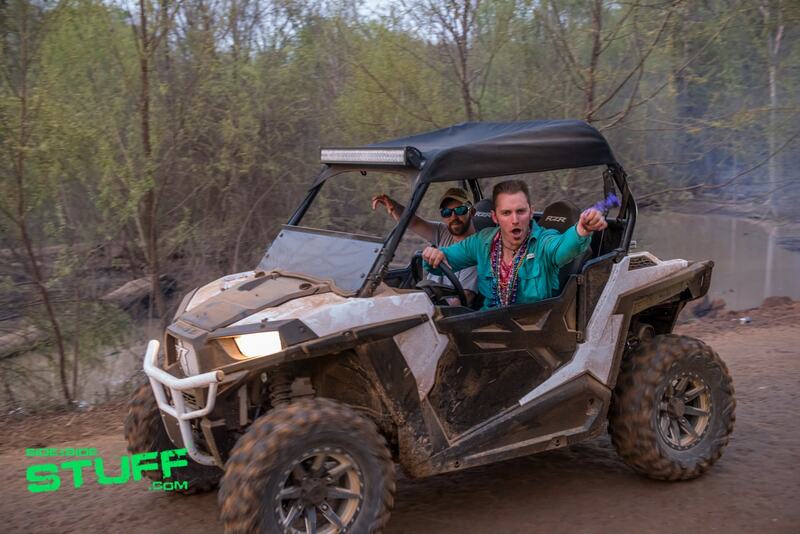 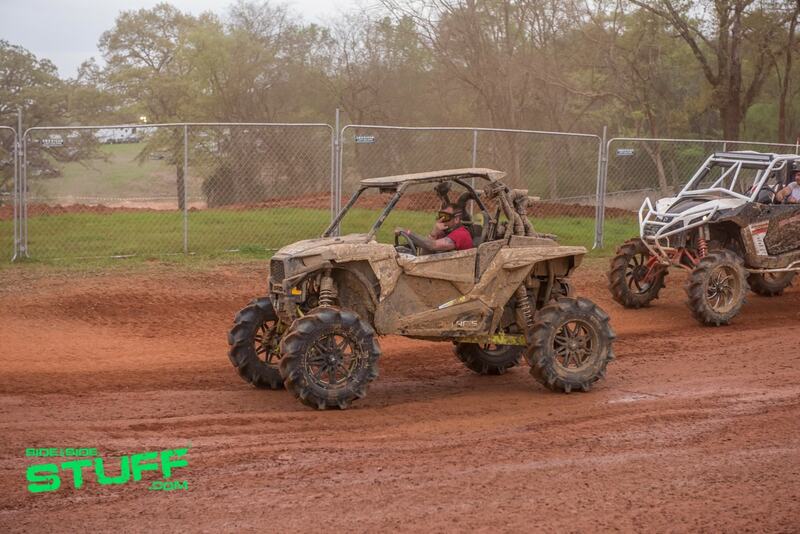 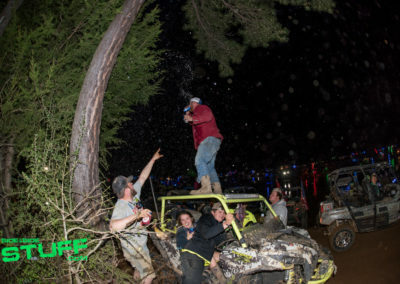 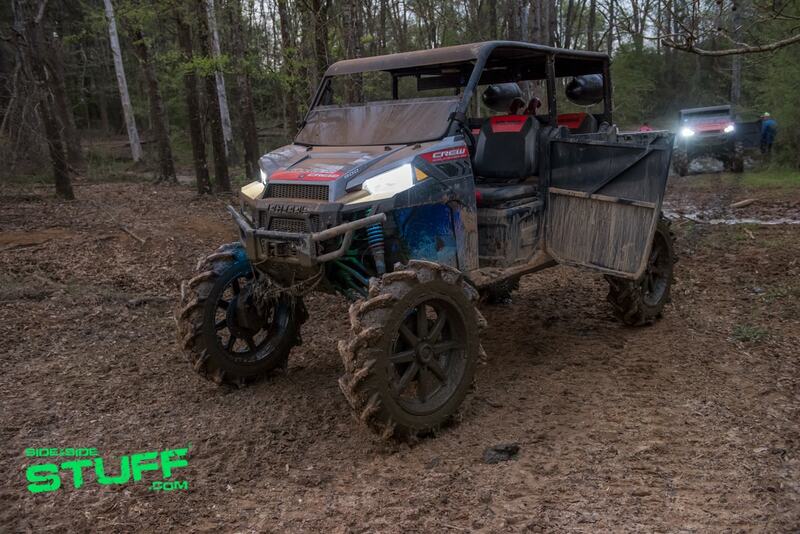 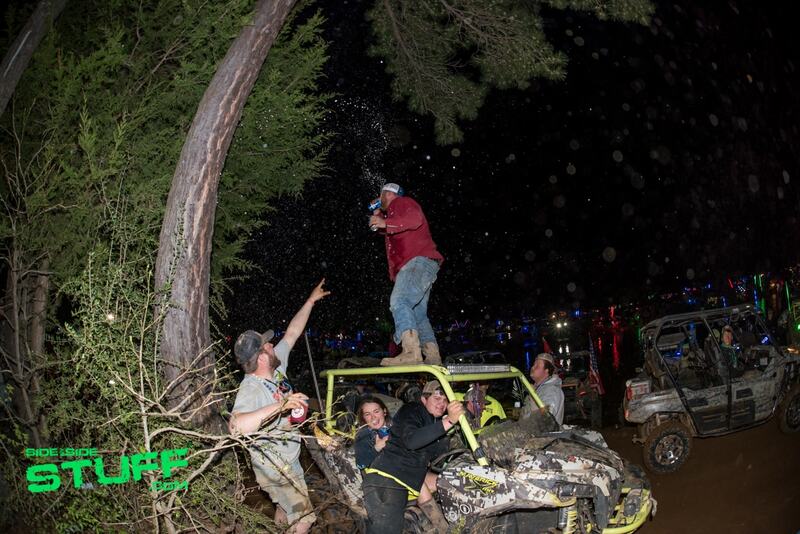 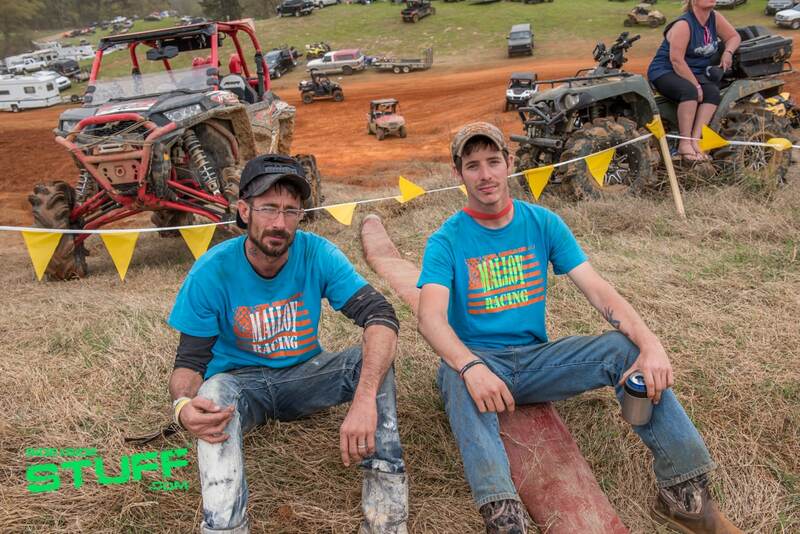 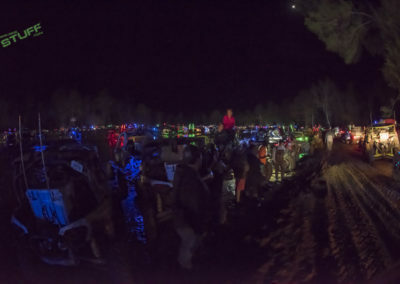 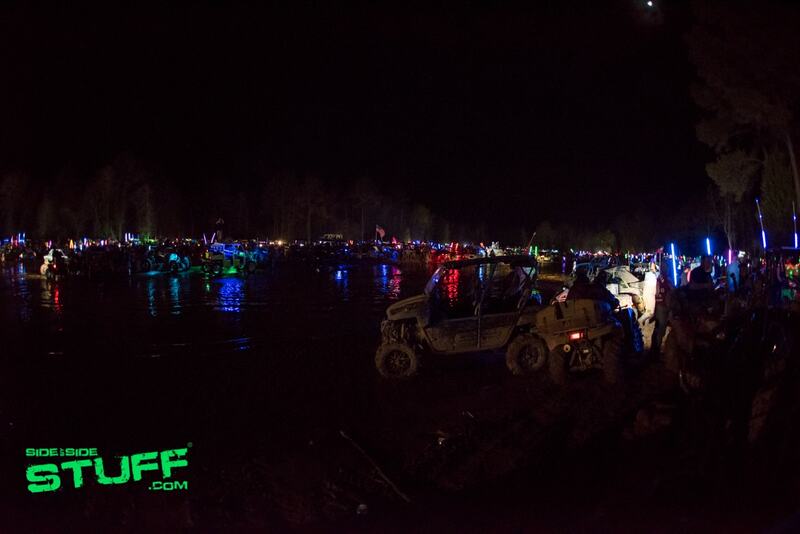 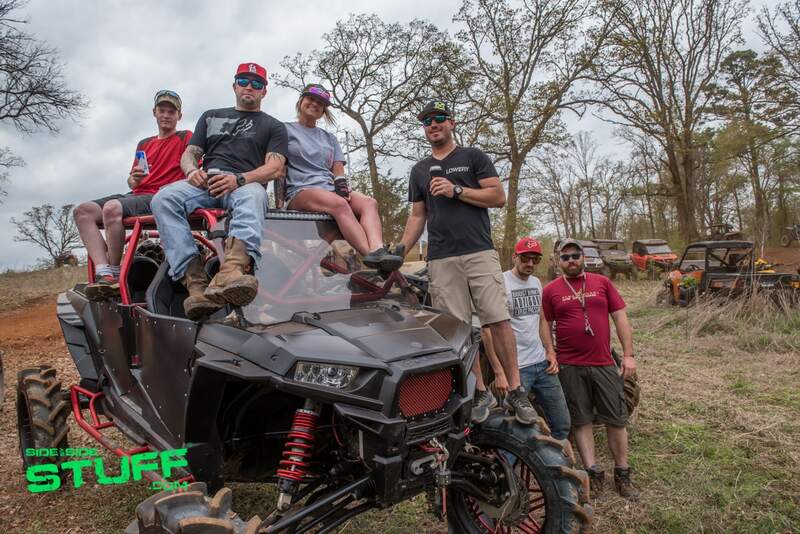 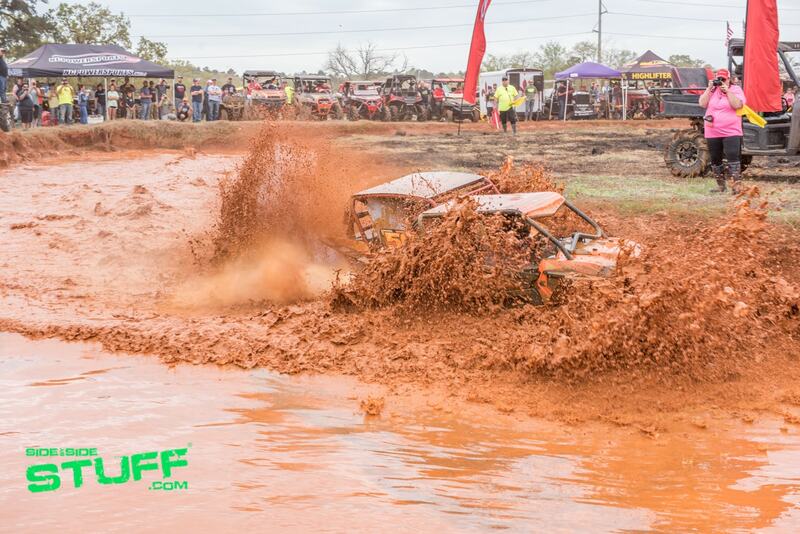 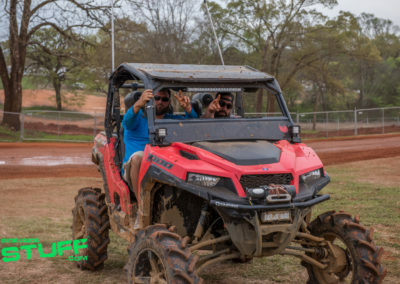 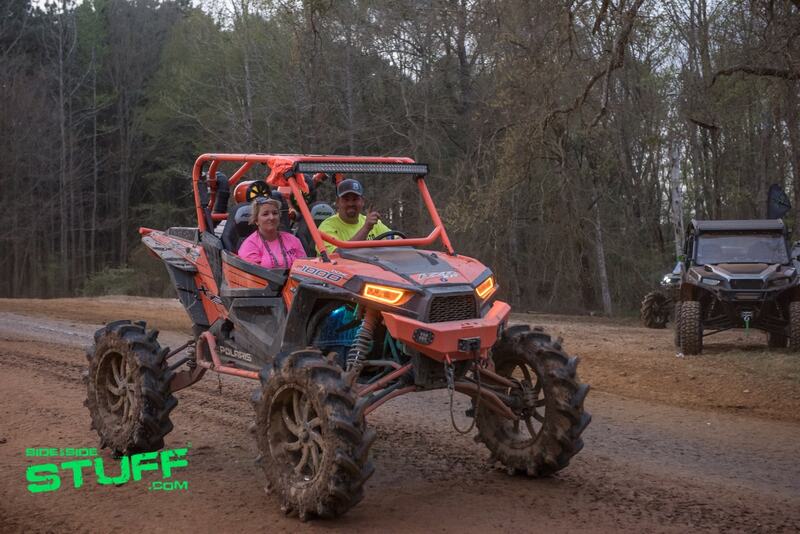 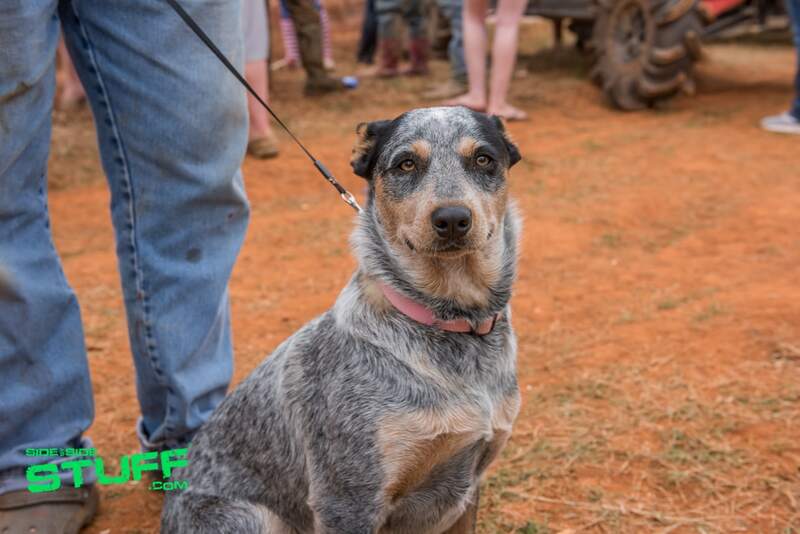 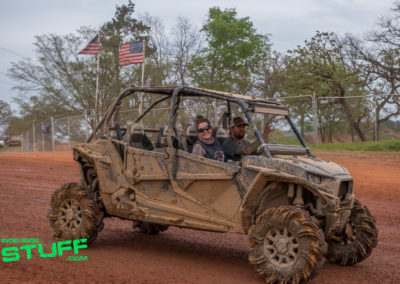 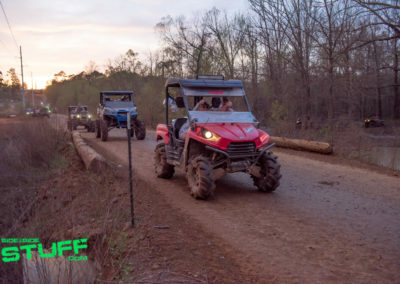 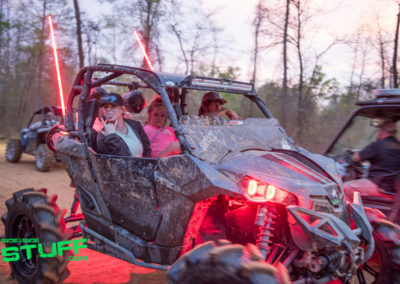 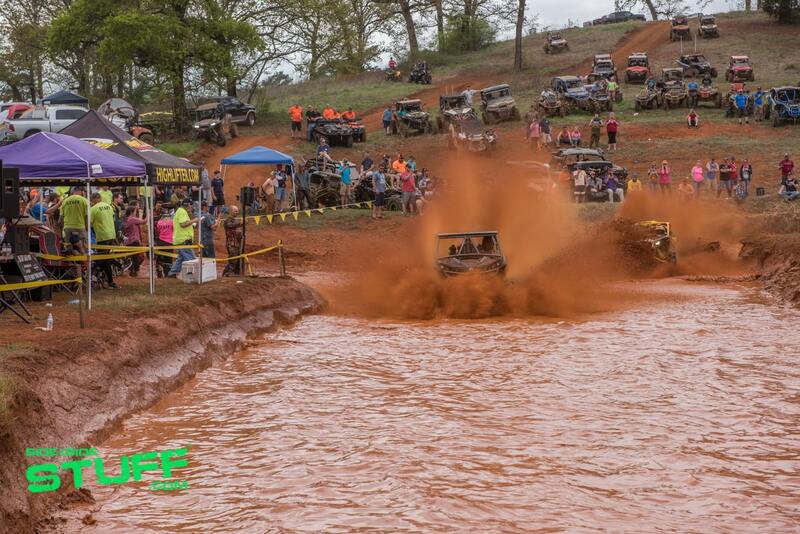 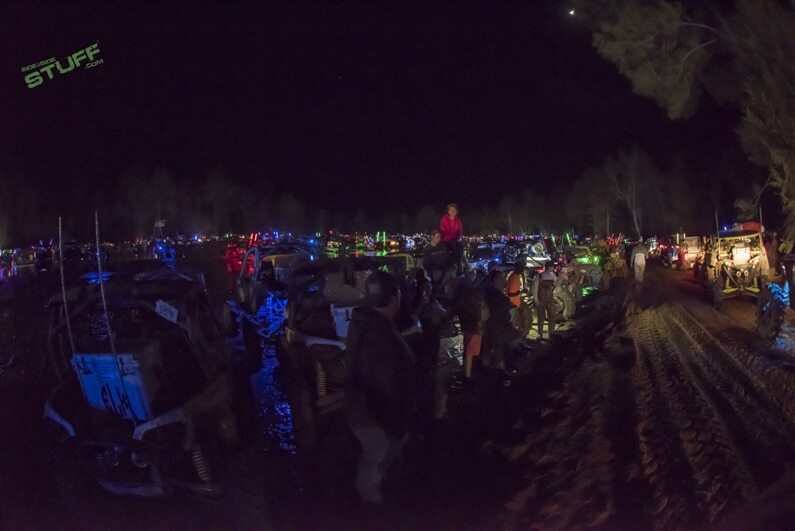 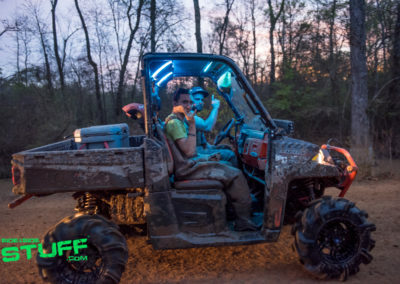 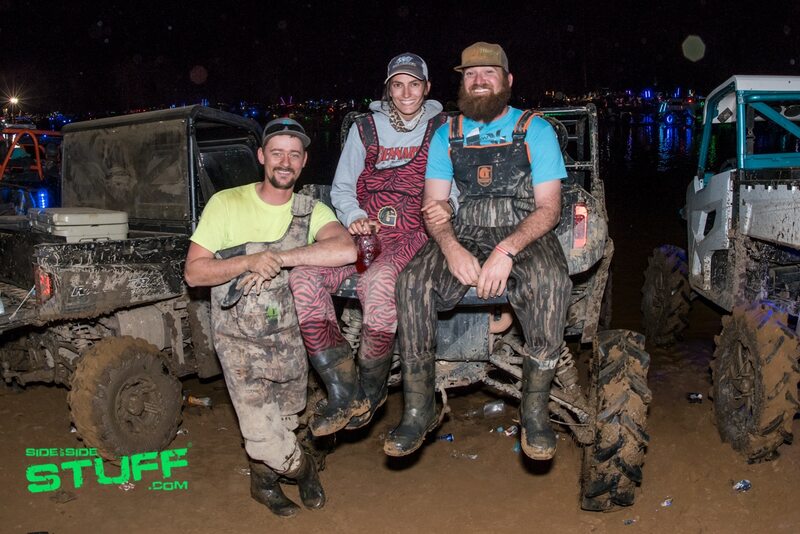 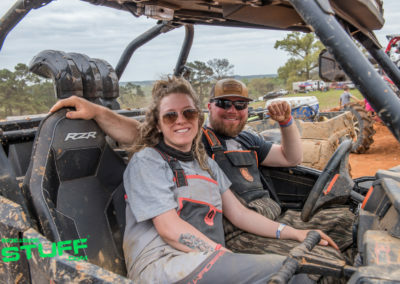 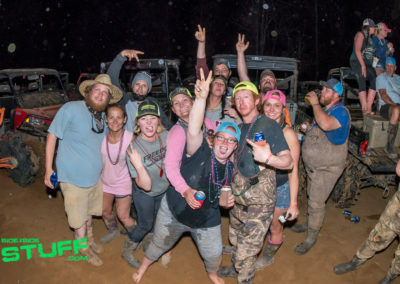 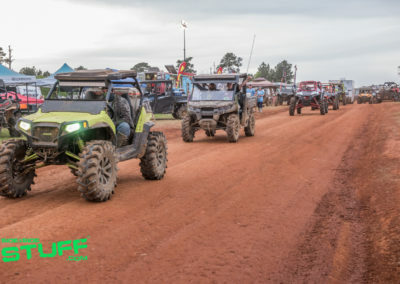 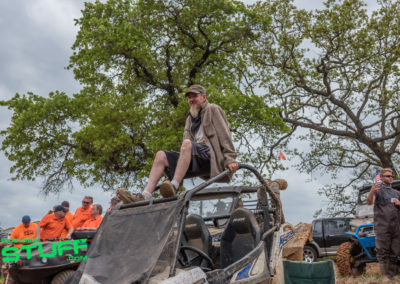 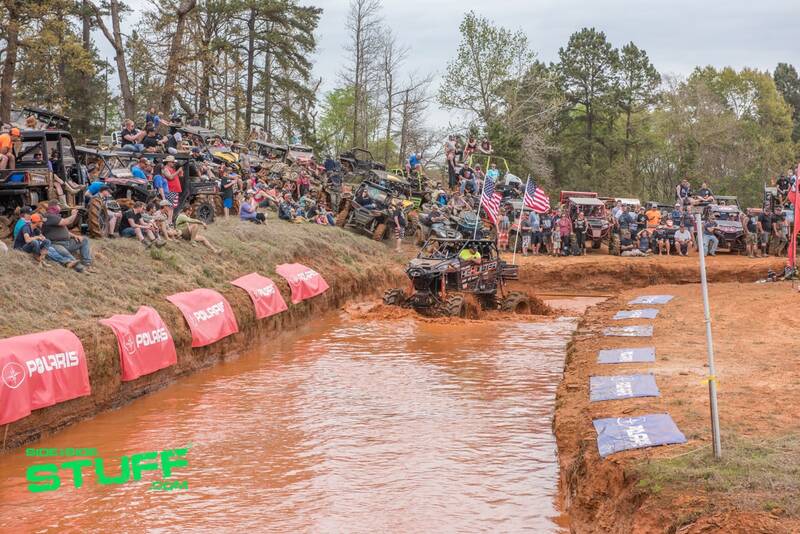 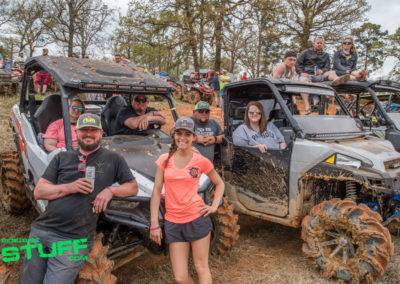 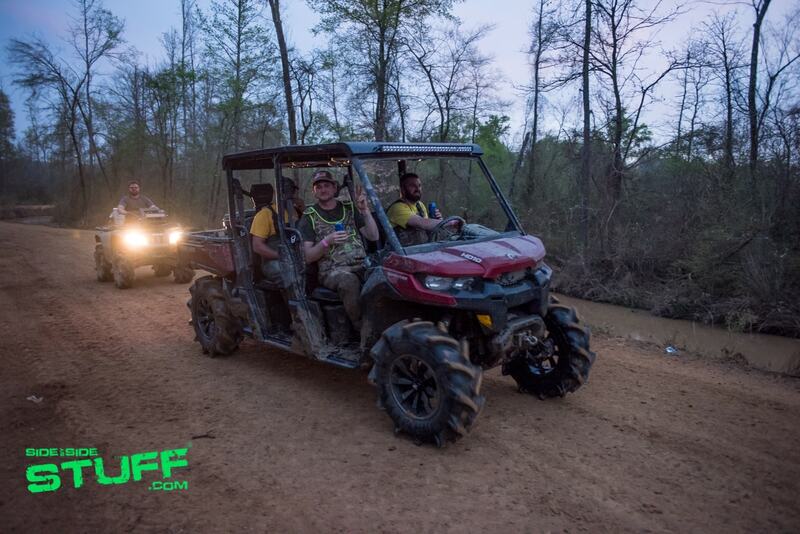 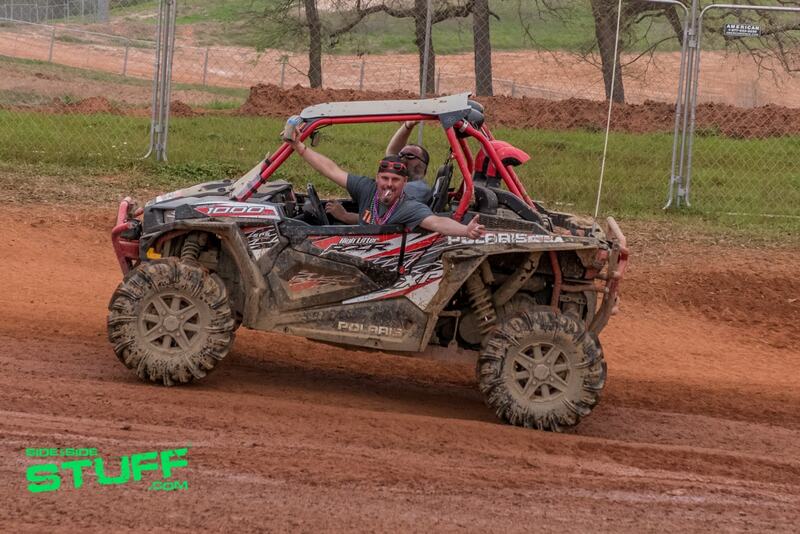 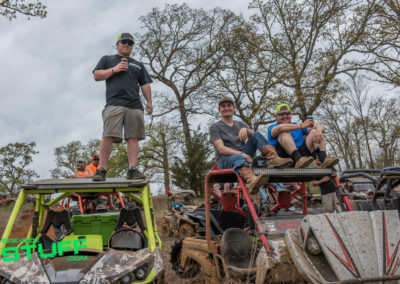 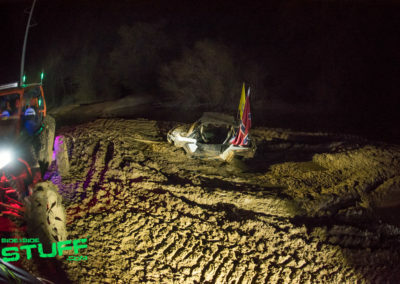 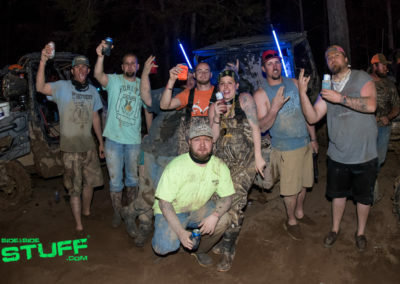 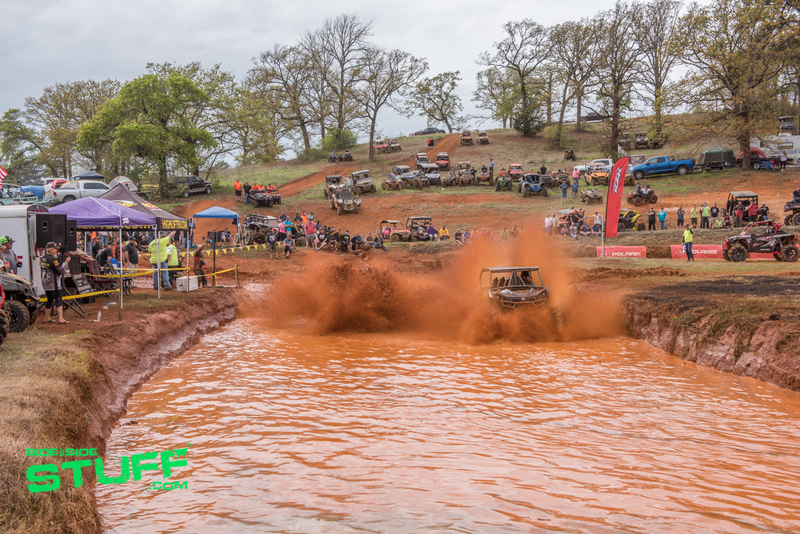 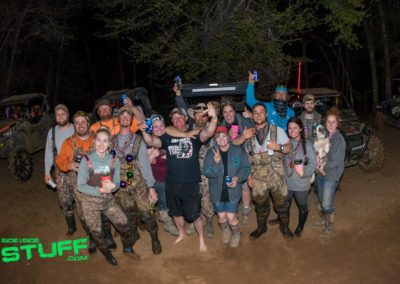 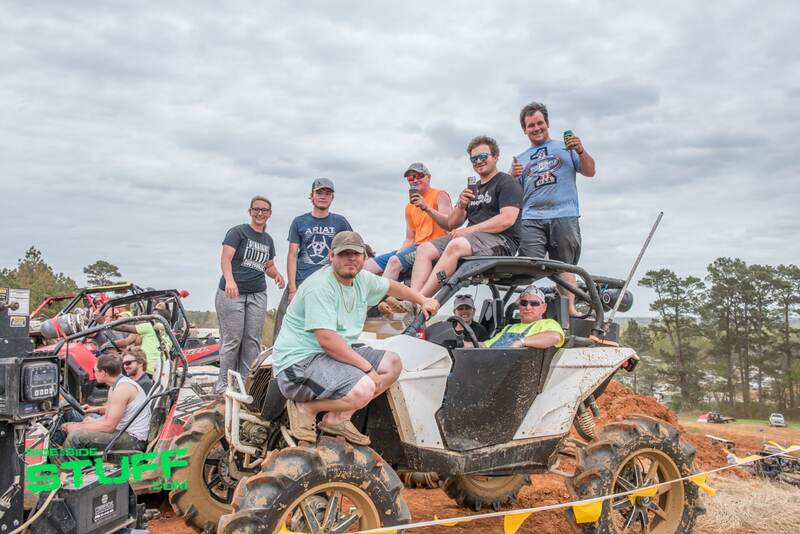 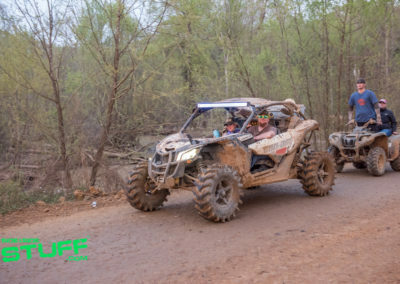 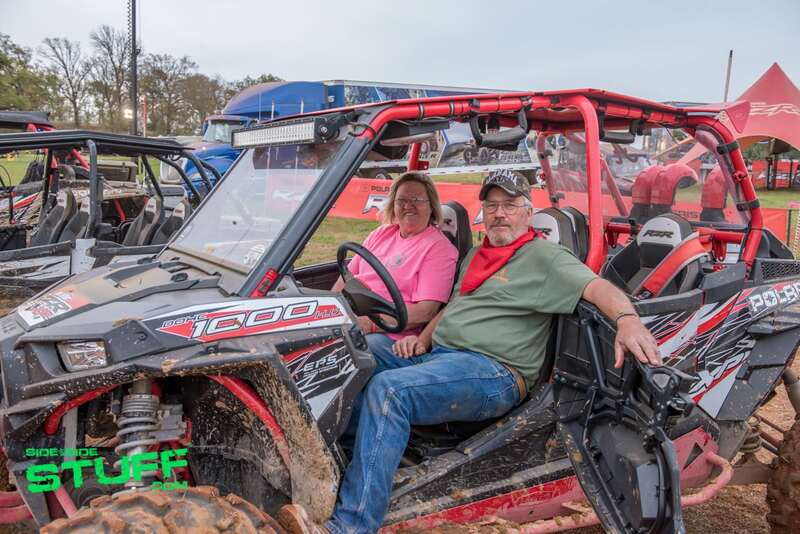 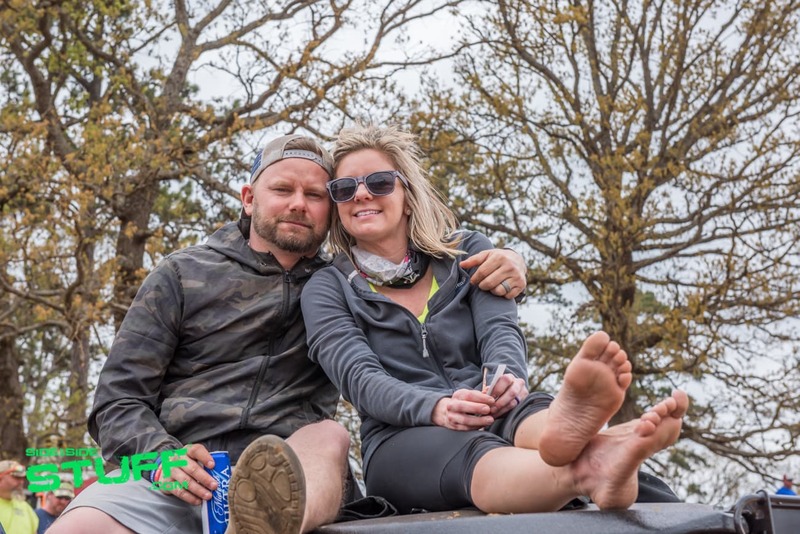 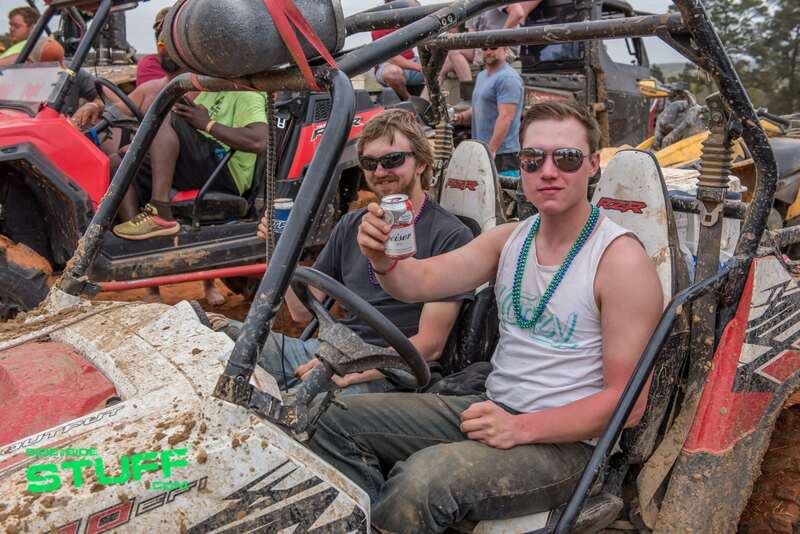 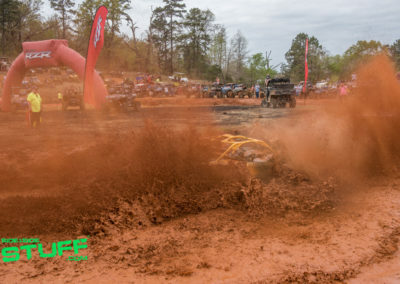 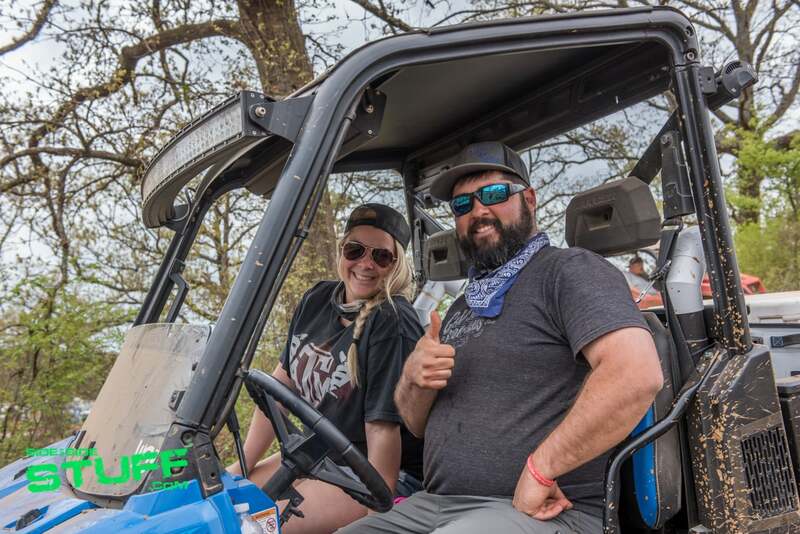 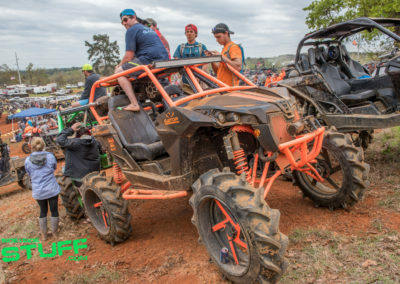 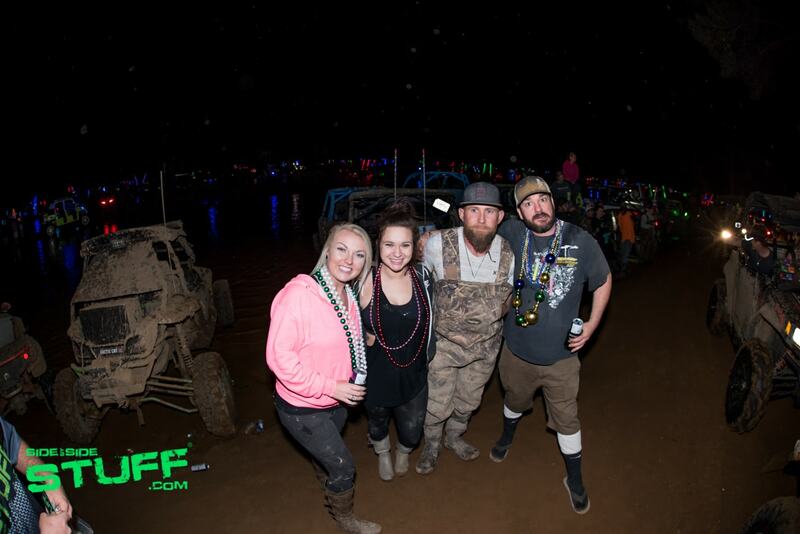 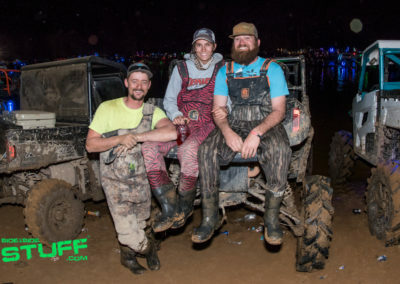 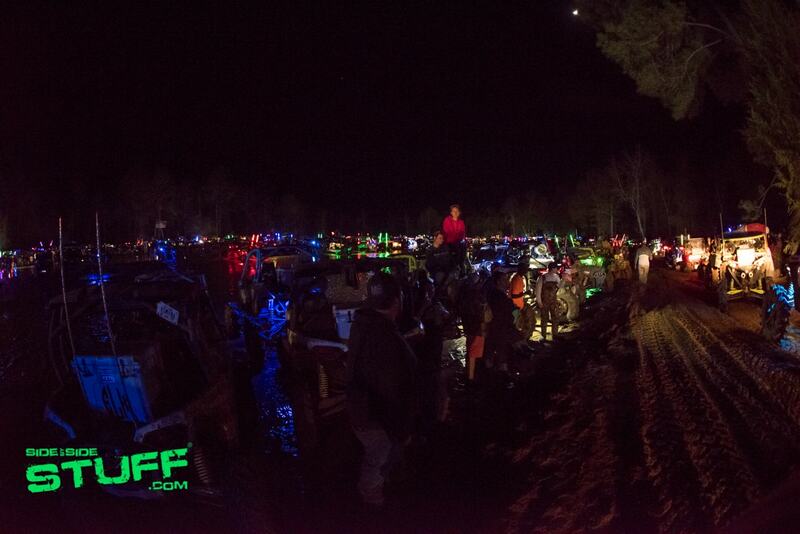 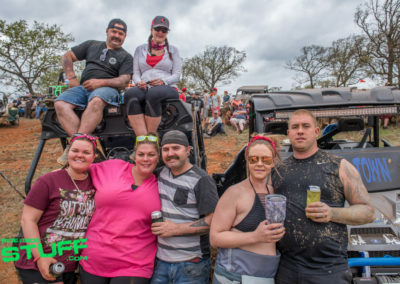 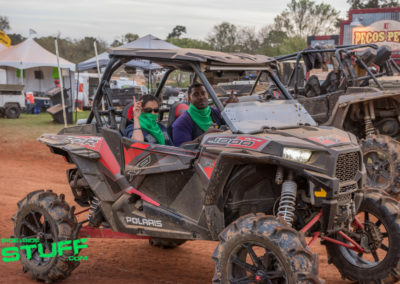 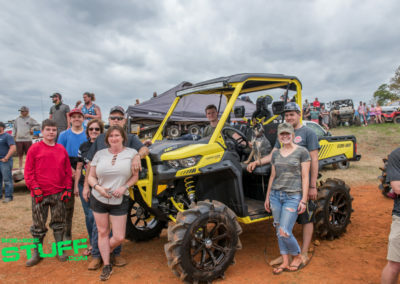 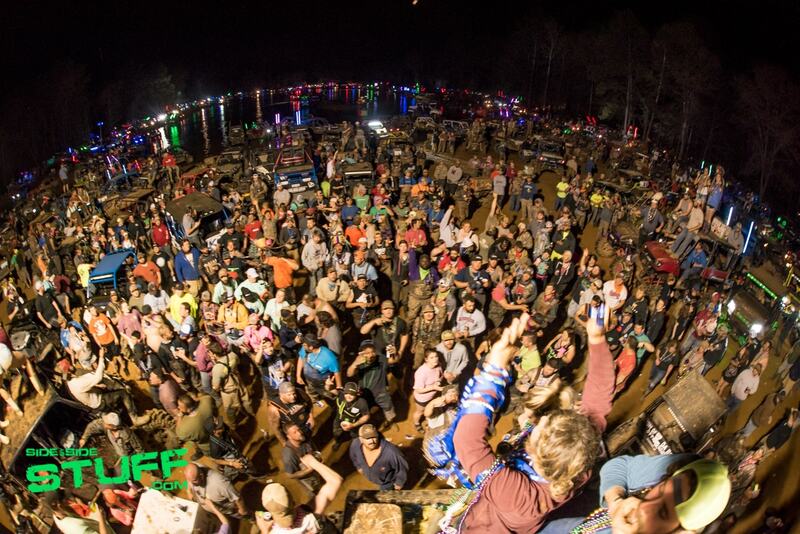 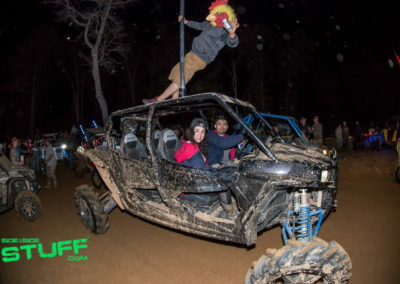 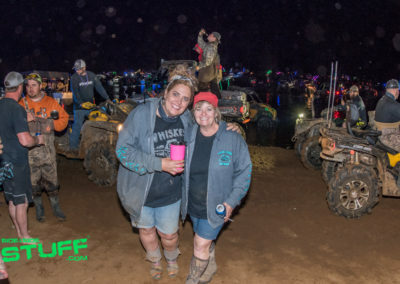 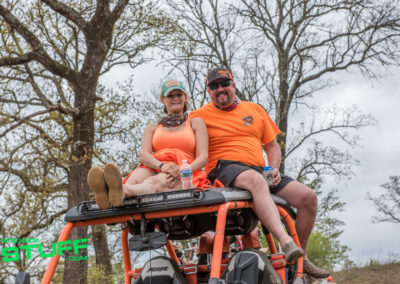 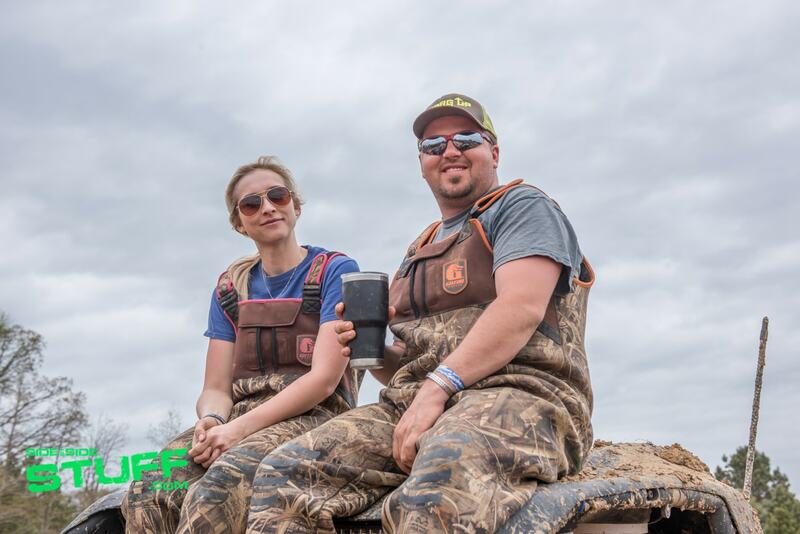 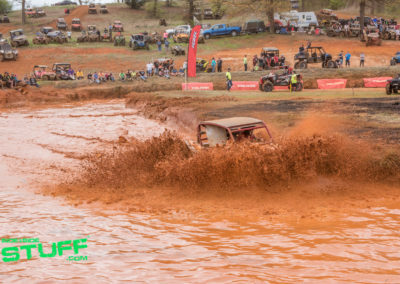 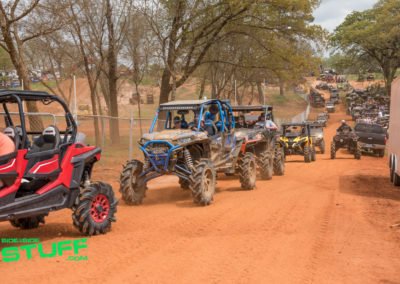 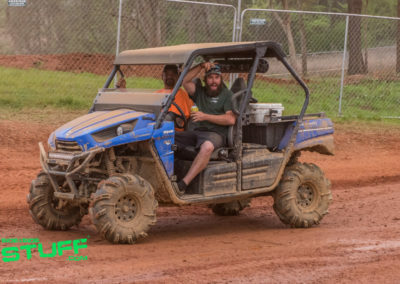 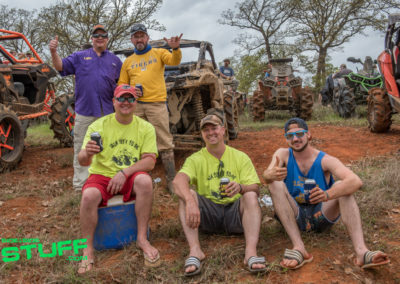 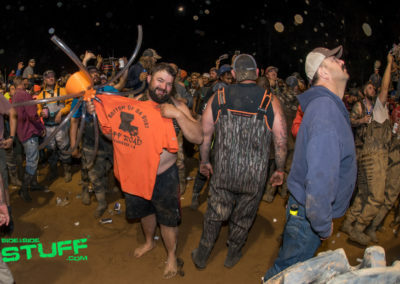 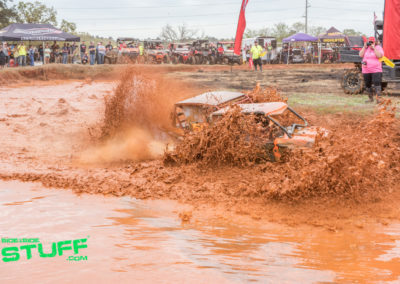 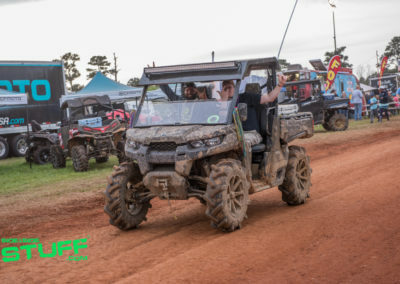 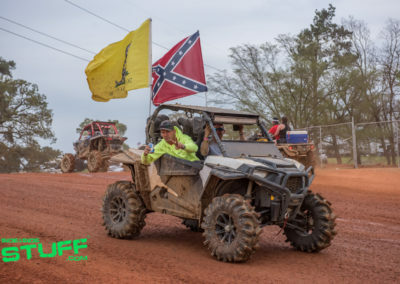 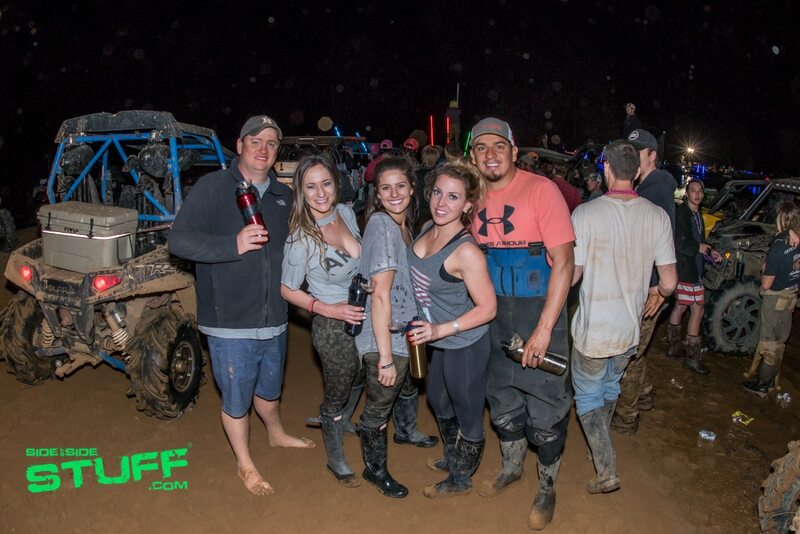 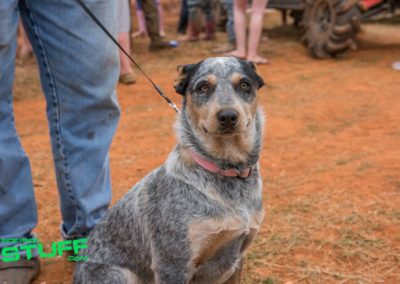 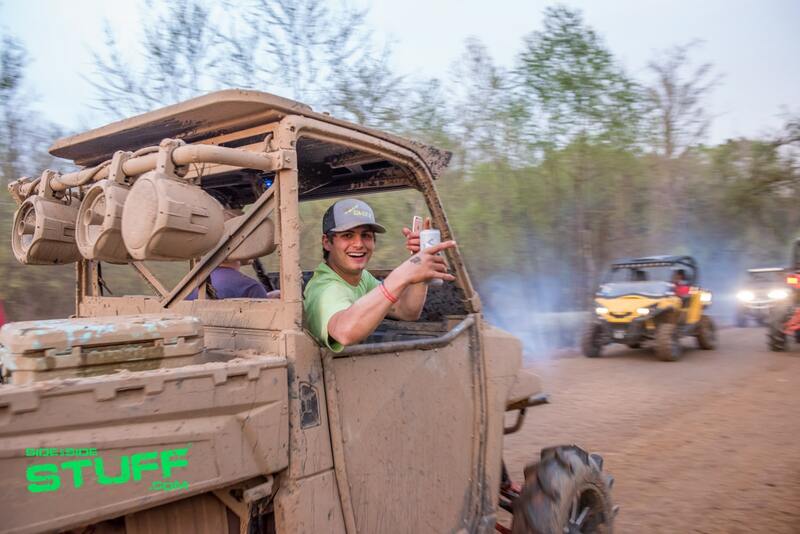 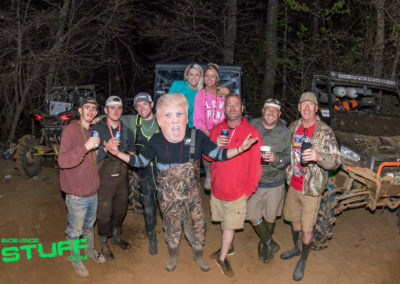 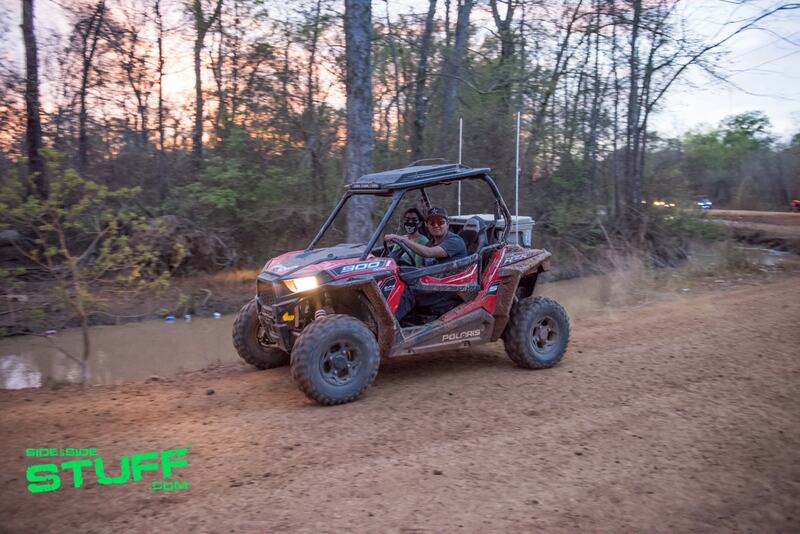 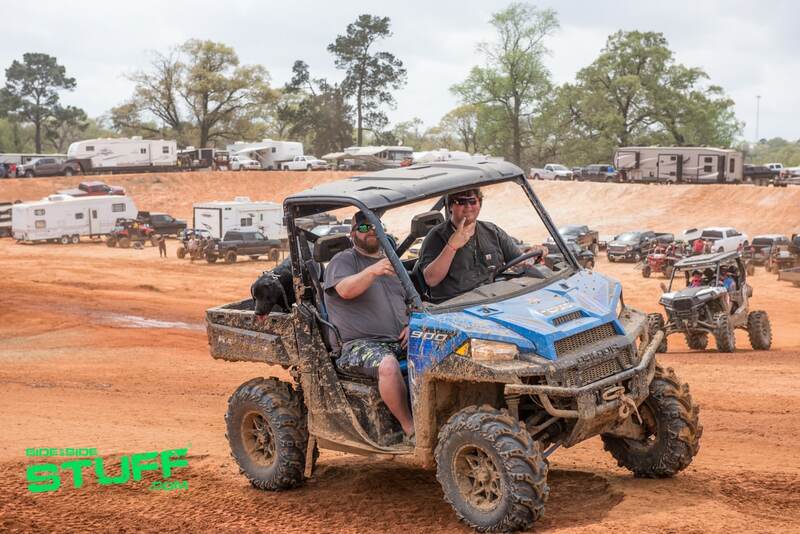 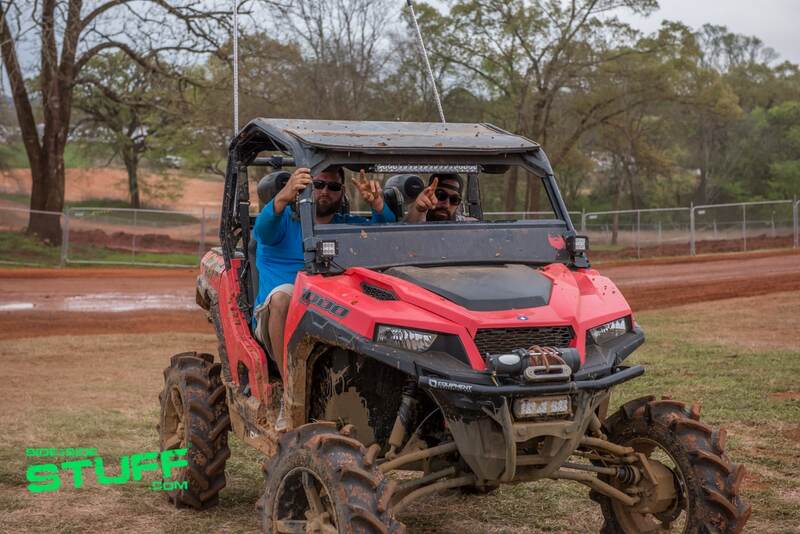 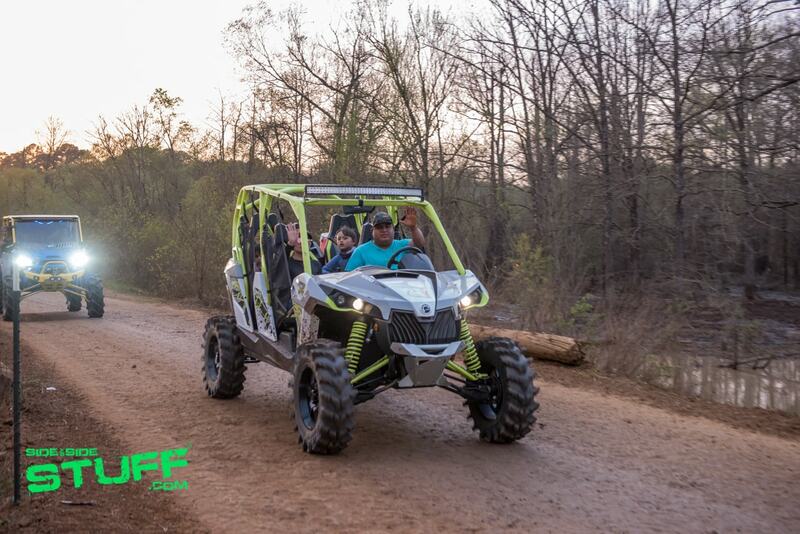 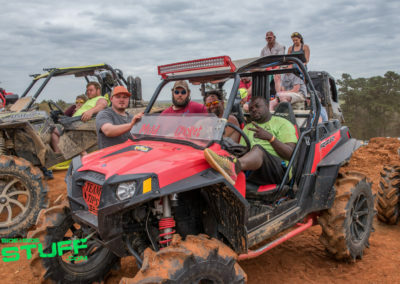 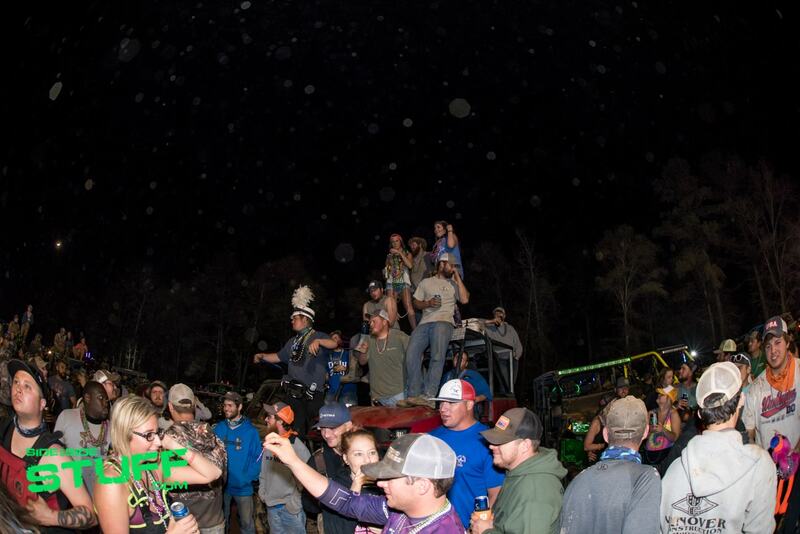 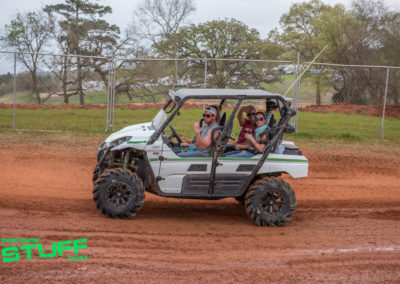 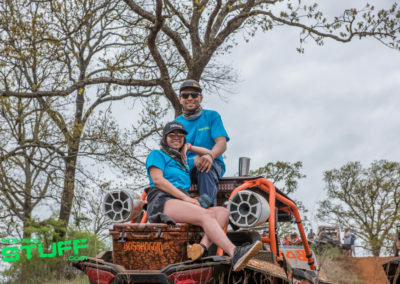 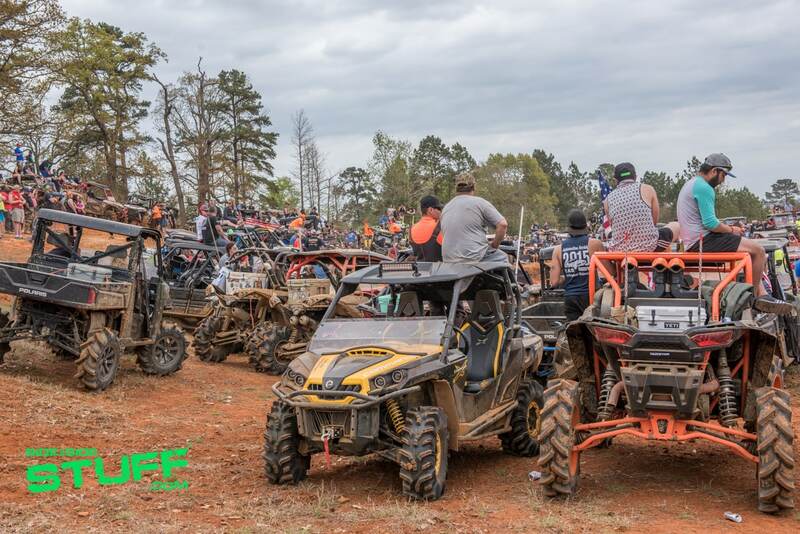 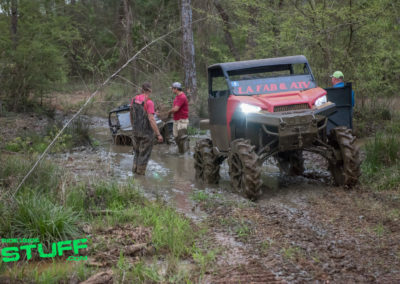 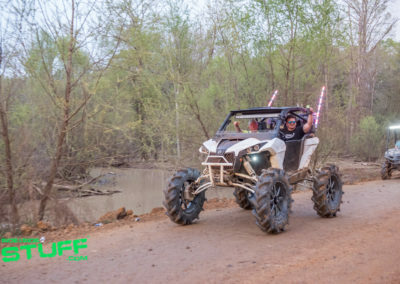 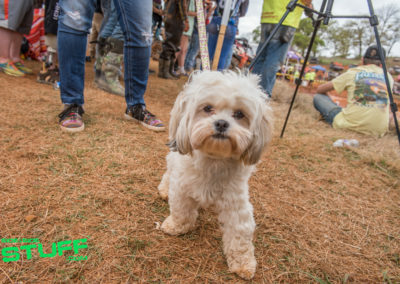 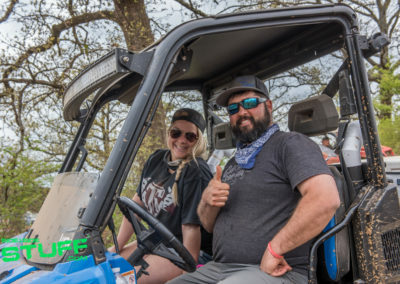 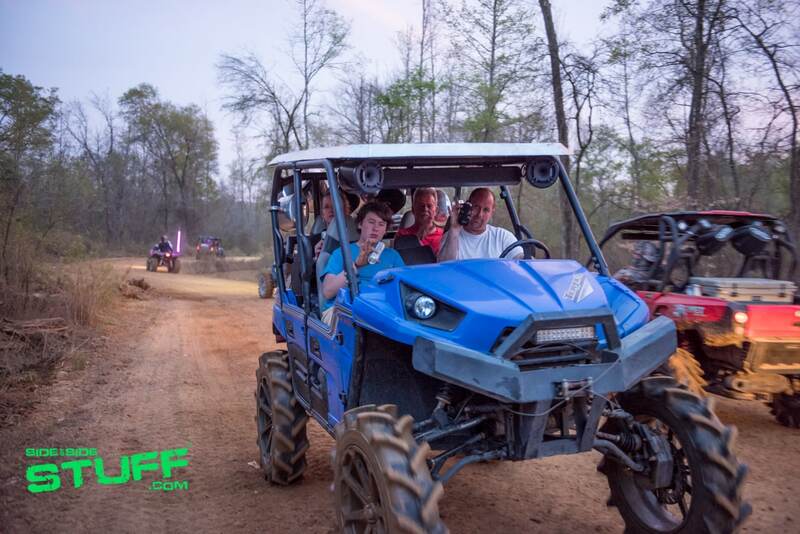 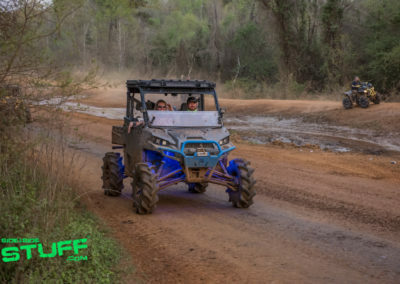 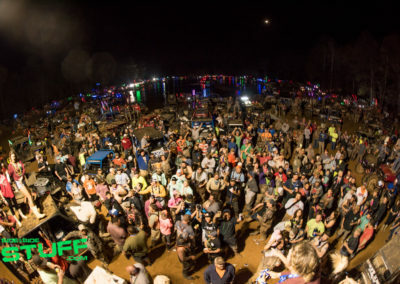 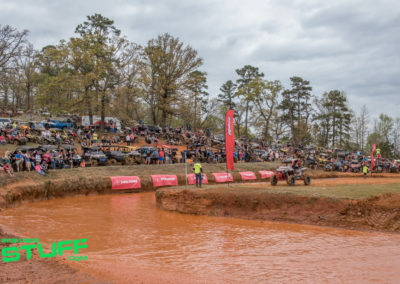 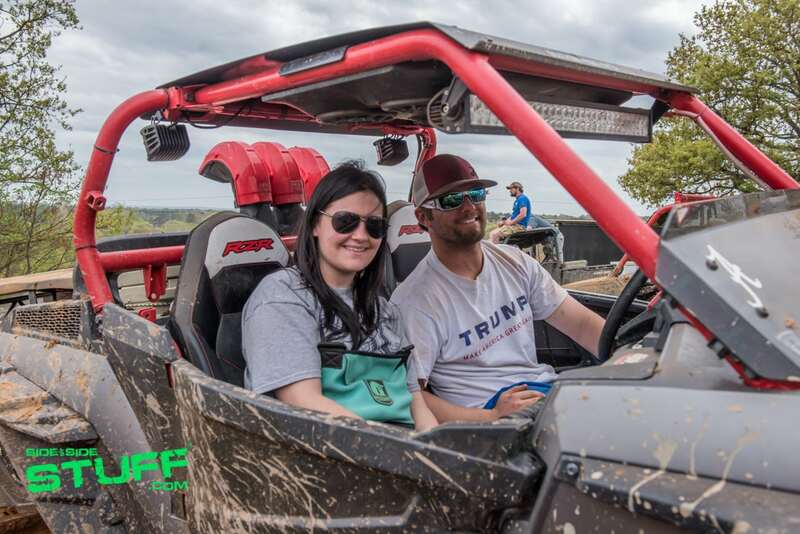 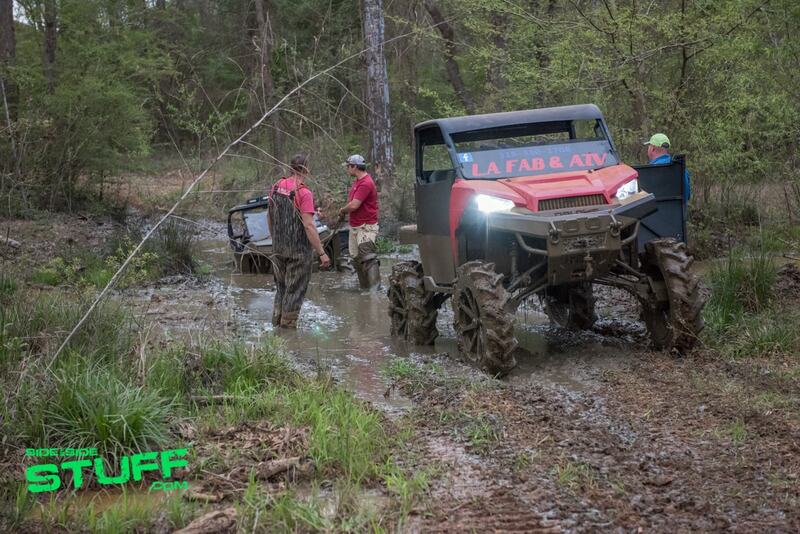 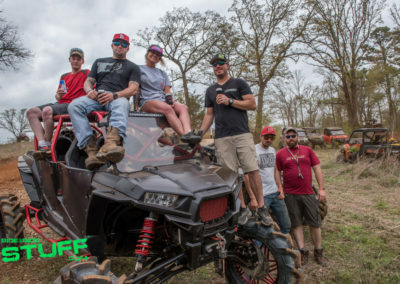 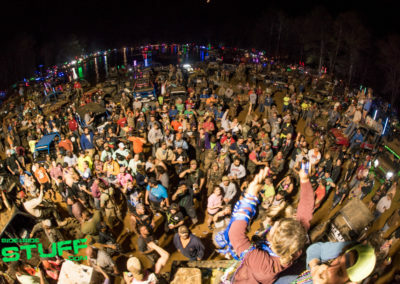 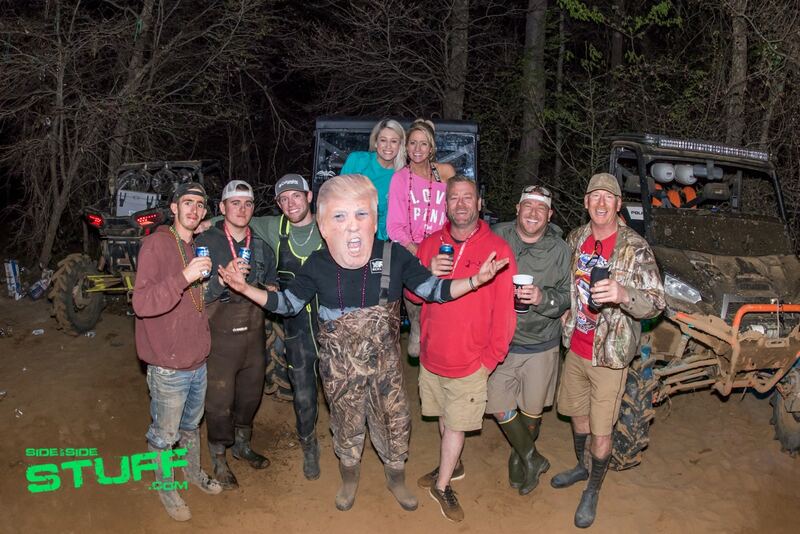 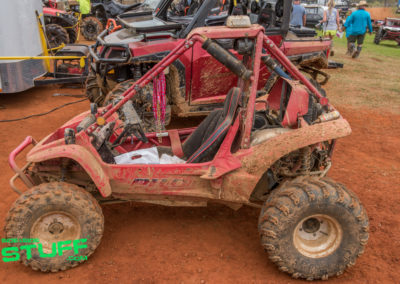 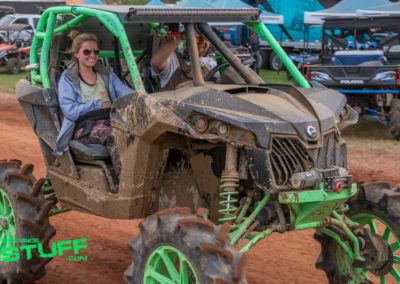 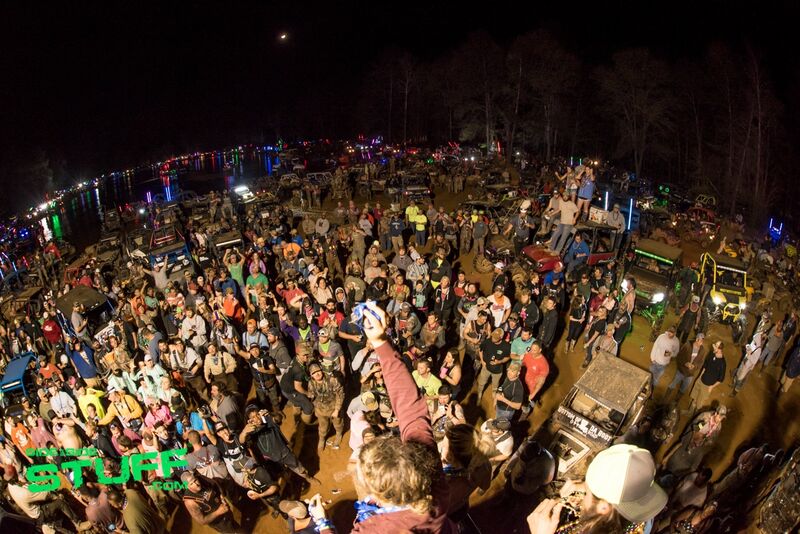 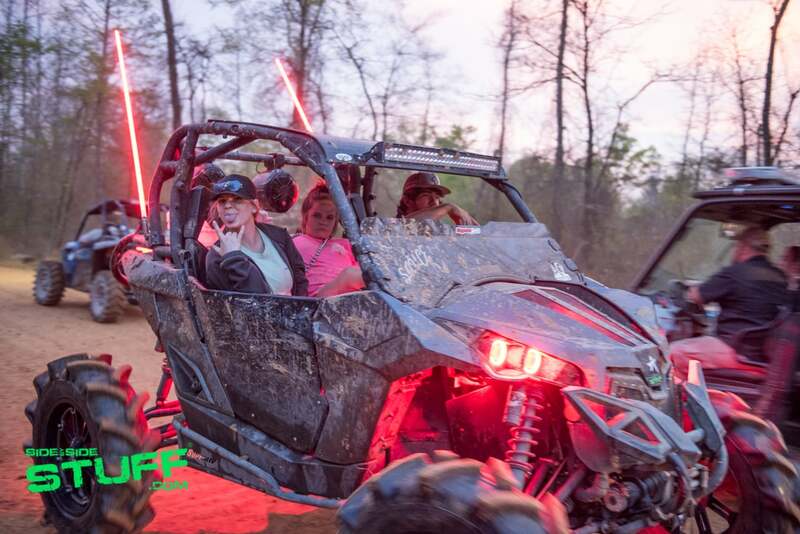 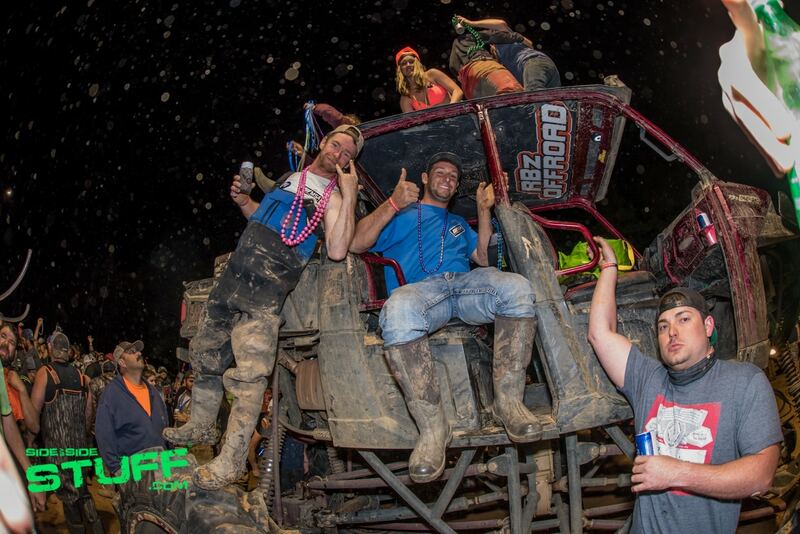 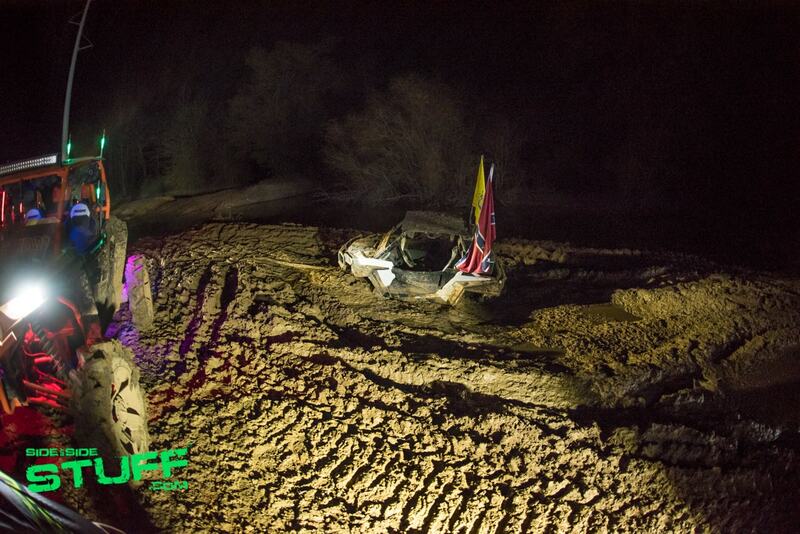 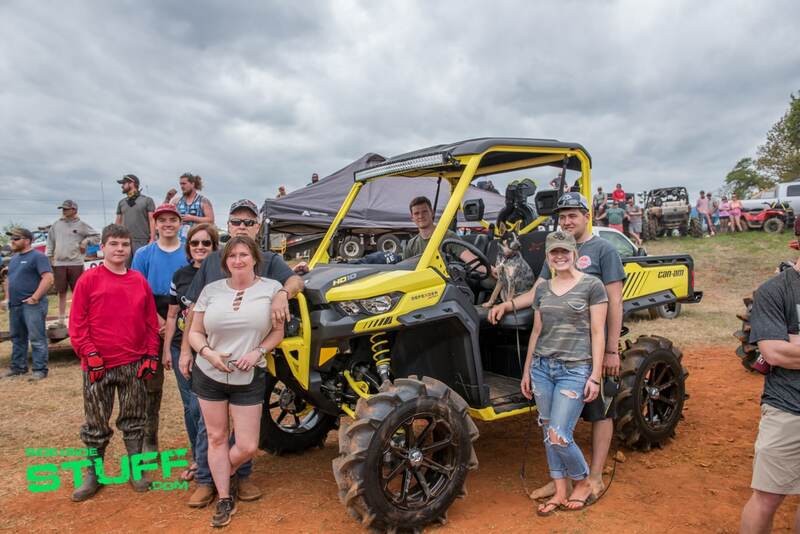 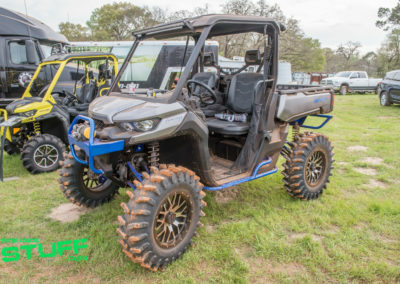 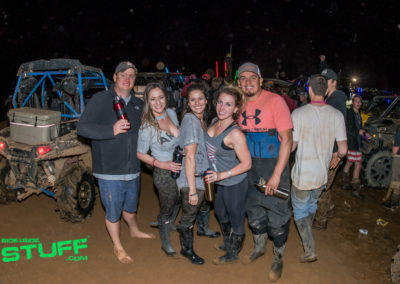 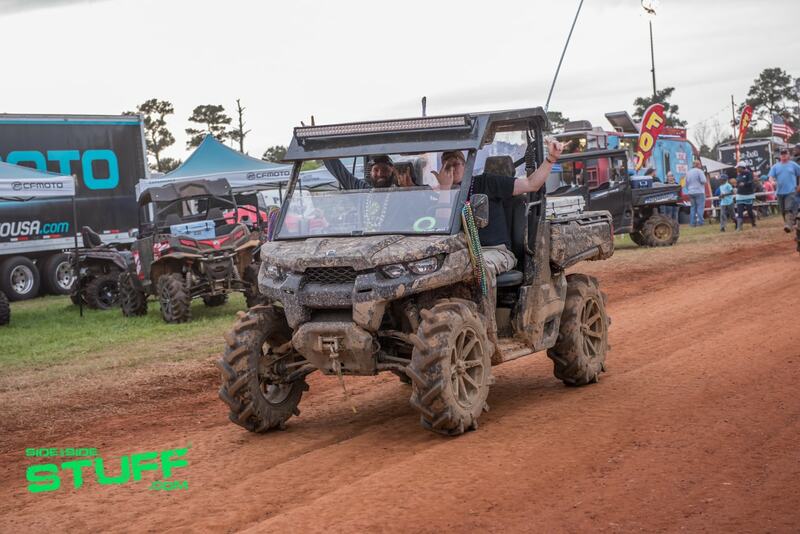 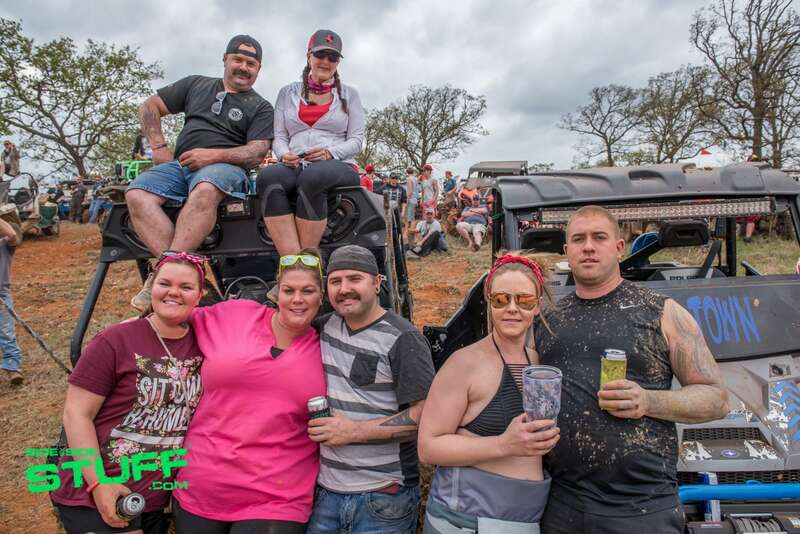 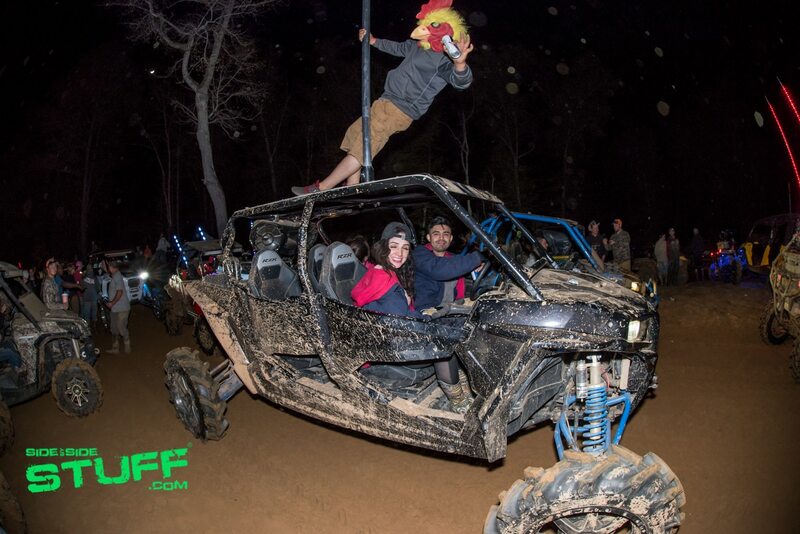 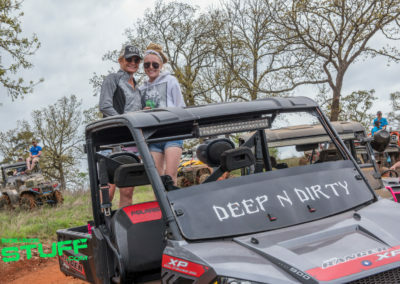 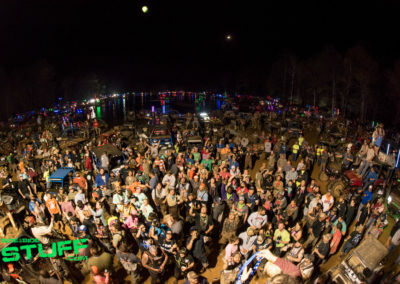 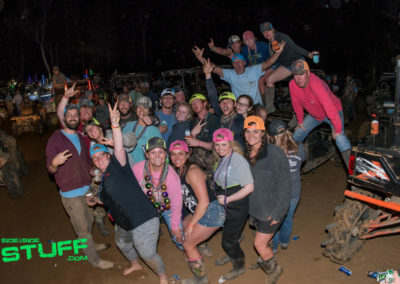 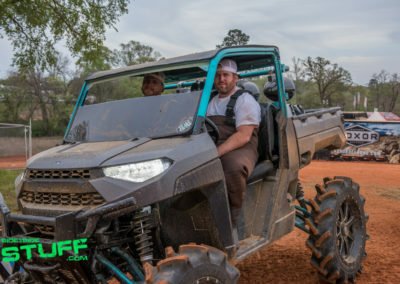 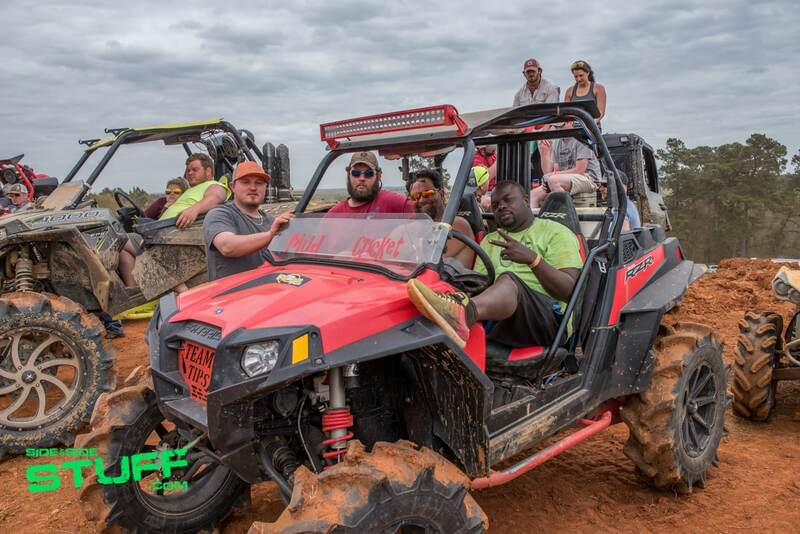 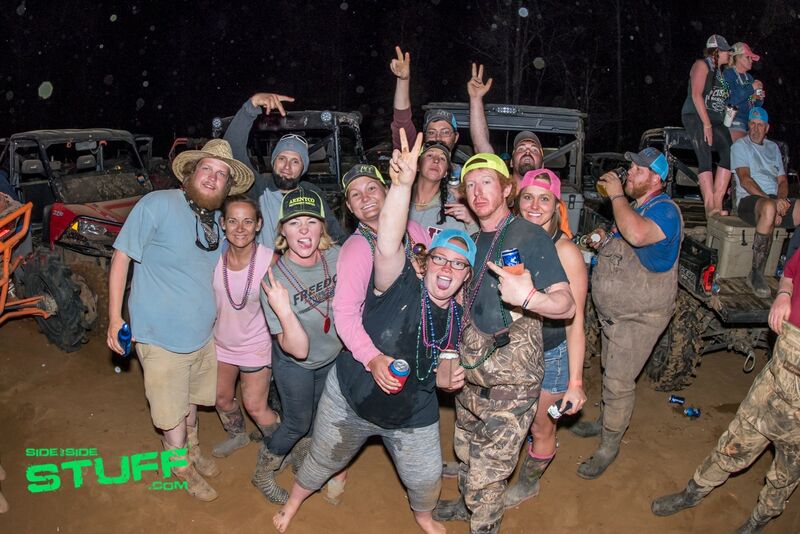 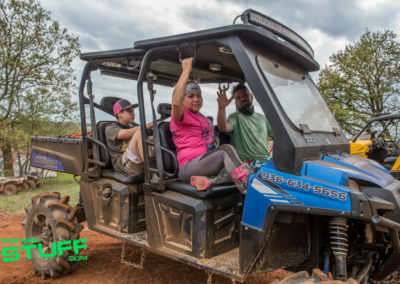 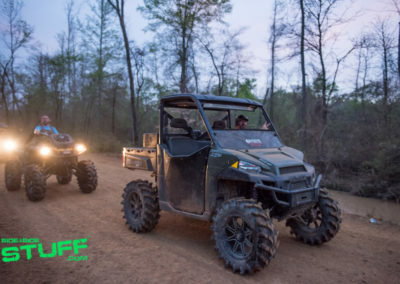 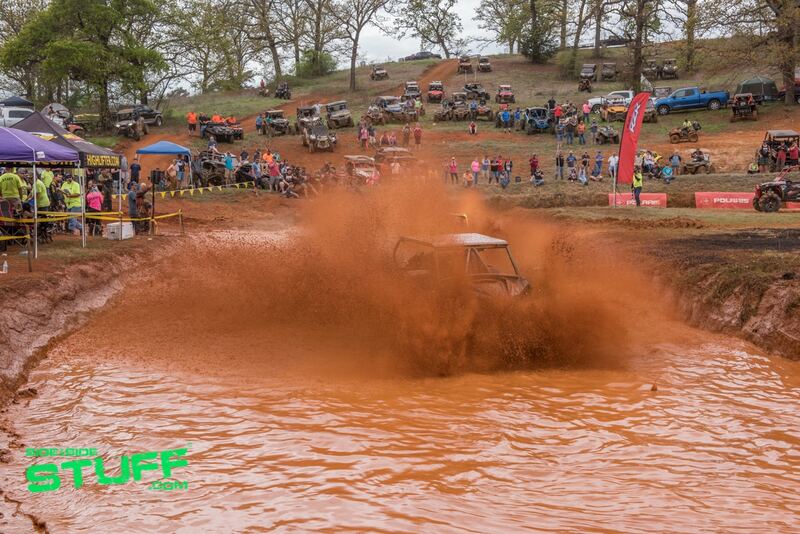 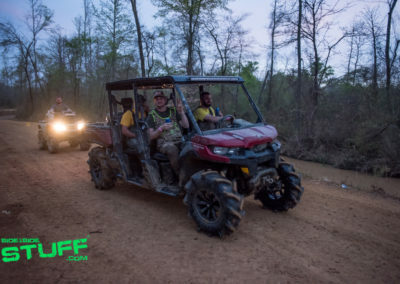 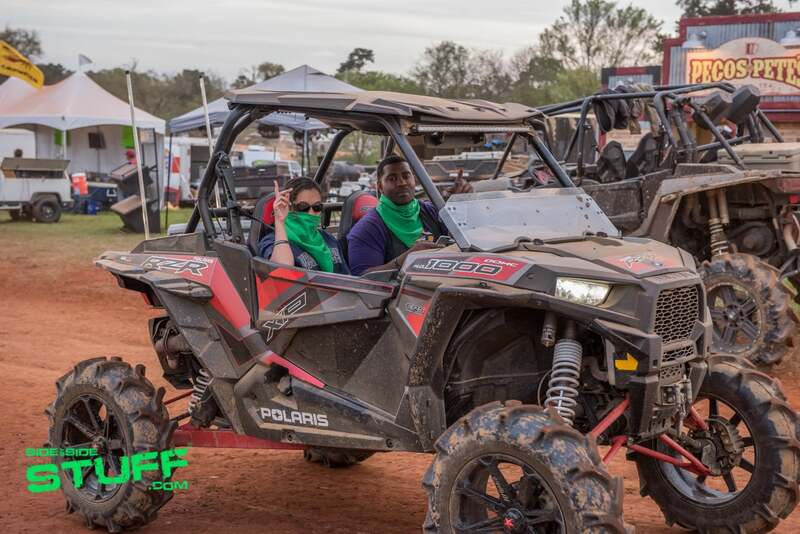 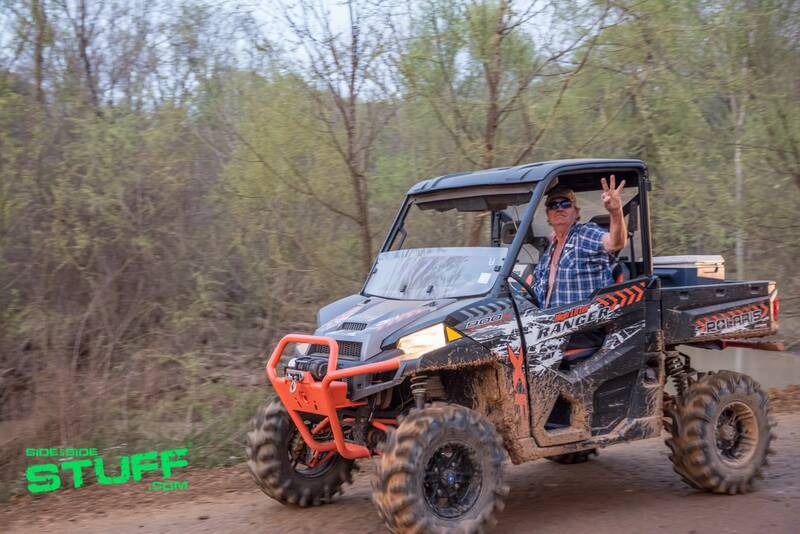 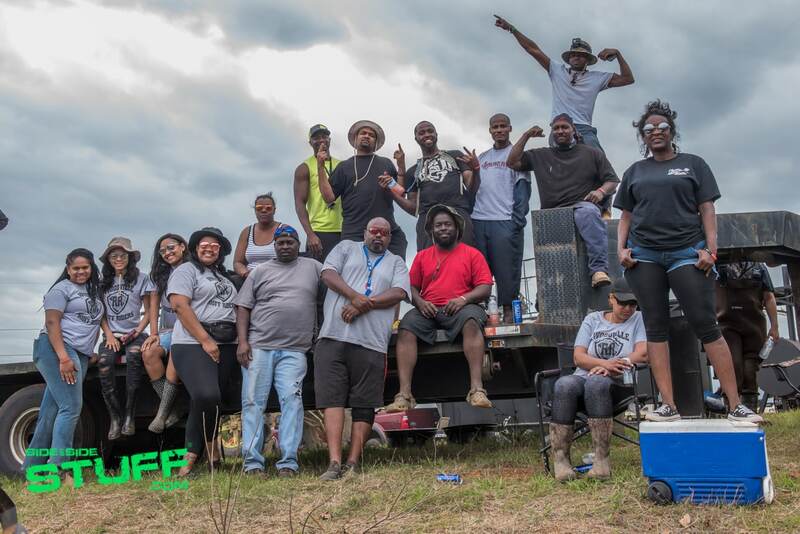 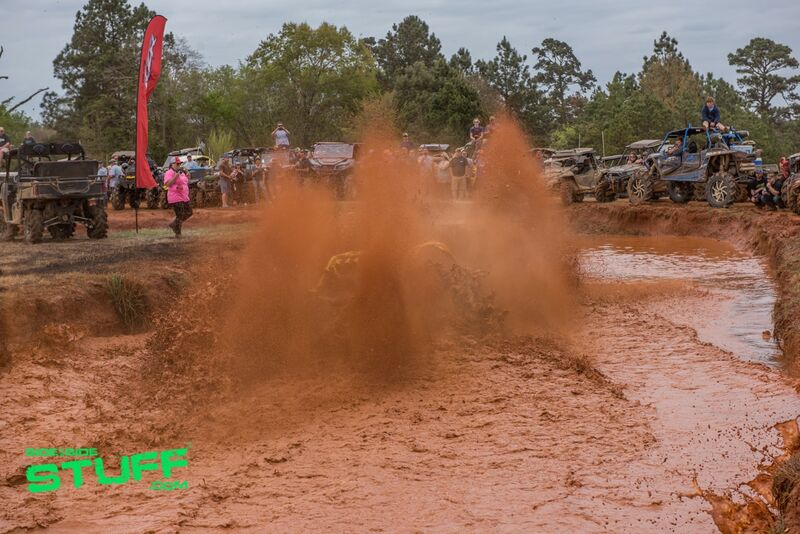 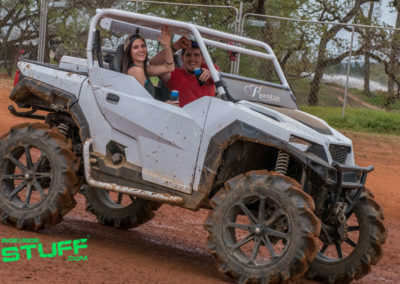 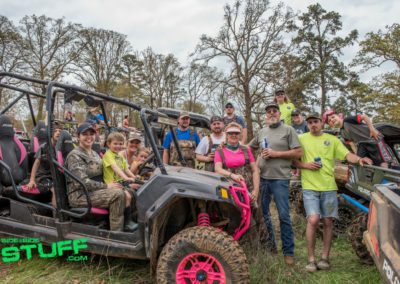 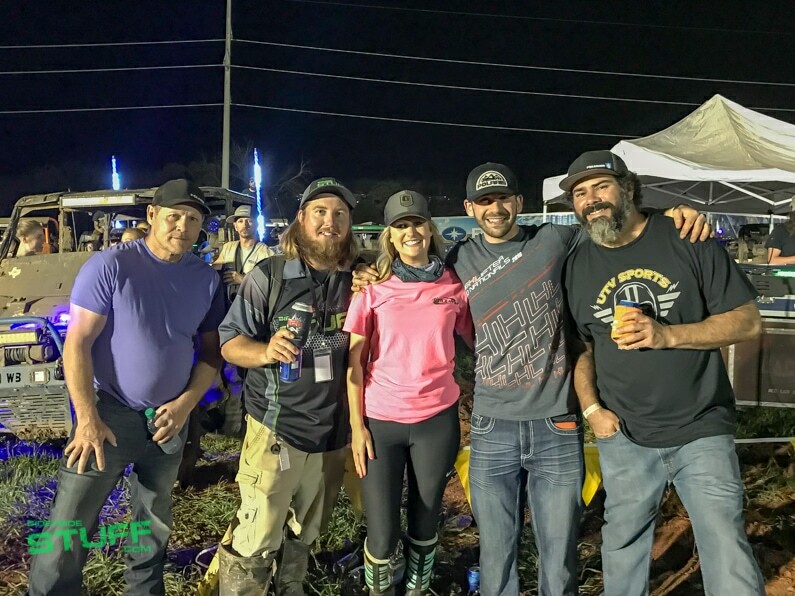 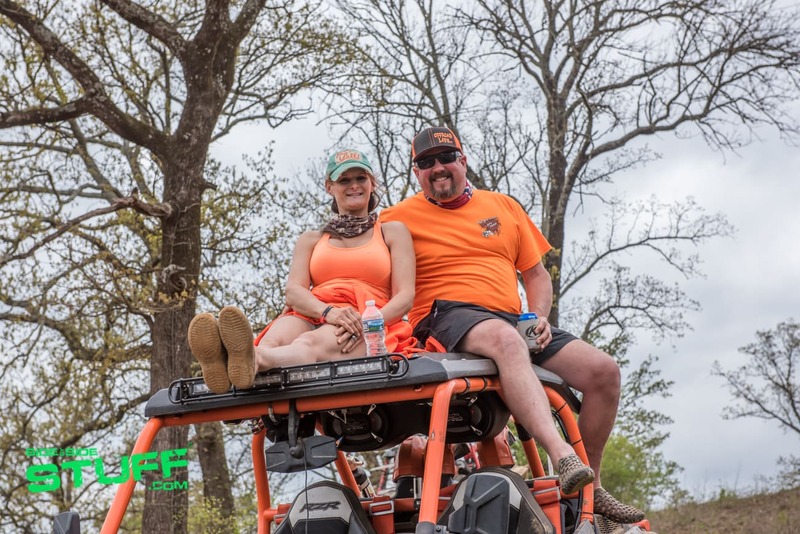 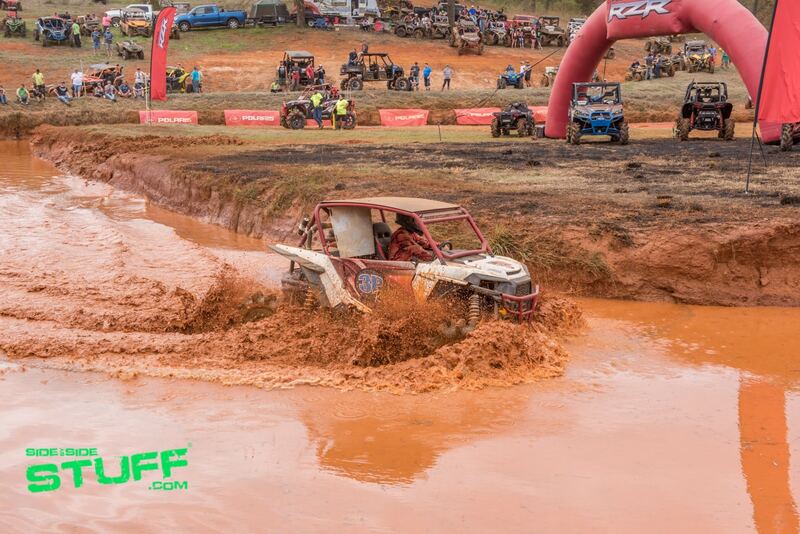 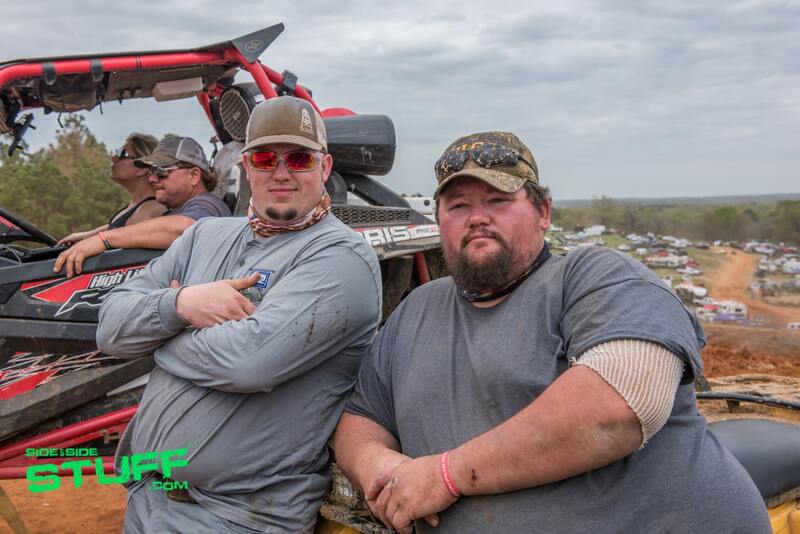 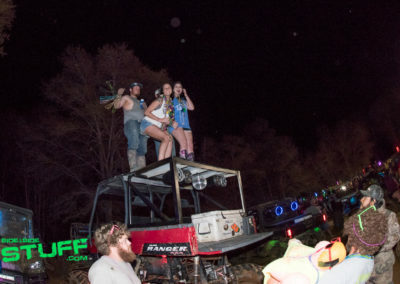 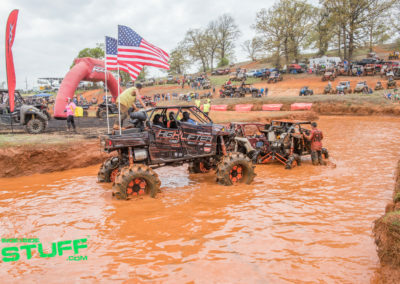 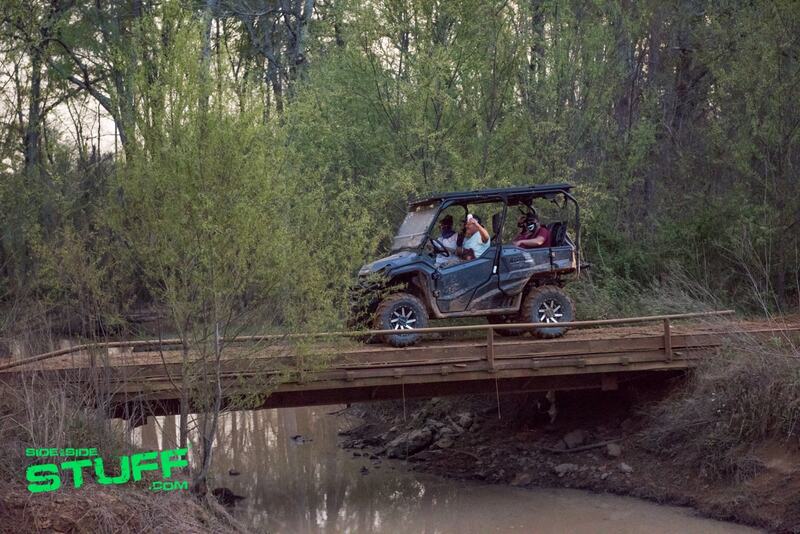 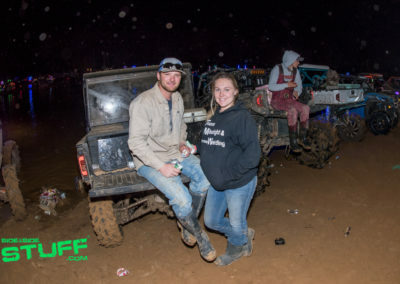 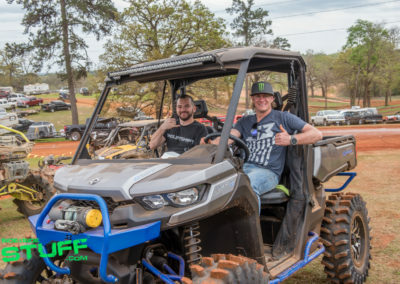 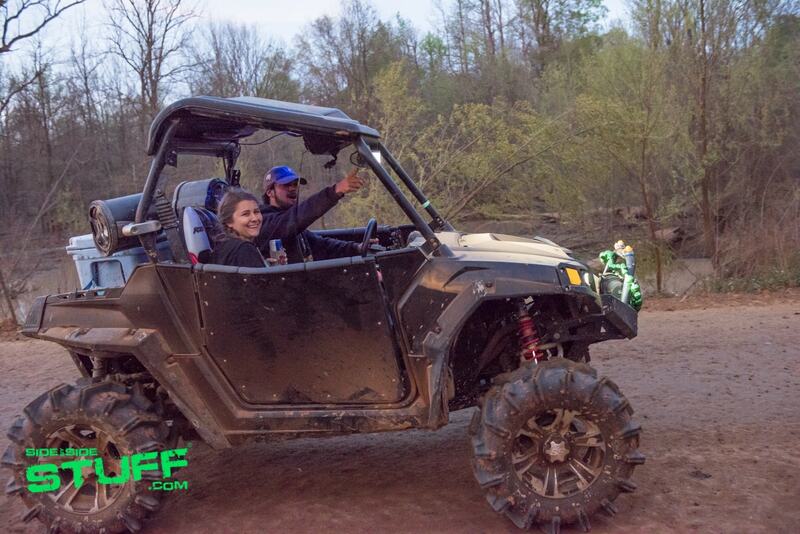 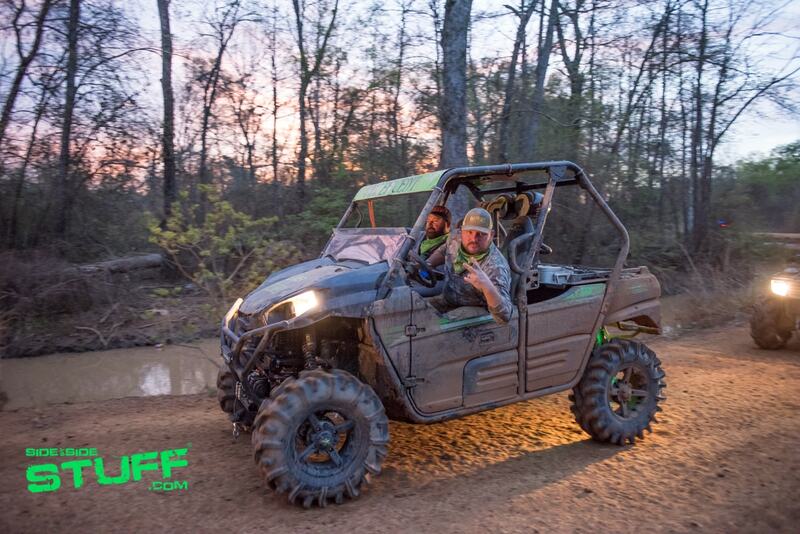 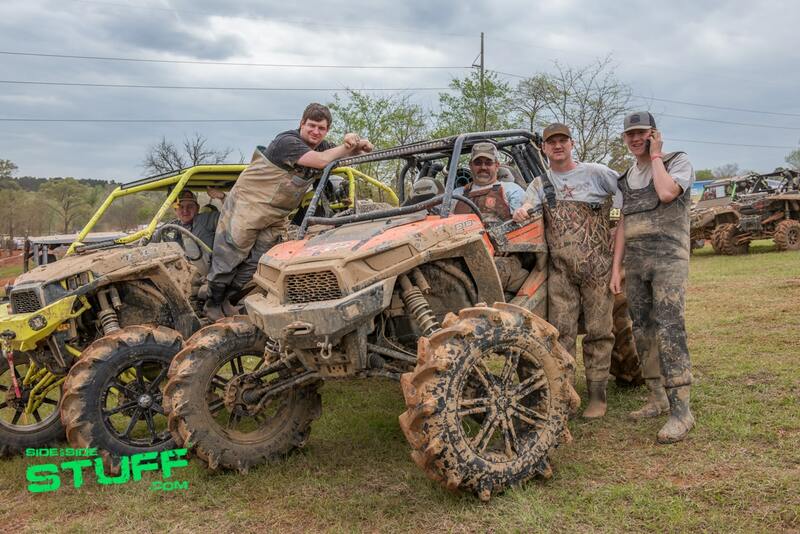 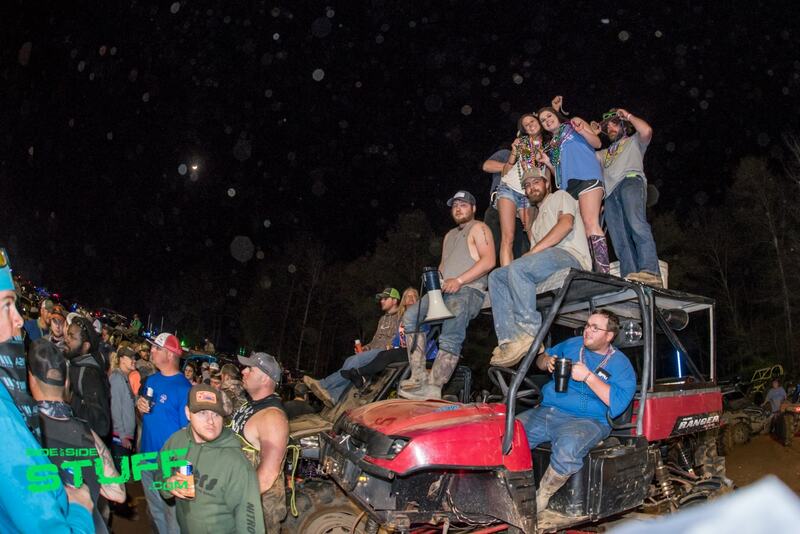 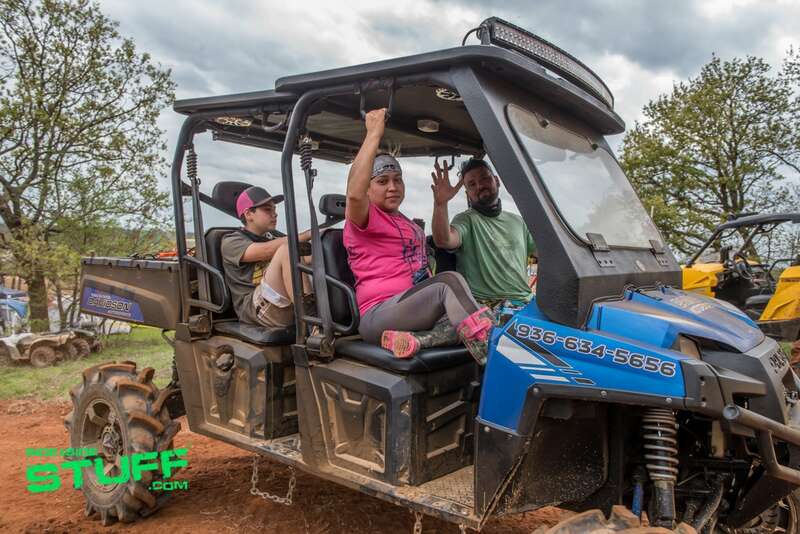 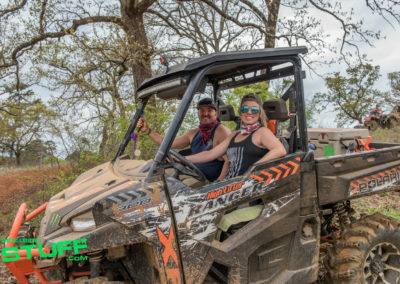 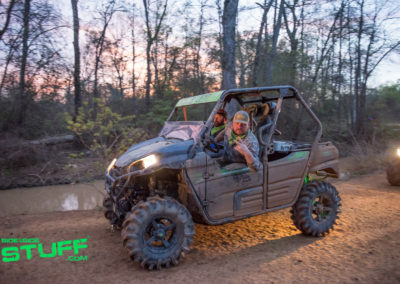 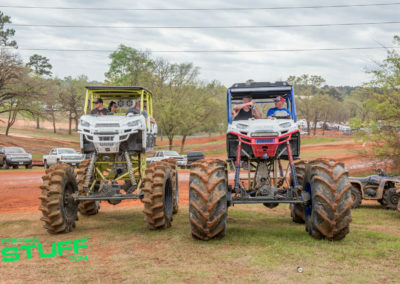 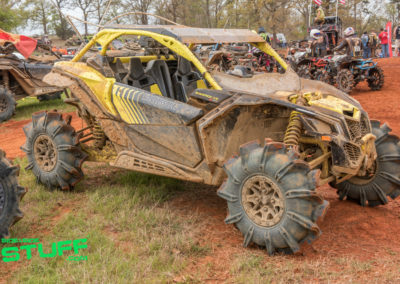 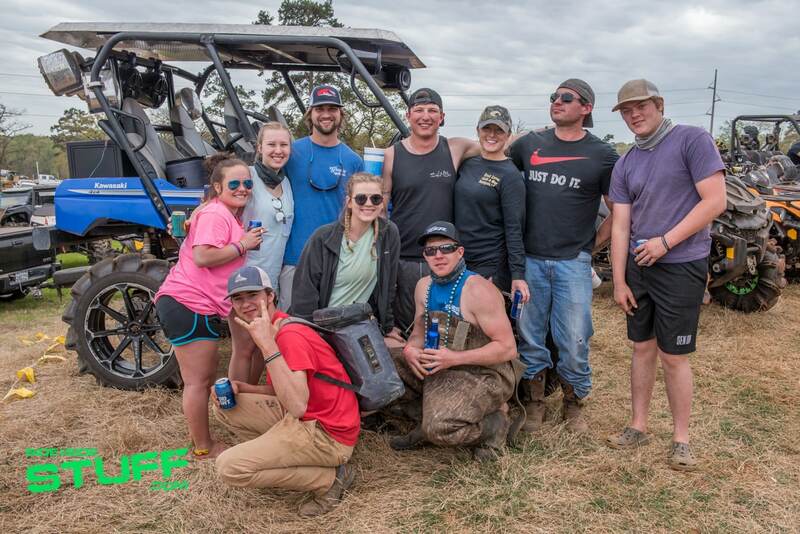 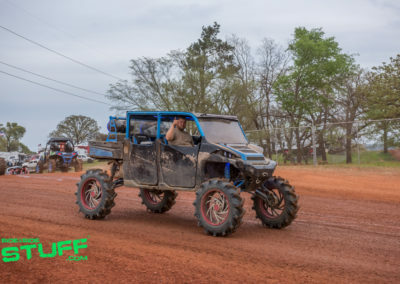 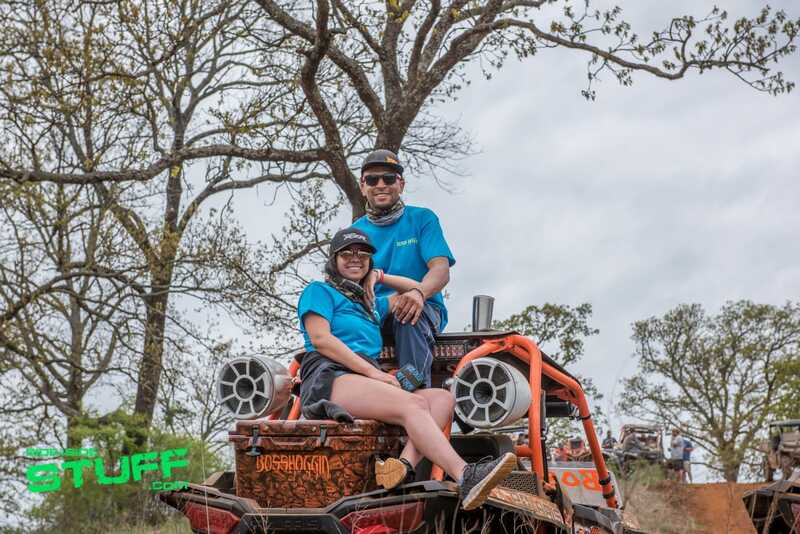 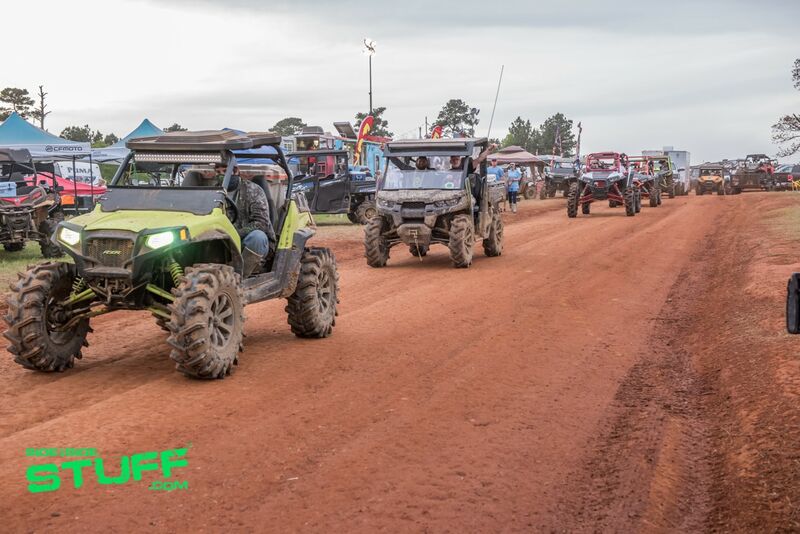 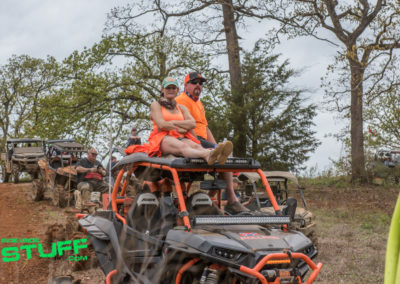 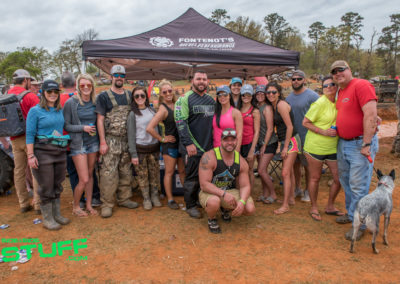 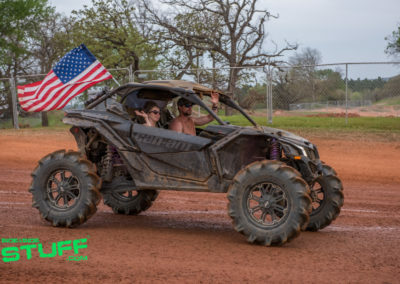 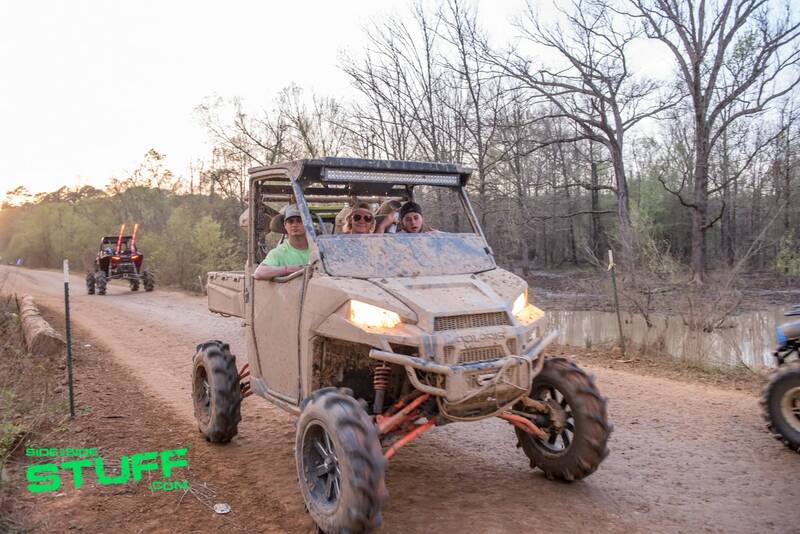 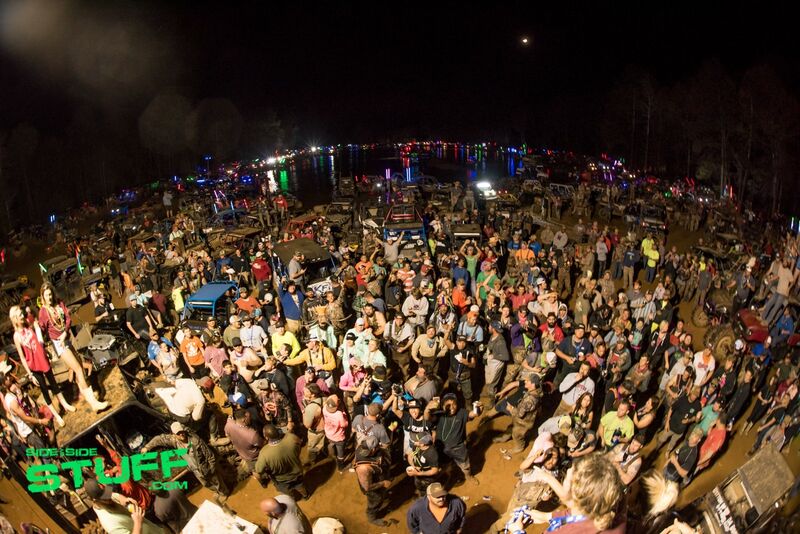 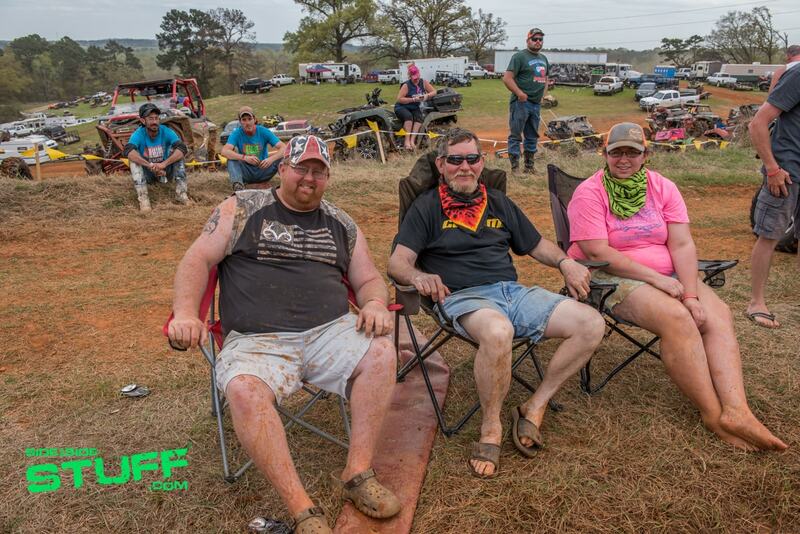 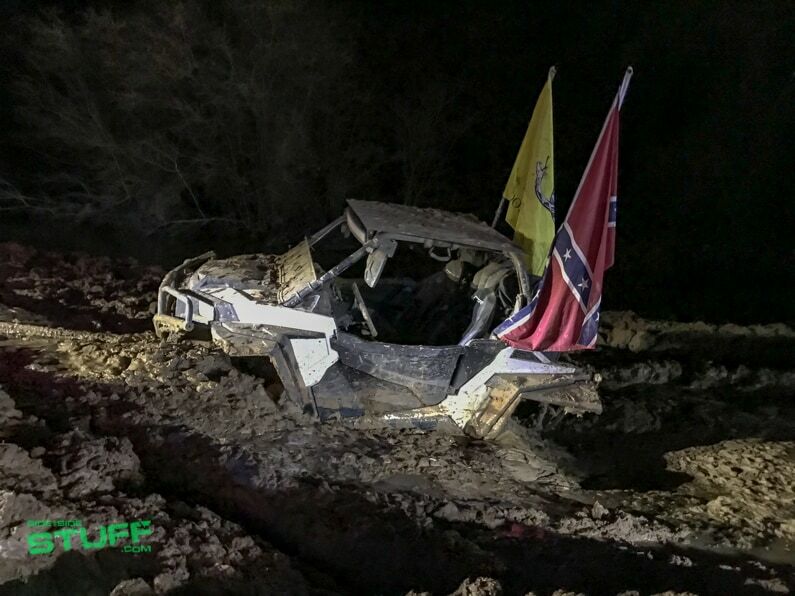 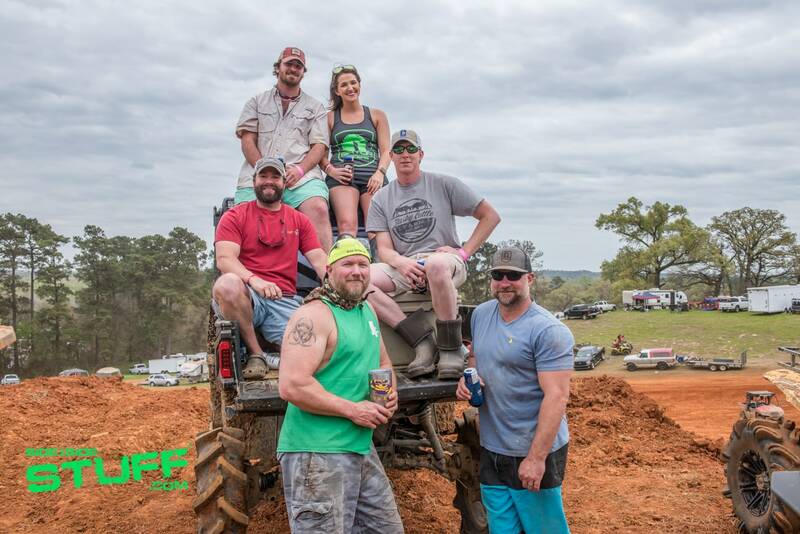 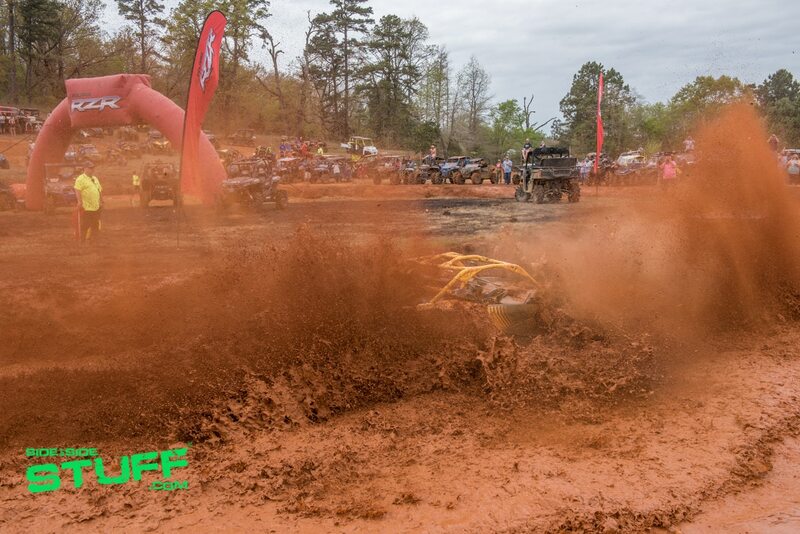 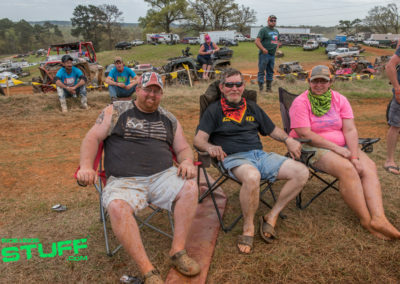 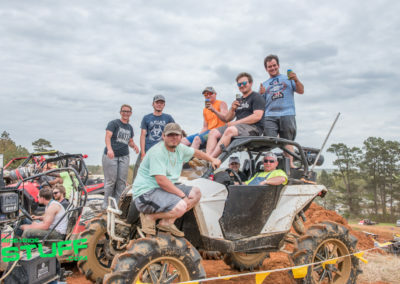 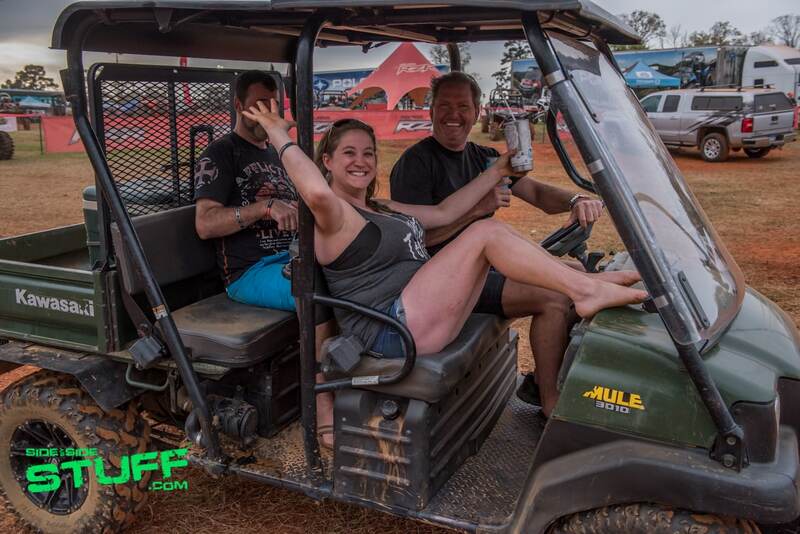 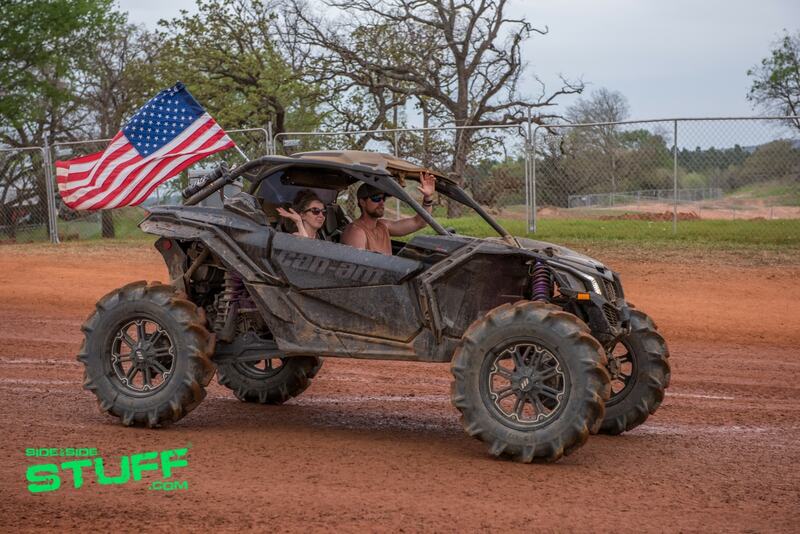 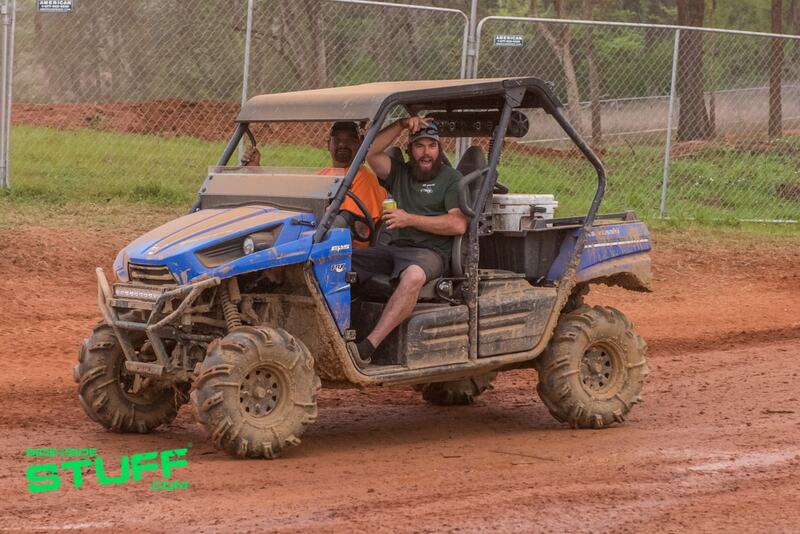 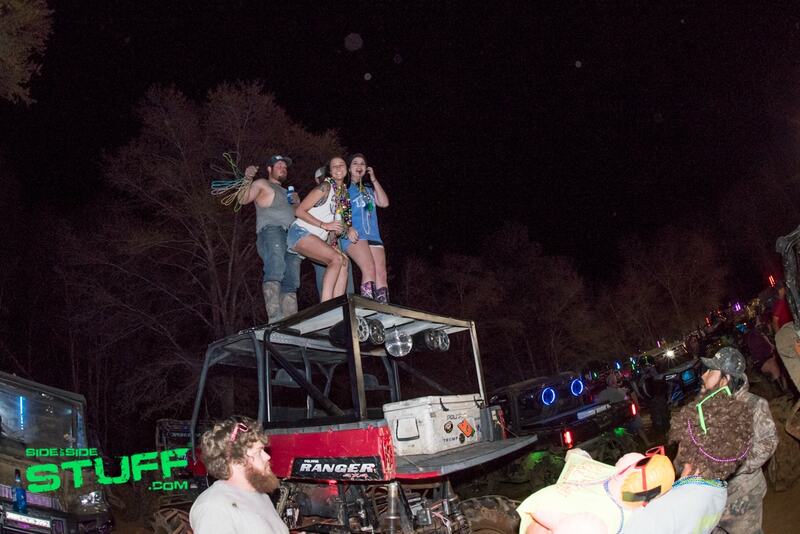 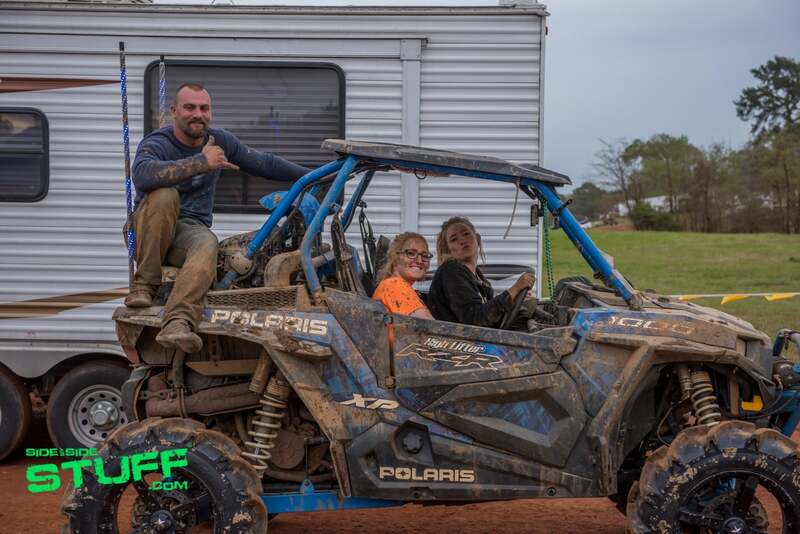 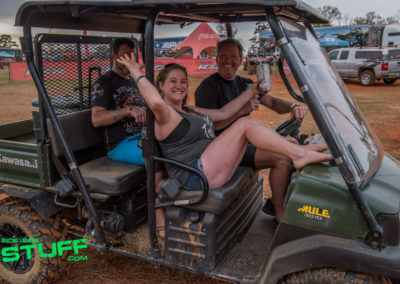 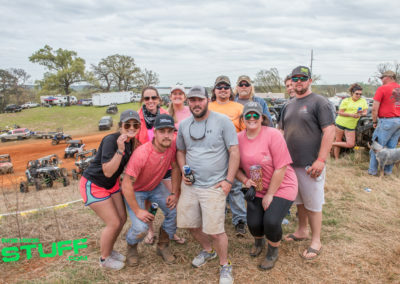 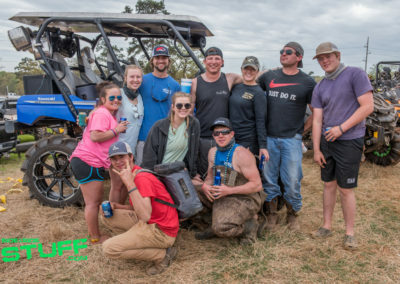 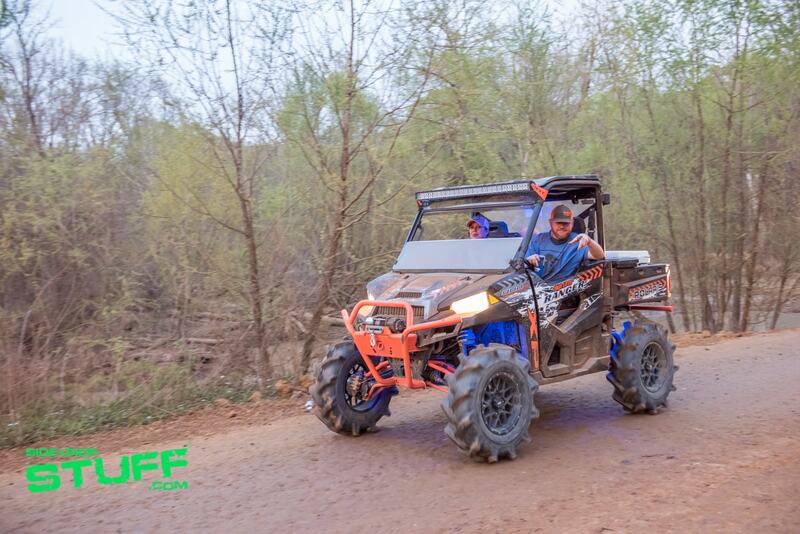 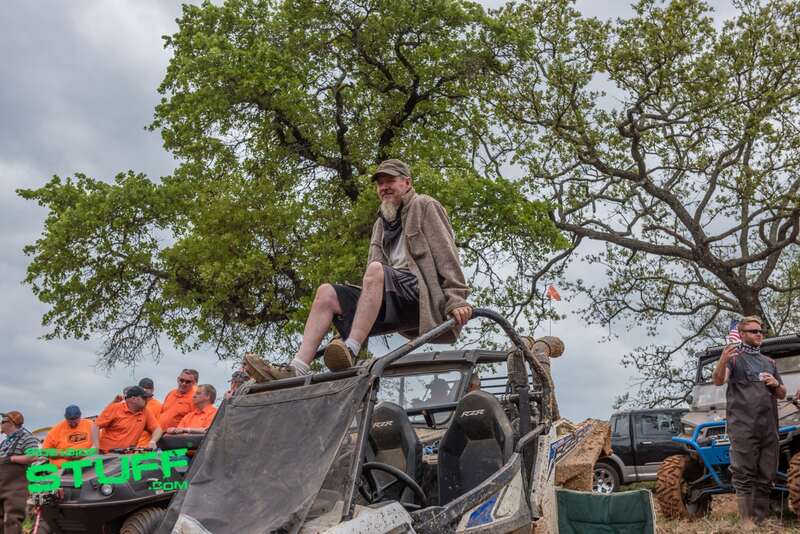 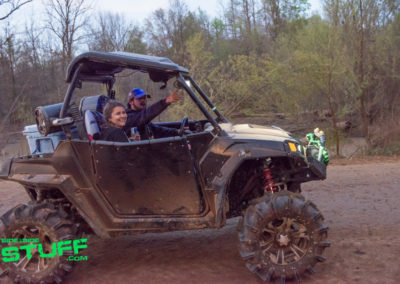 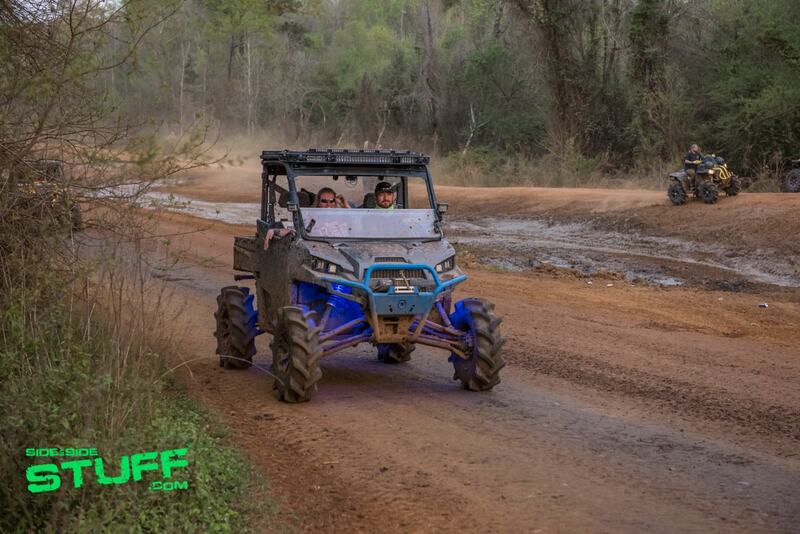 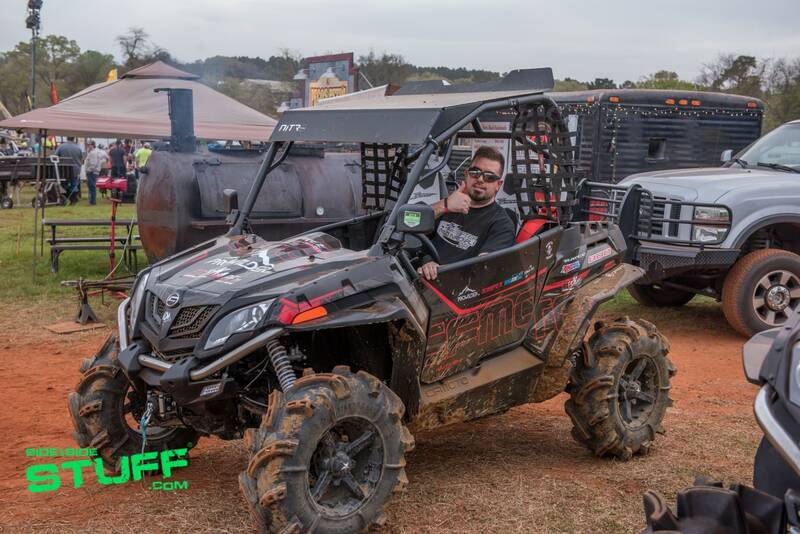 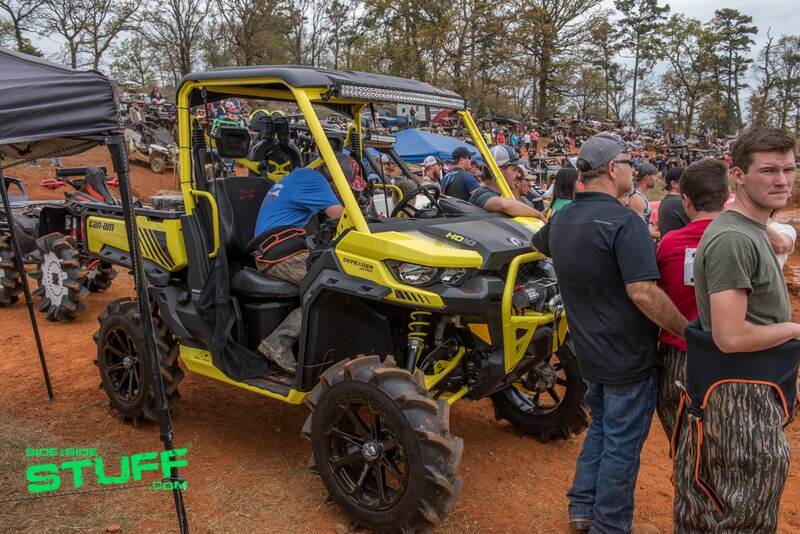 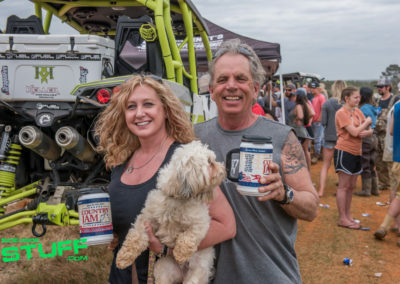 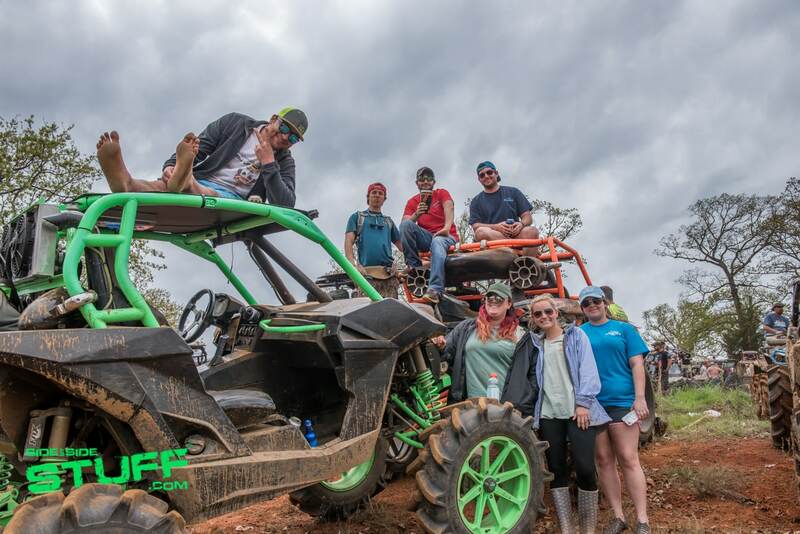 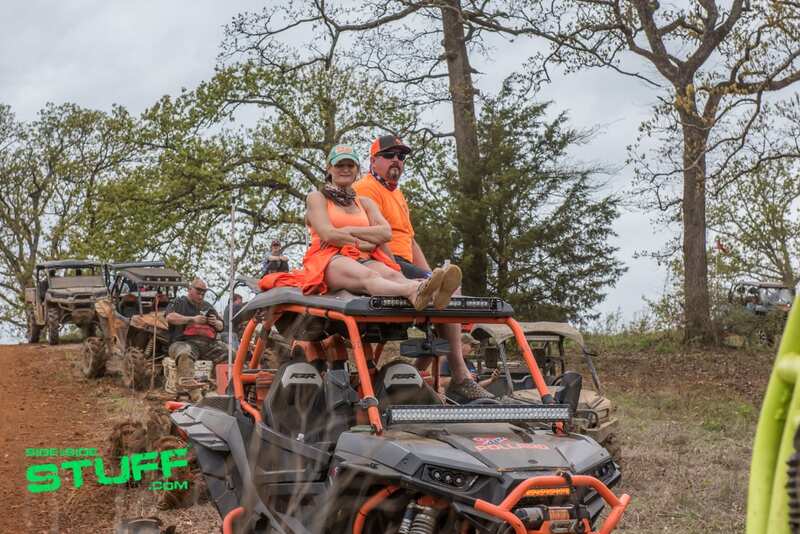 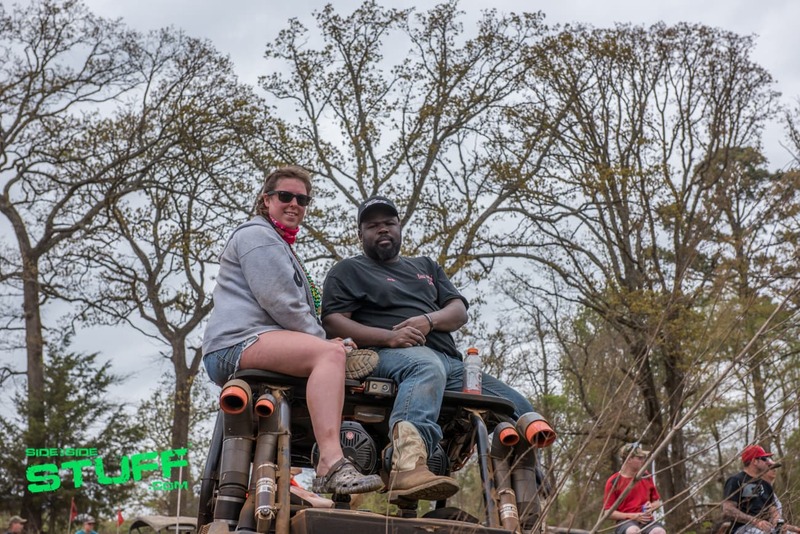 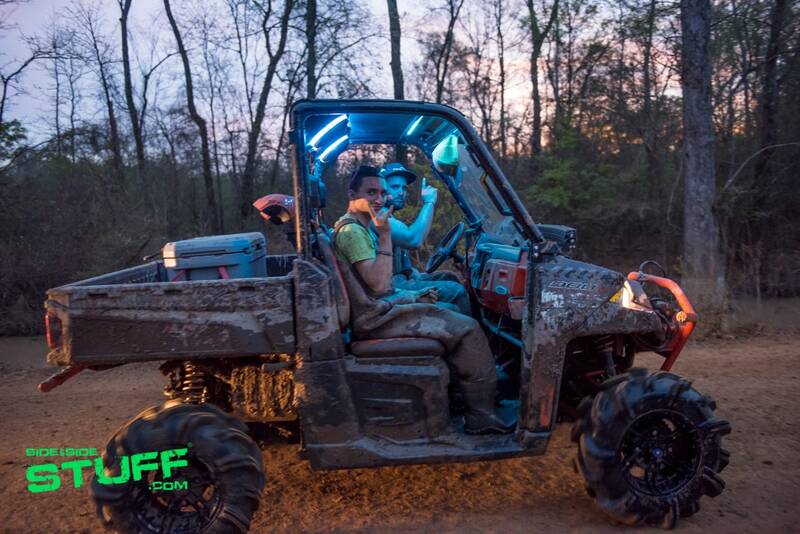 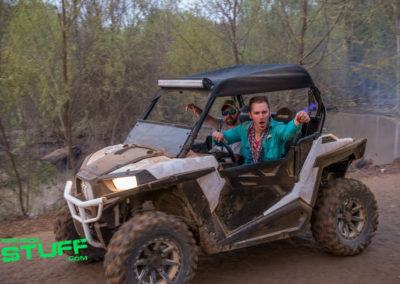 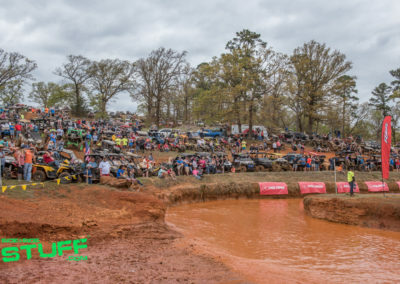 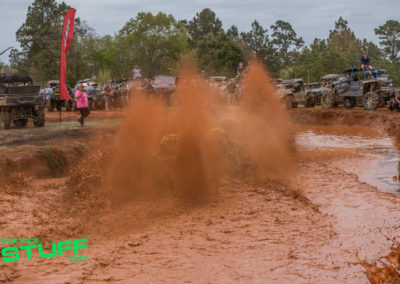 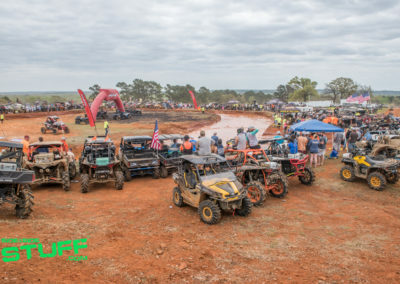 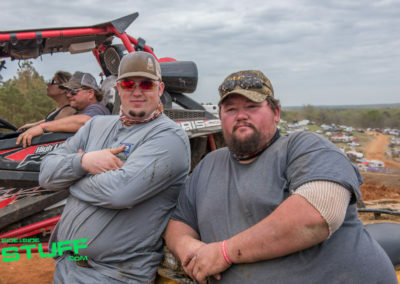 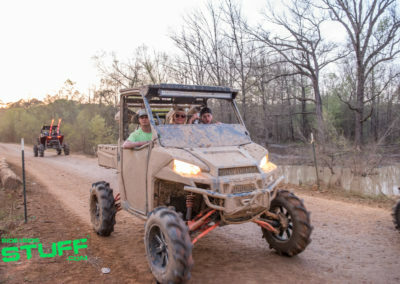 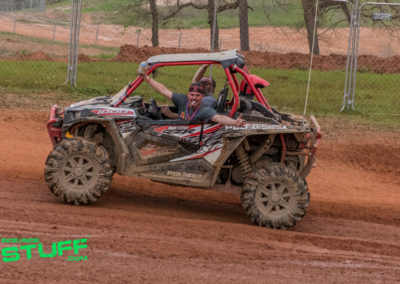 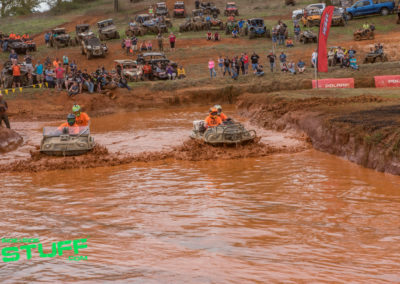 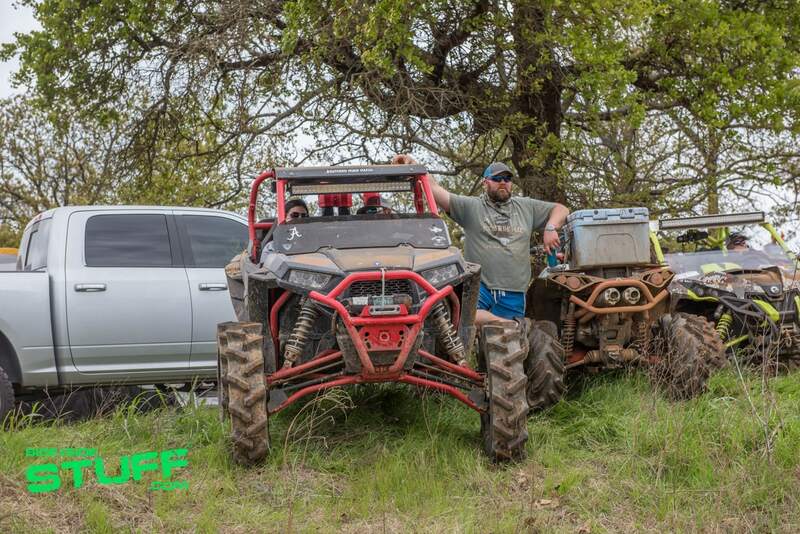 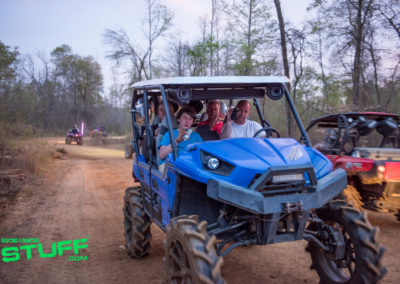 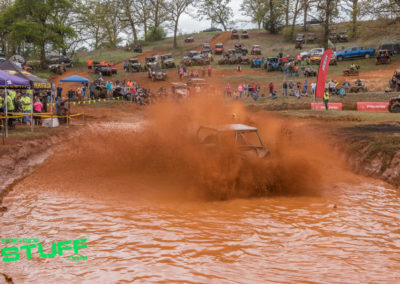 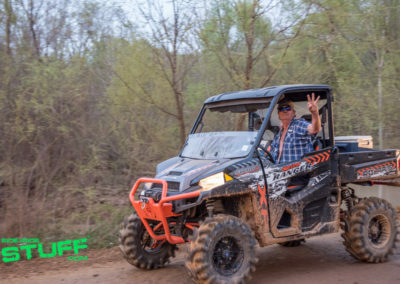 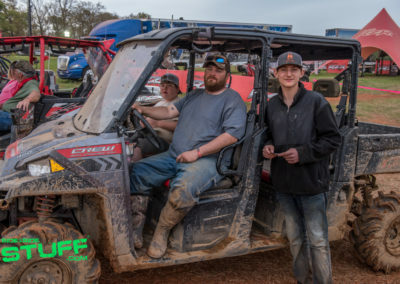 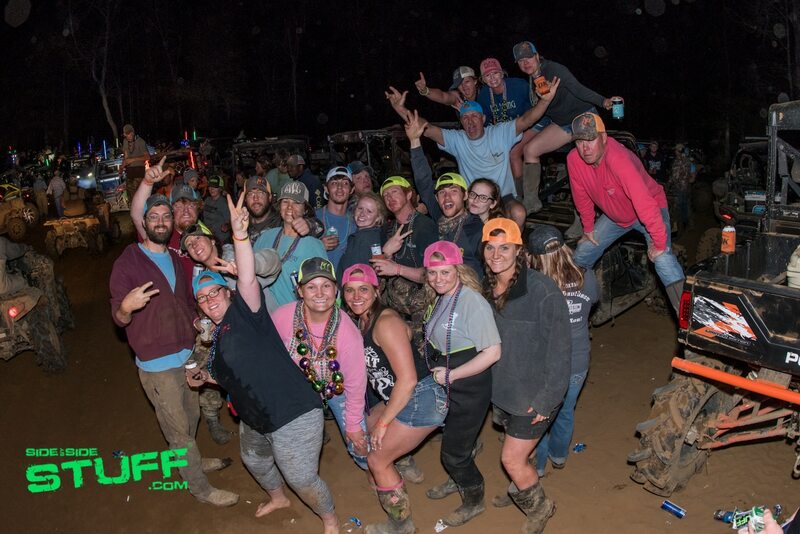 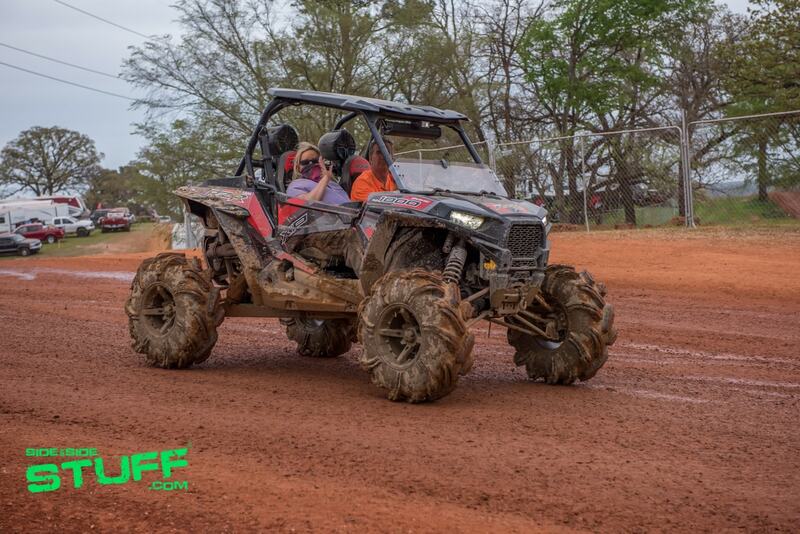 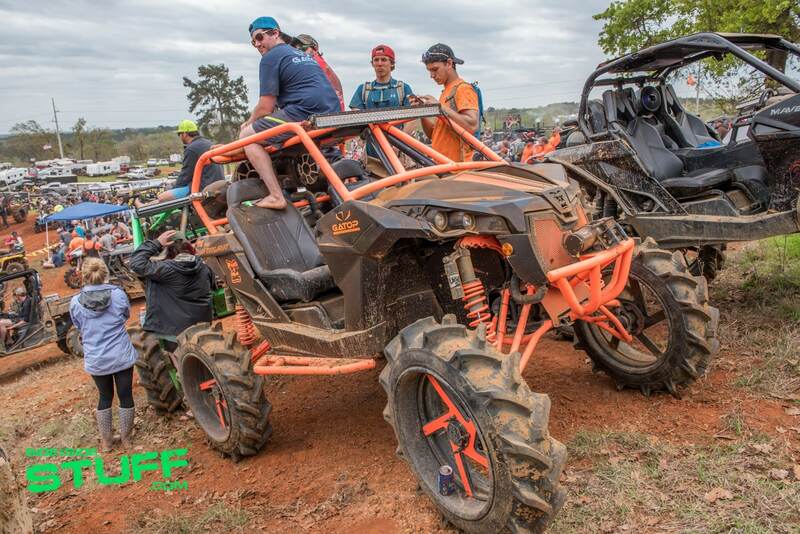 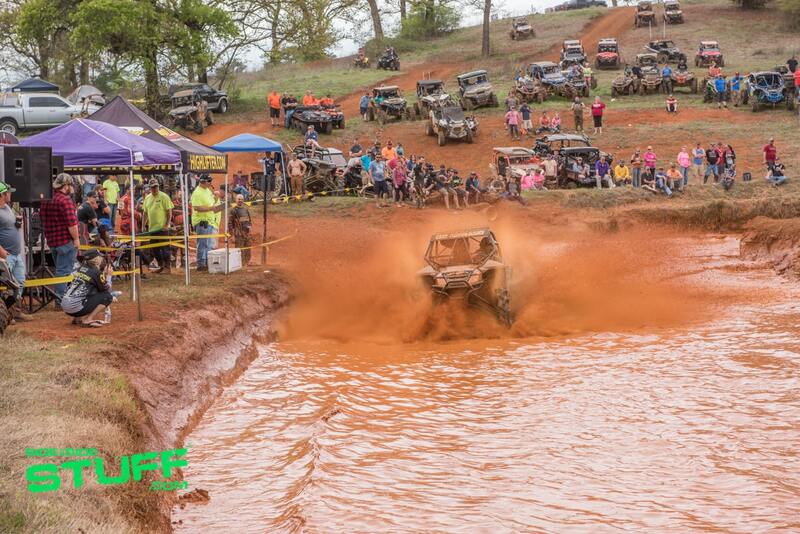 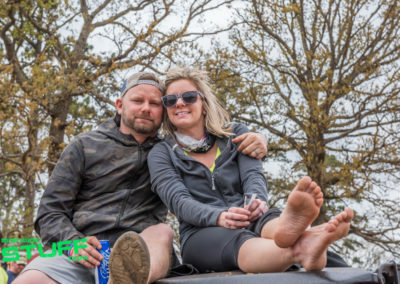 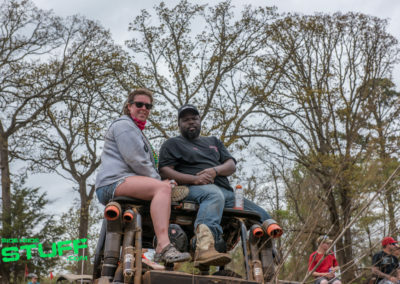 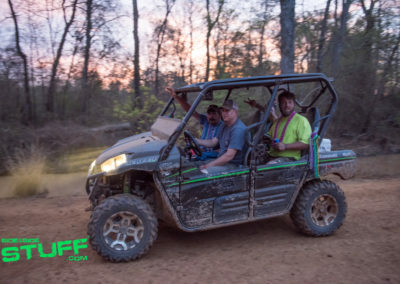 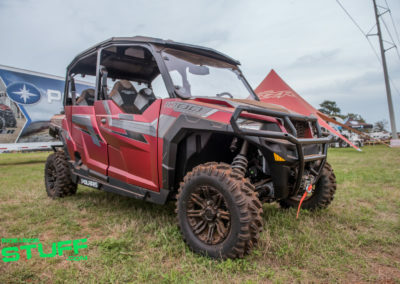 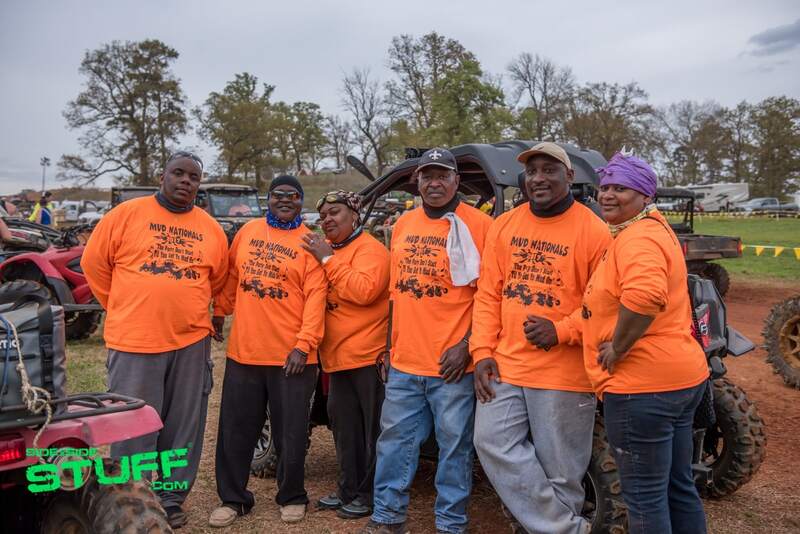 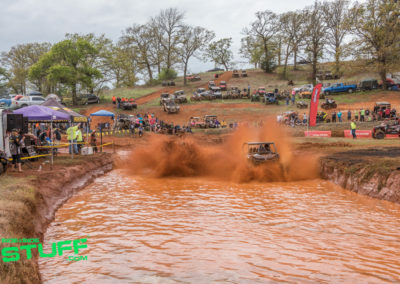 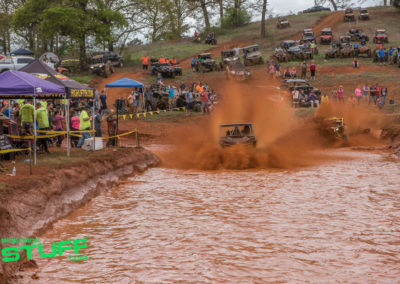 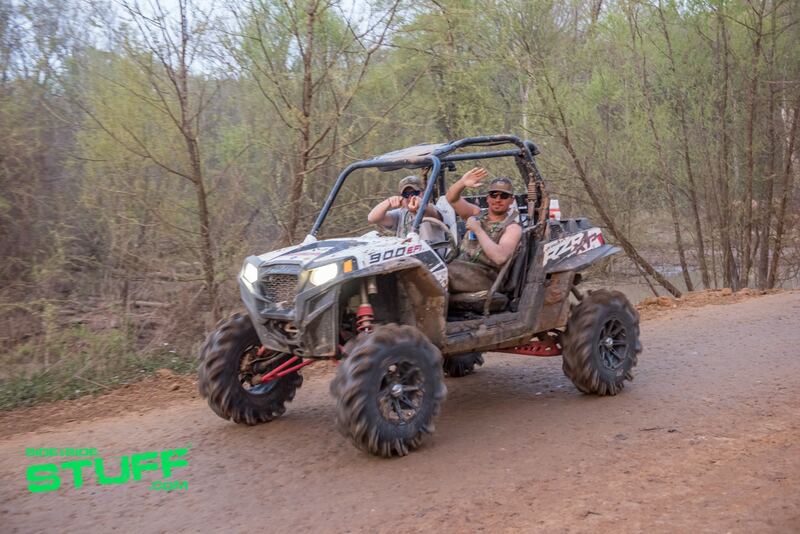 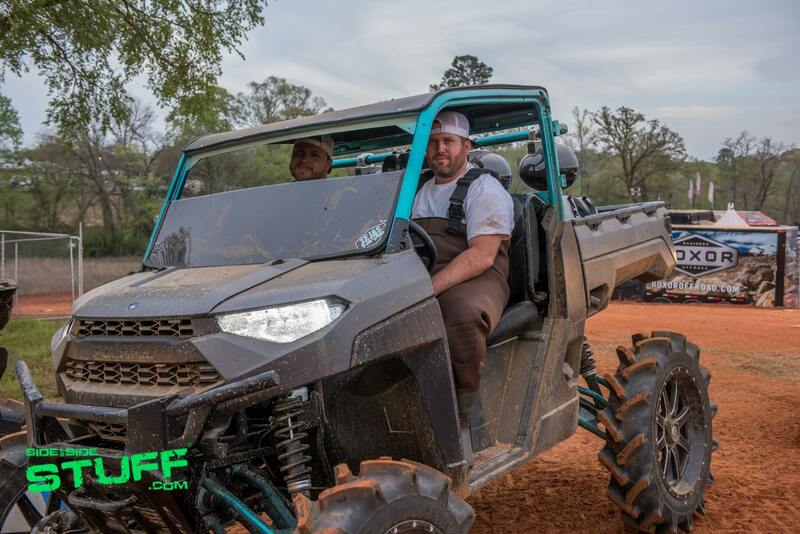 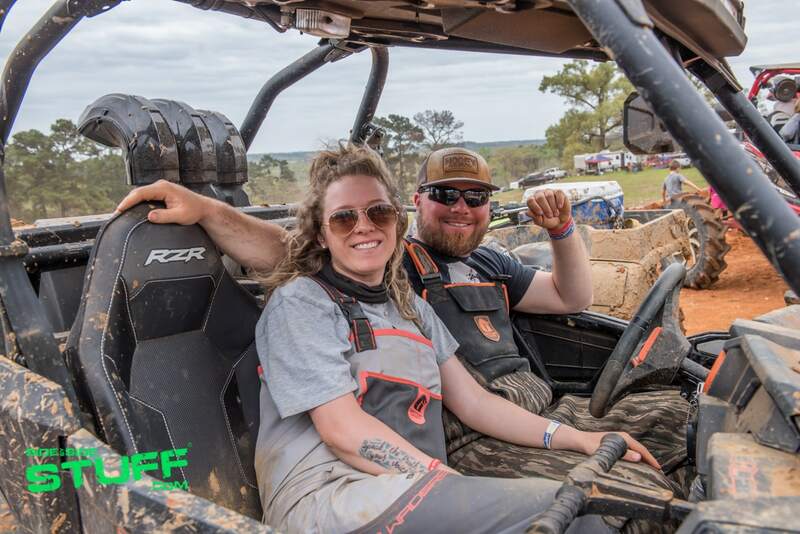 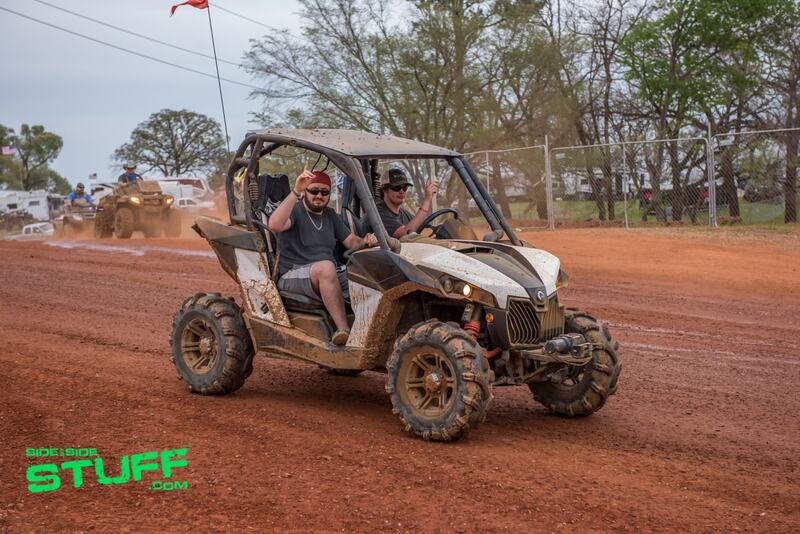 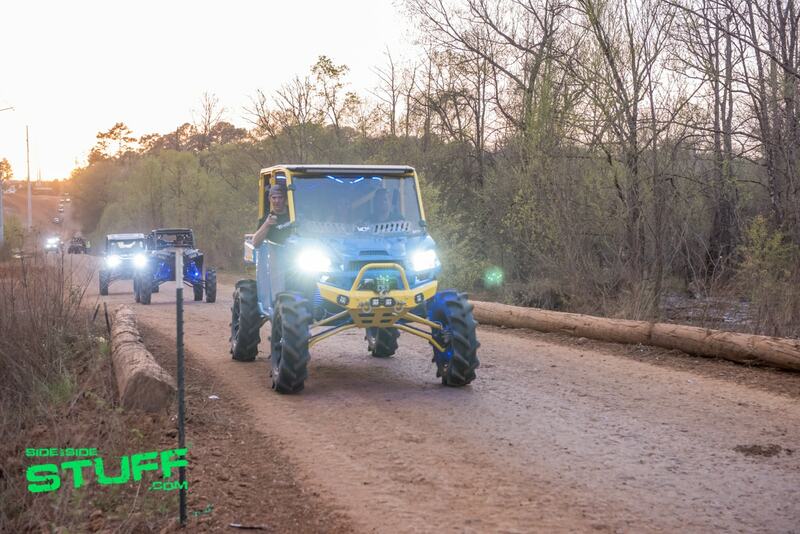 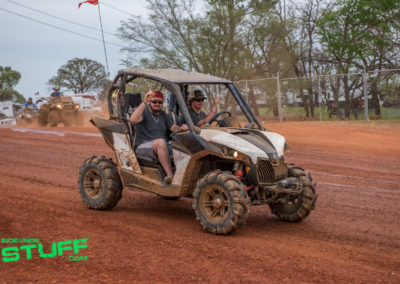 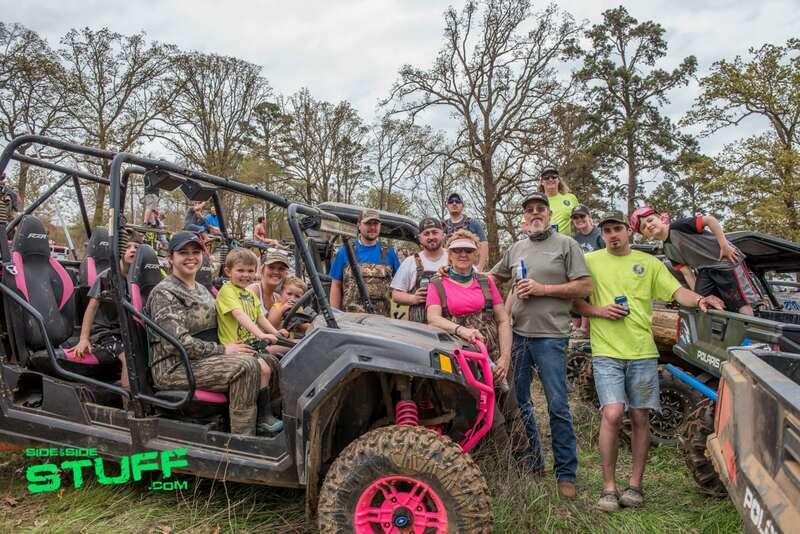 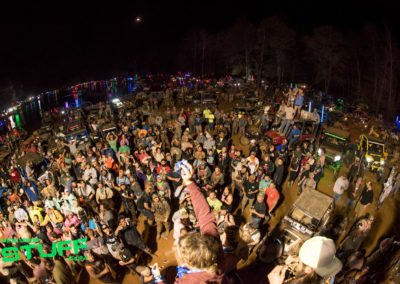 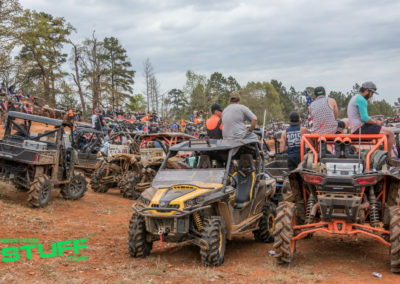 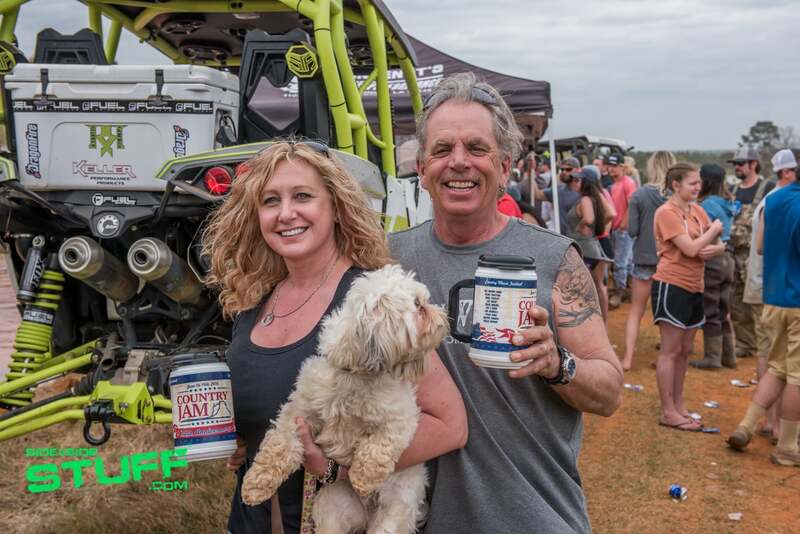 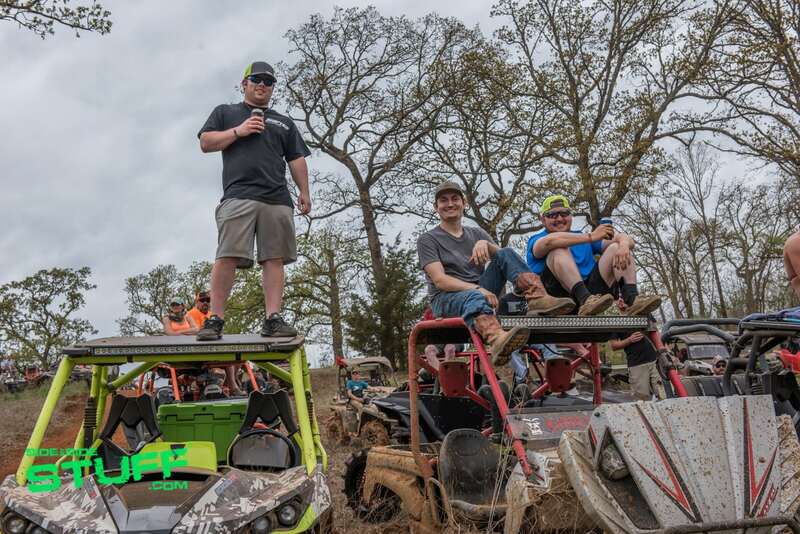 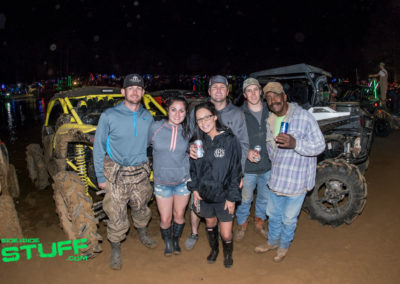 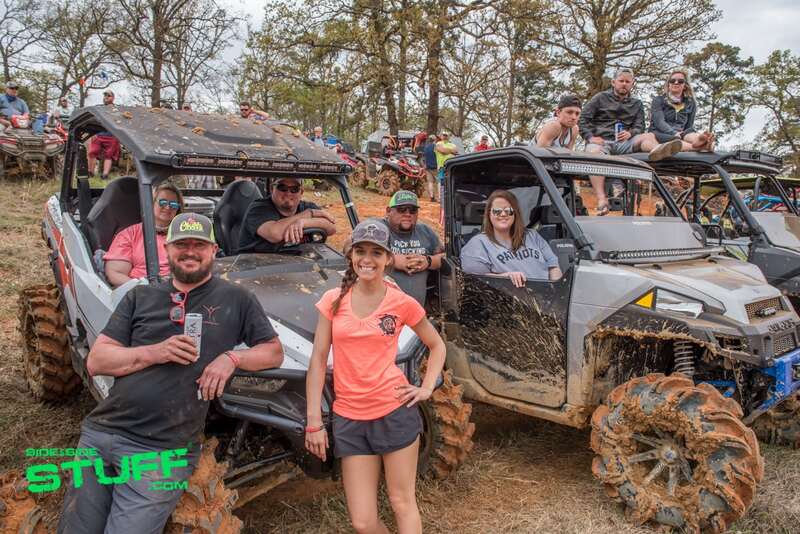 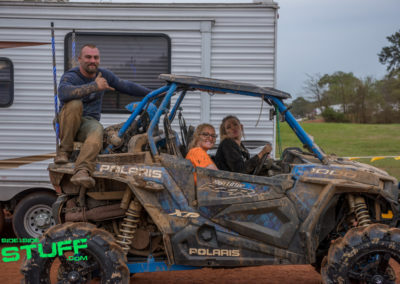 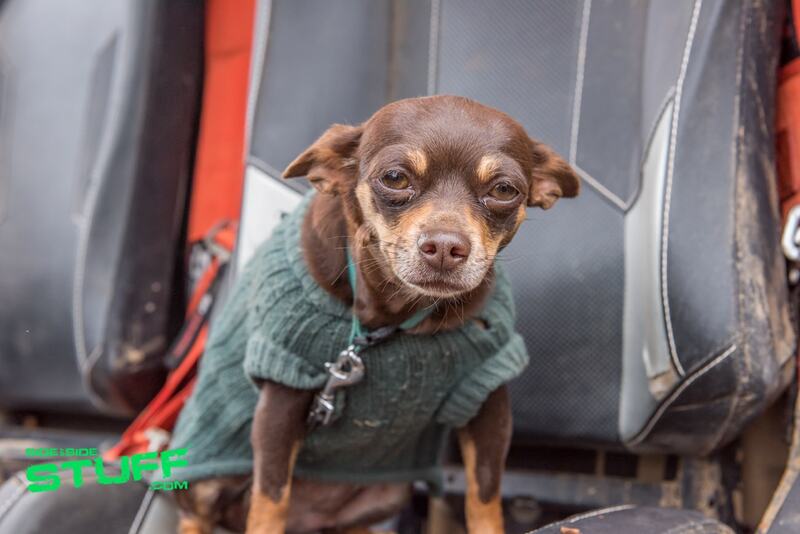 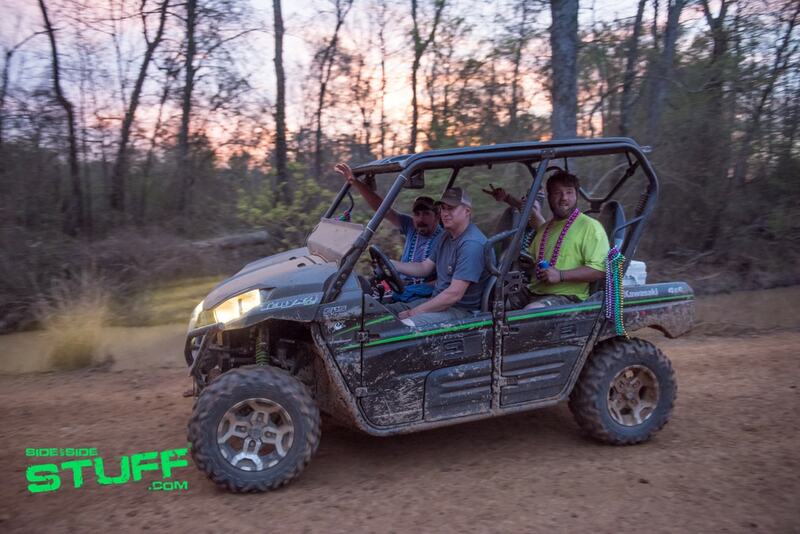 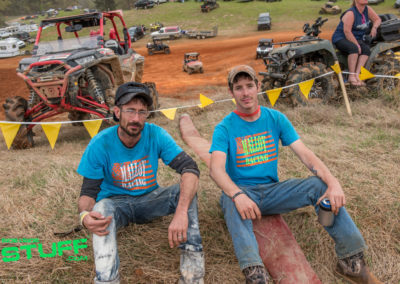 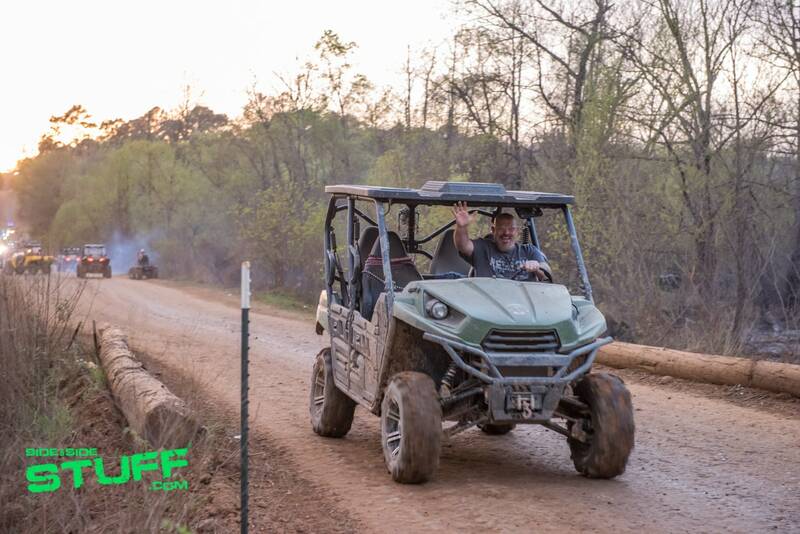 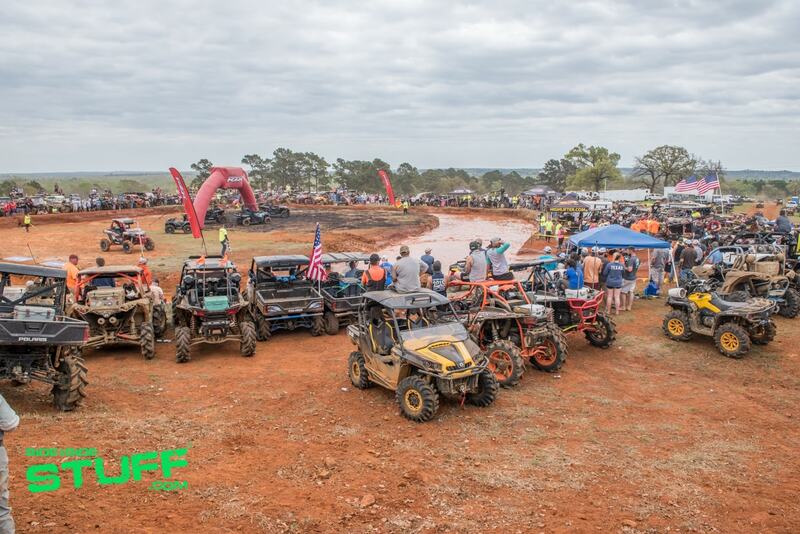 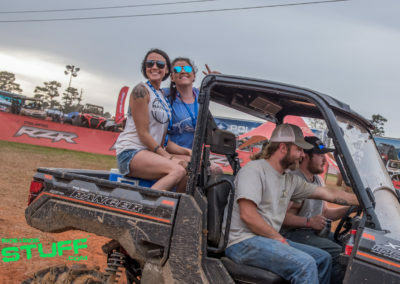 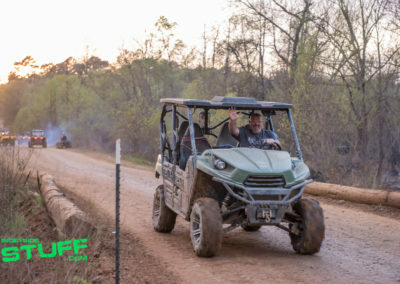 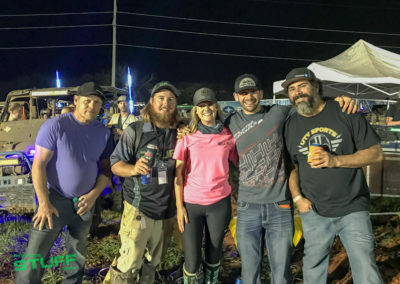 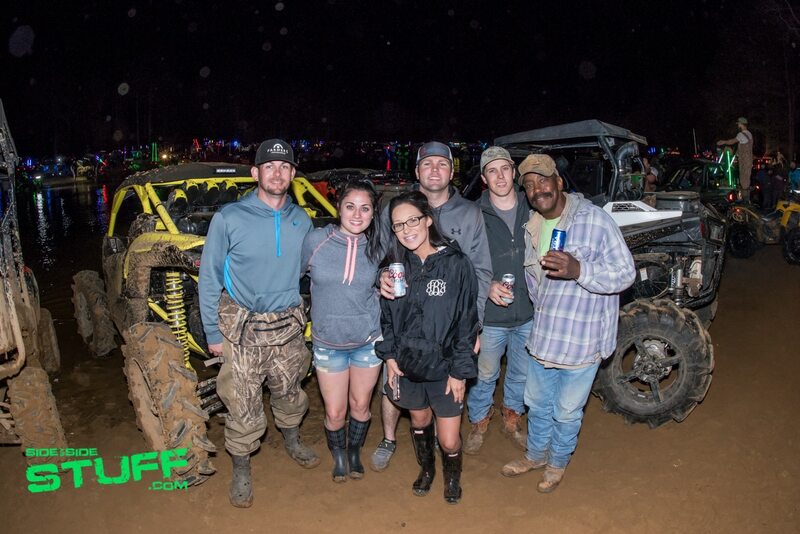 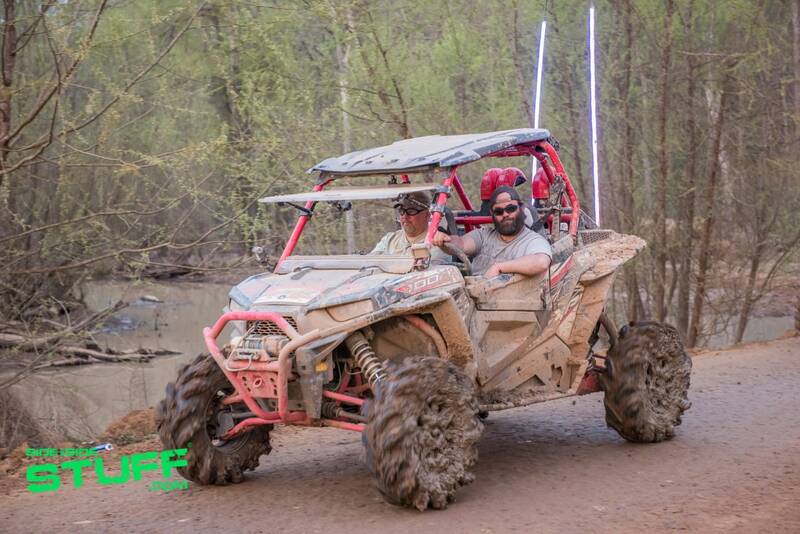 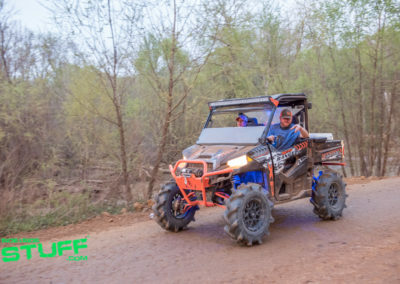 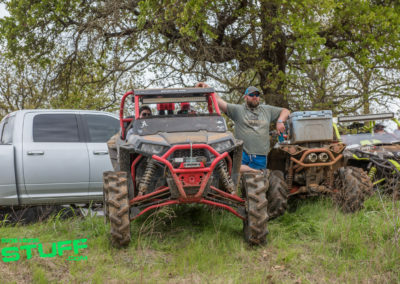 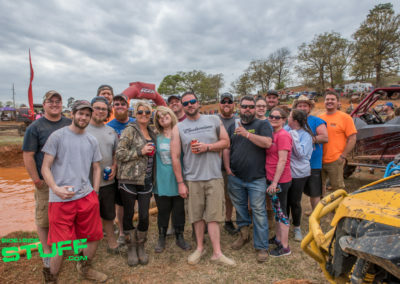 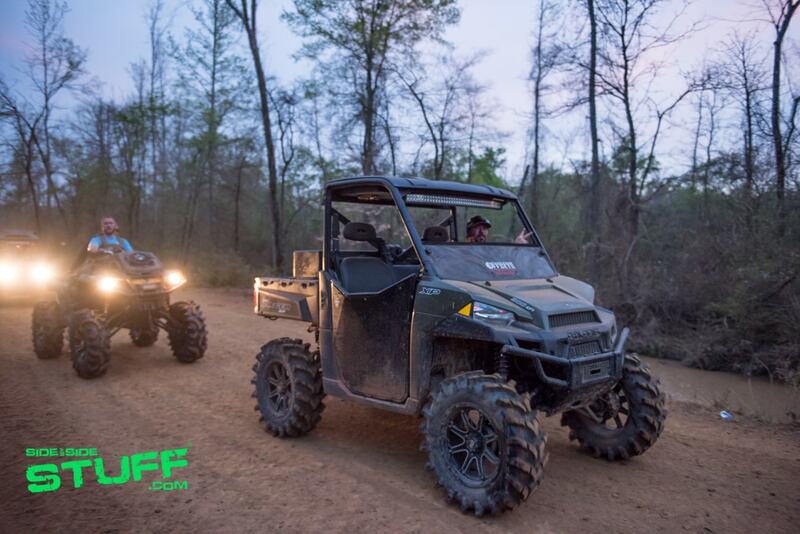 This East Texas mud event is definitely one of our favorites, we encourage you to bring your riding crew to the ultimate mud party and join us for the 2019 Mud Nationals next year.